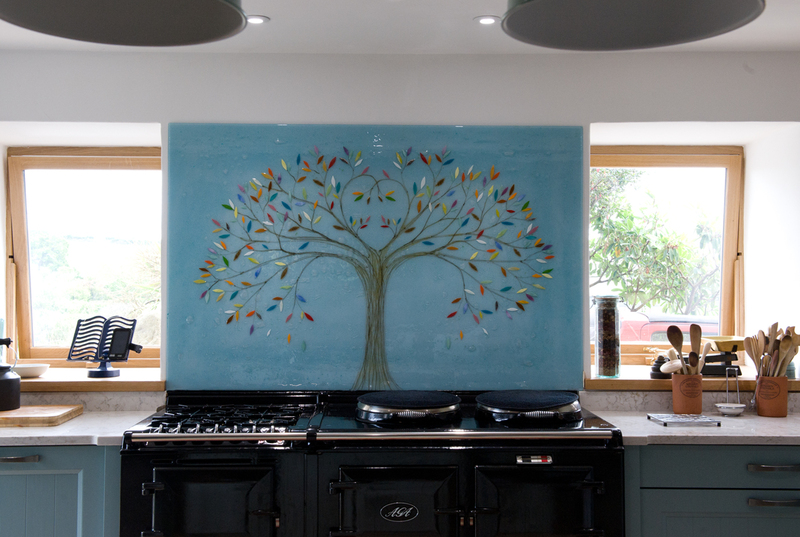 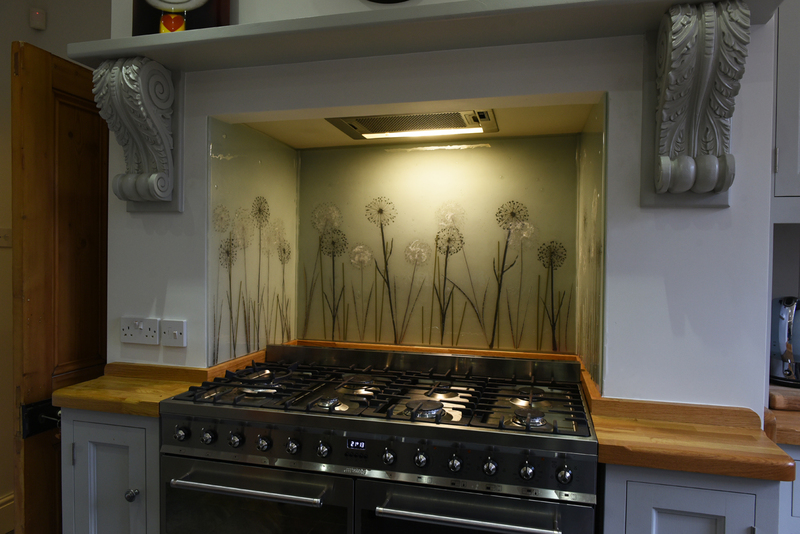 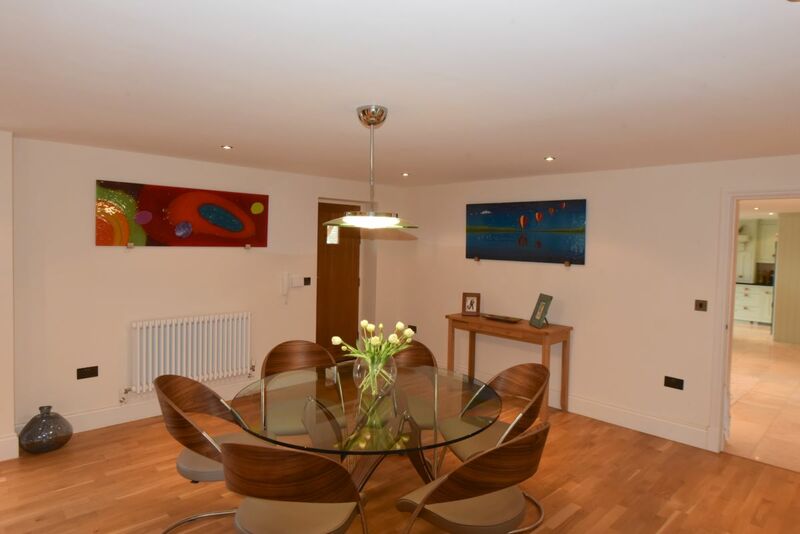 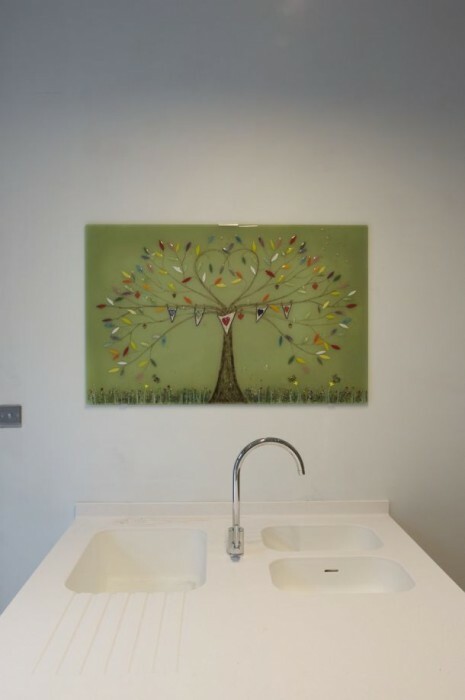 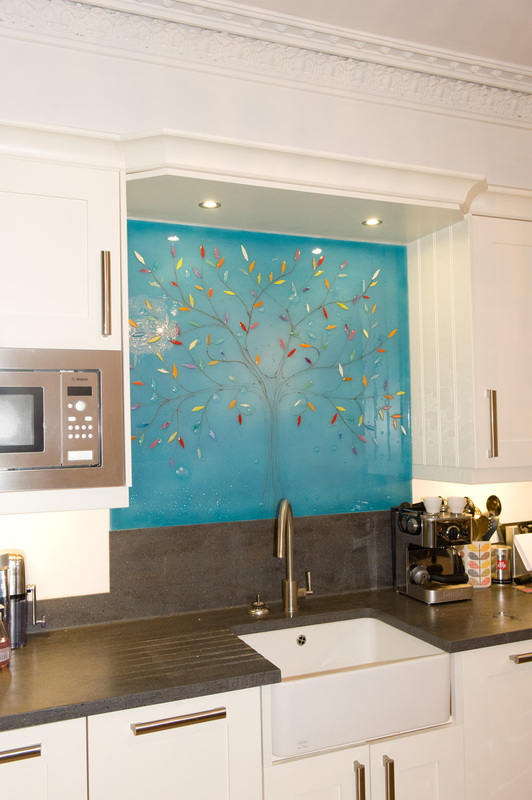 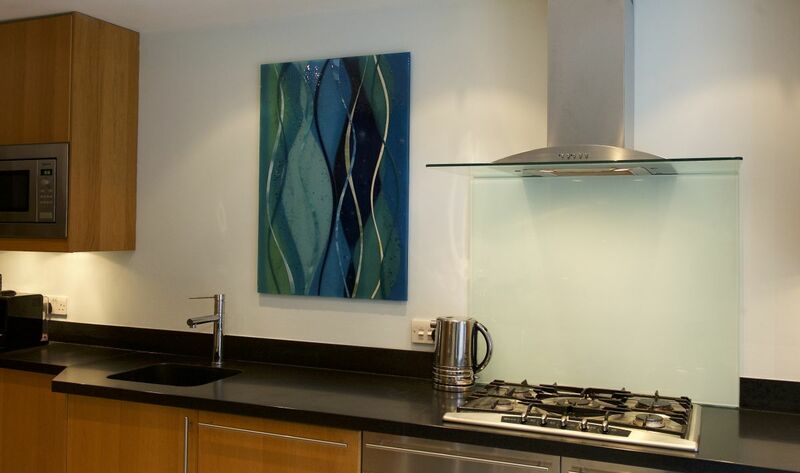 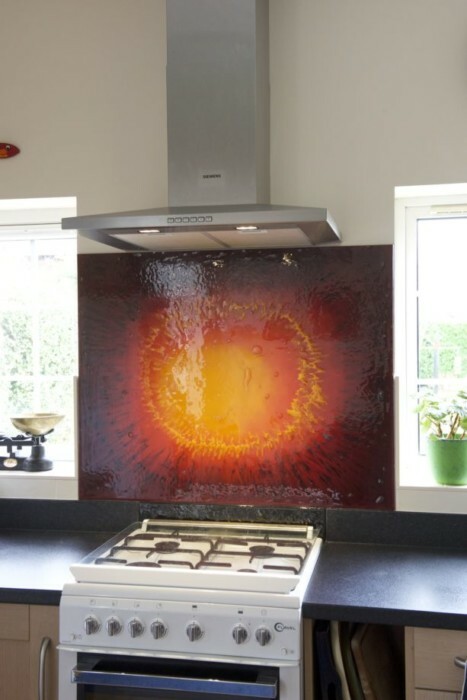 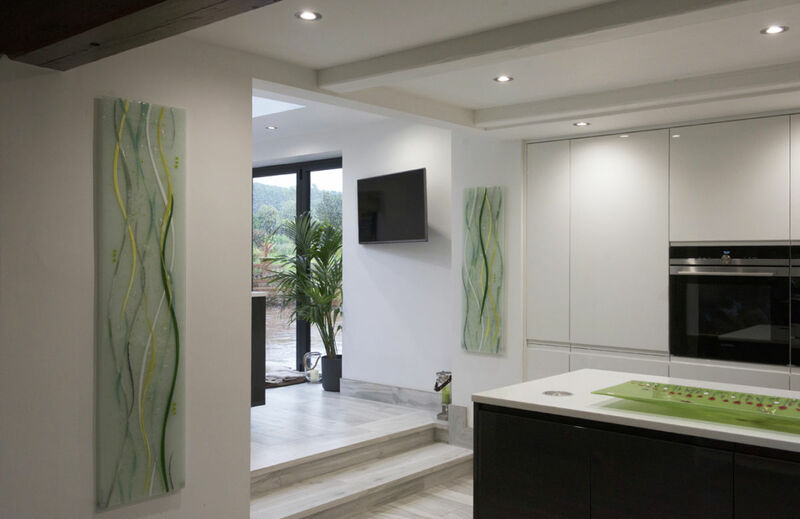 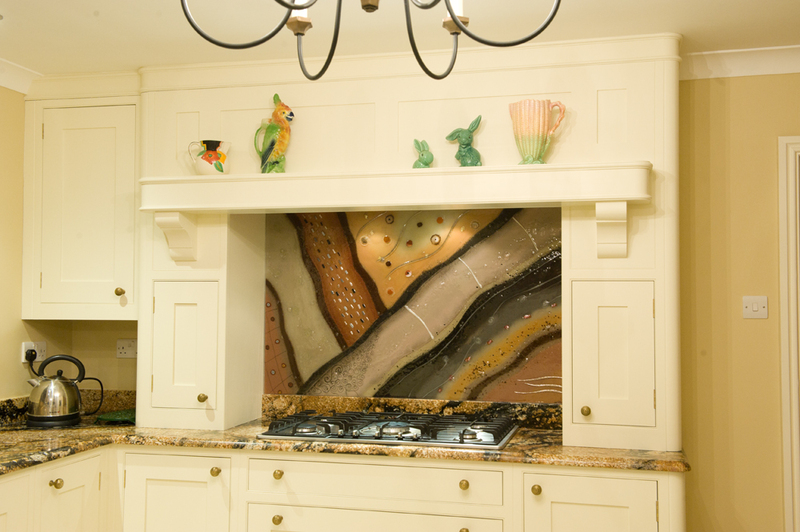 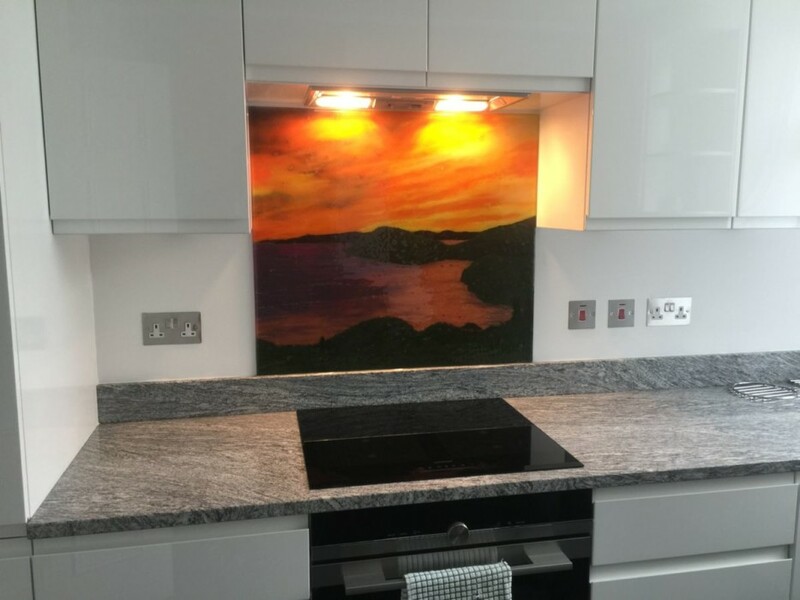 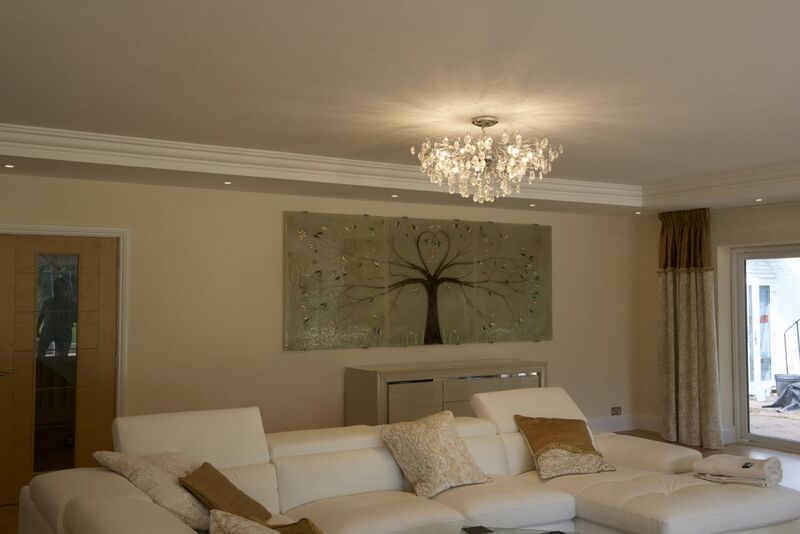 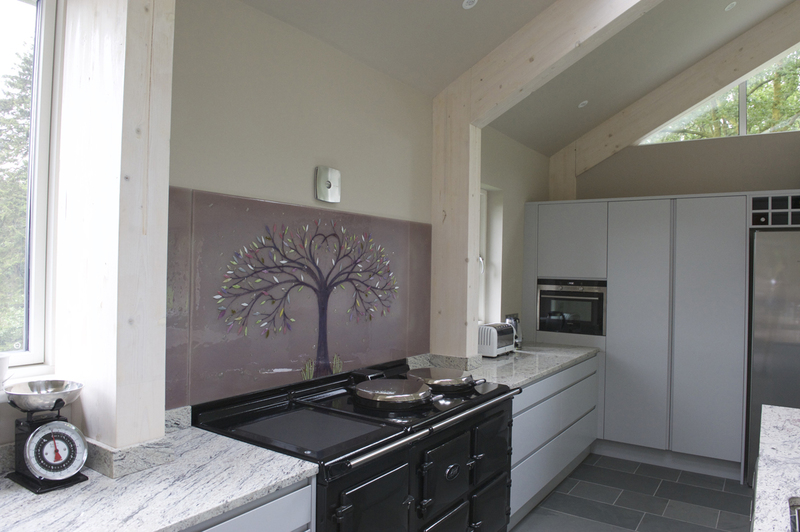 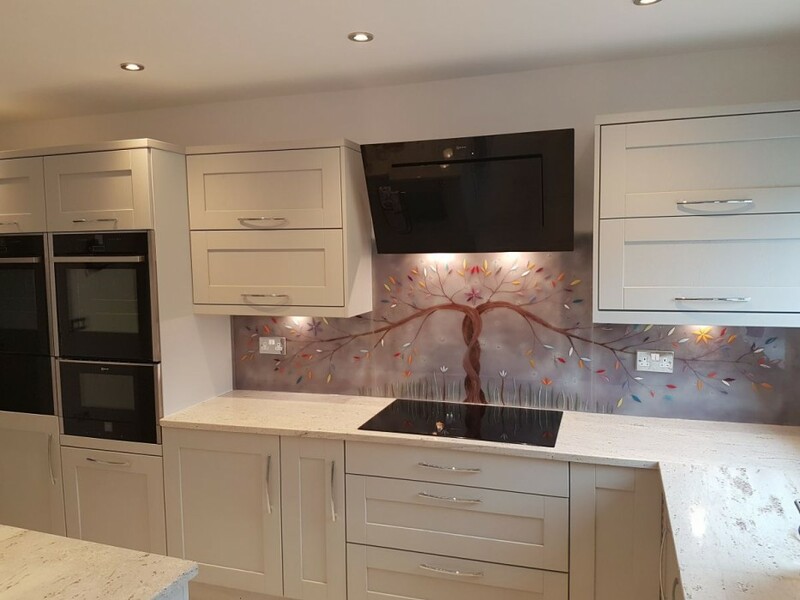 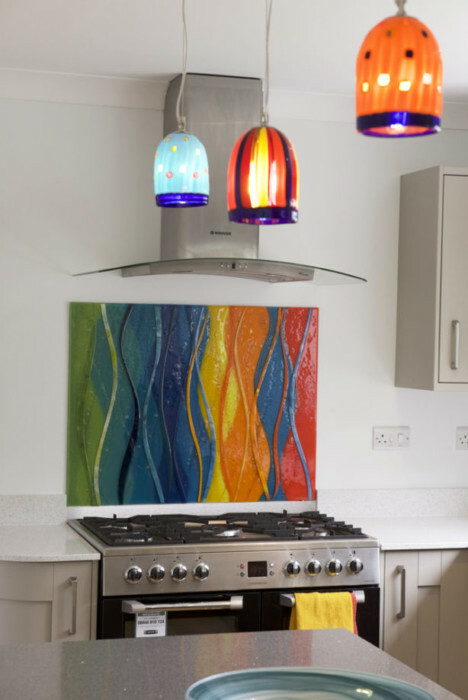 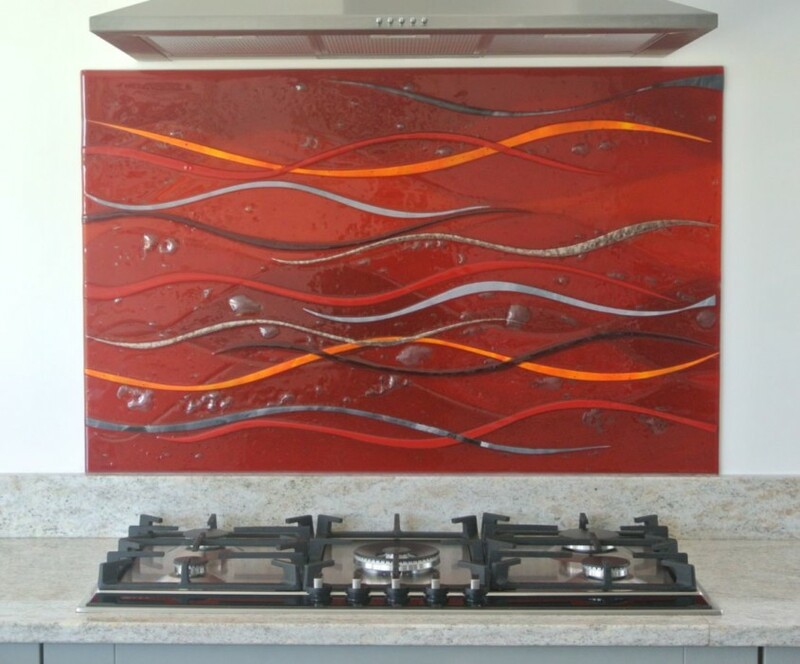 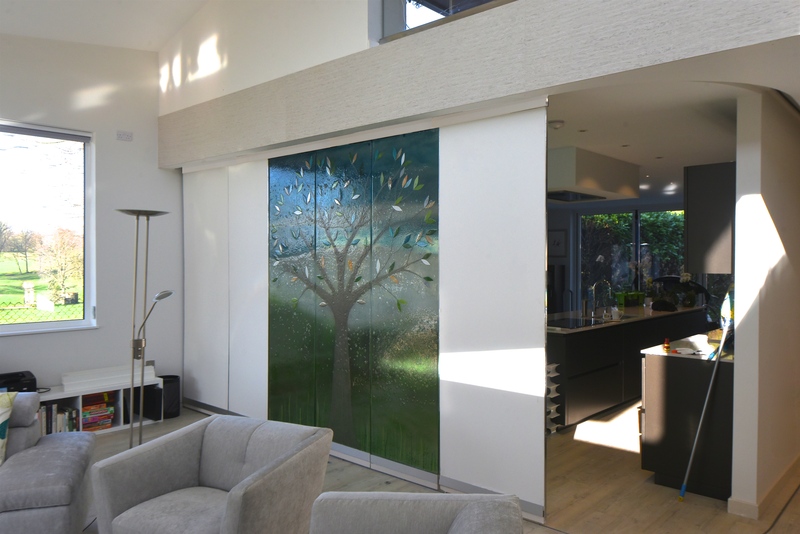 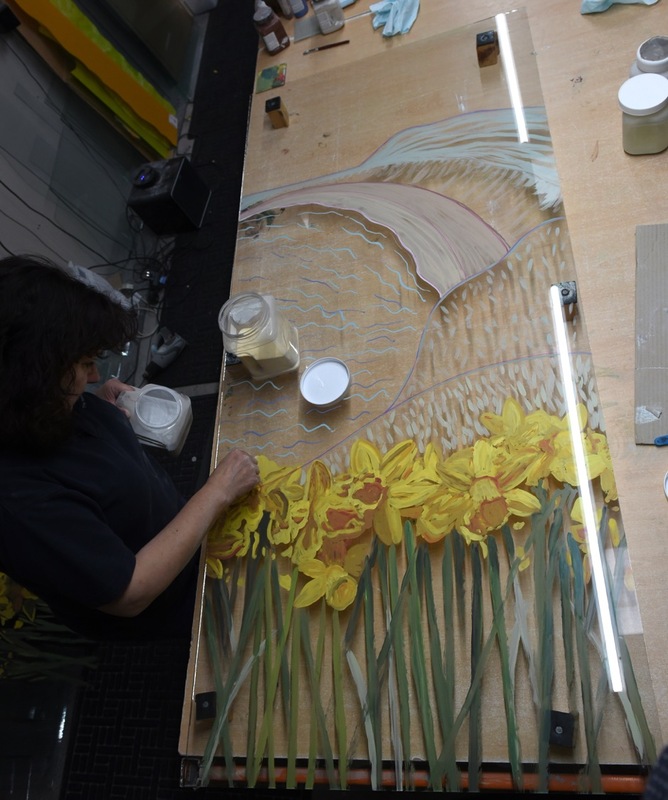 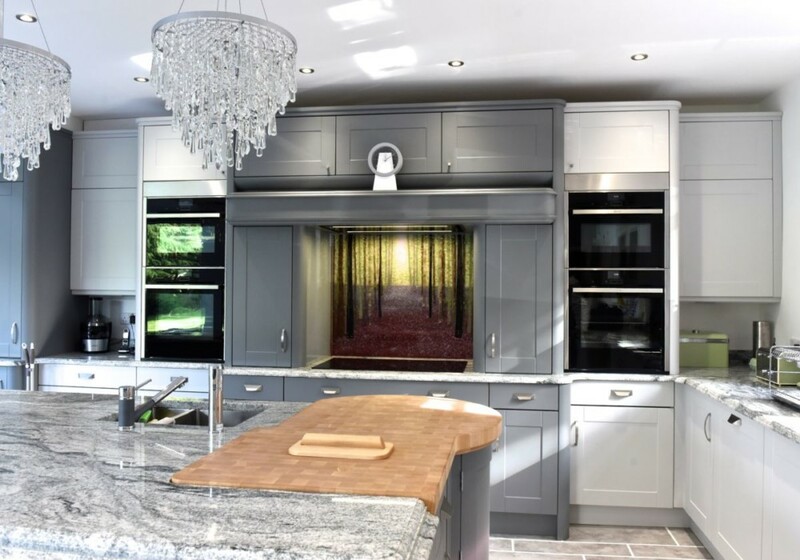 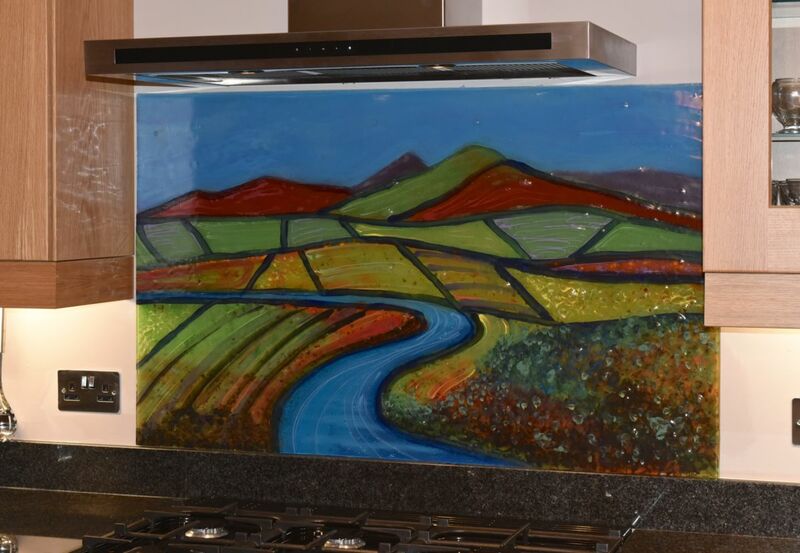 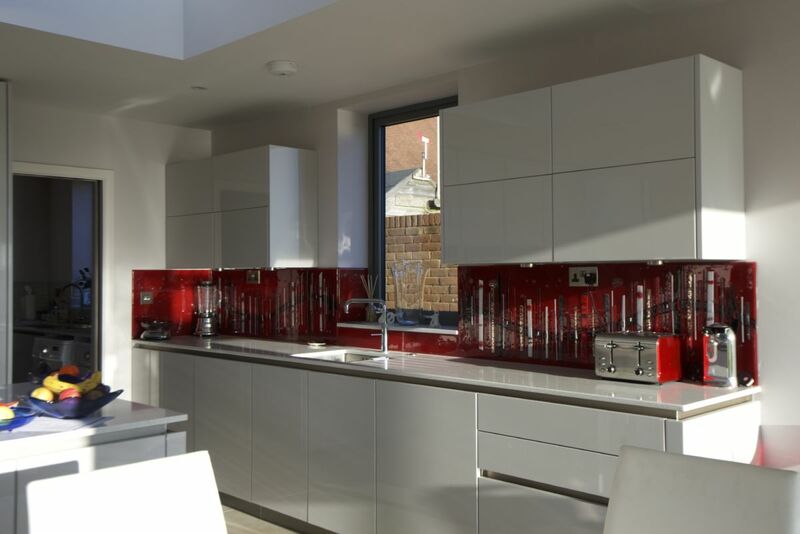 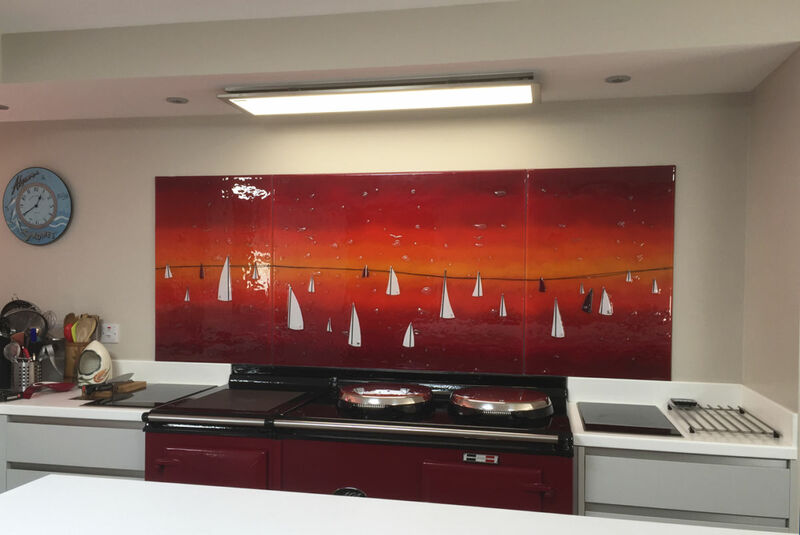 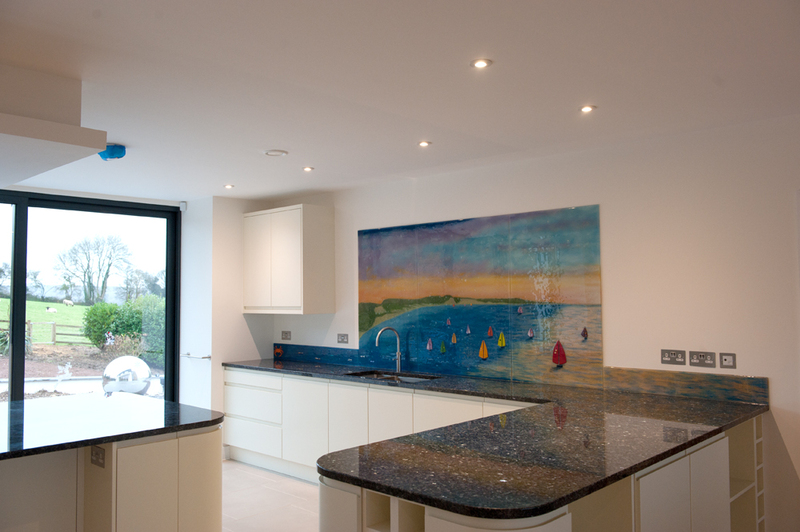 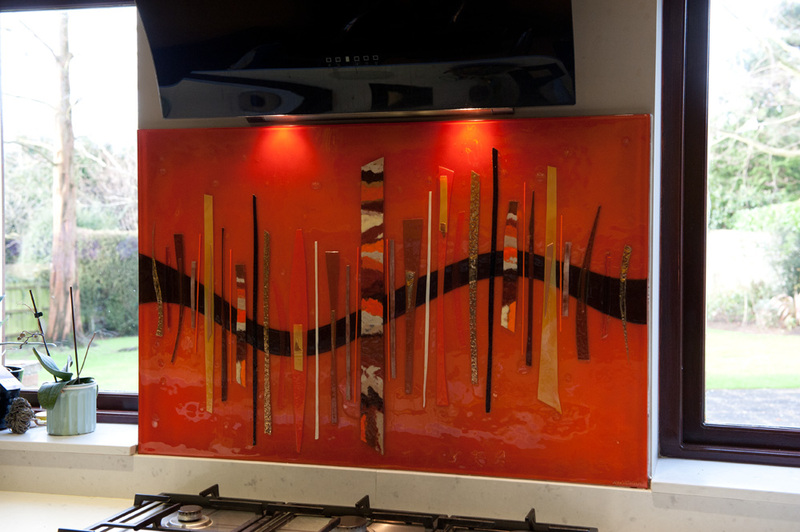 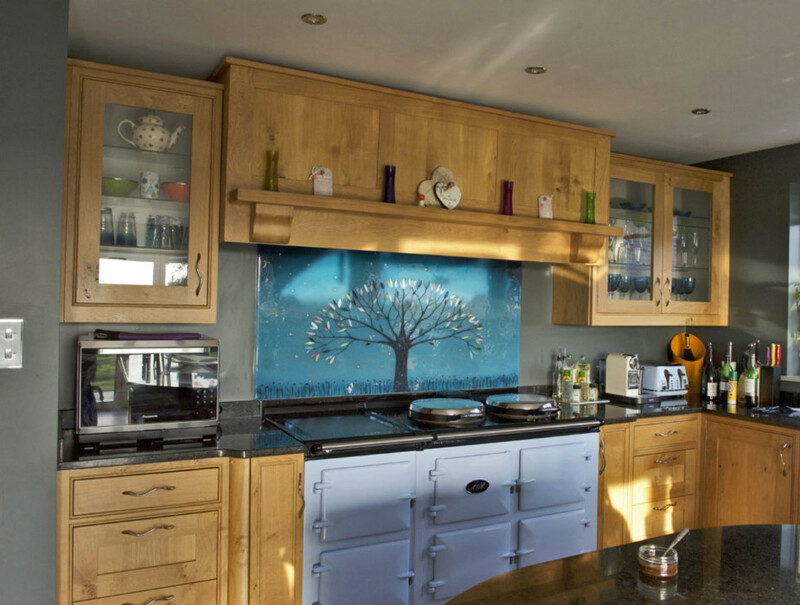 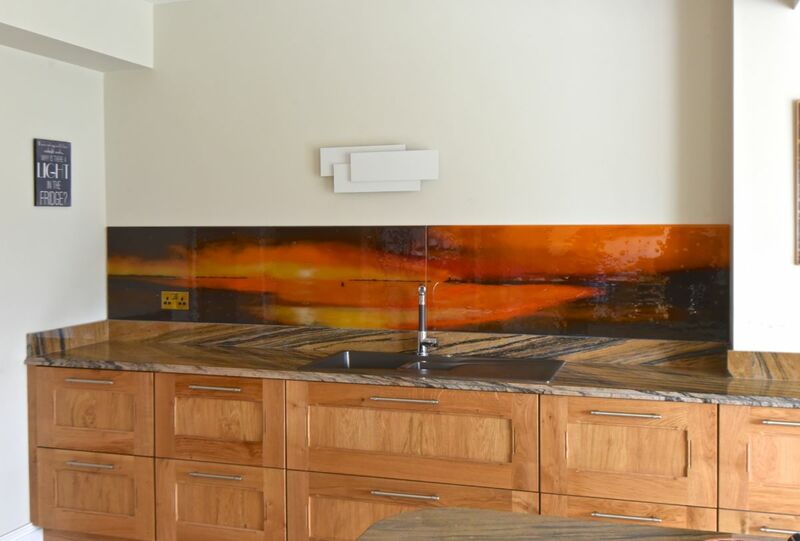 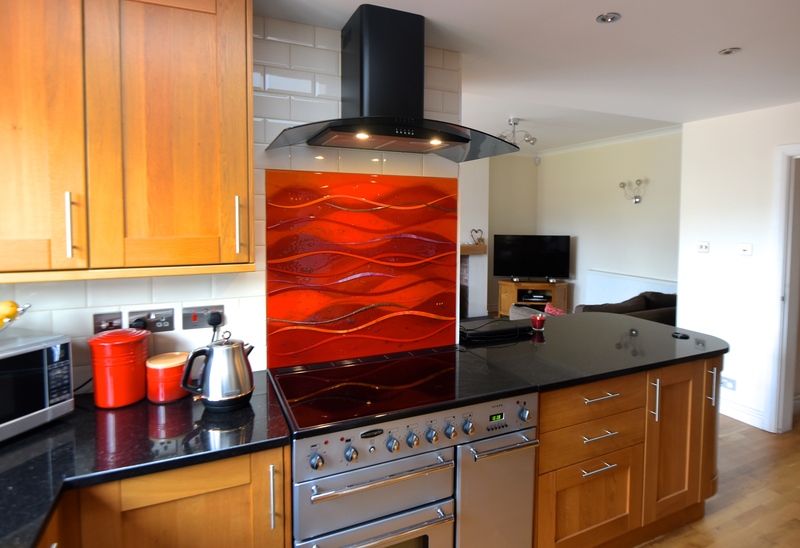 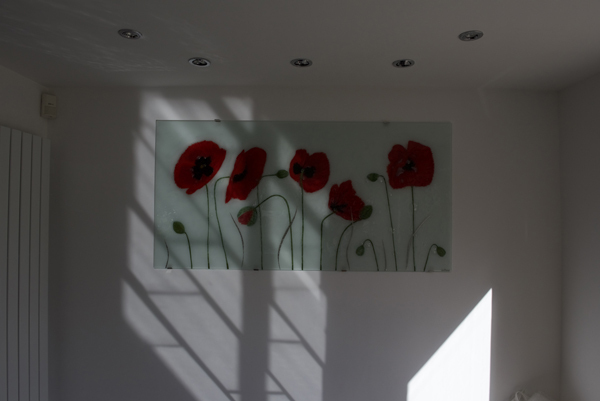 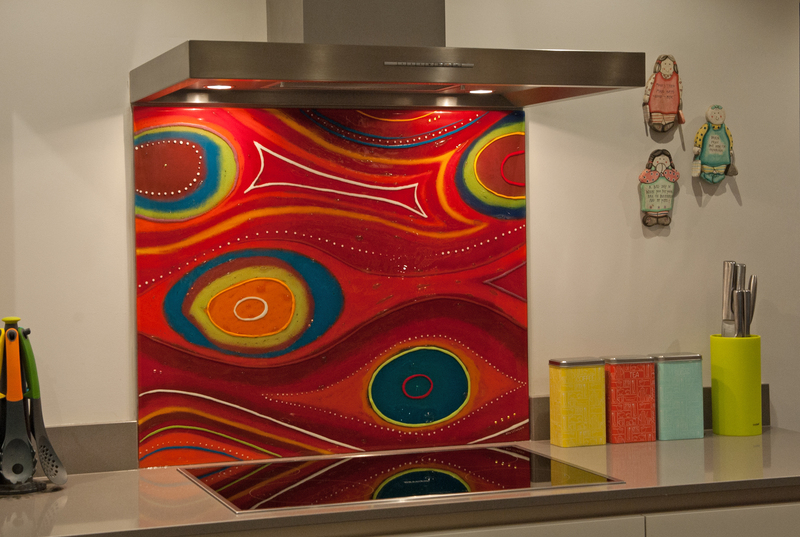 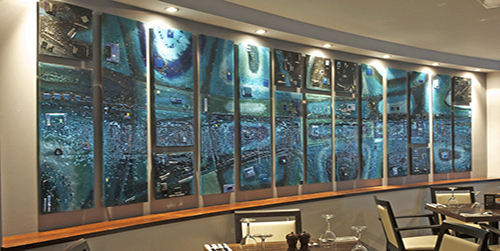 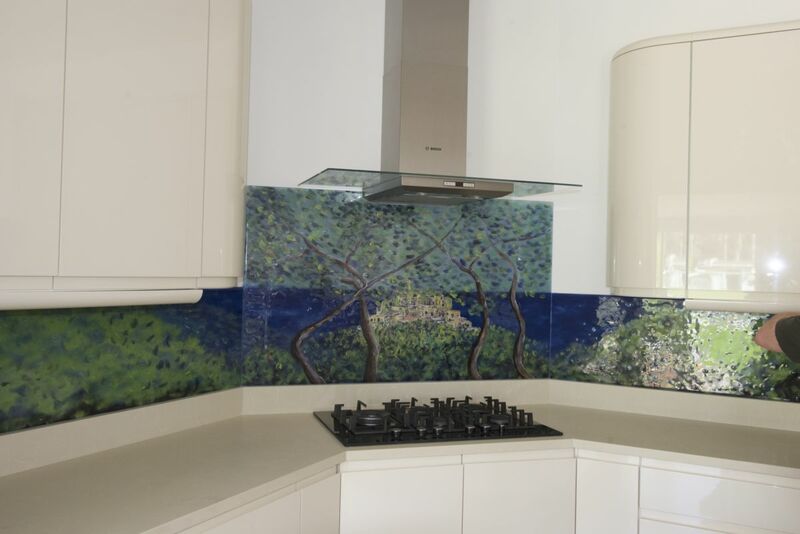 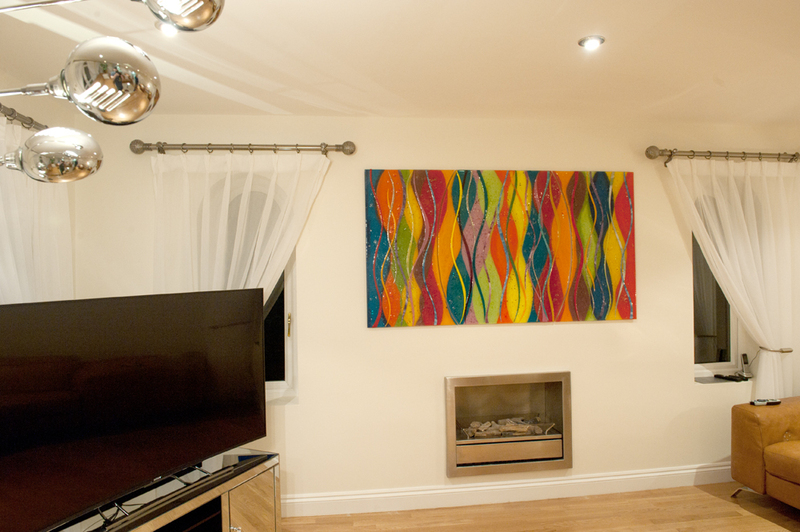 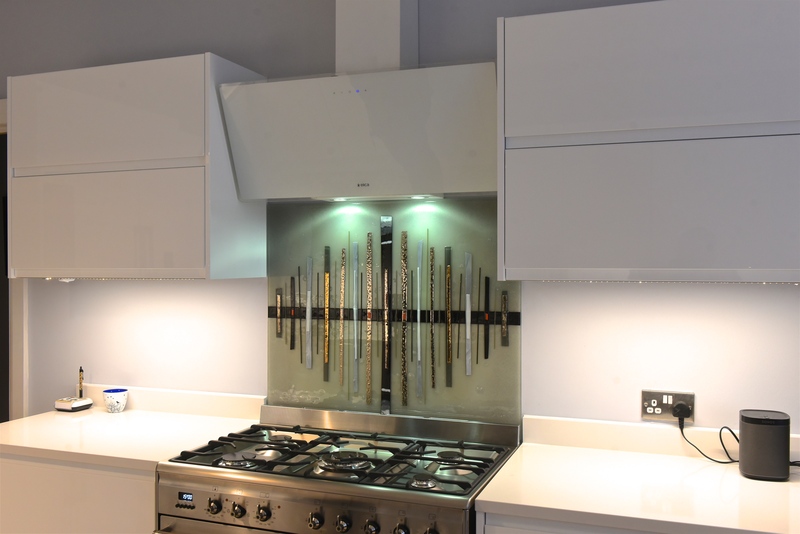 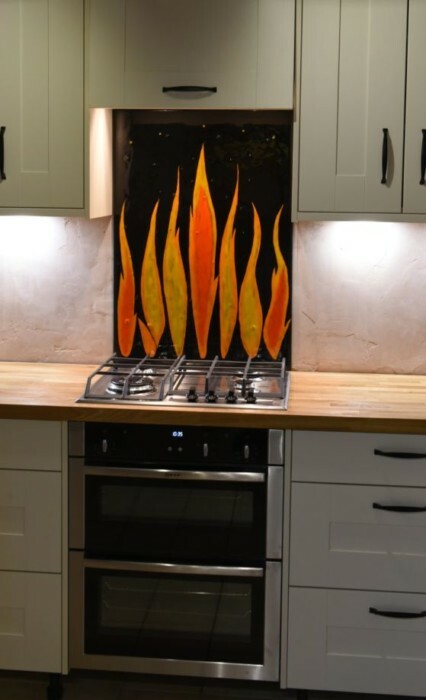 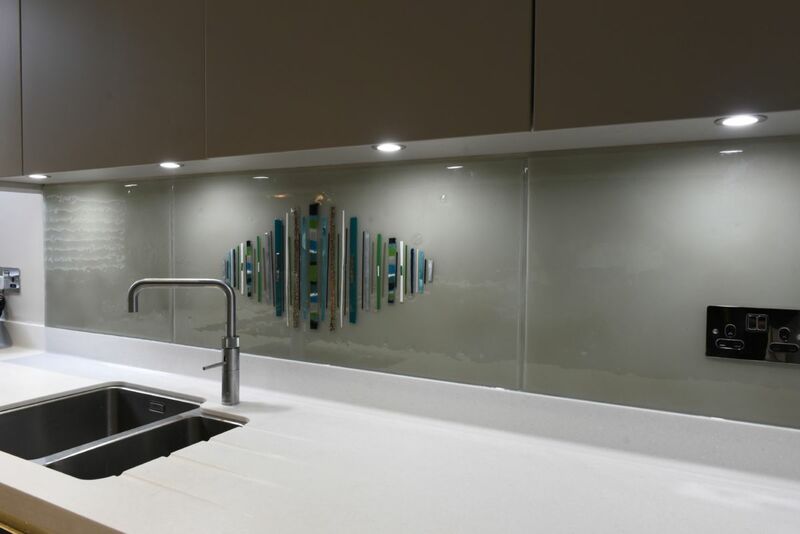 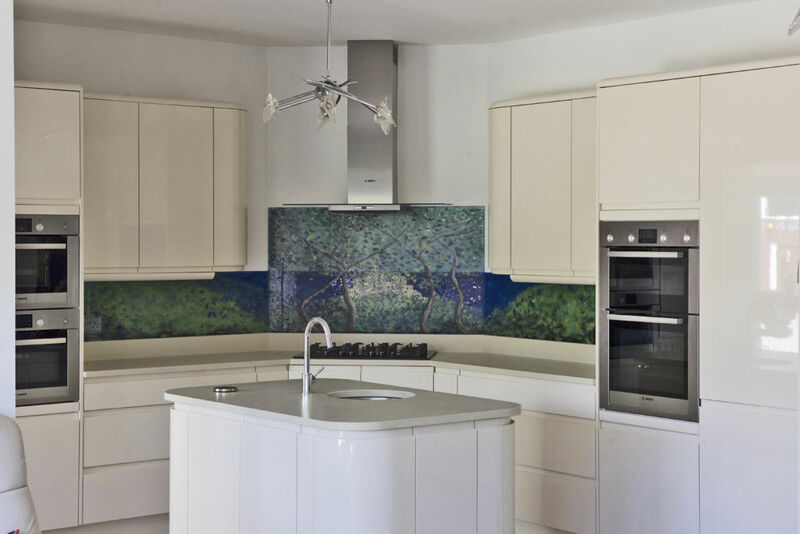 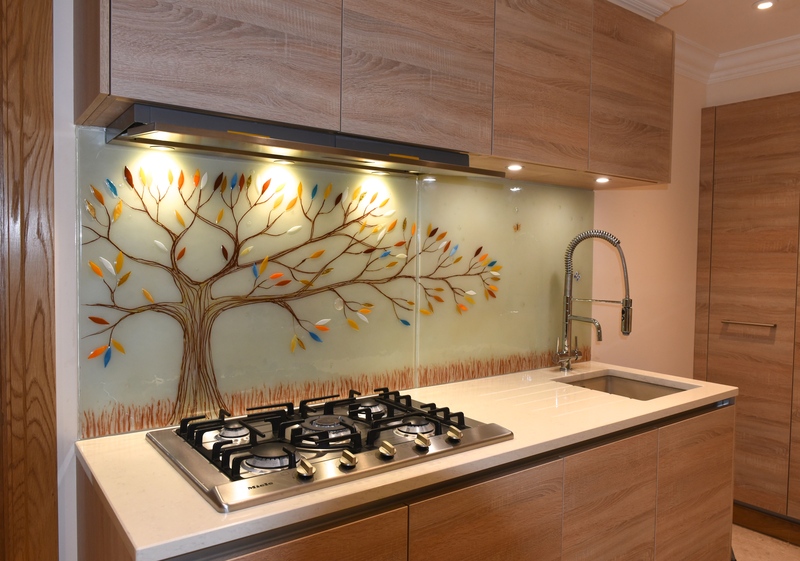 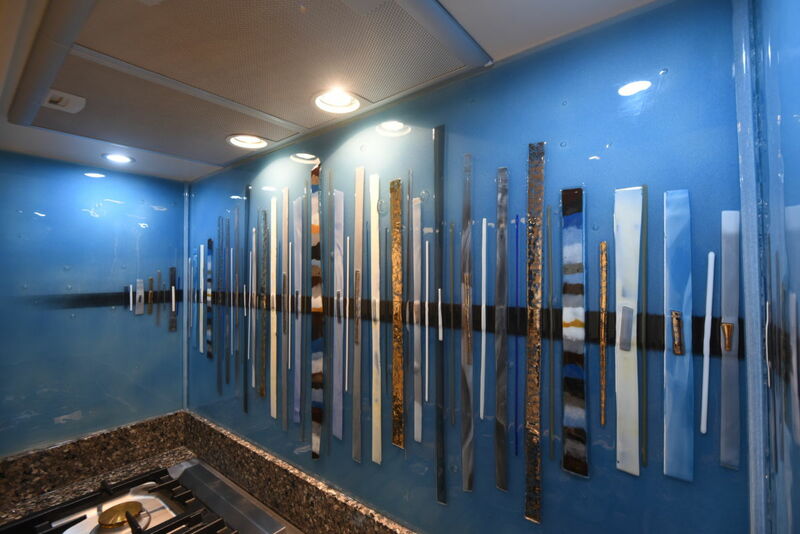 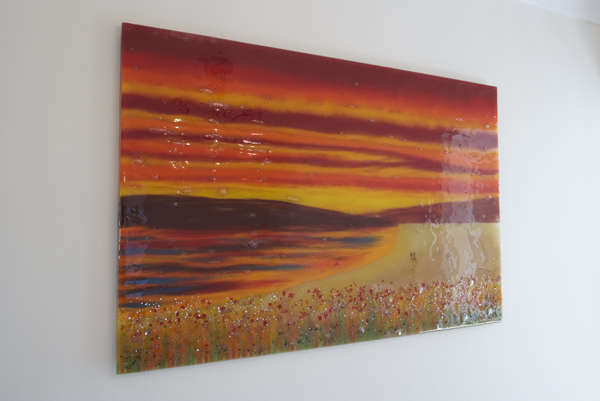 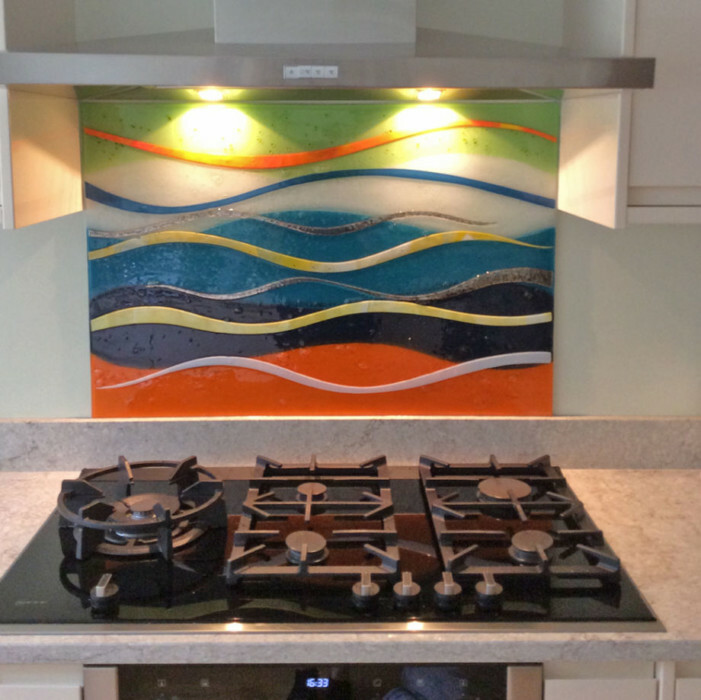 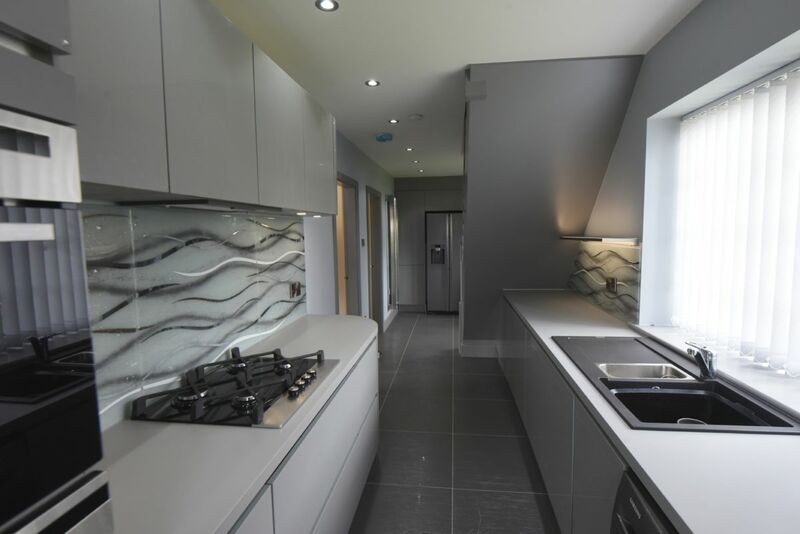 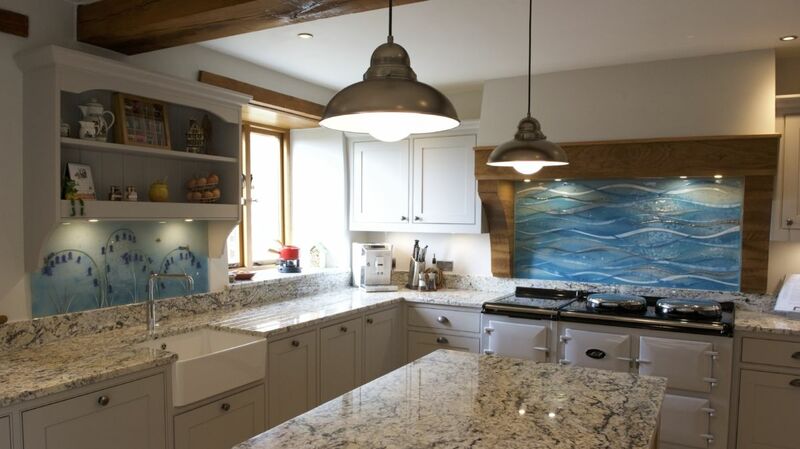 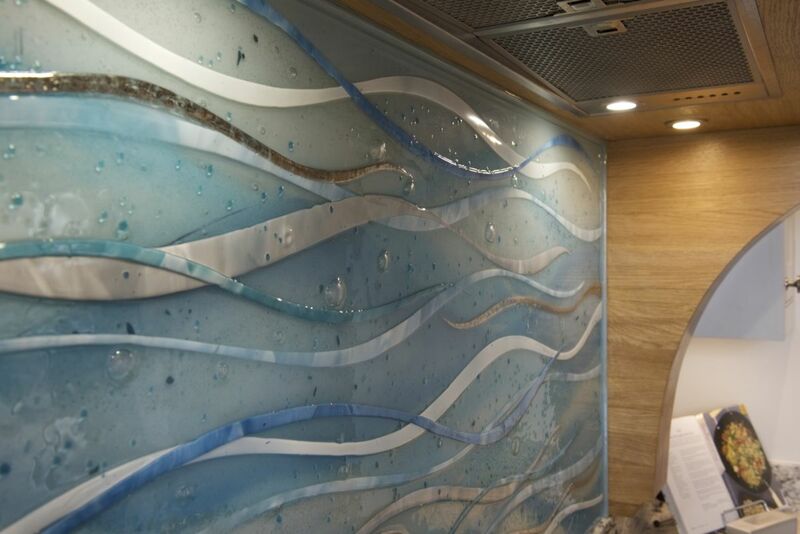 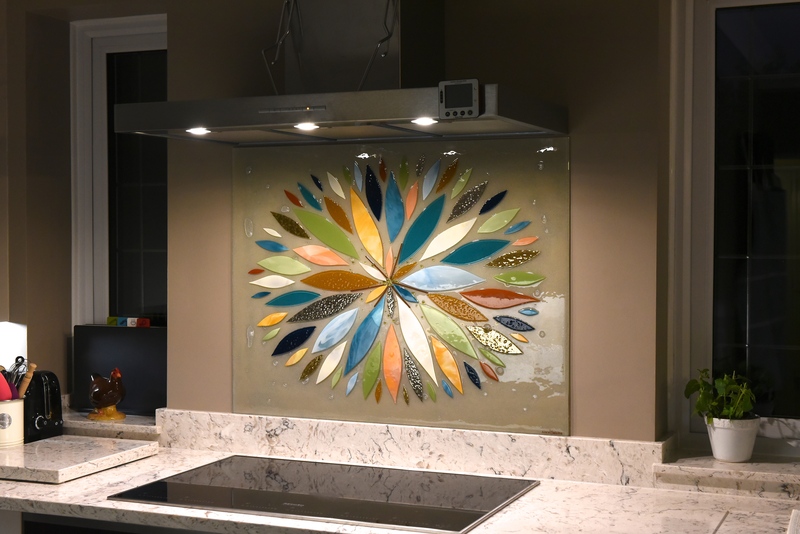 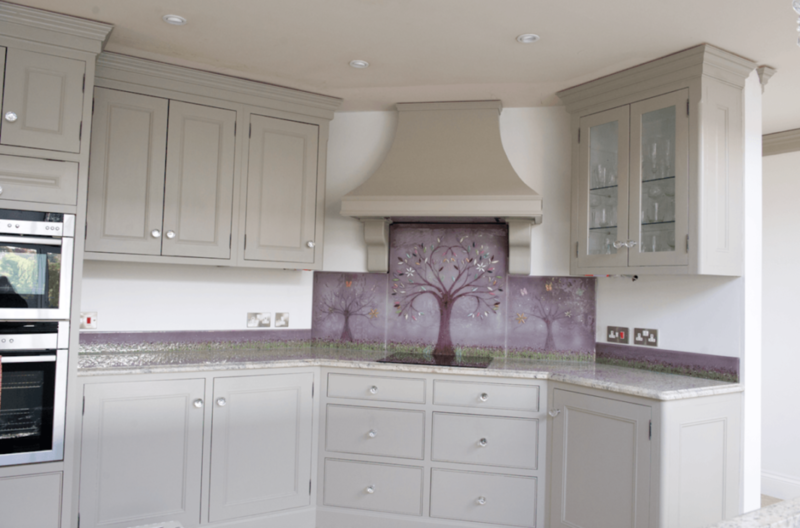 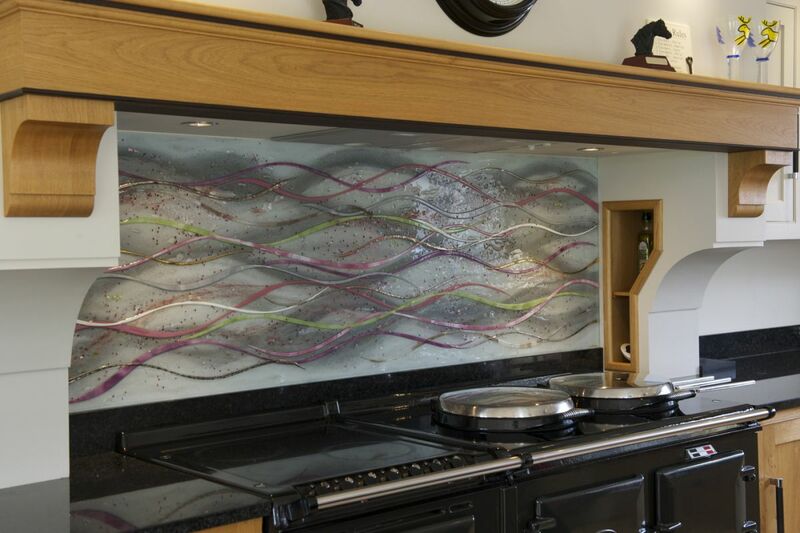 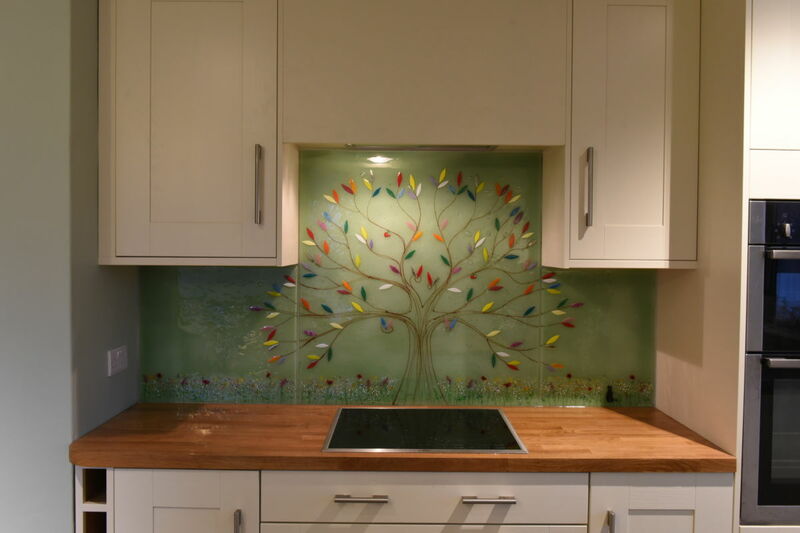 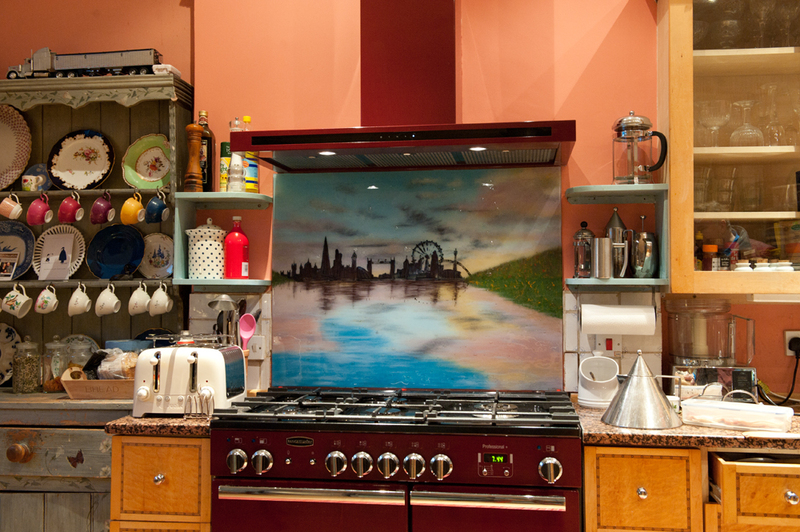 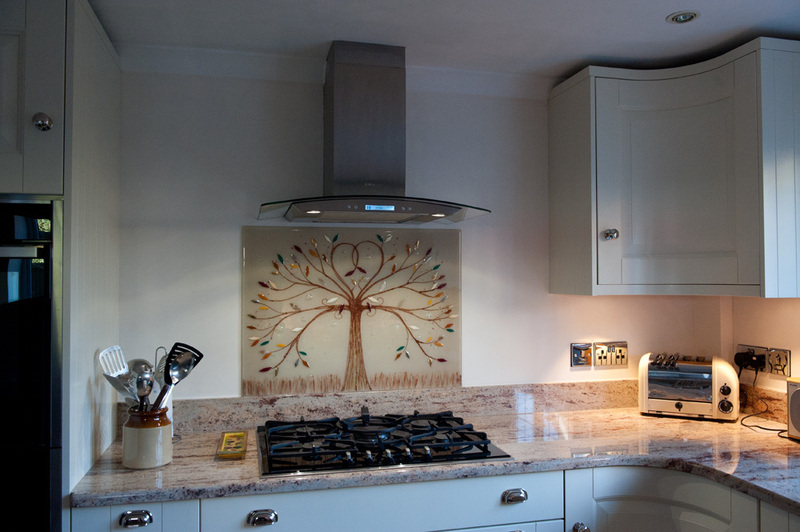 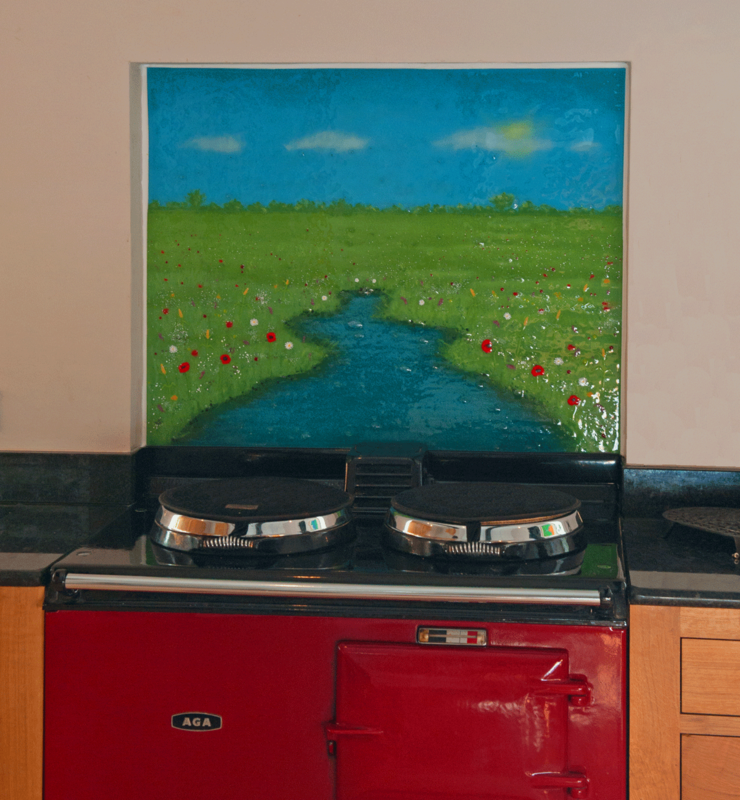 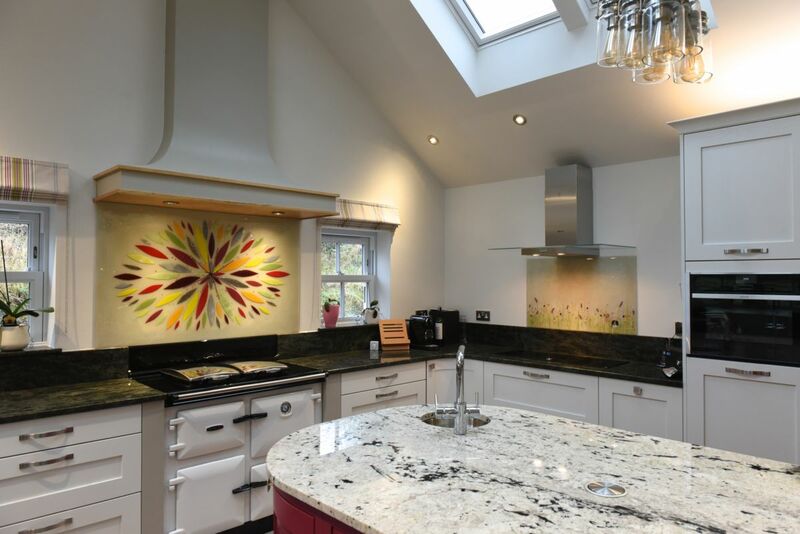 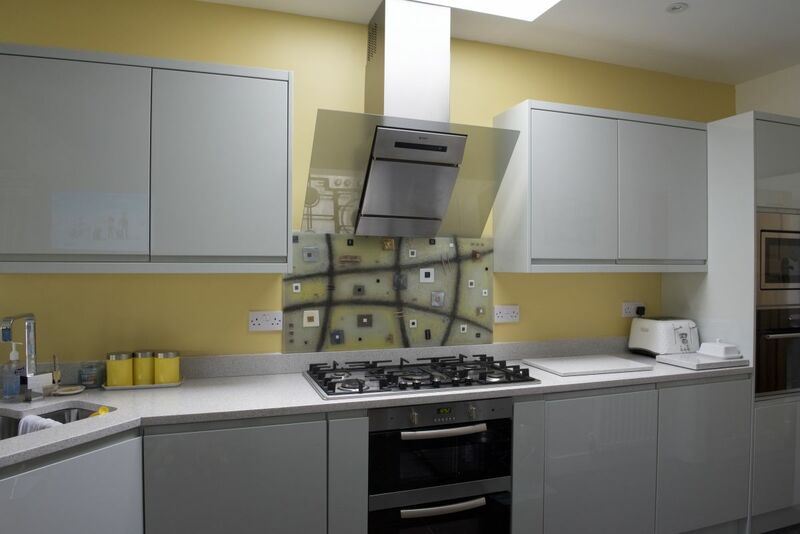 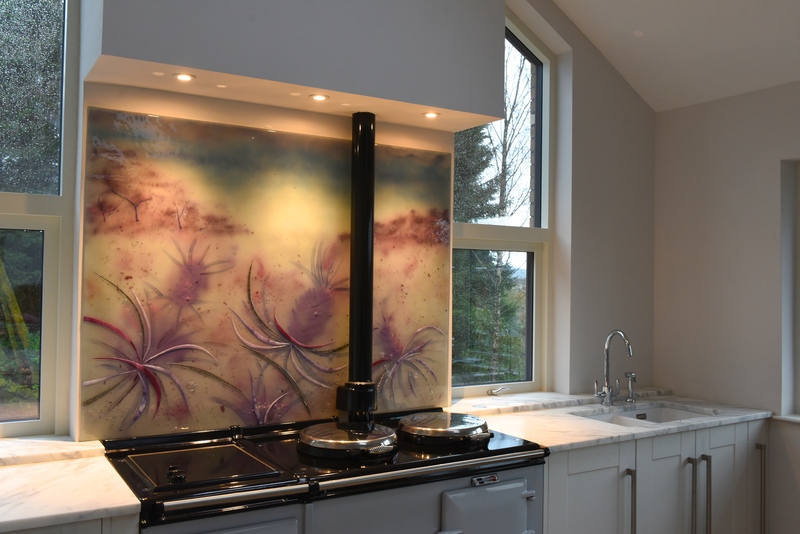 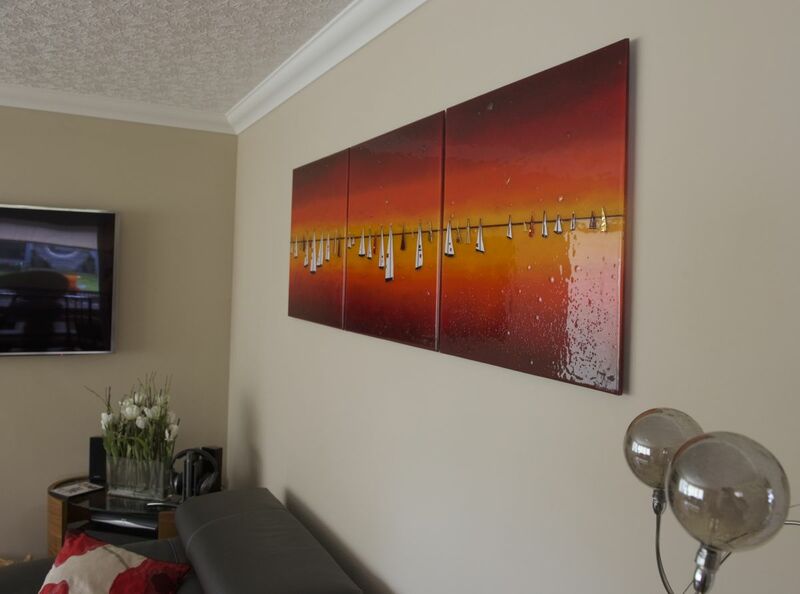 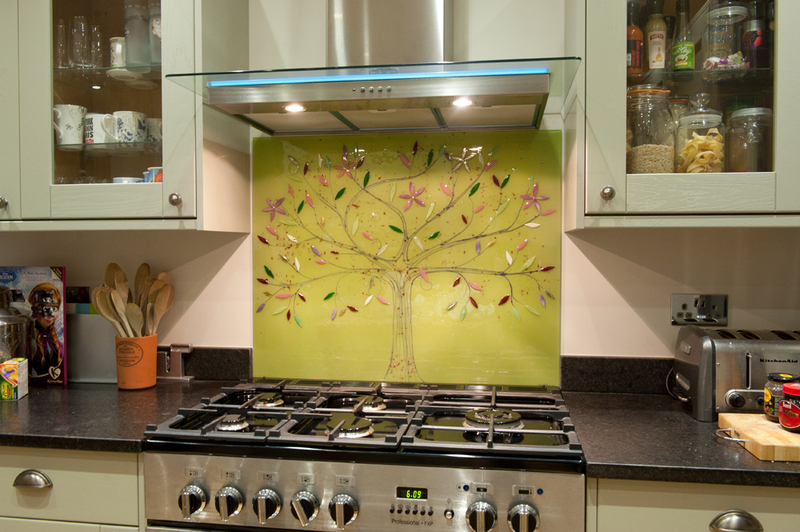 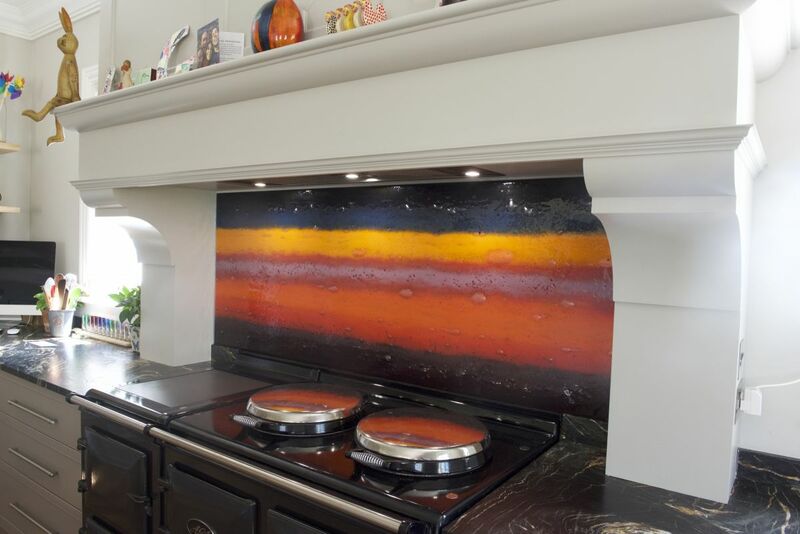 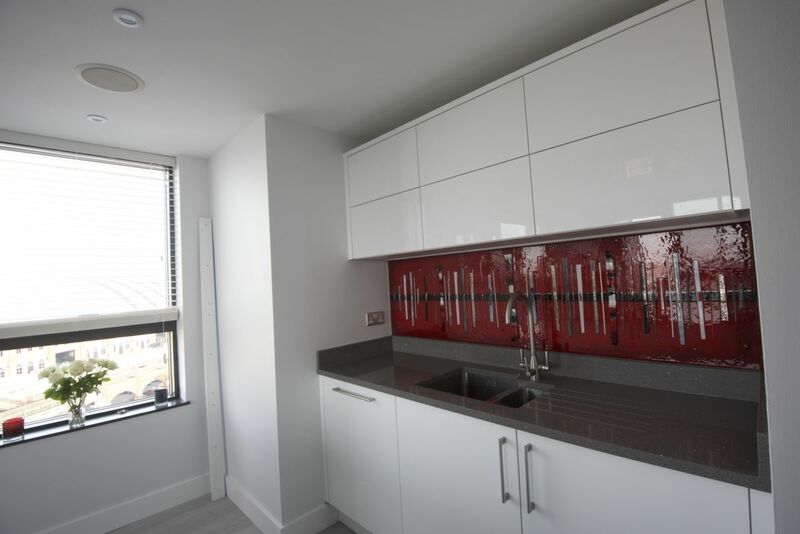 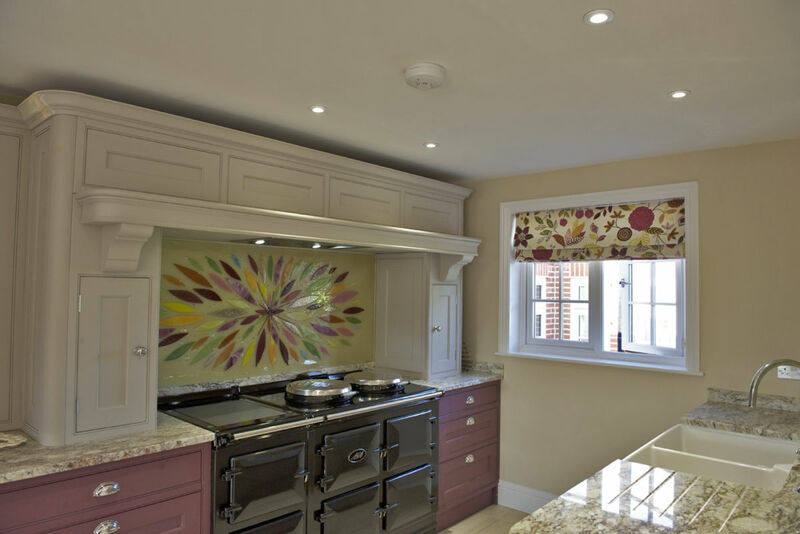 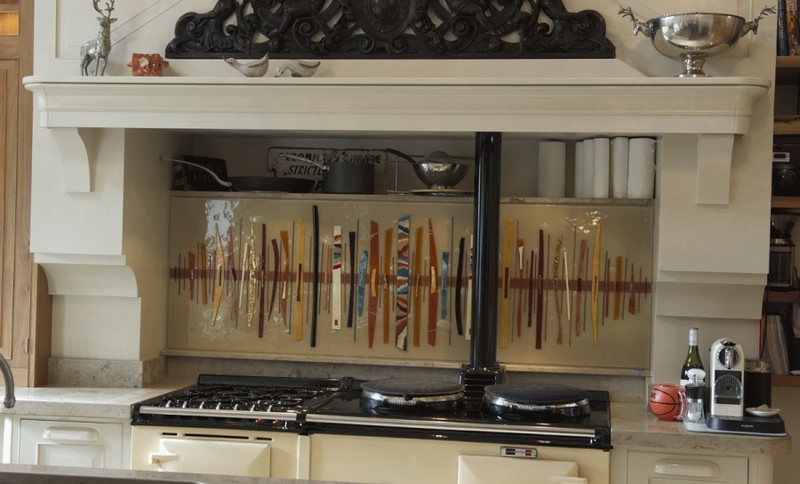 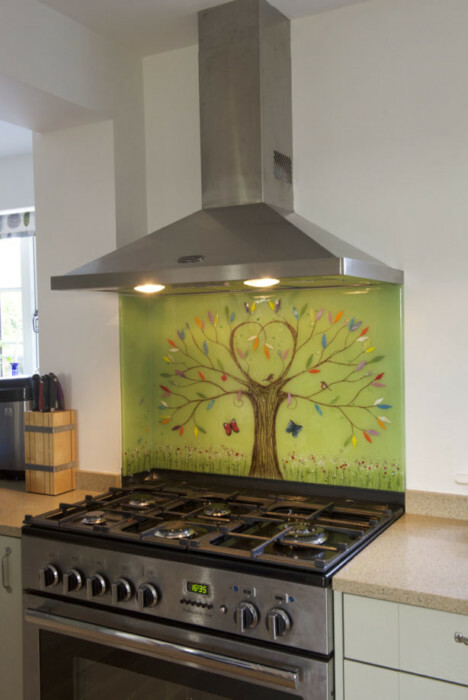 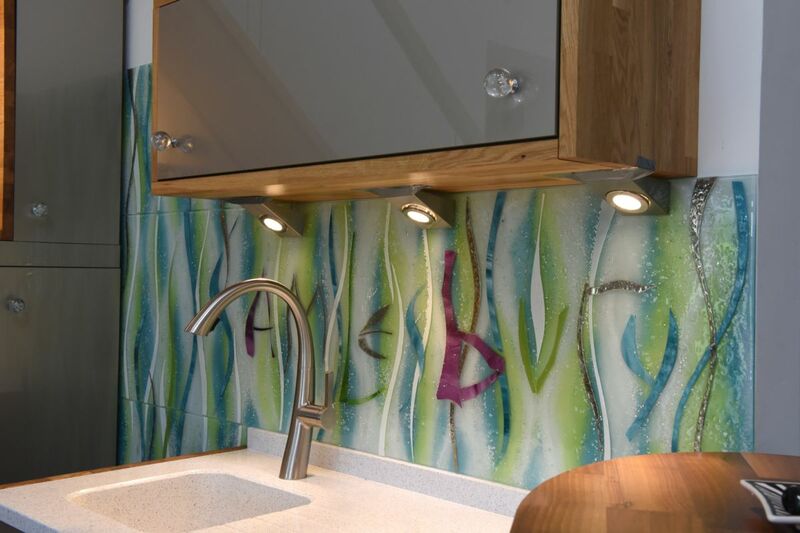 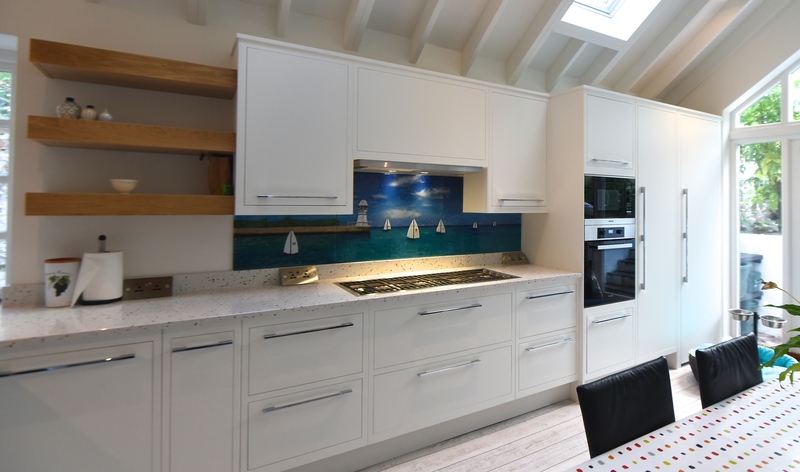 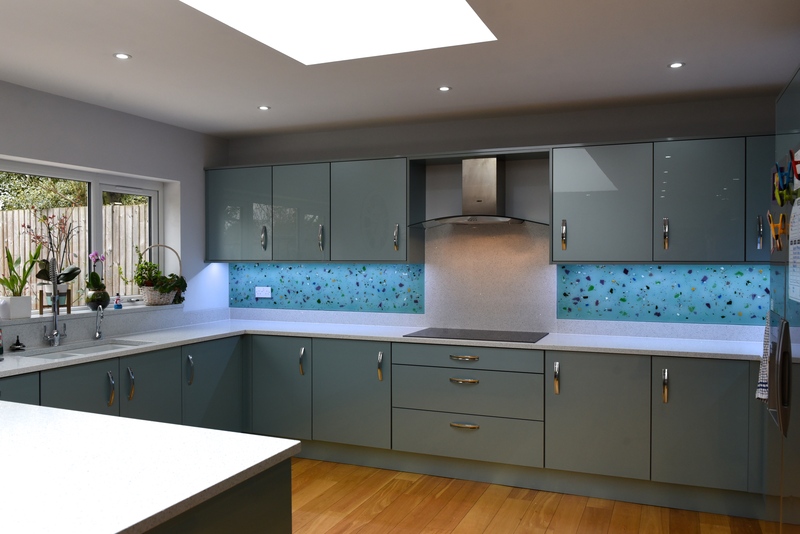 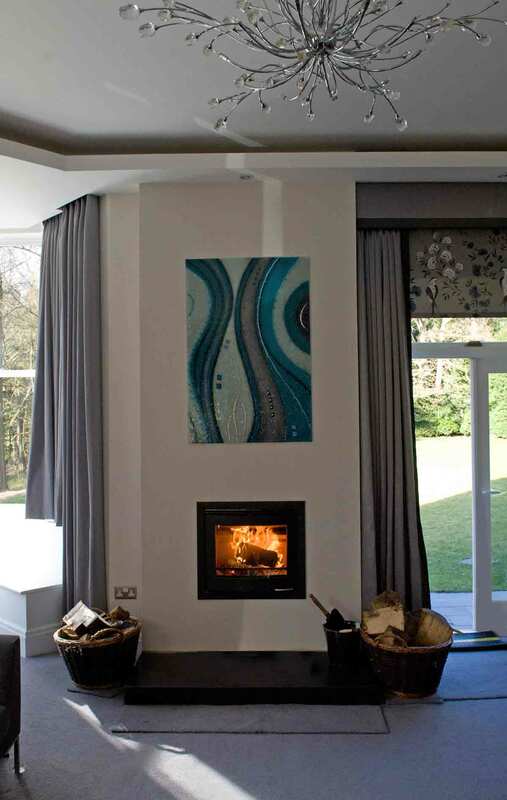 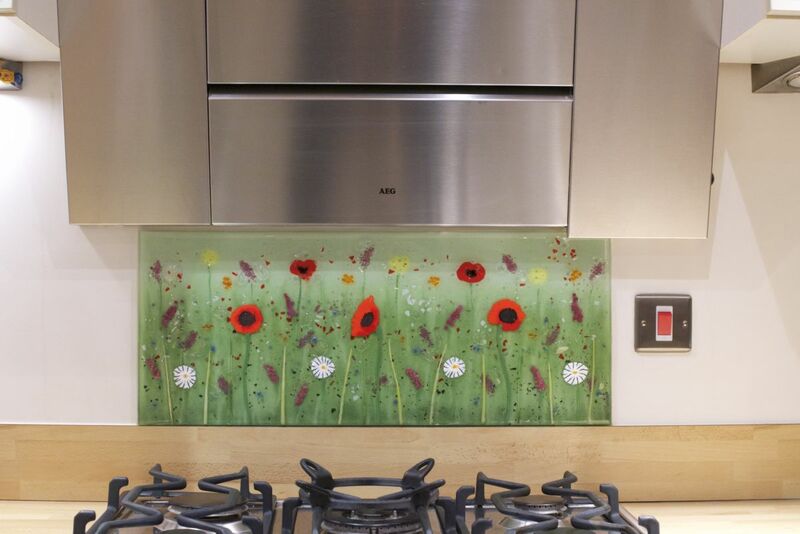 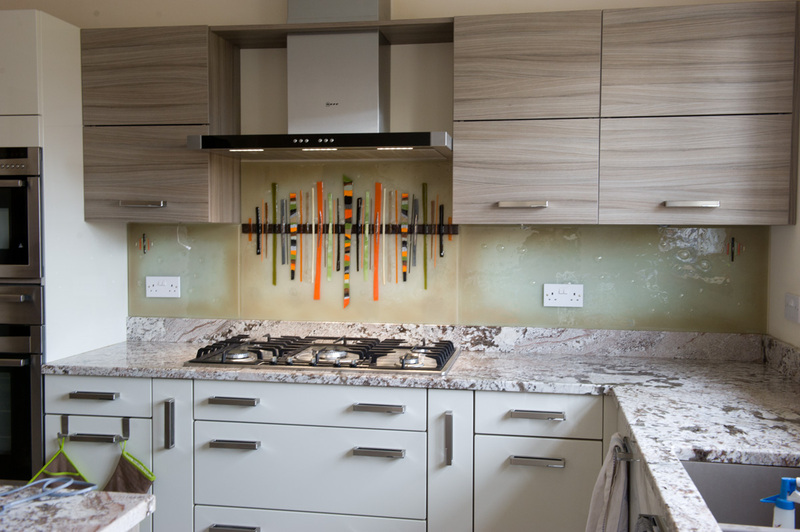 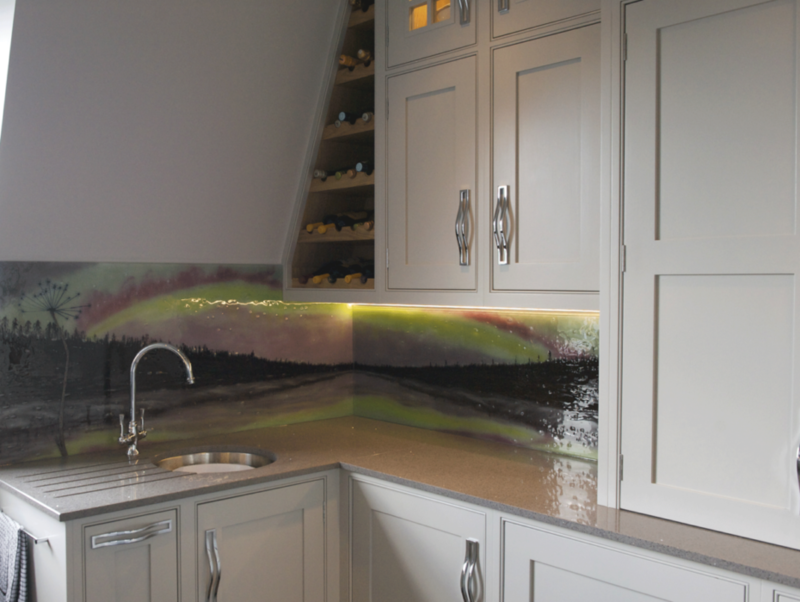 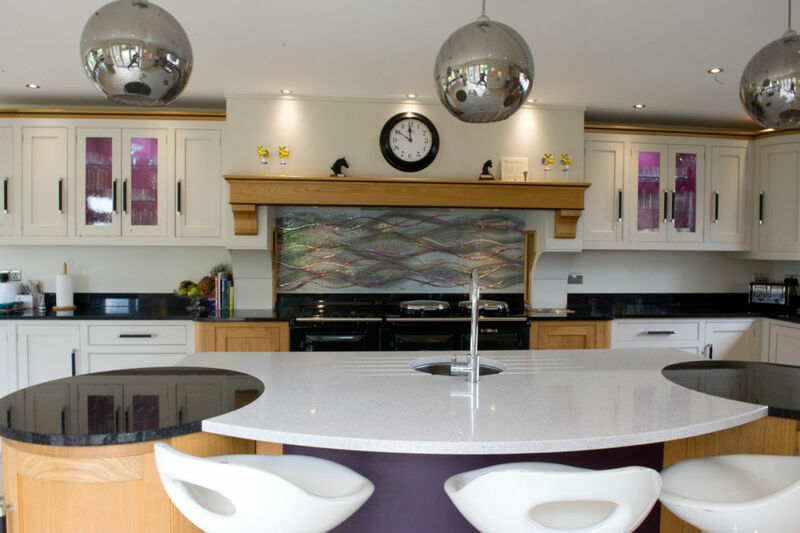 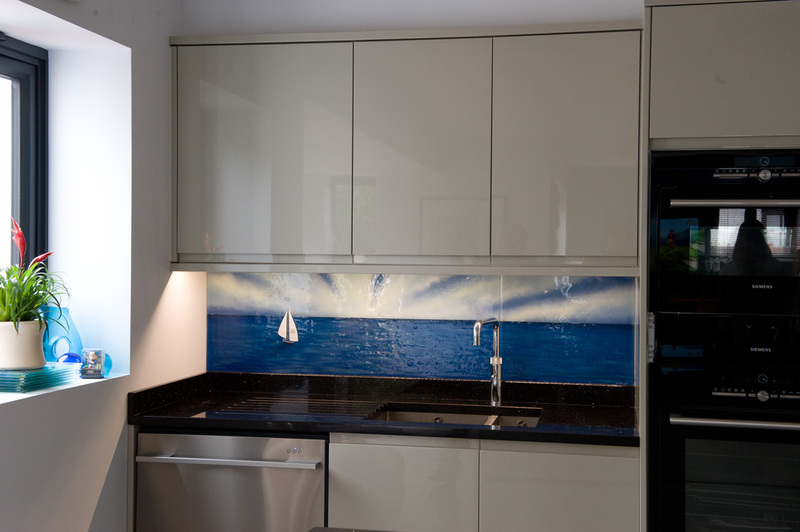 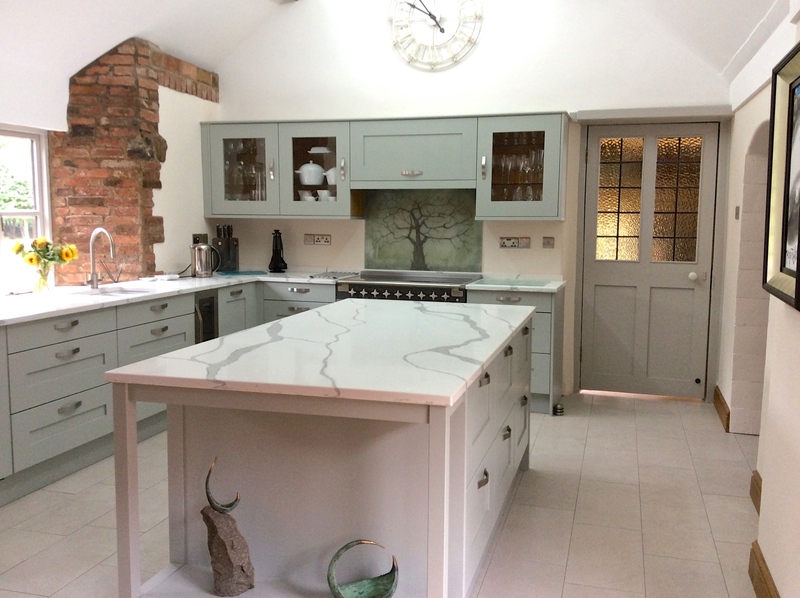 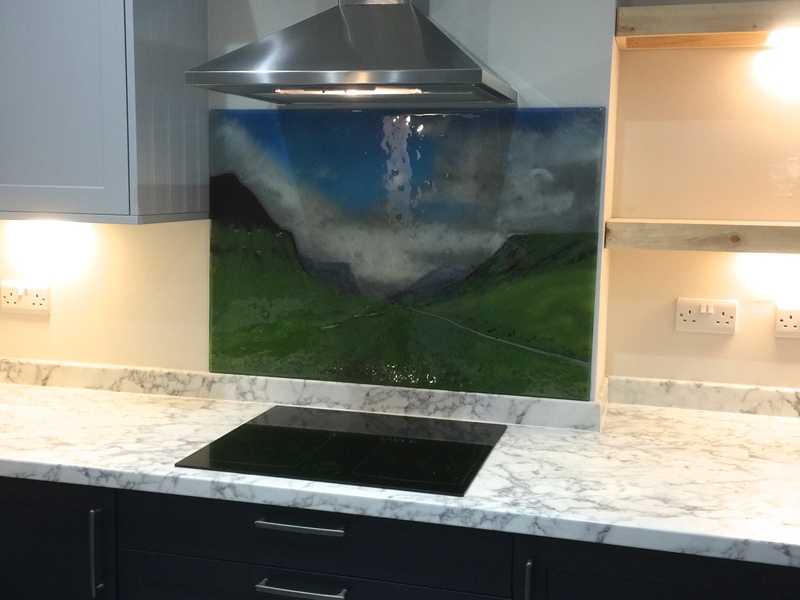 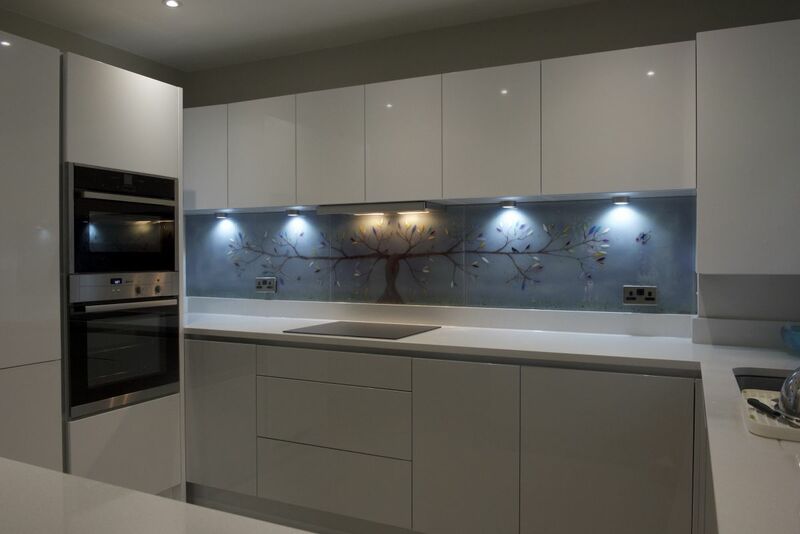 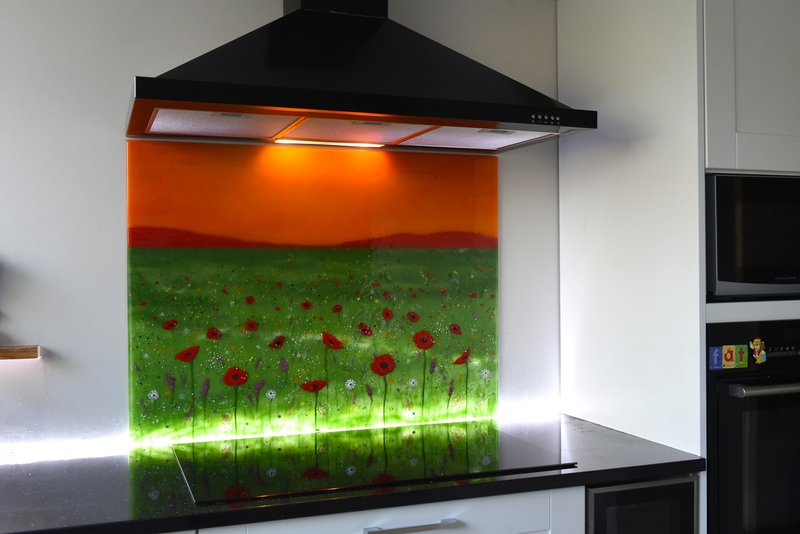 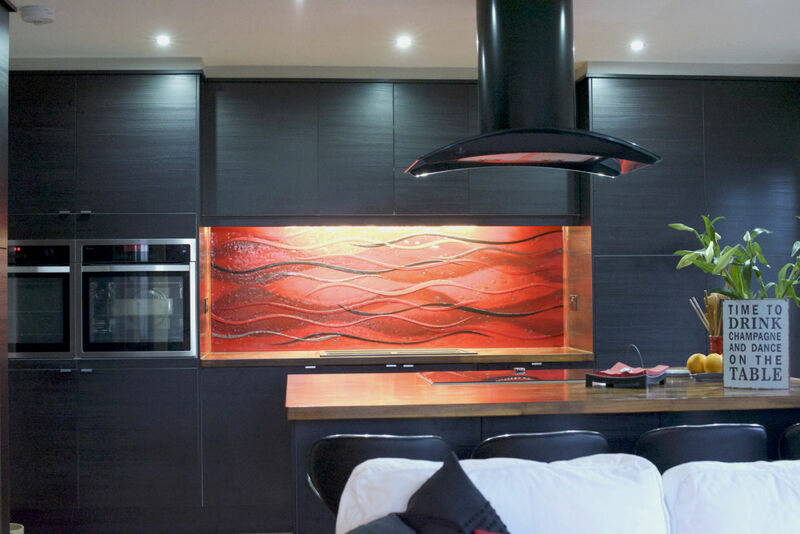 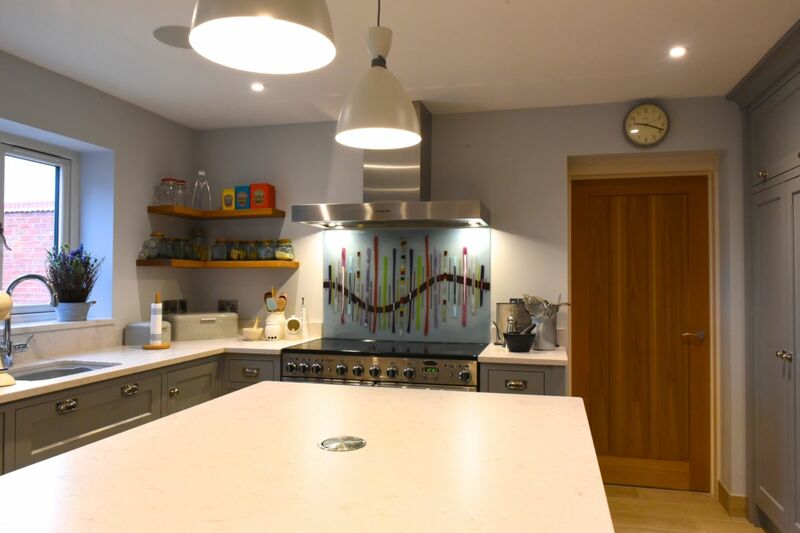 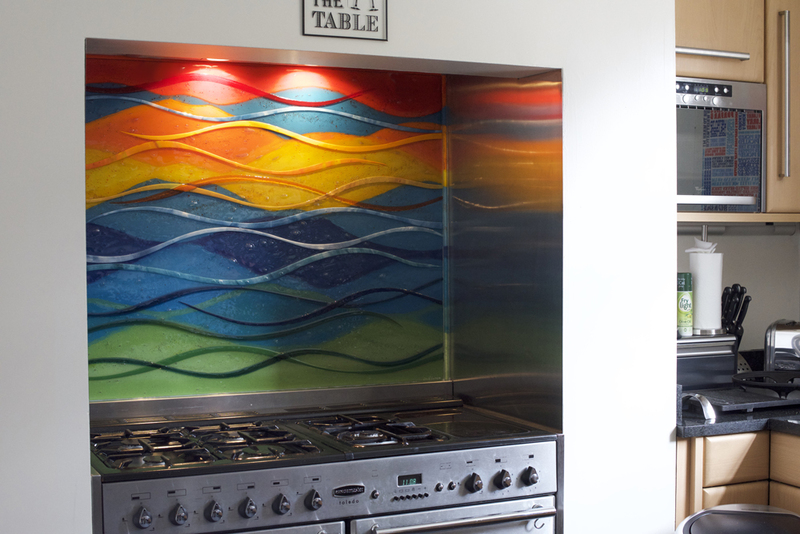 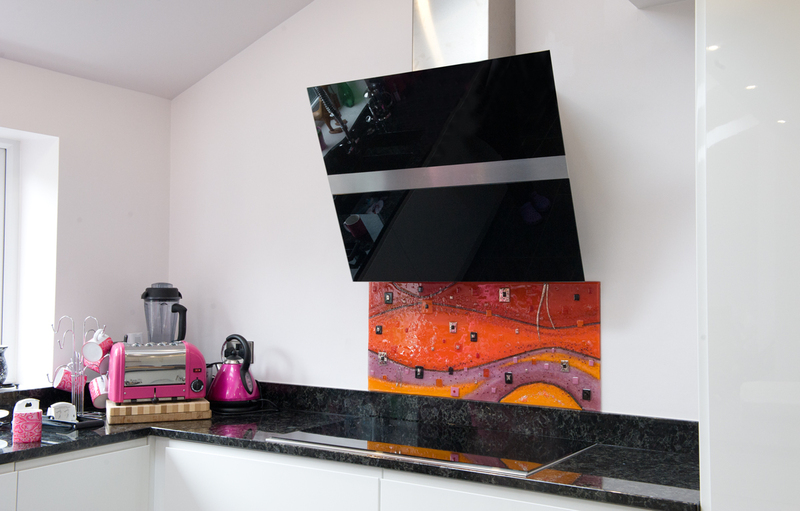 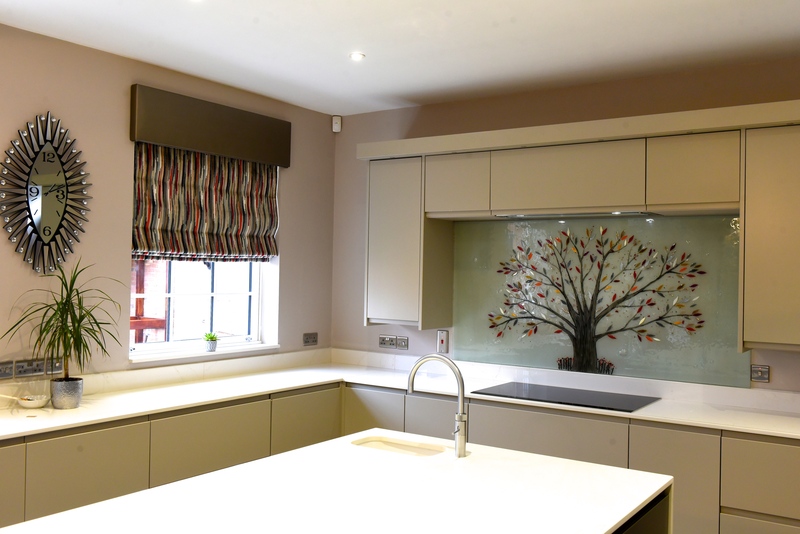 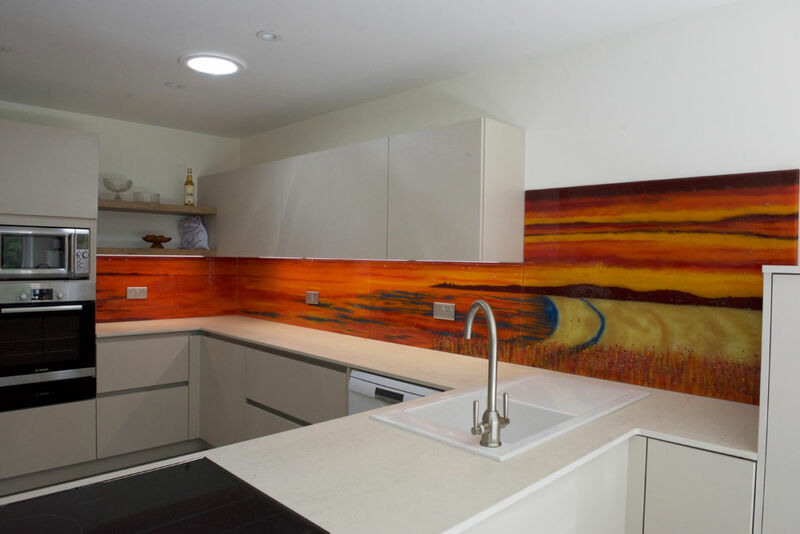 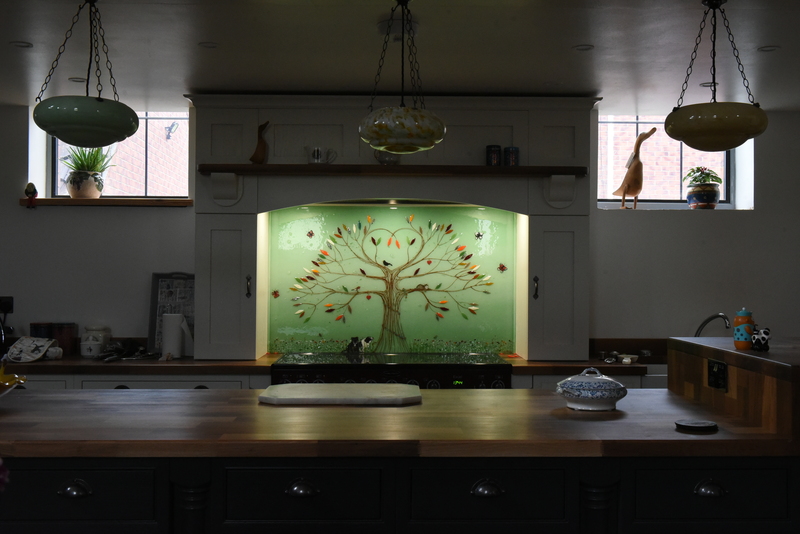 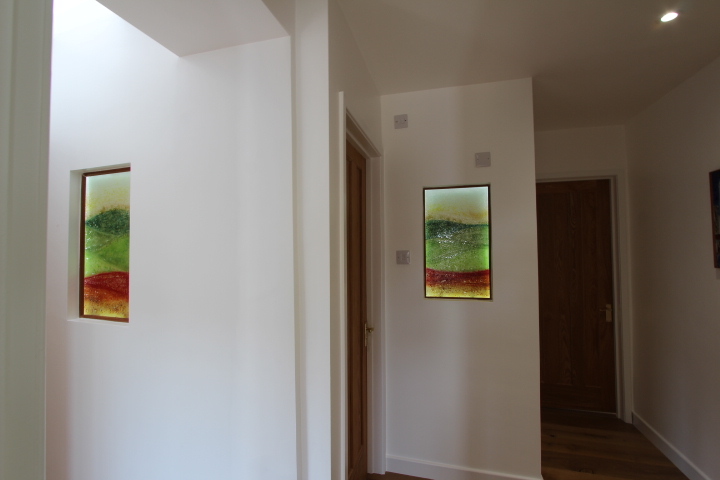 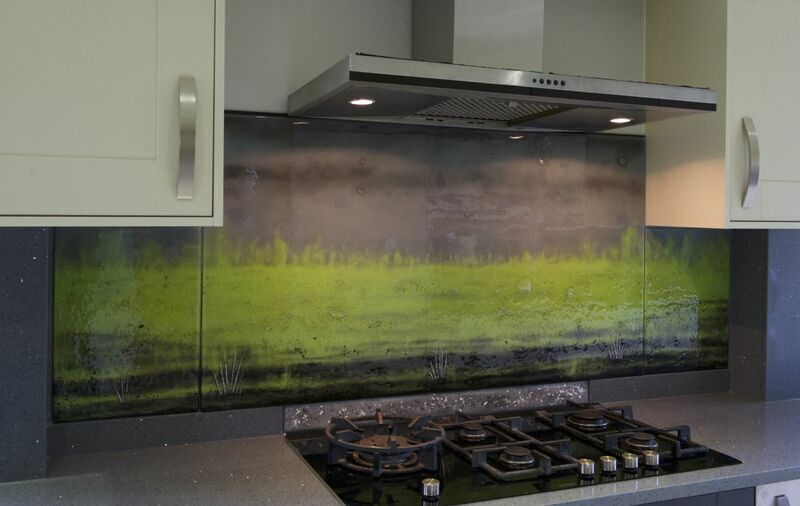 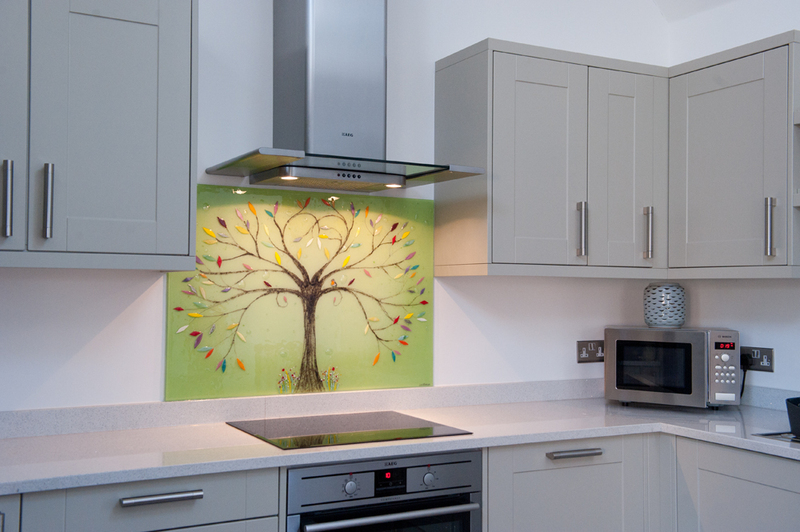 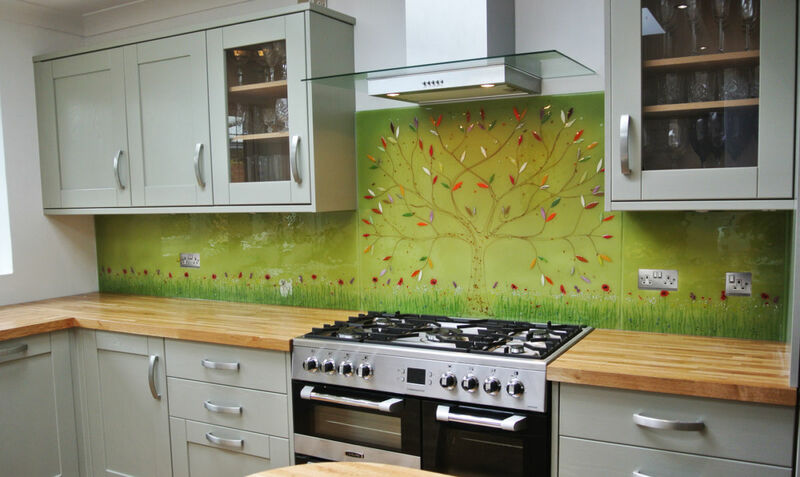 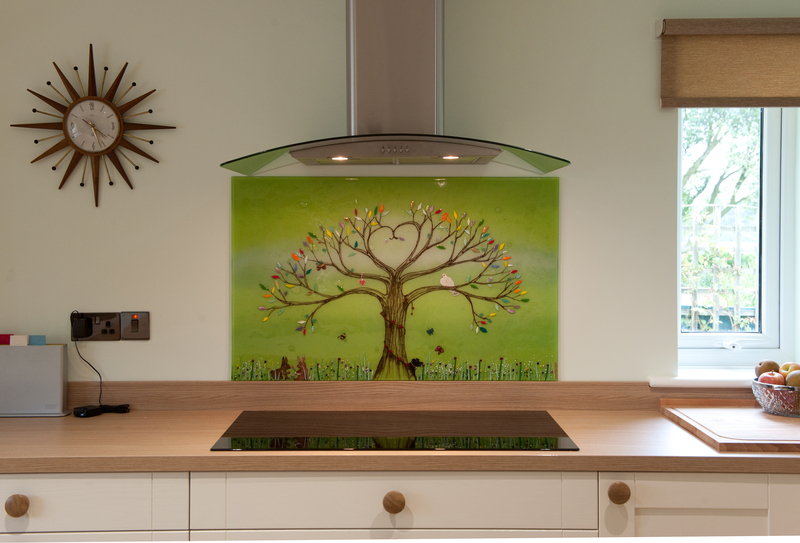 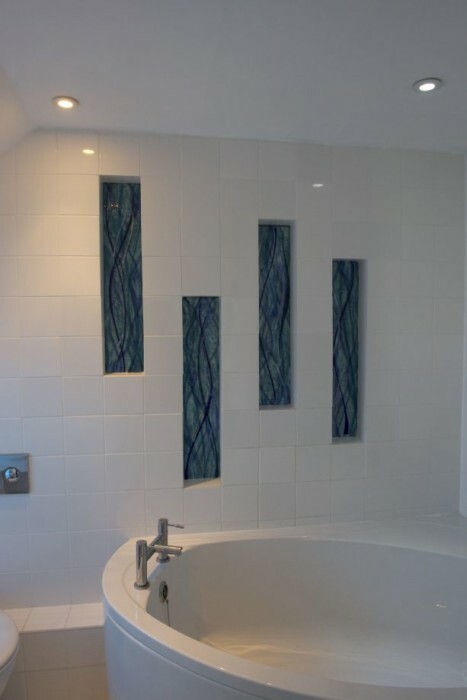 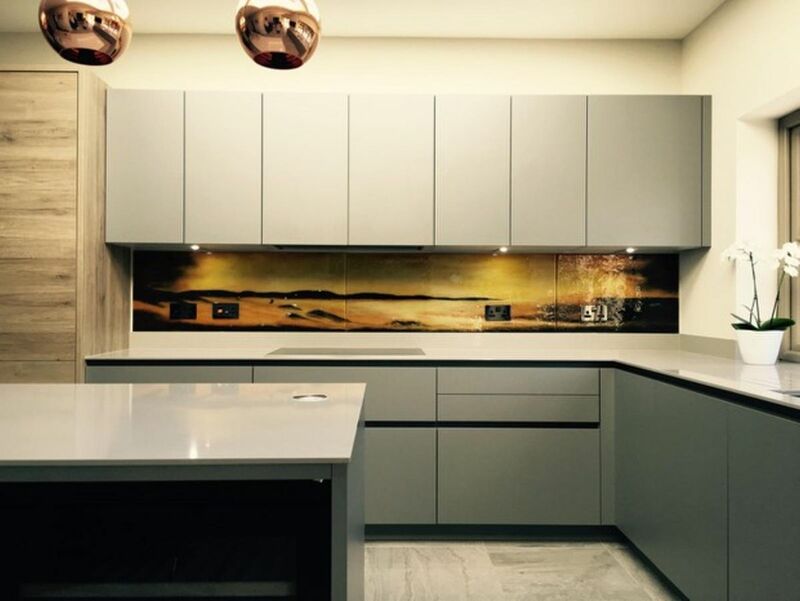 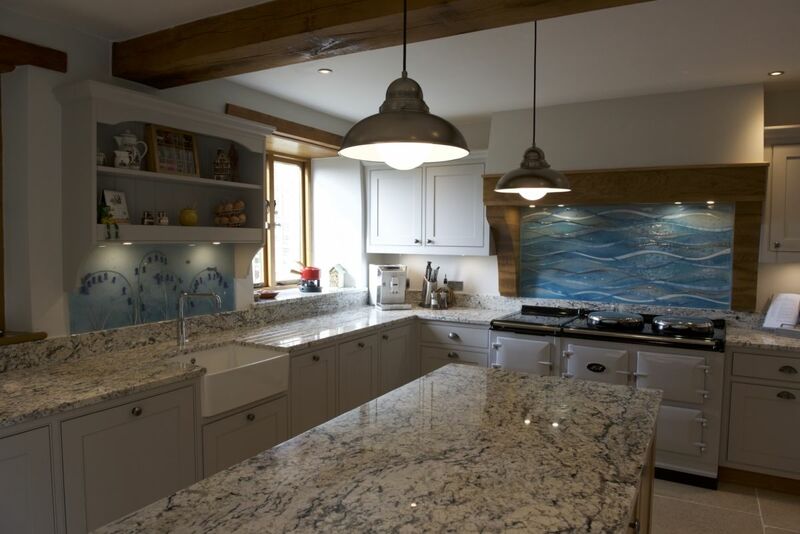 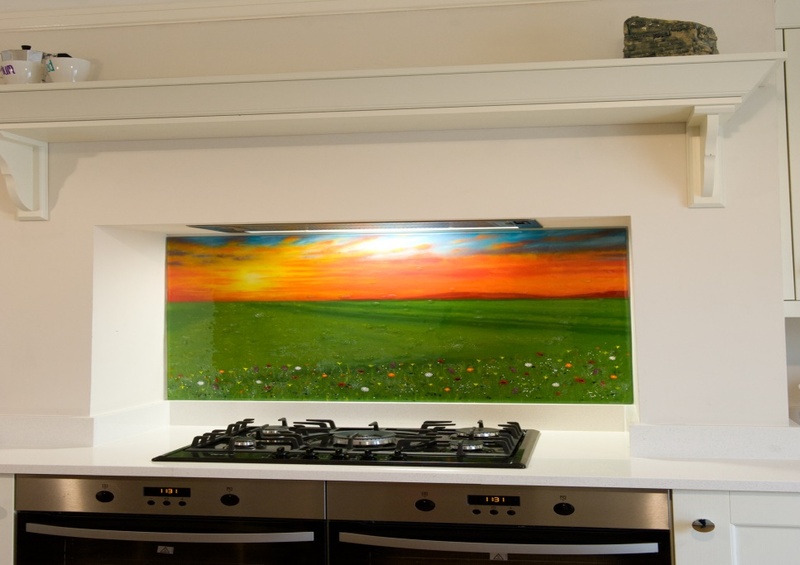 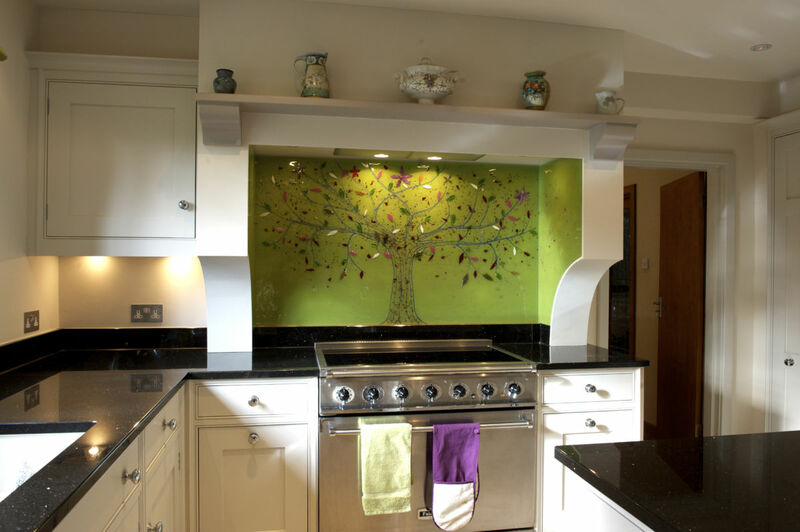 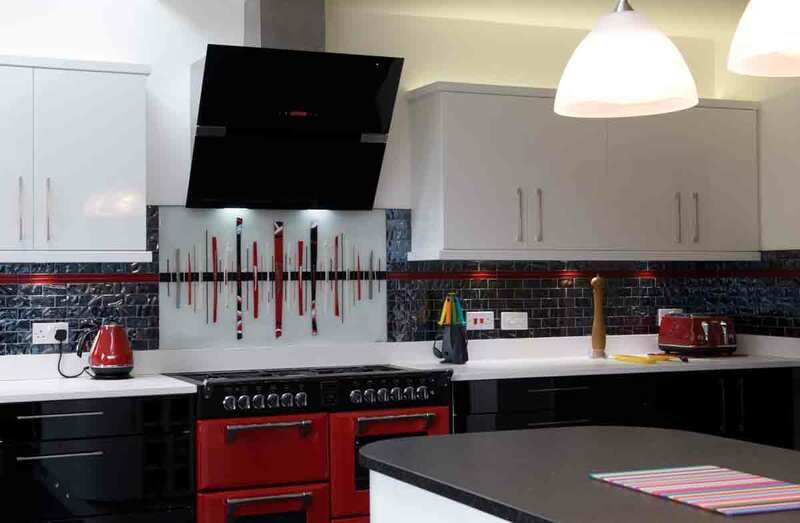 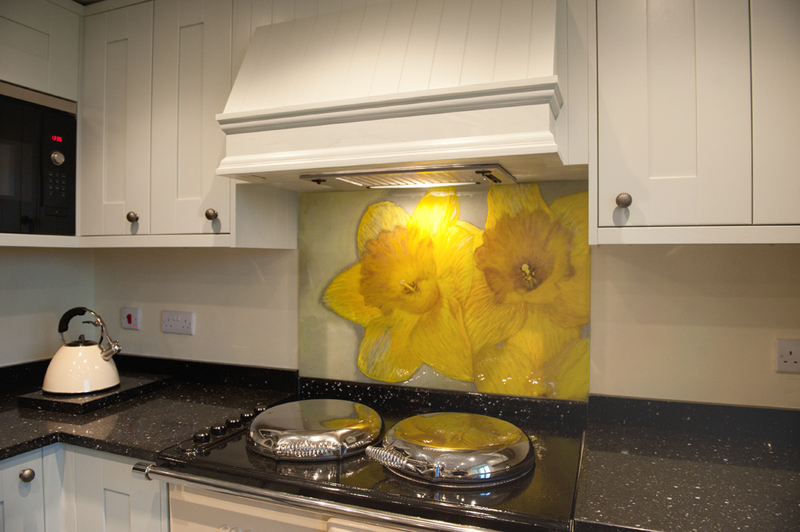 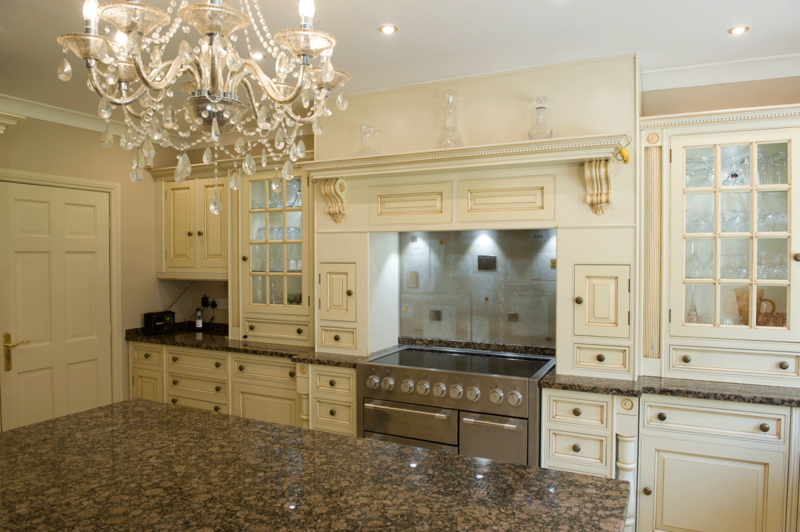 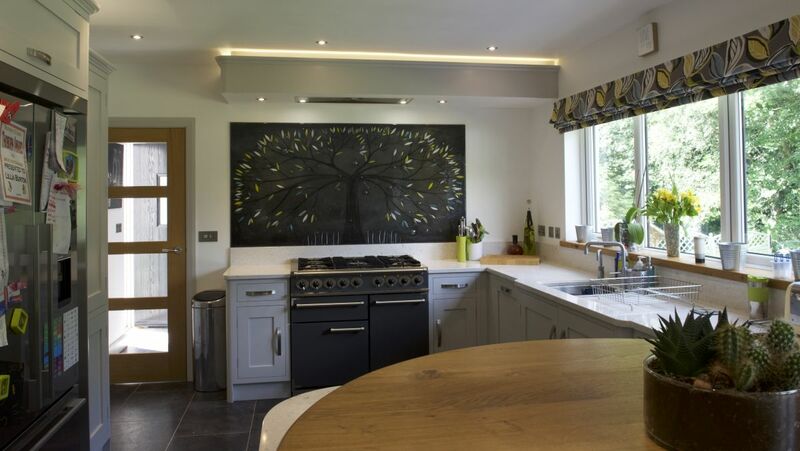 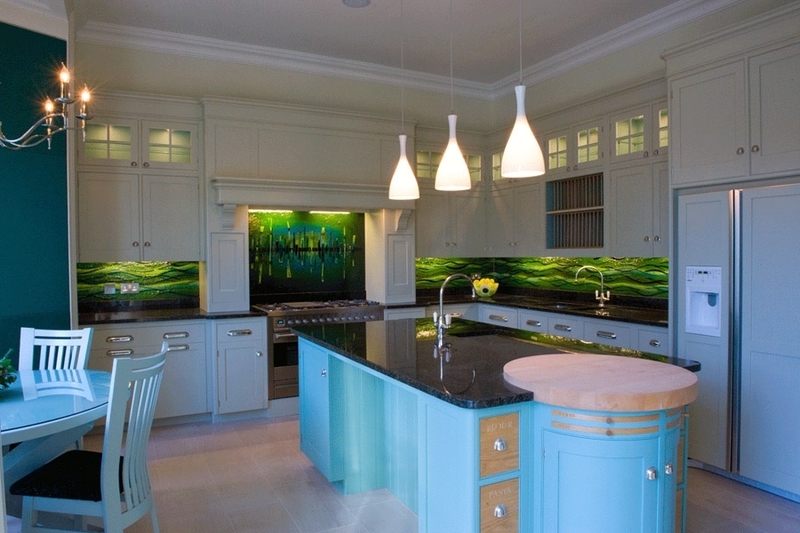 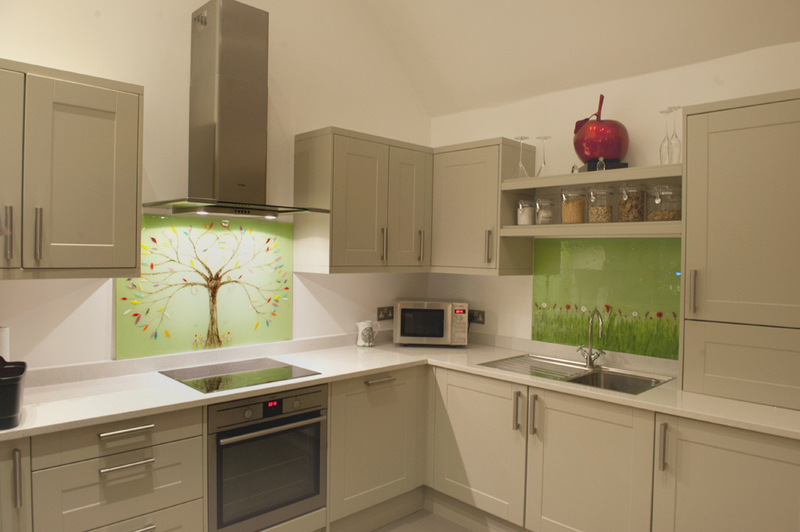 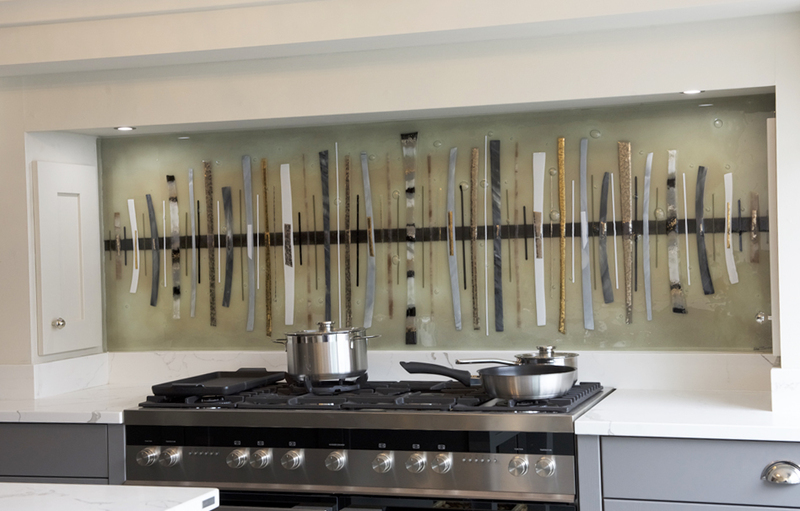 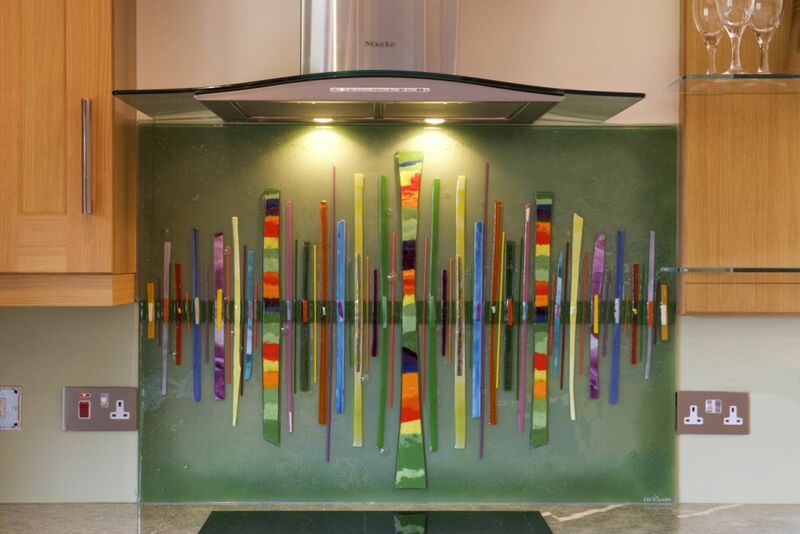 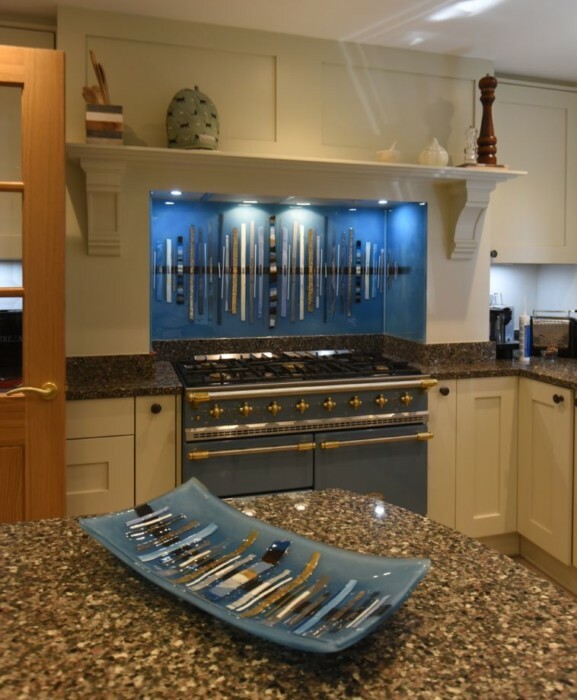 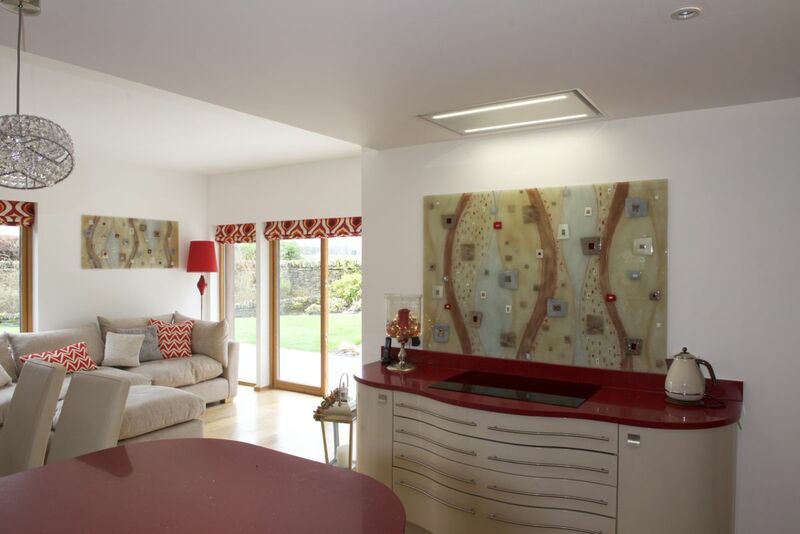 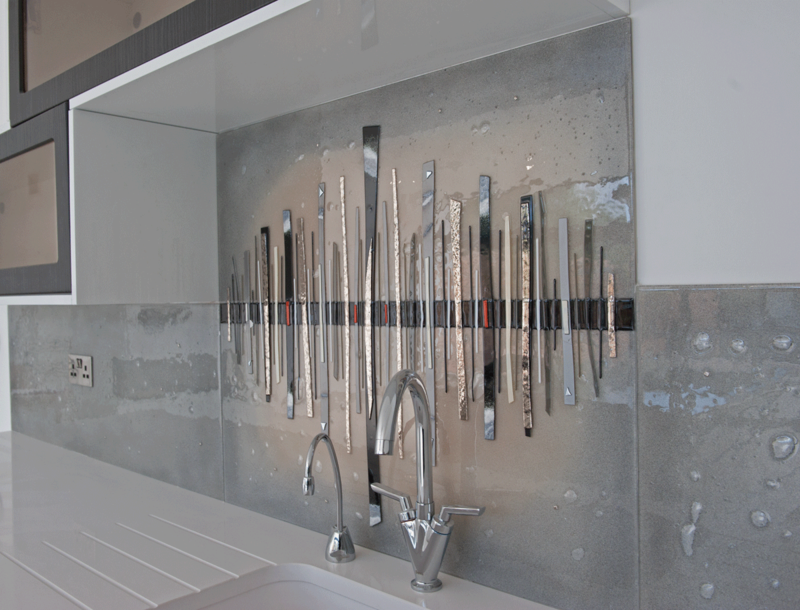 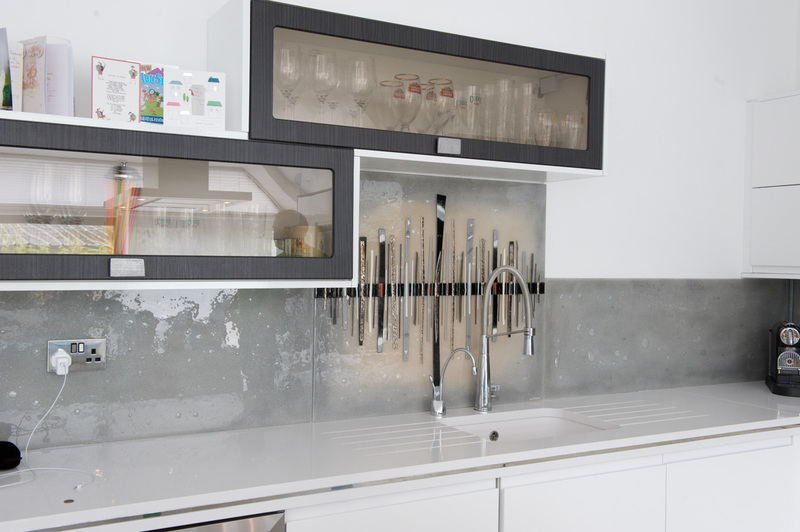 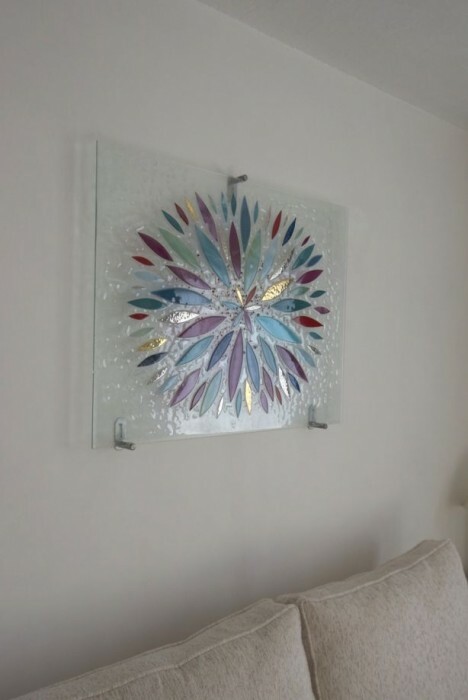 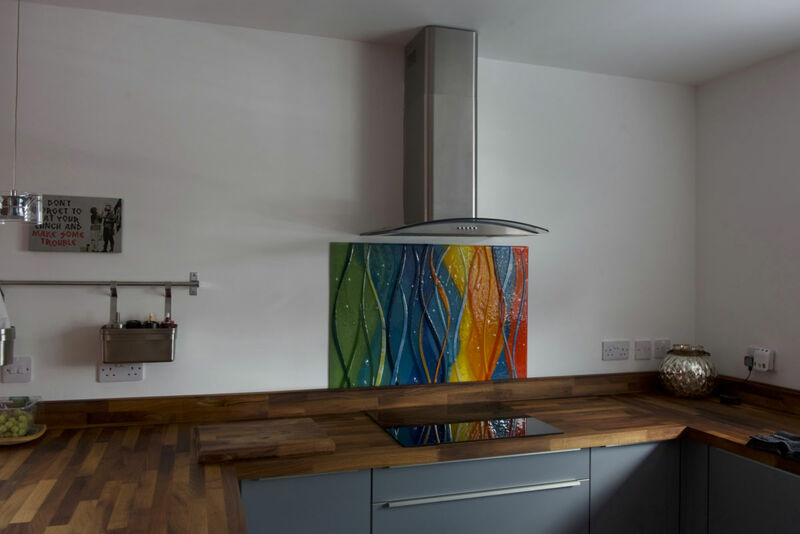 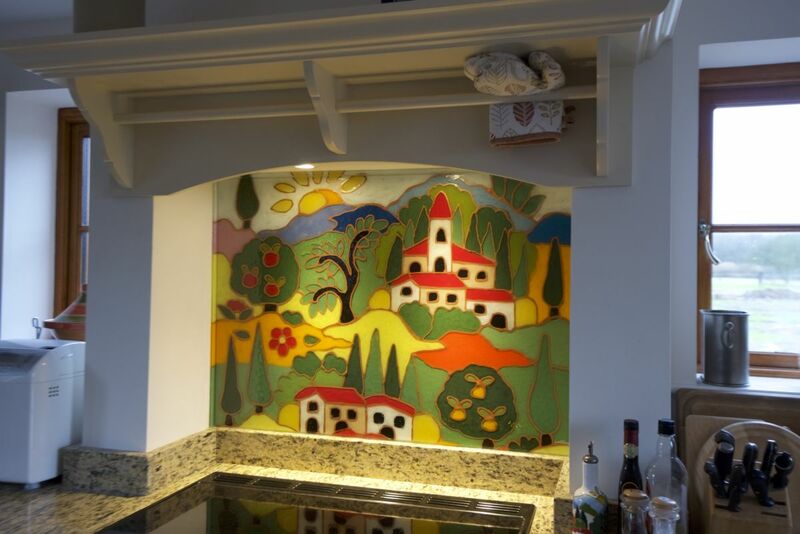 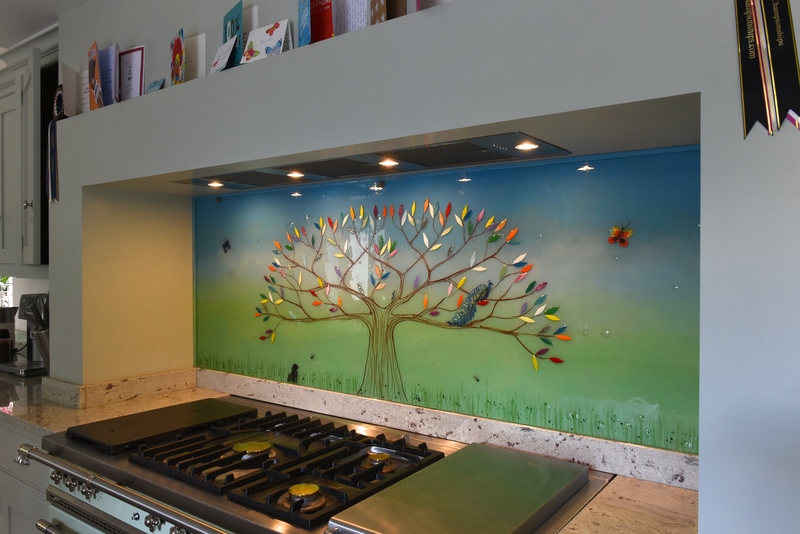 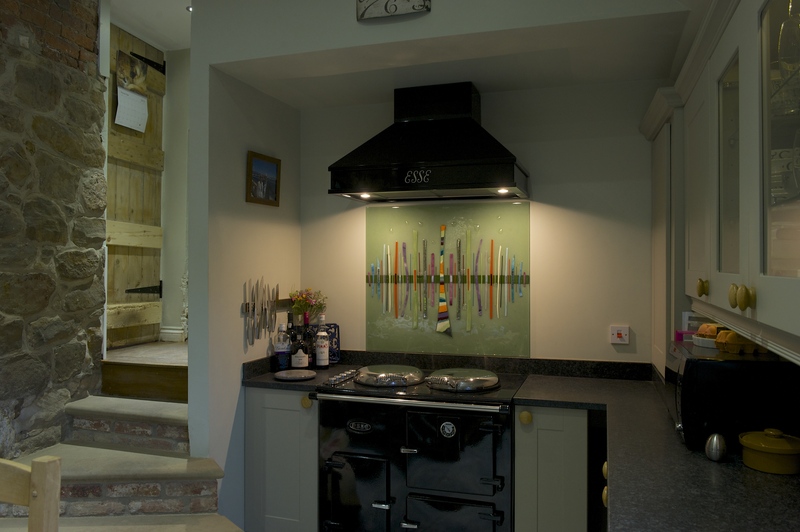 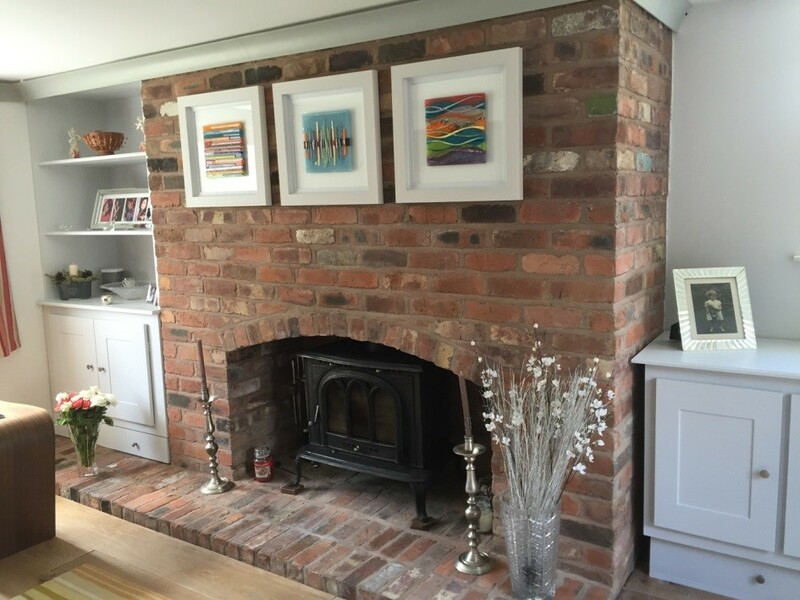 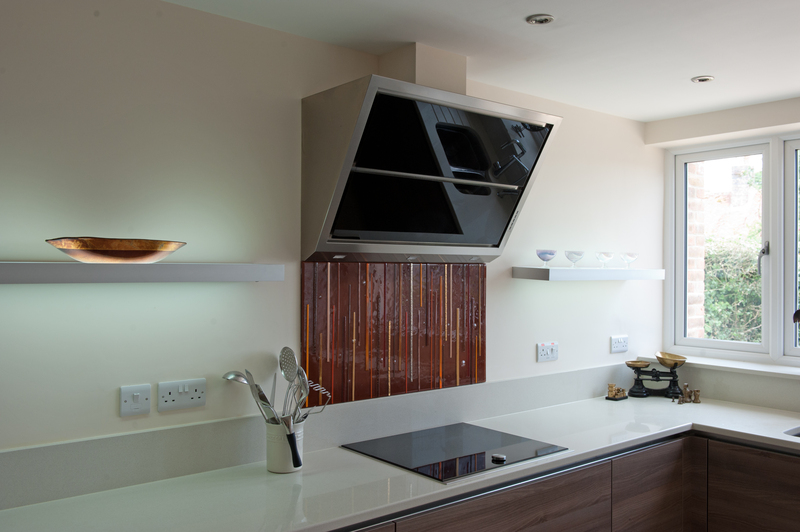 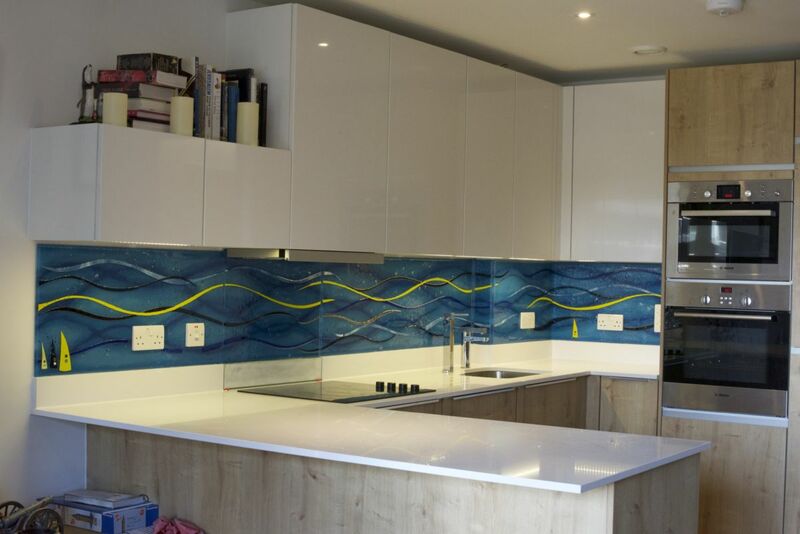 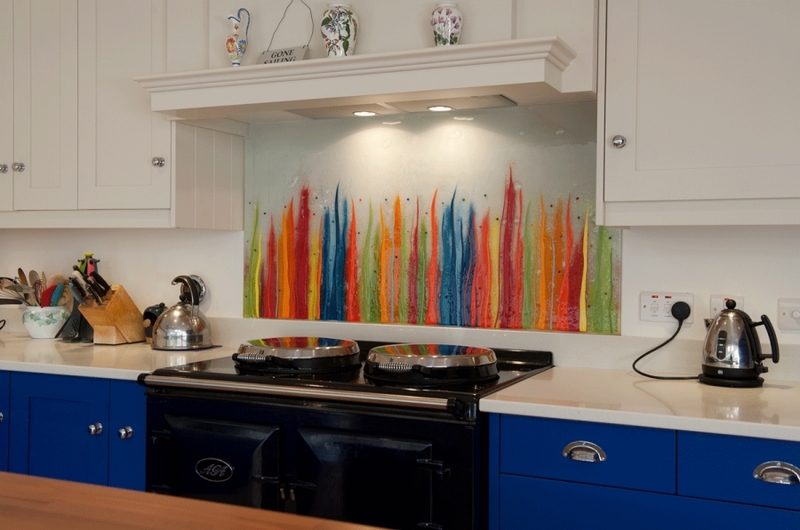 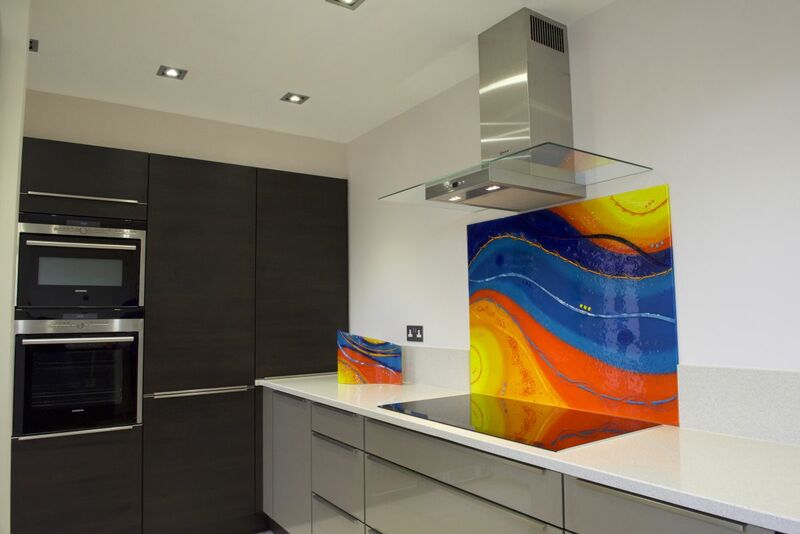 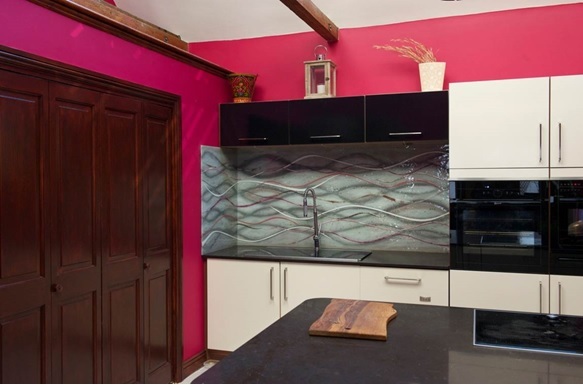 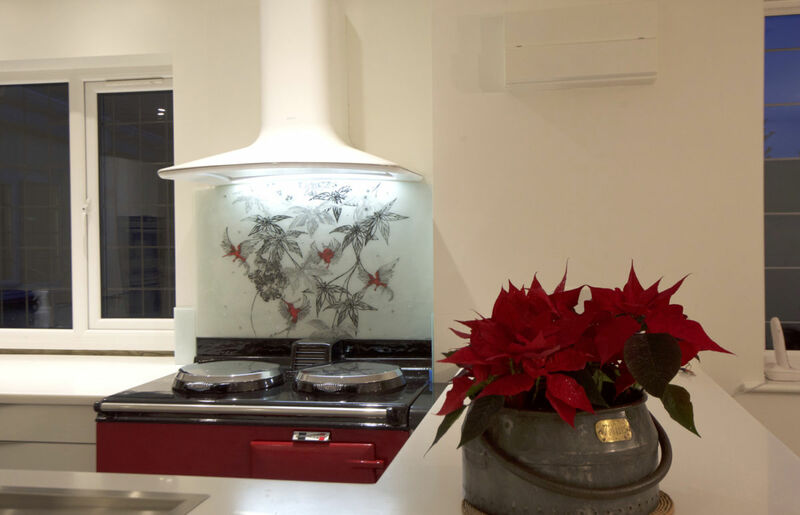 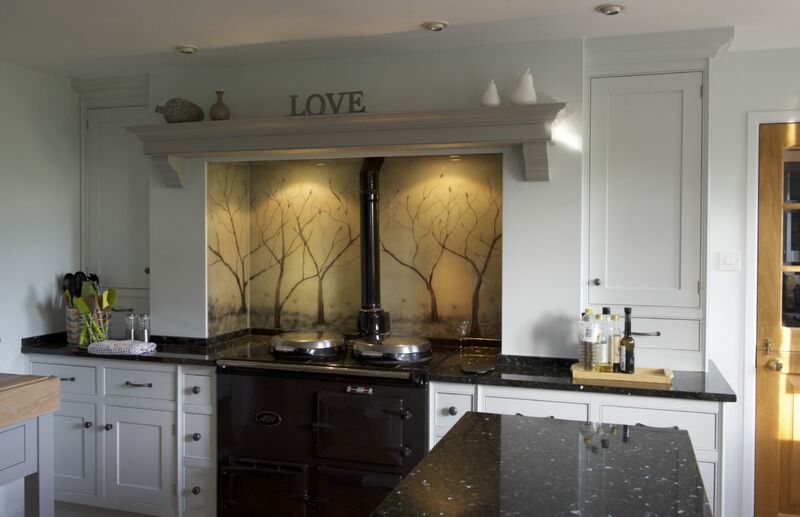 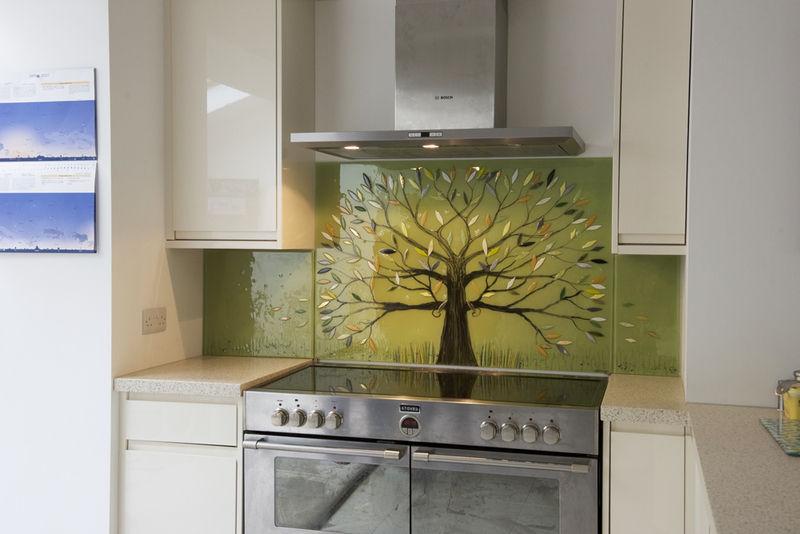 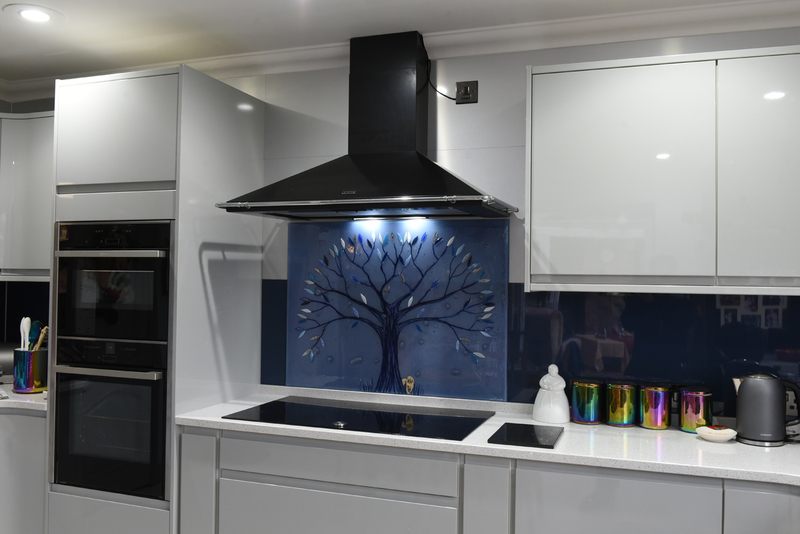 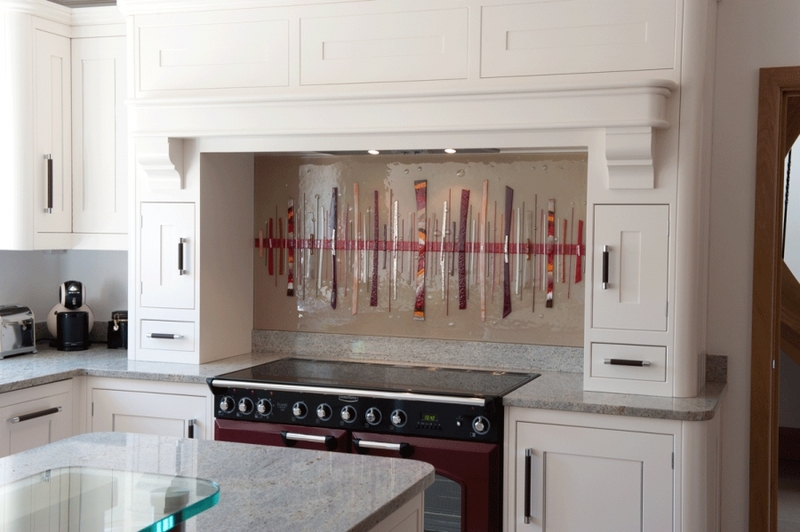 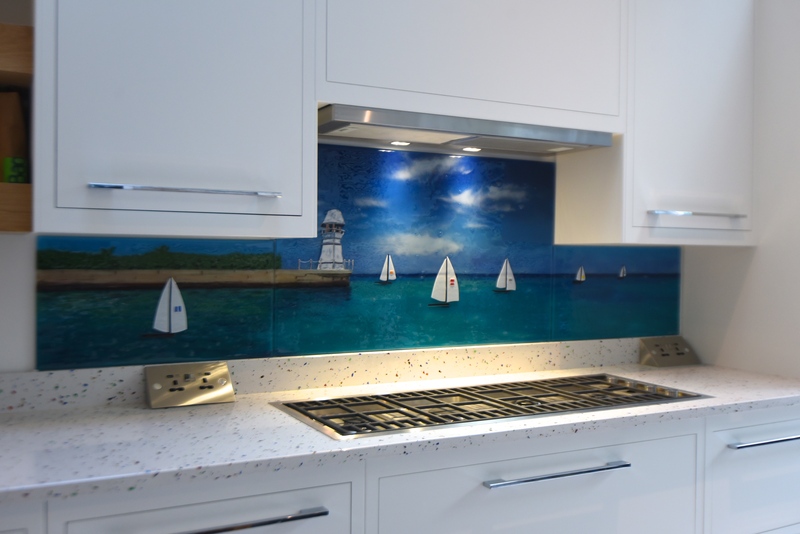 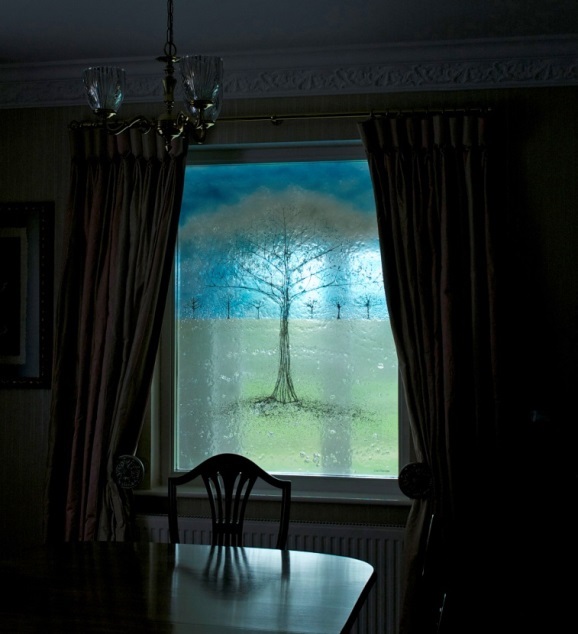 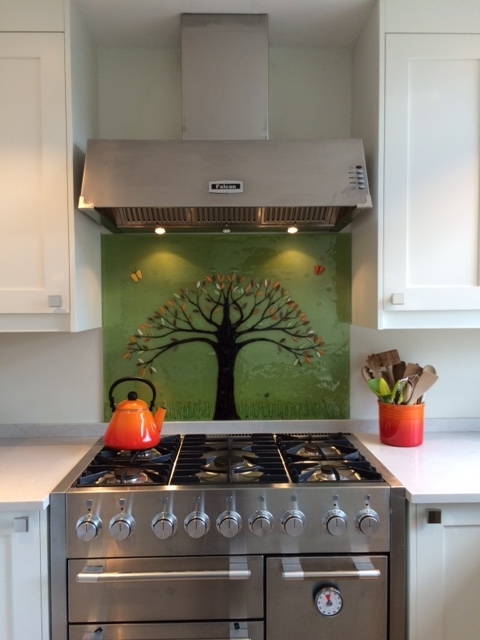 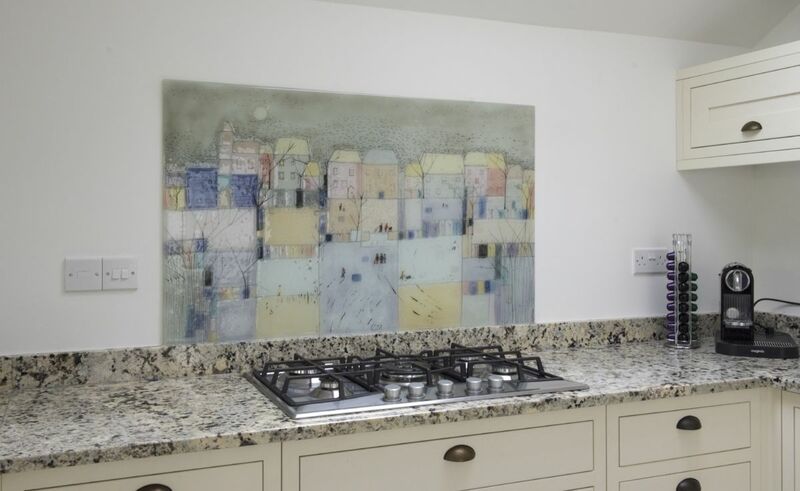 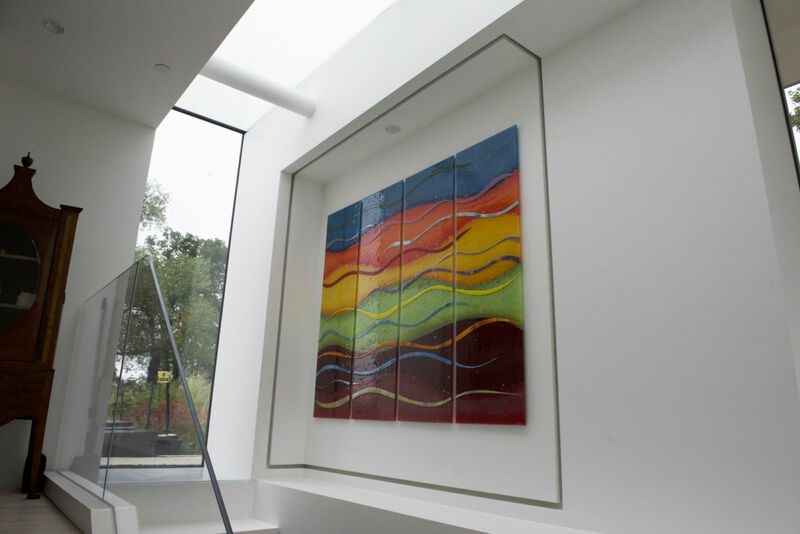 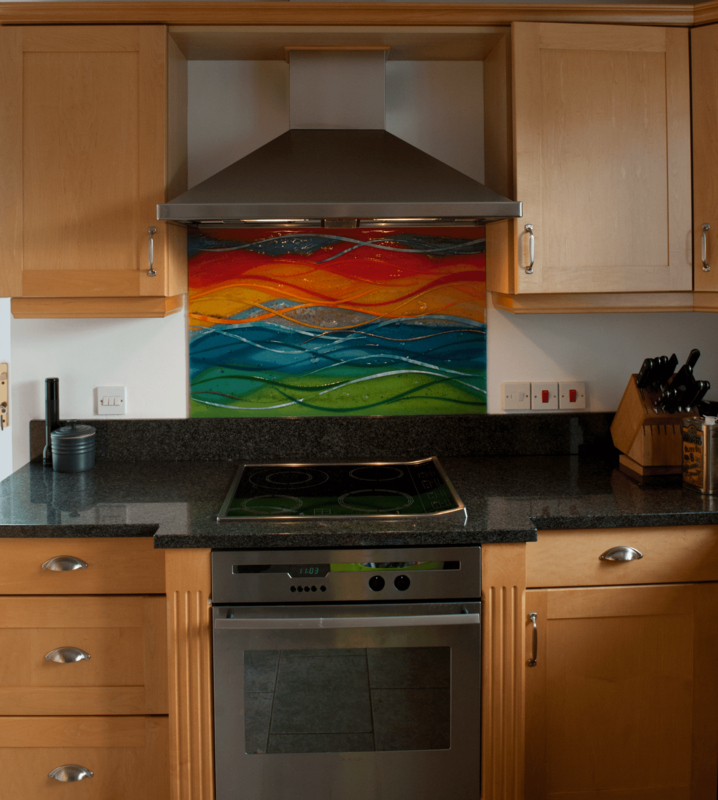 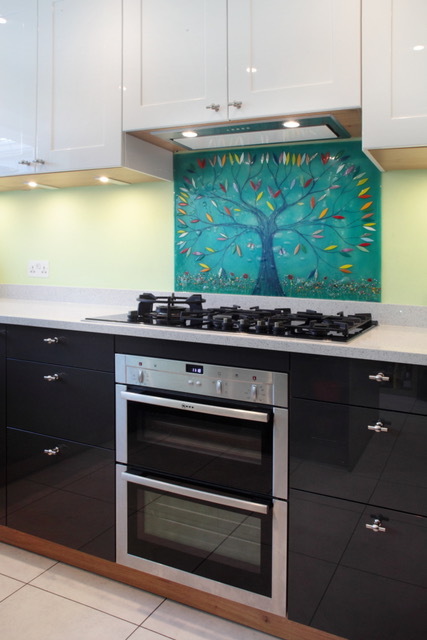 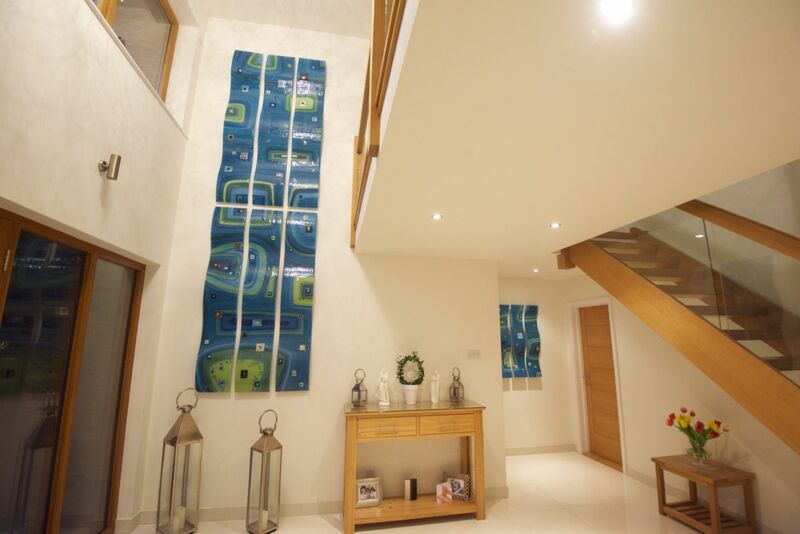 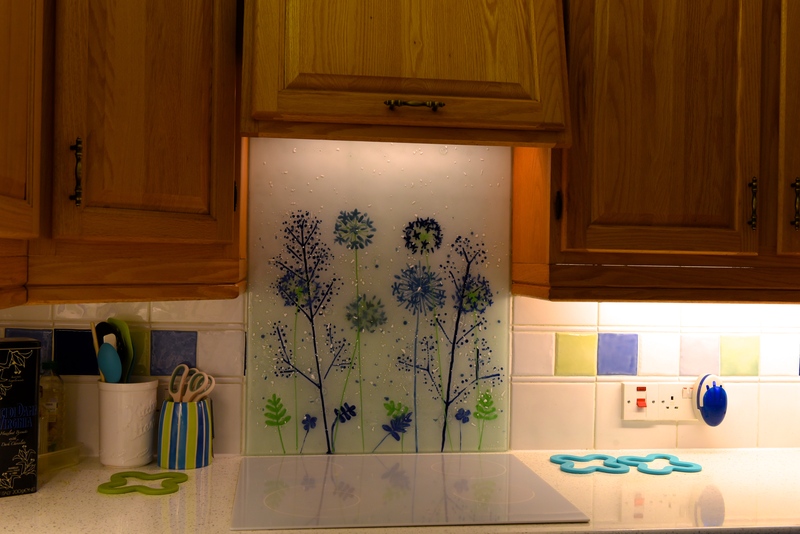 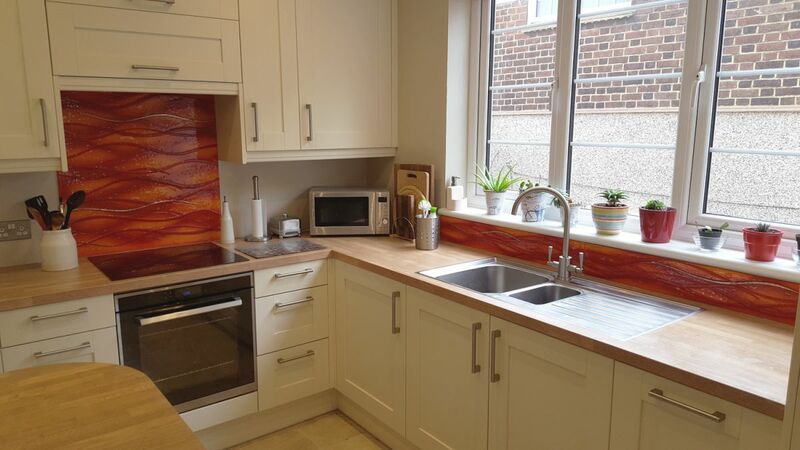 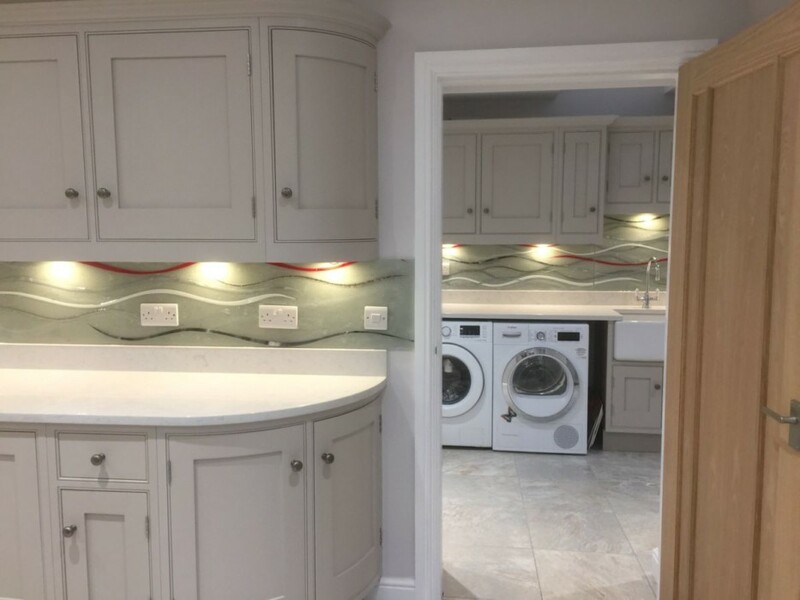 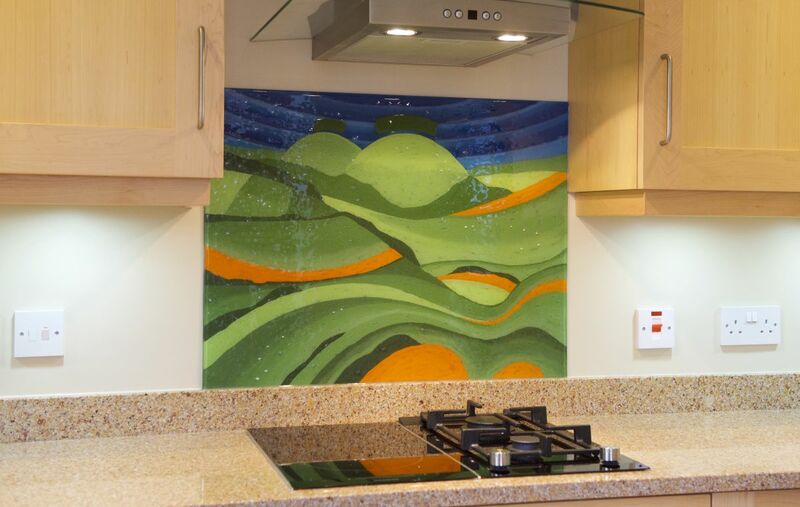 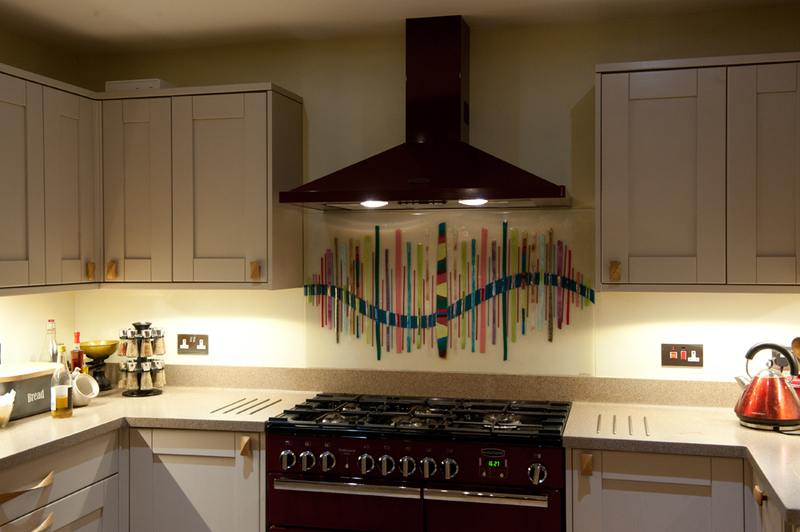 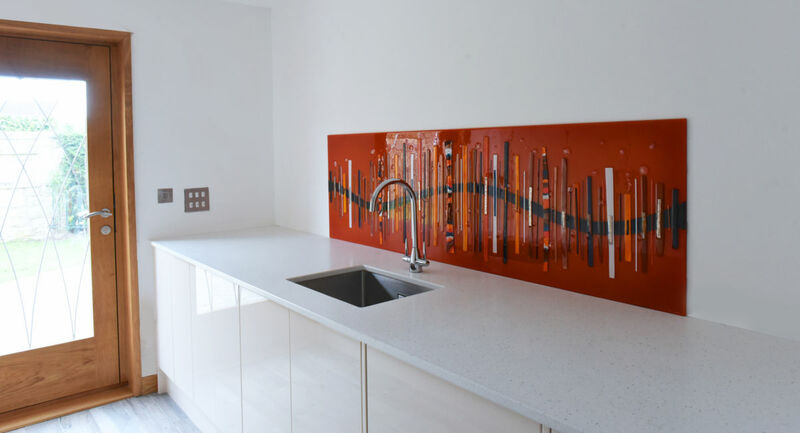 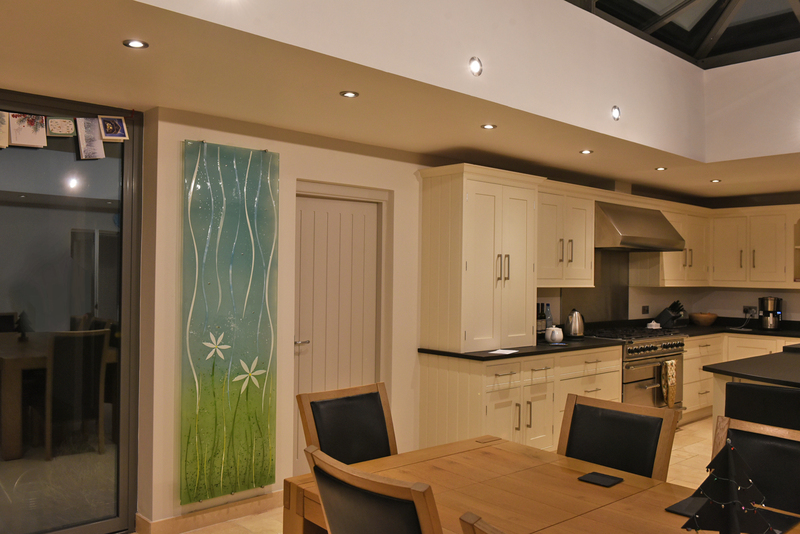 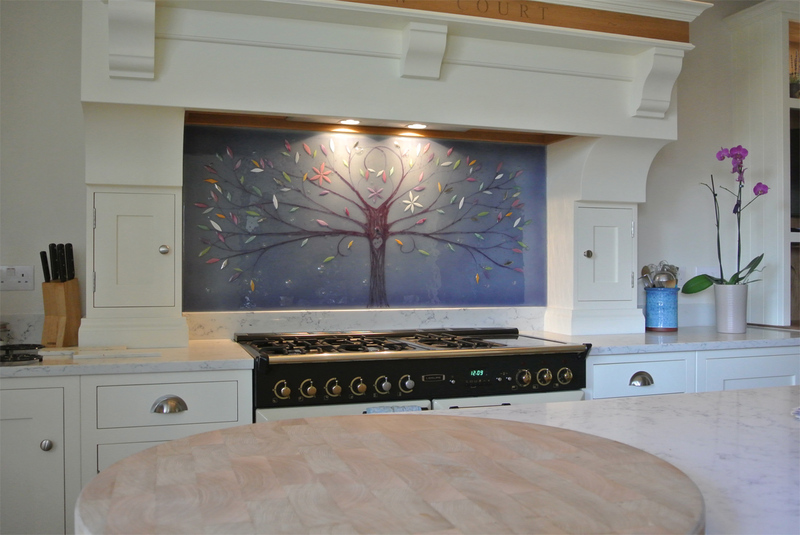 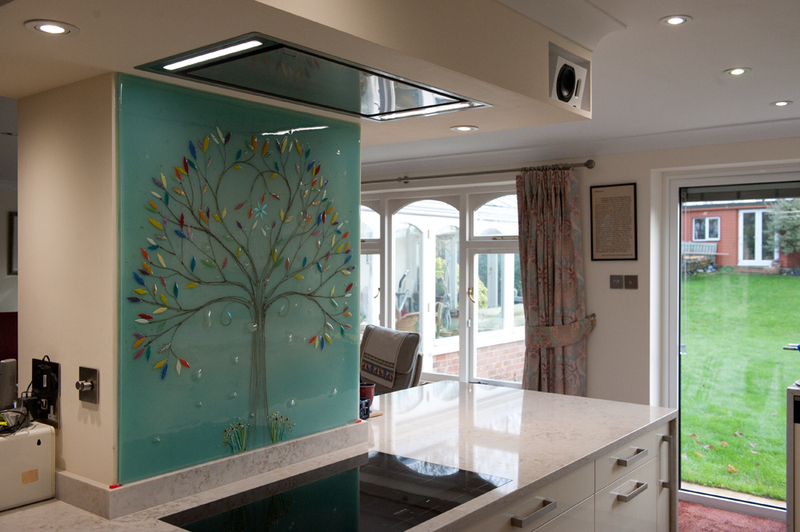 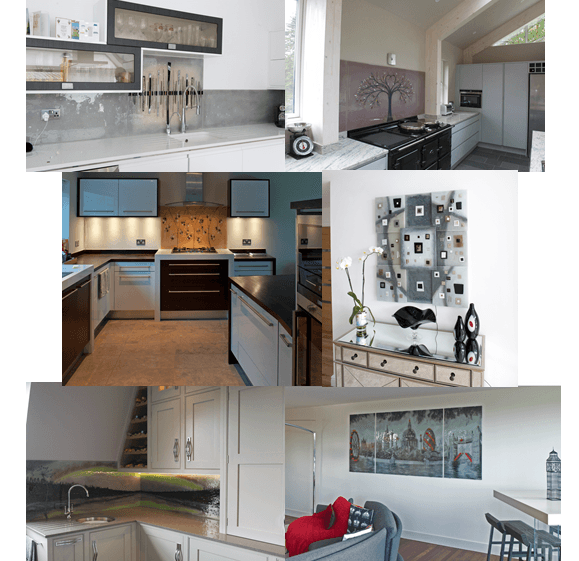 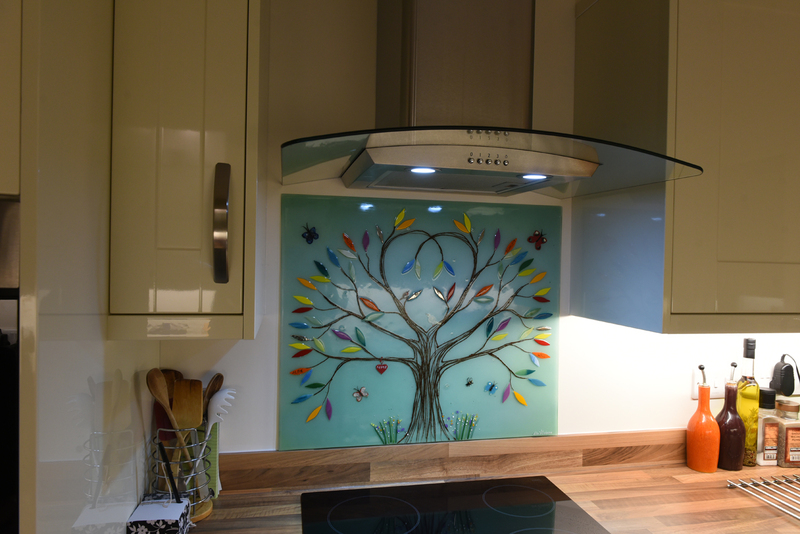 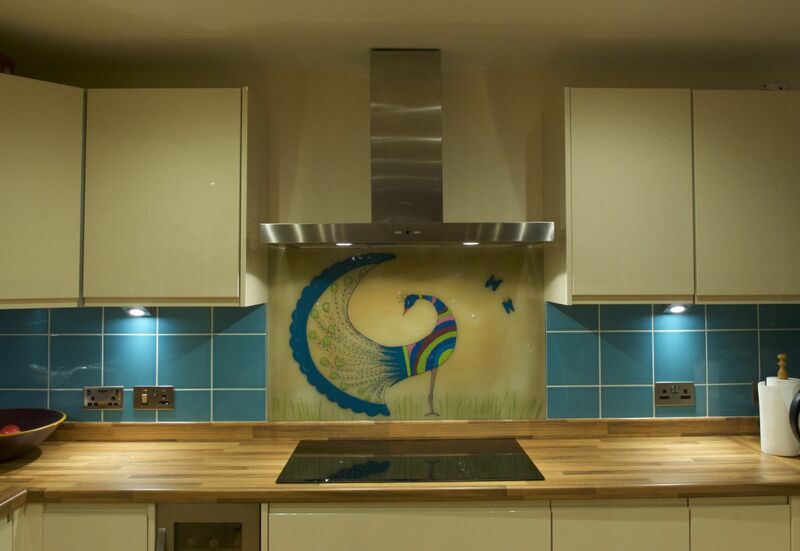 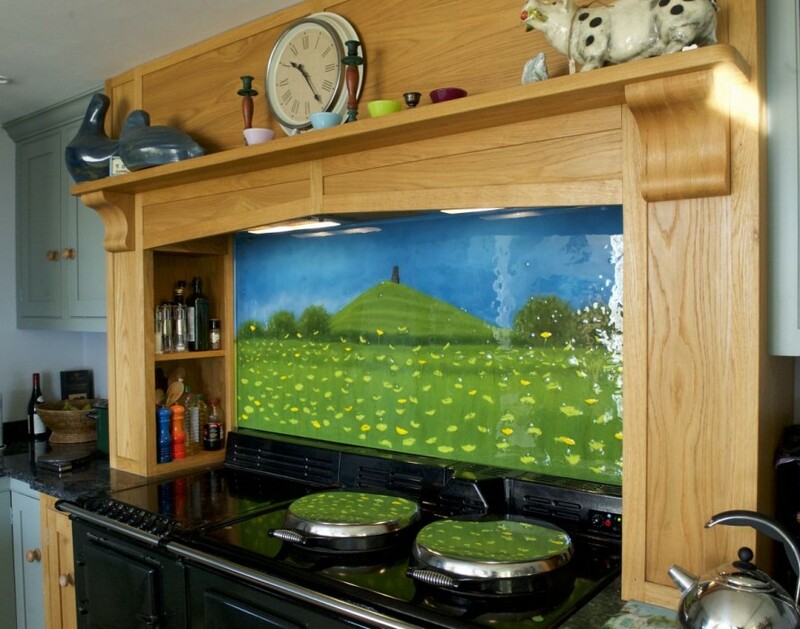 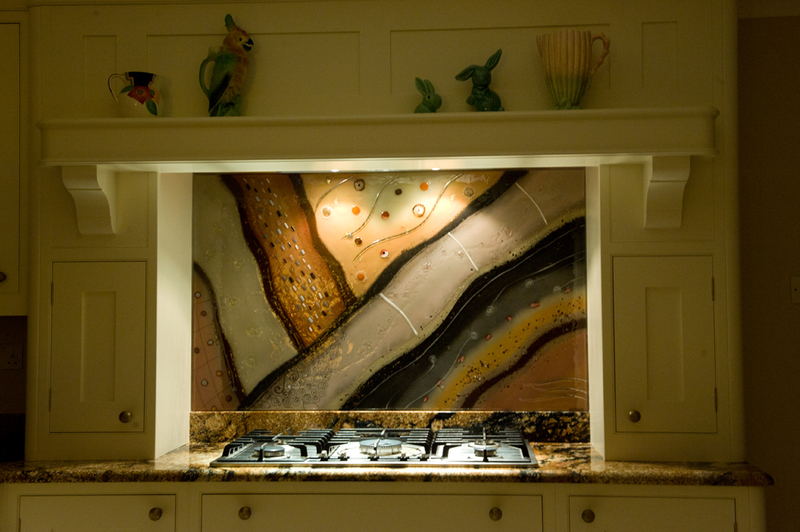 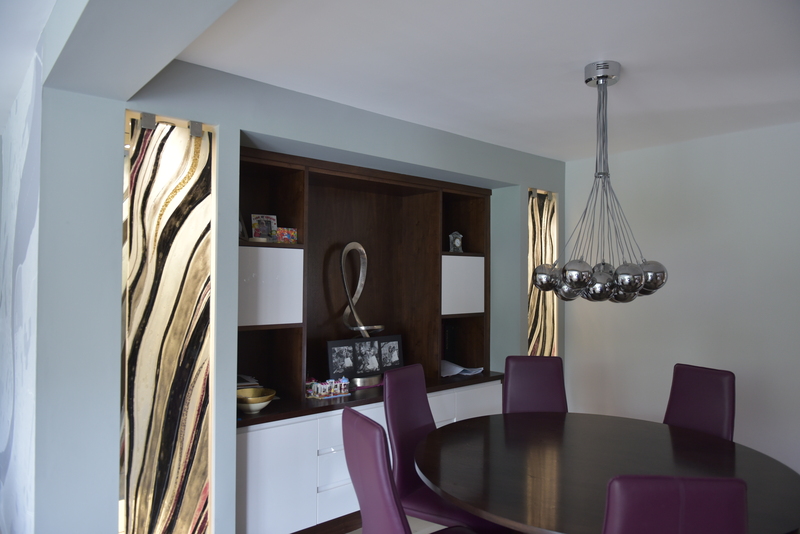 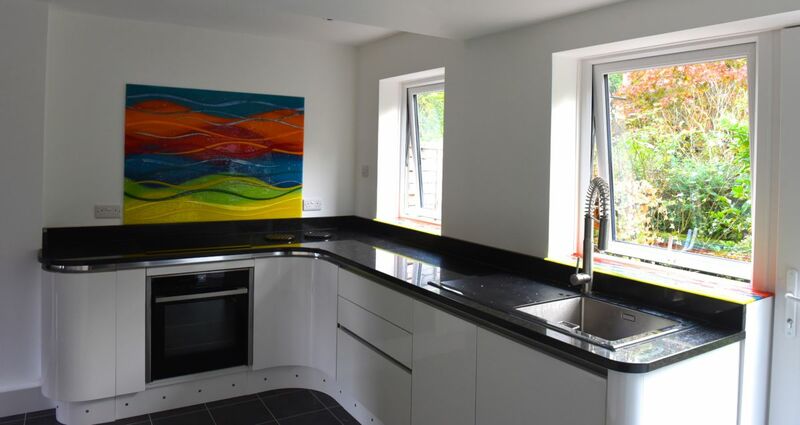 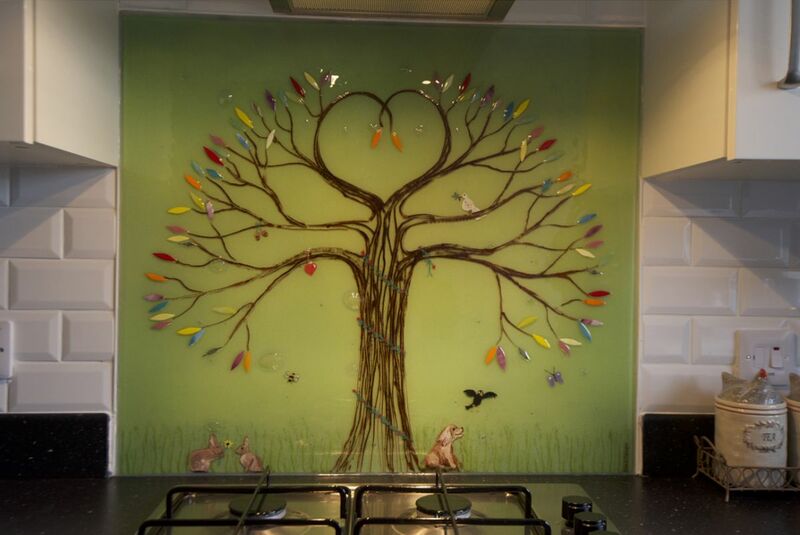 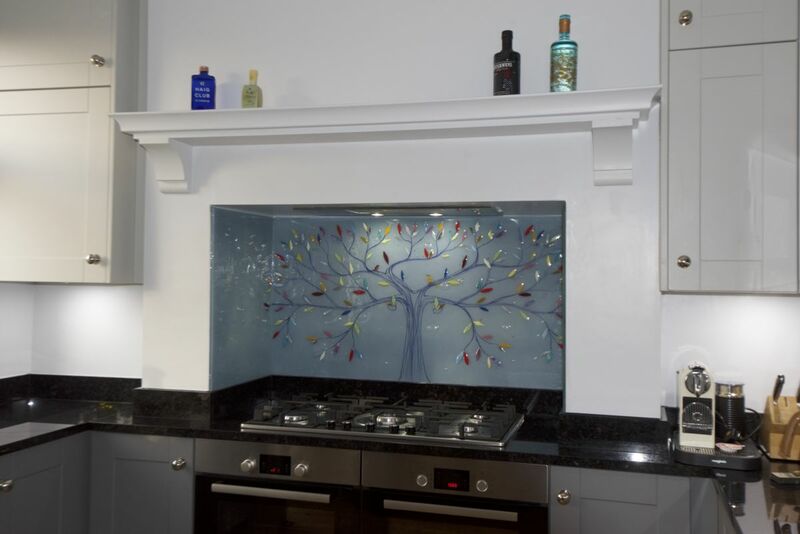 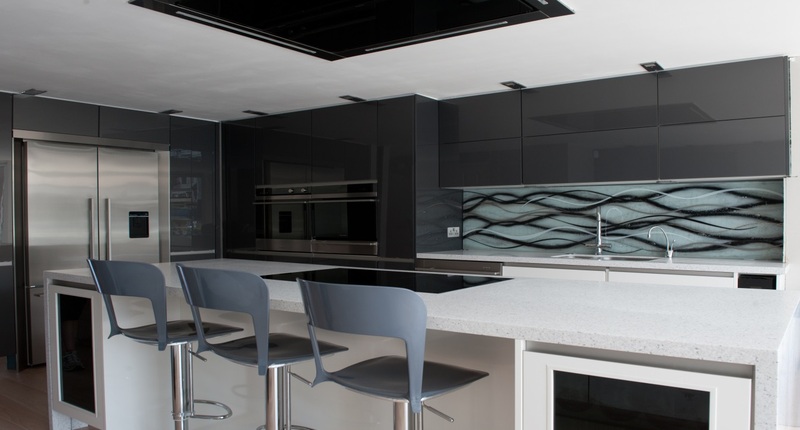 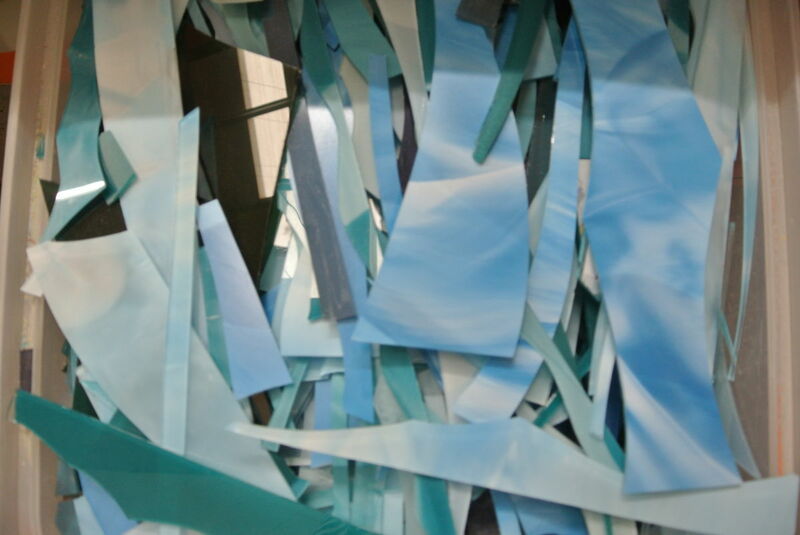 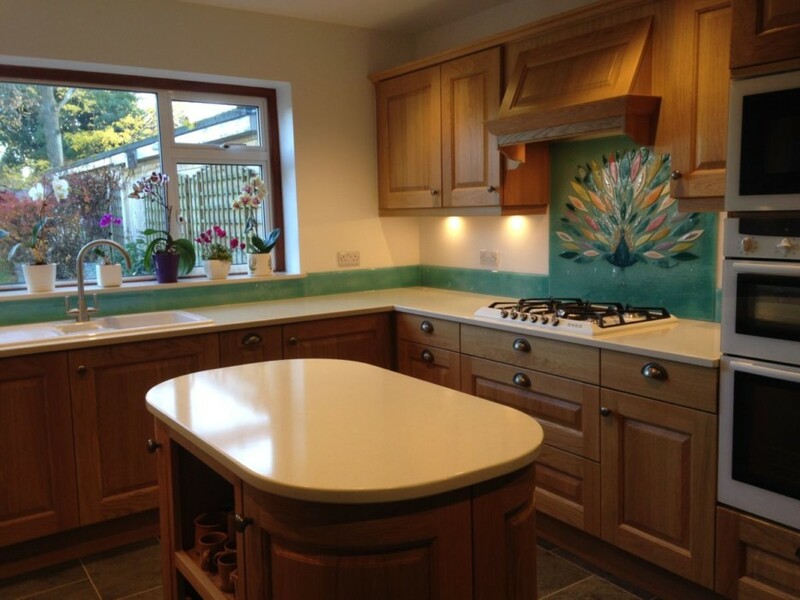 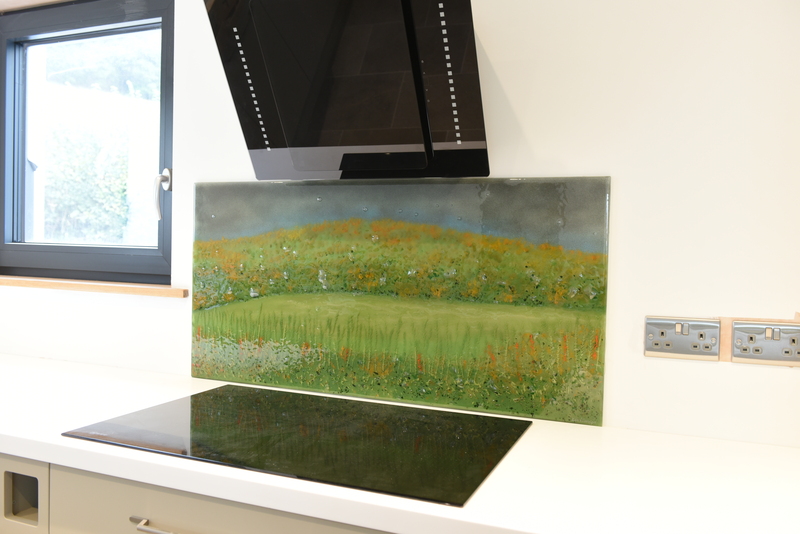 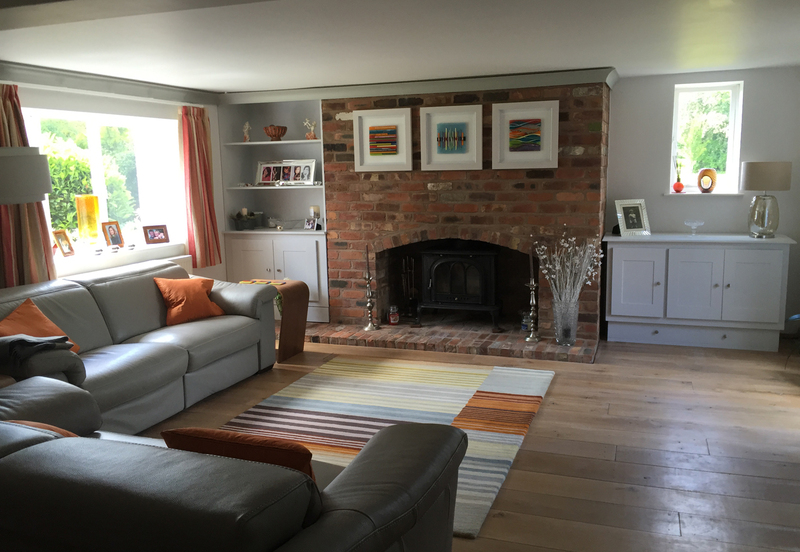 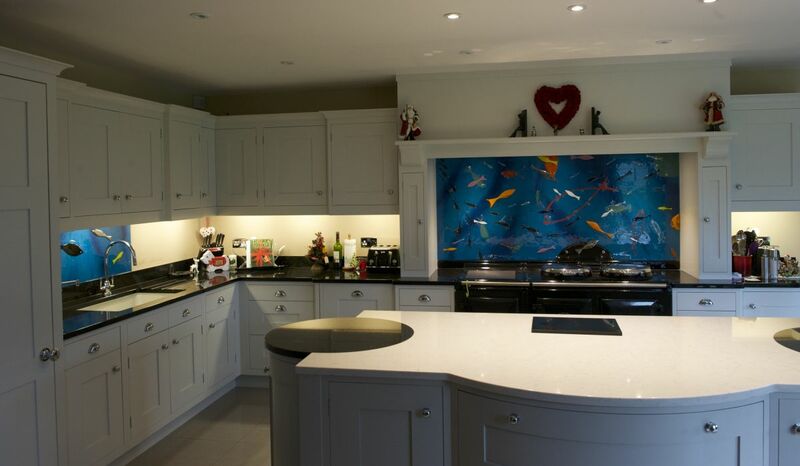 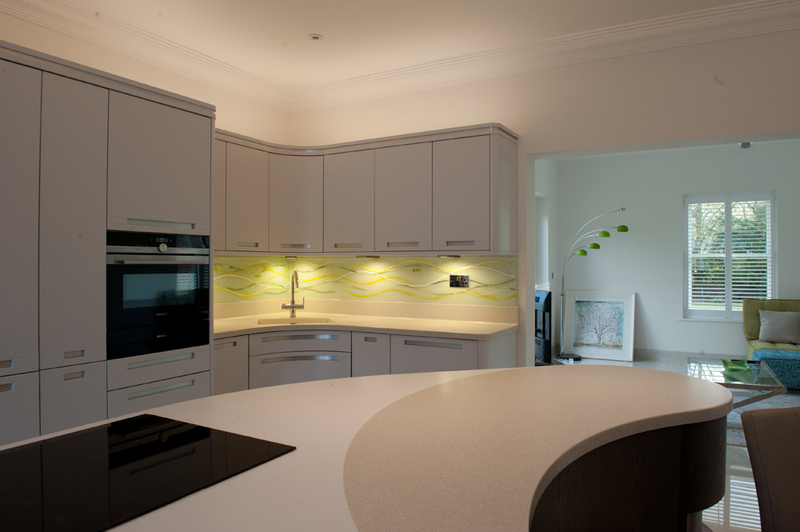 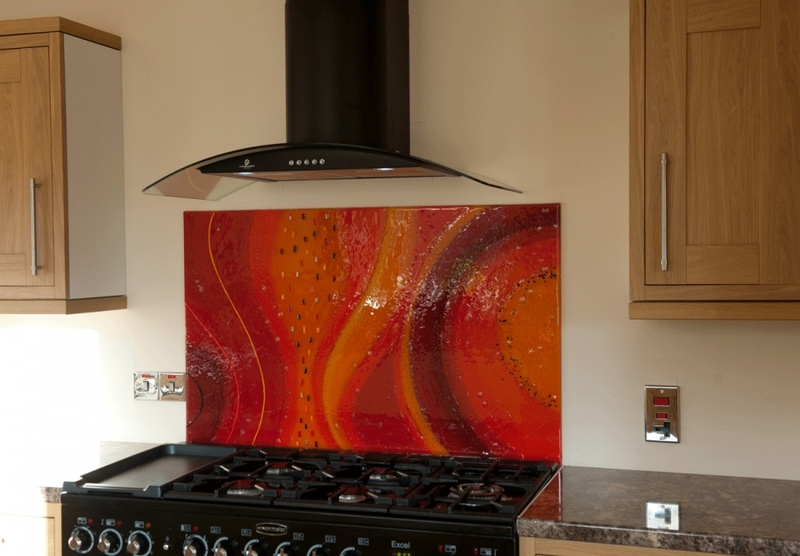 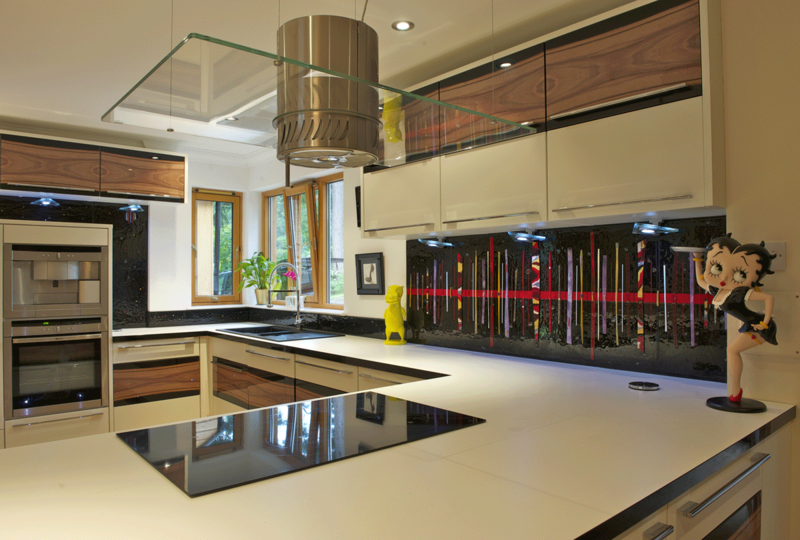 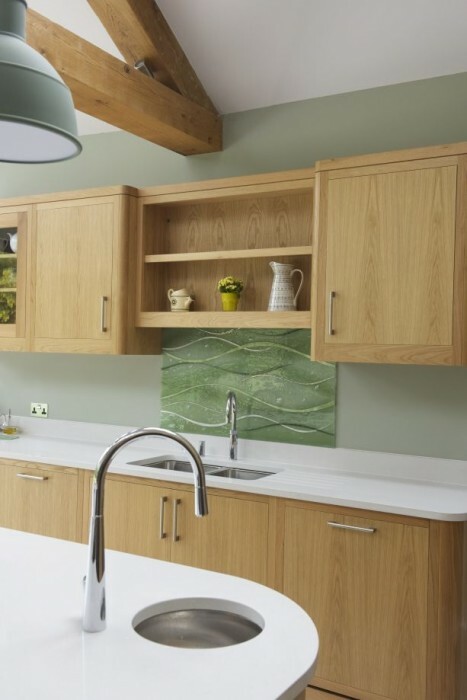 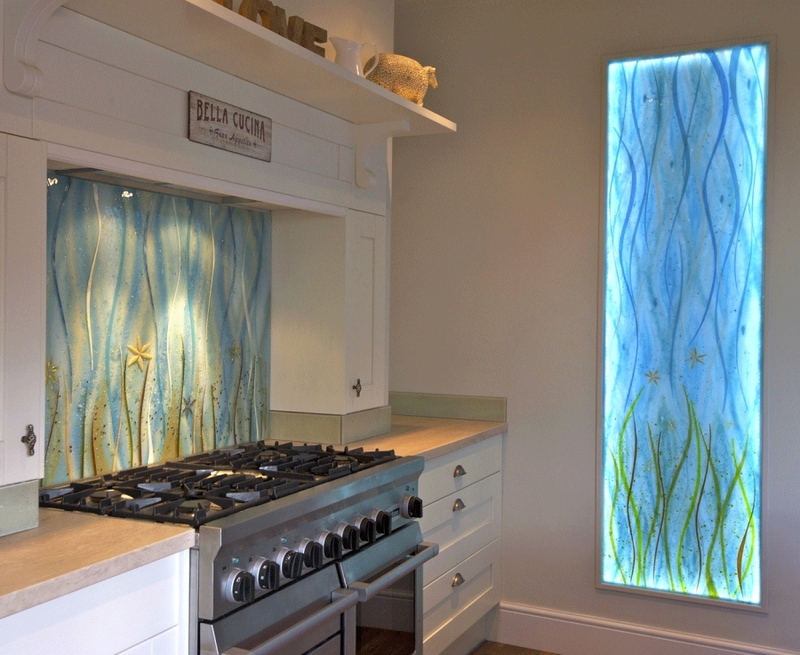 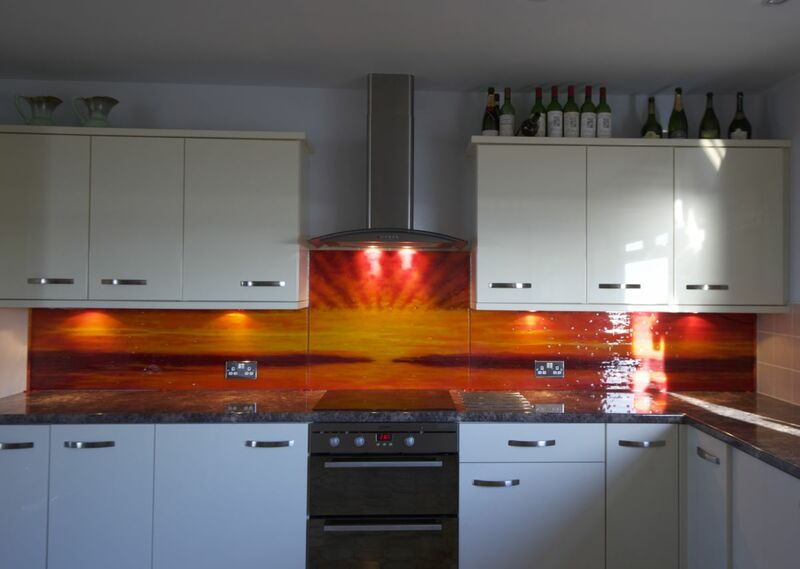 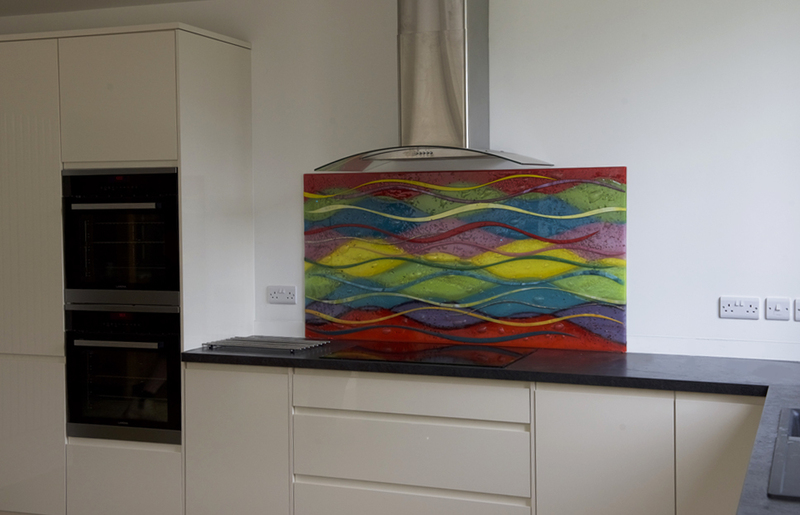 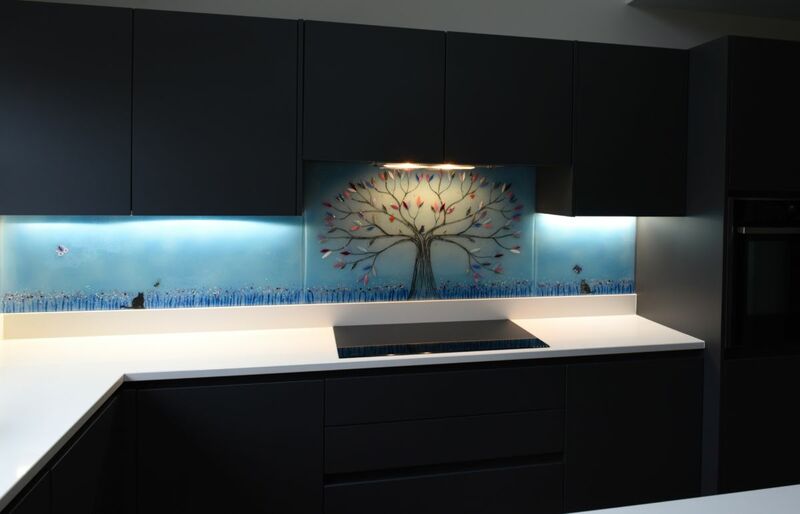 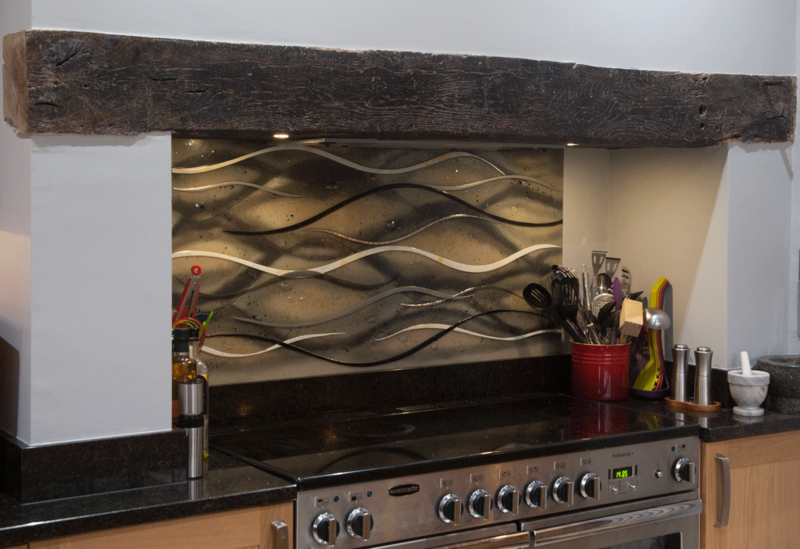 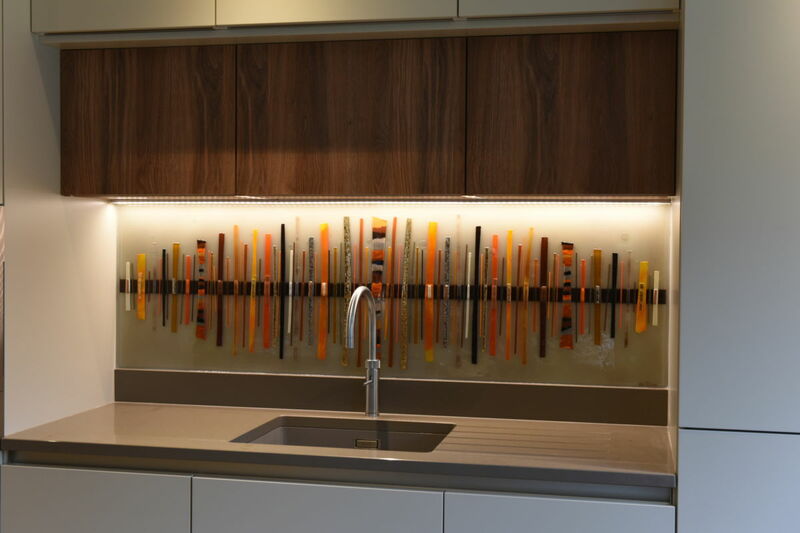 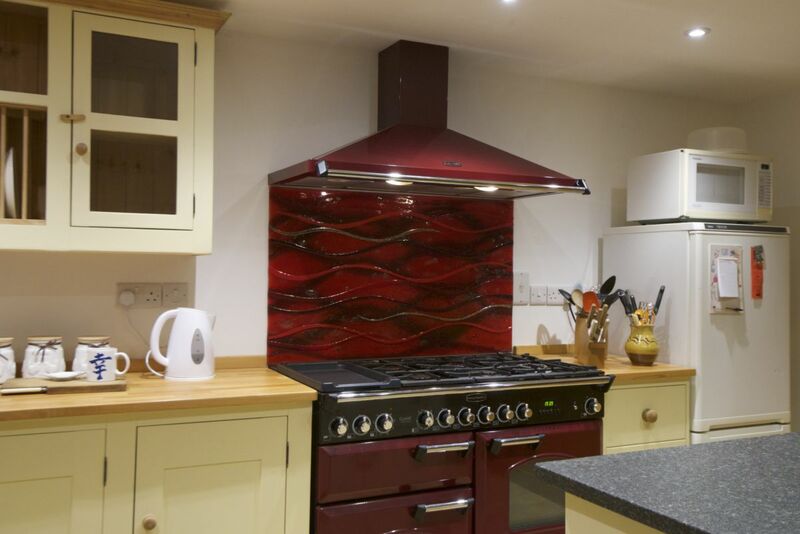 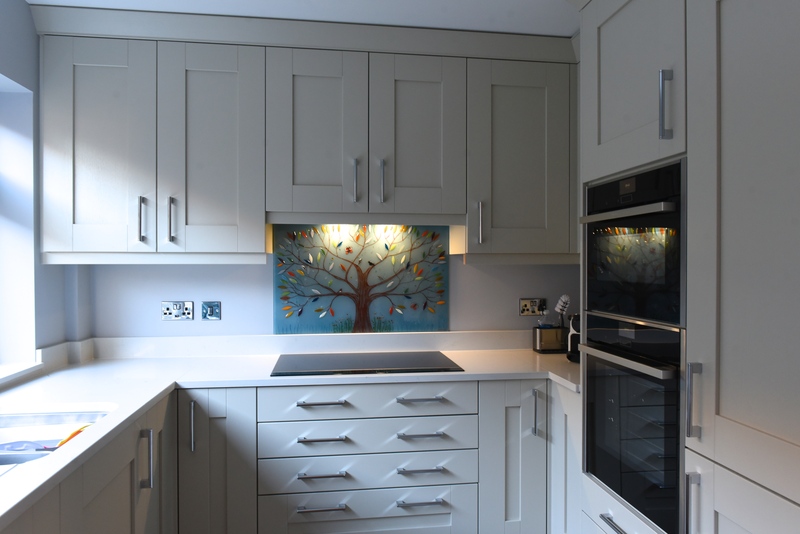 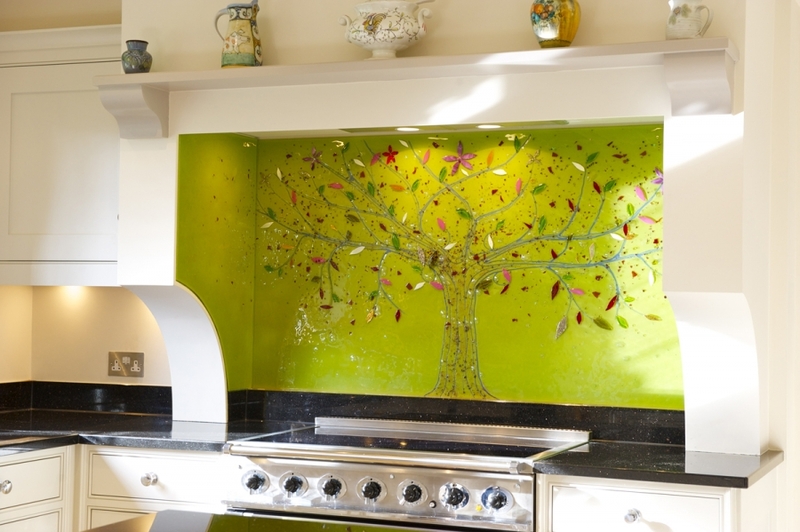 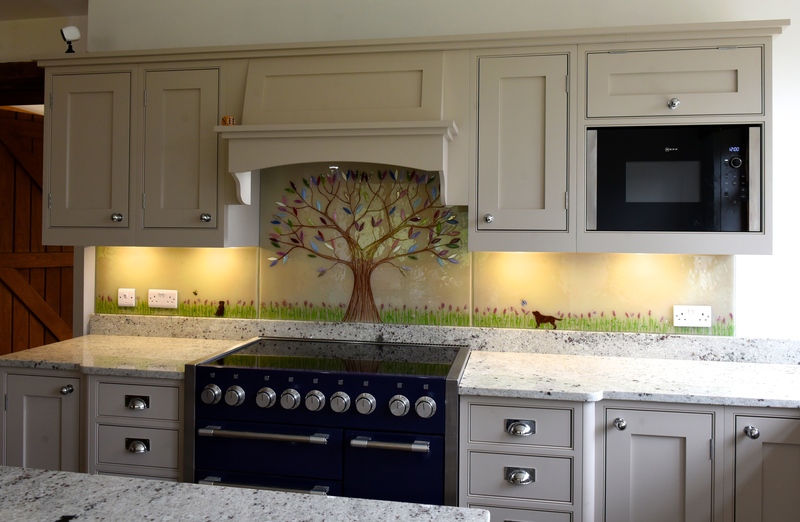 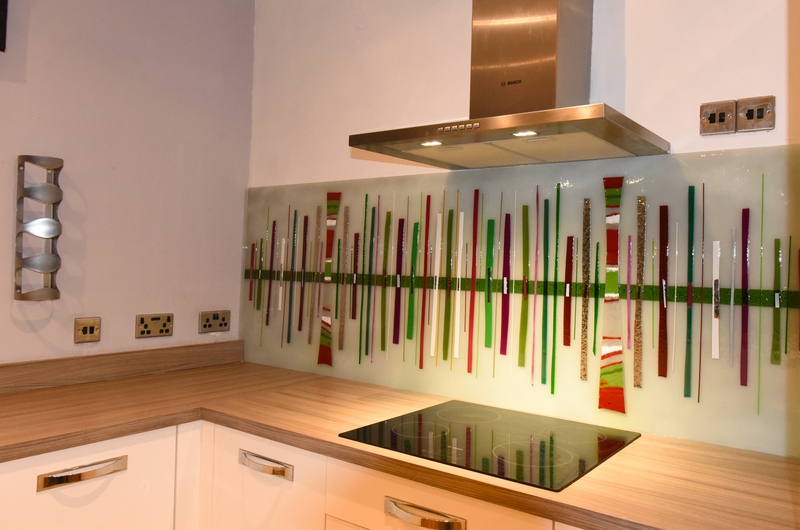 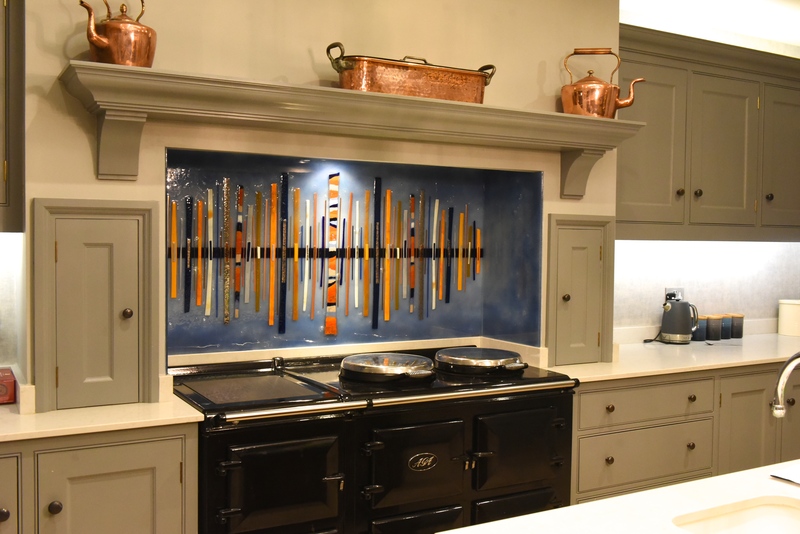 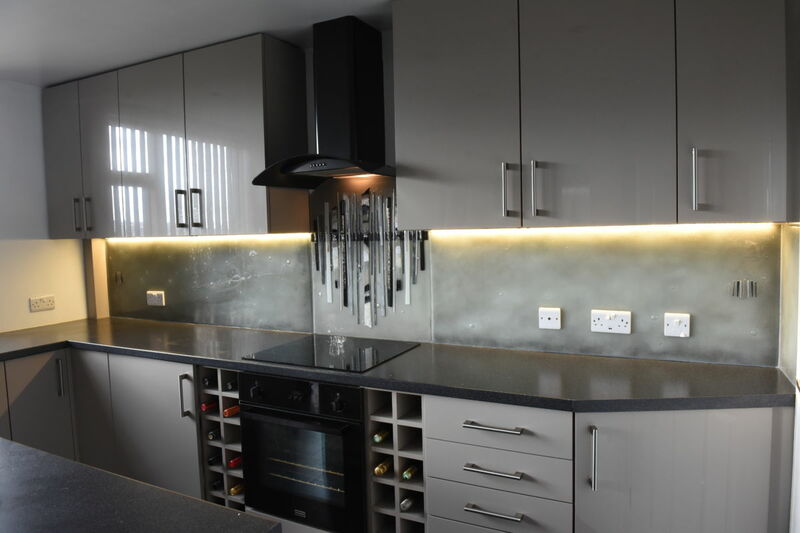 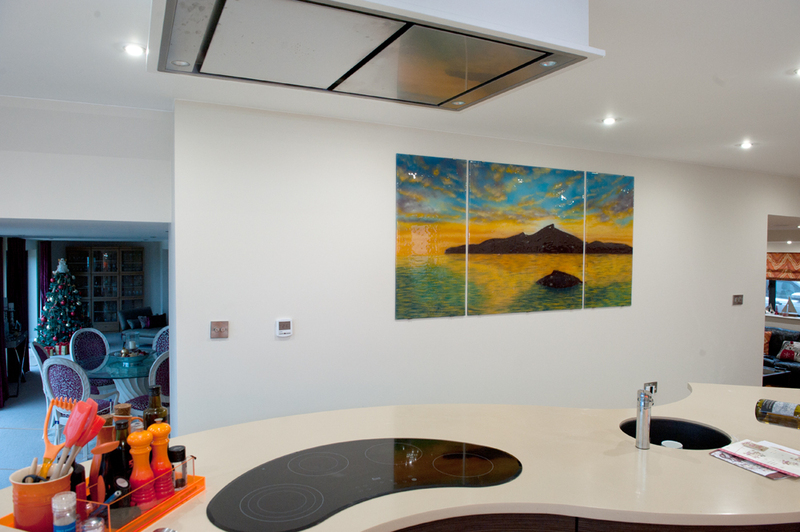 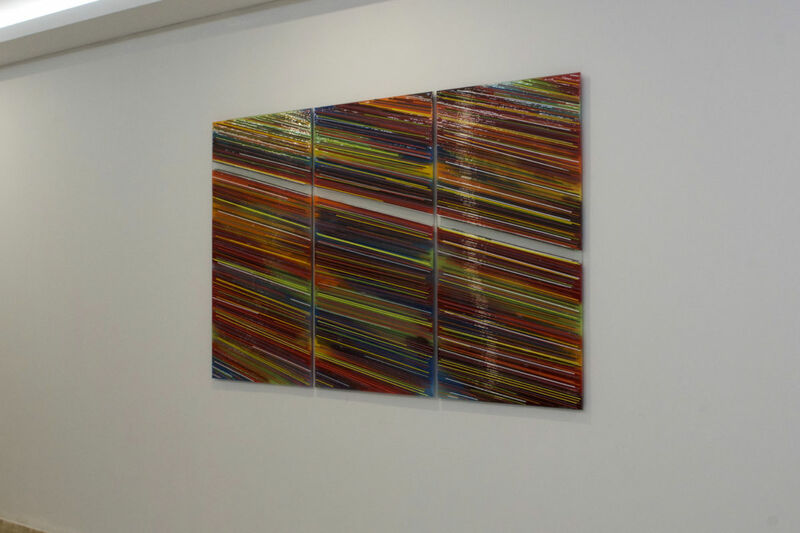 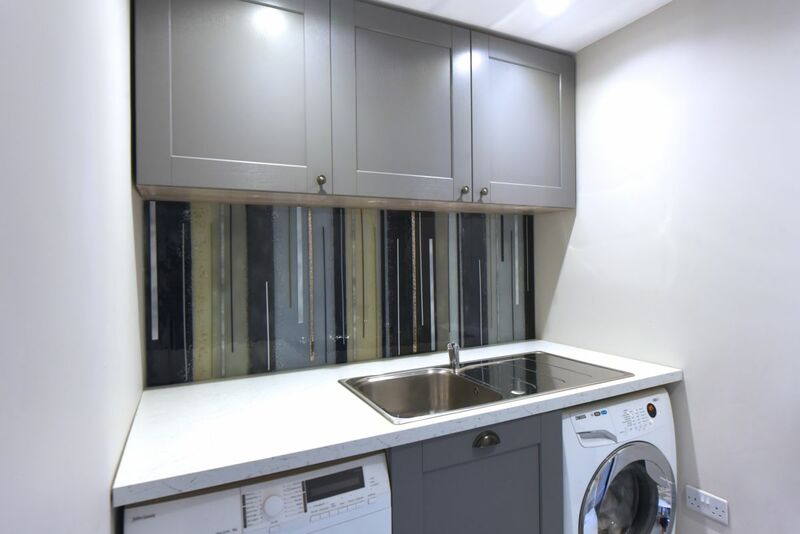 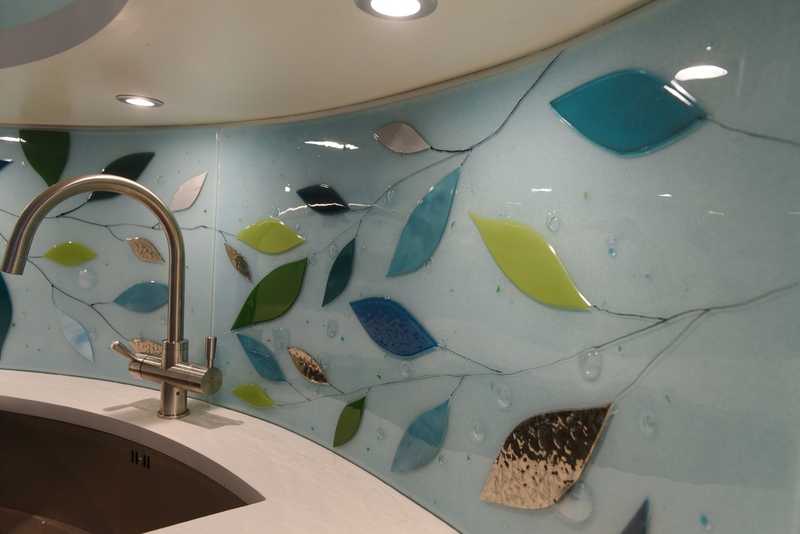 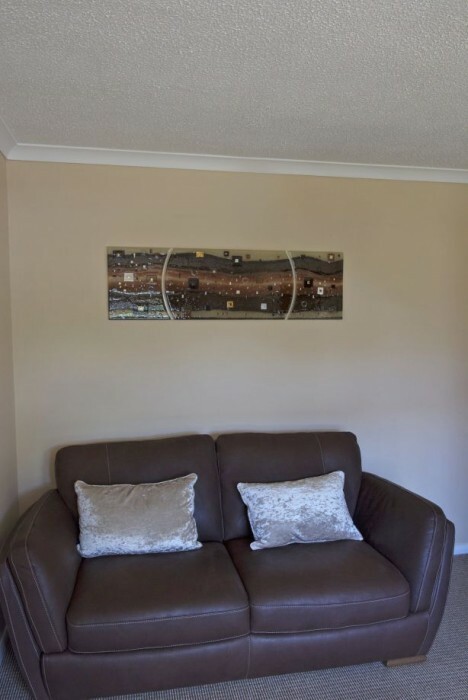 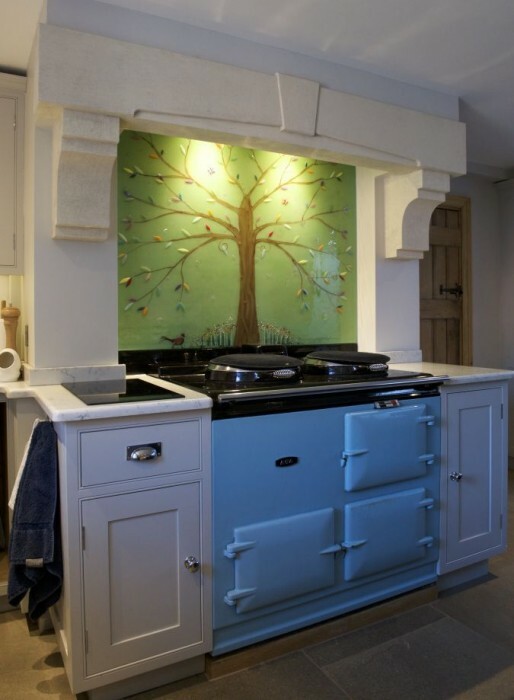 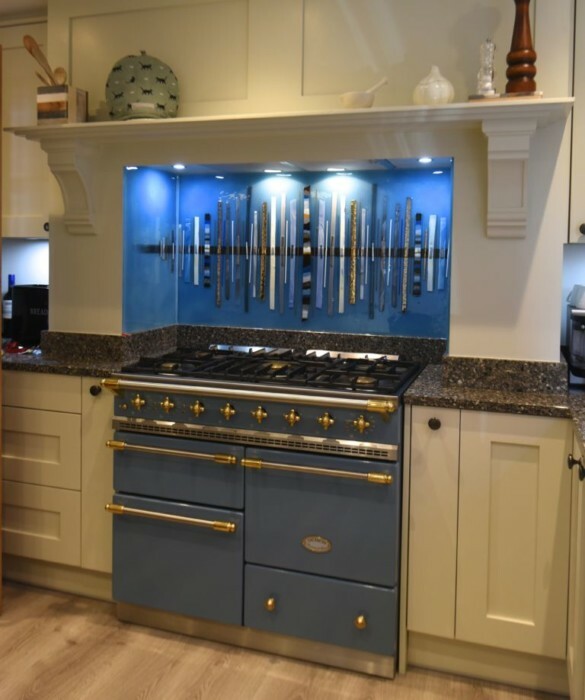 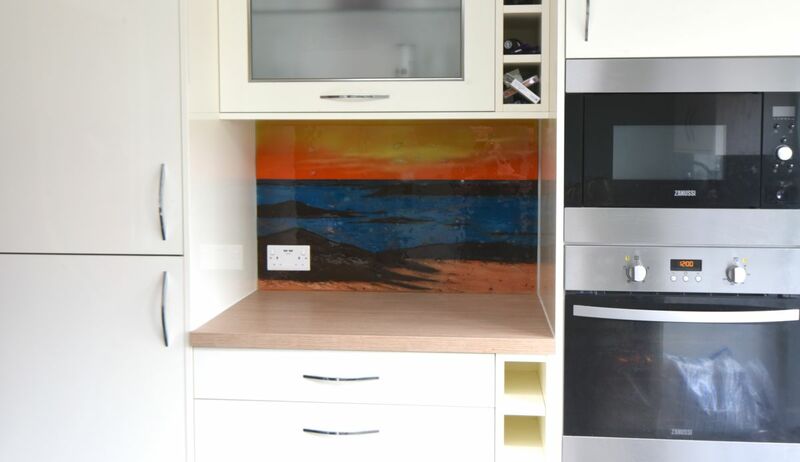 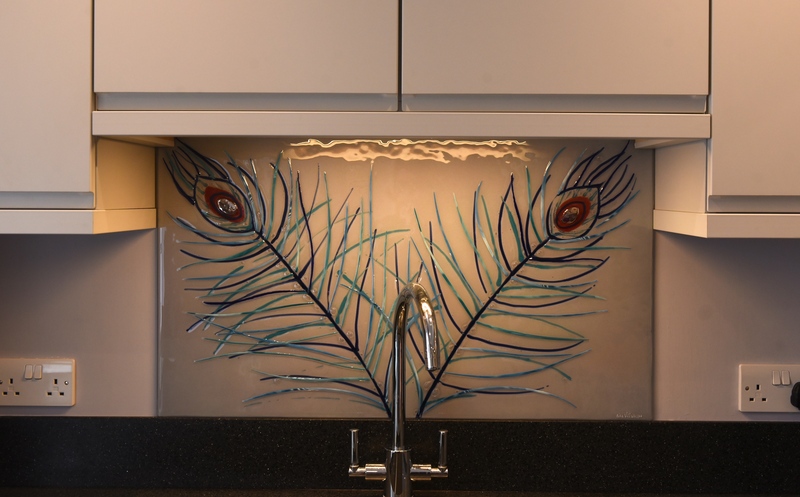 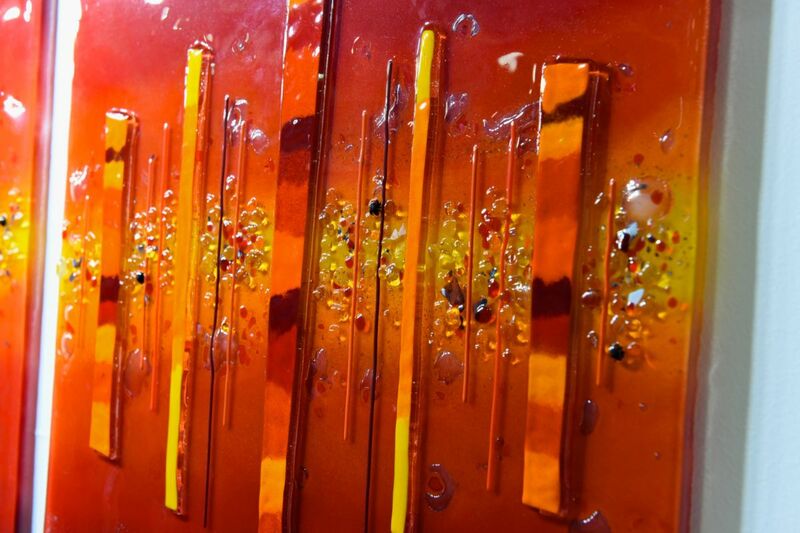 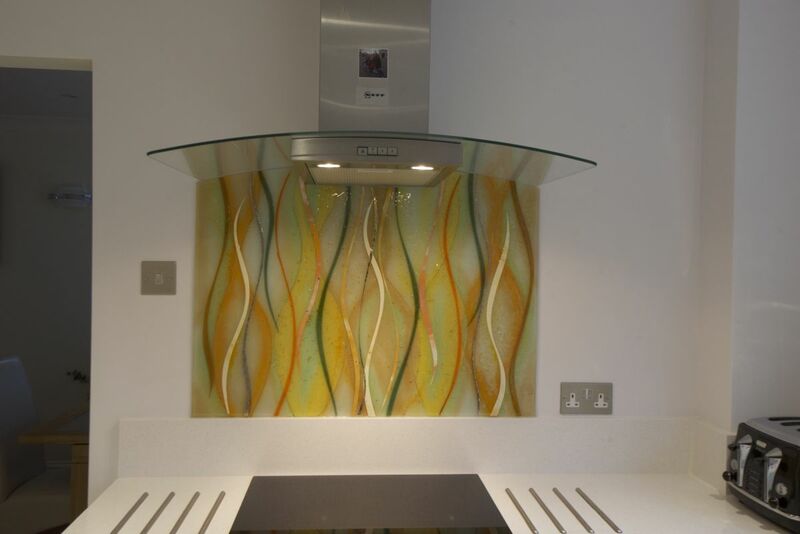 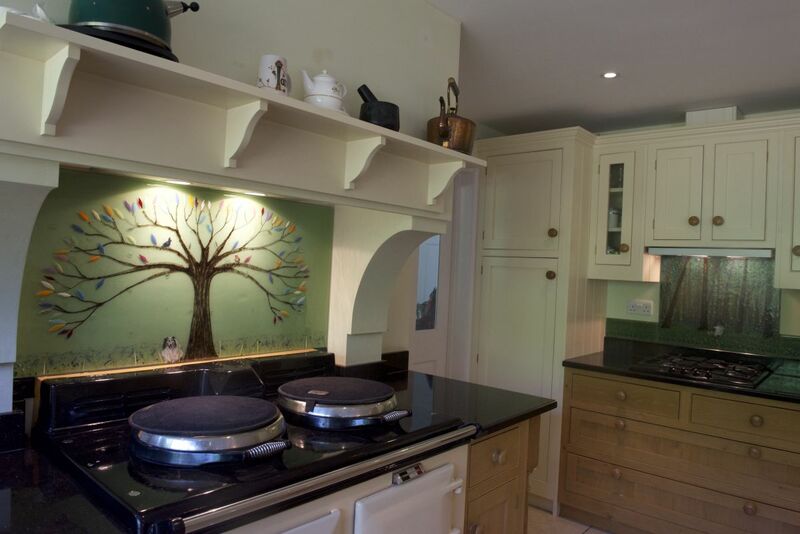 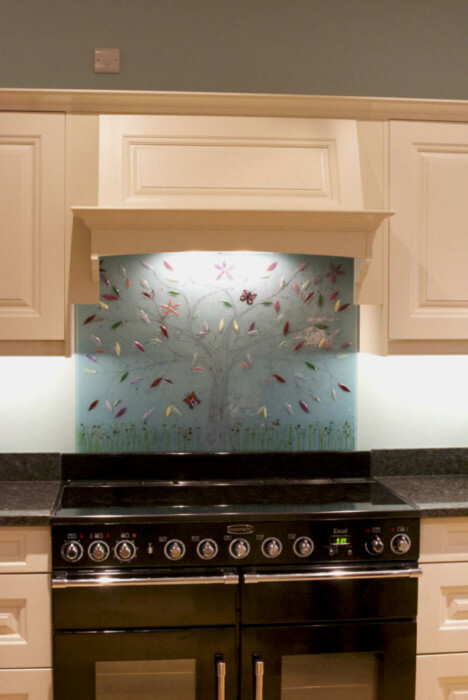 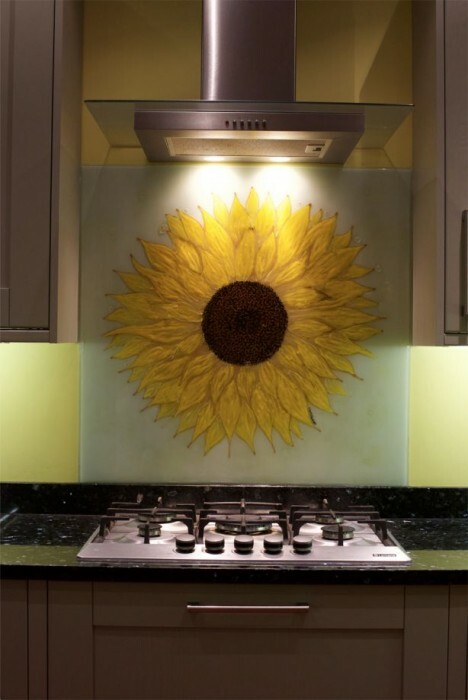 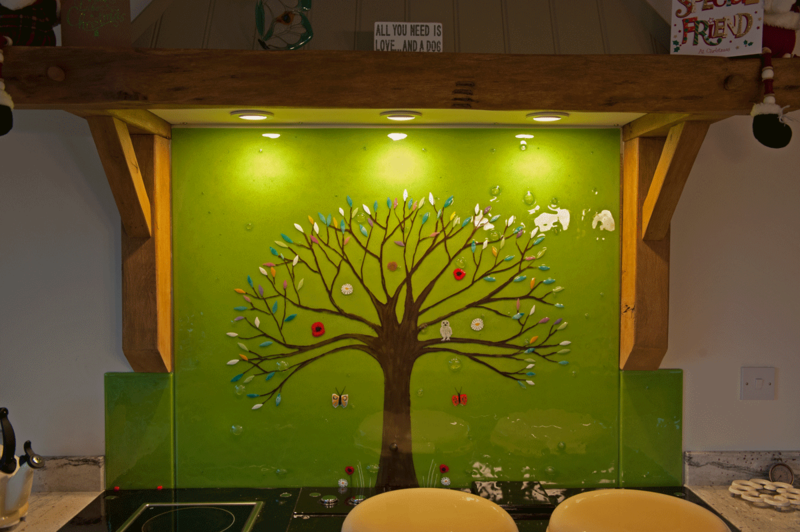 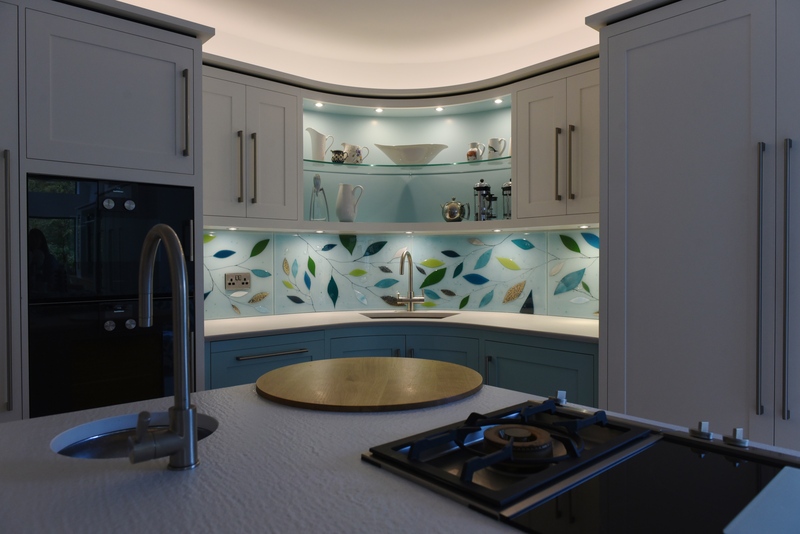 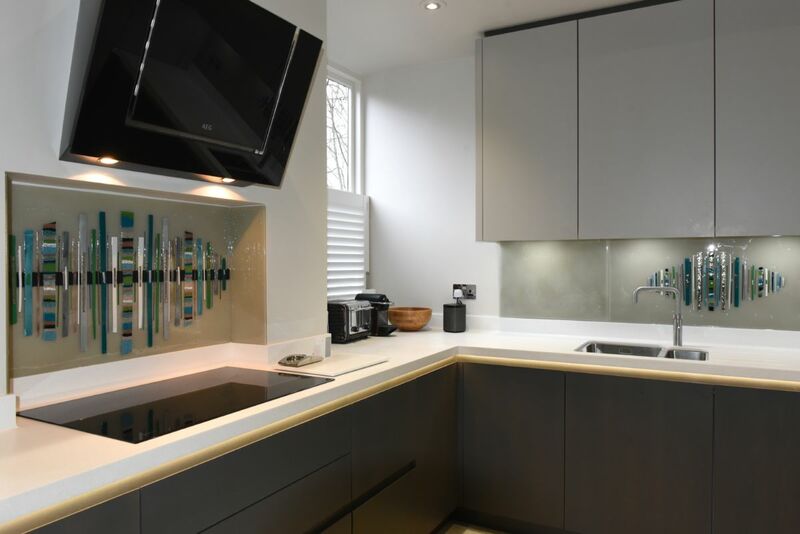 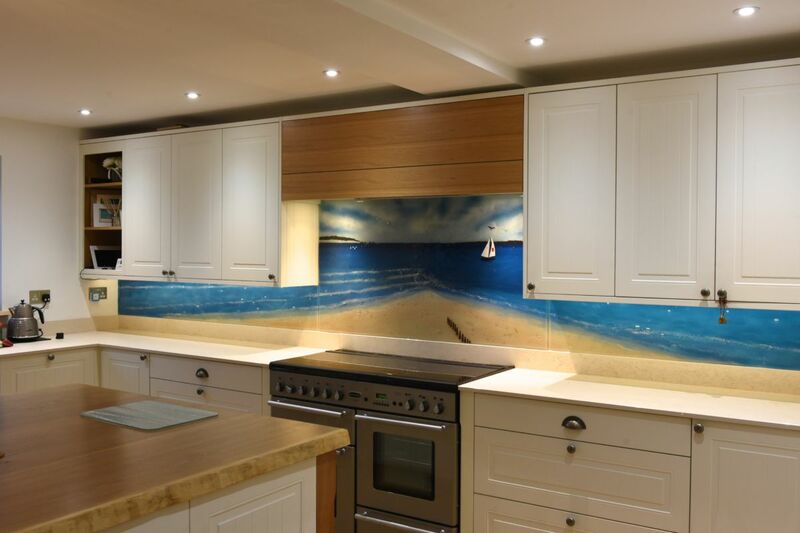 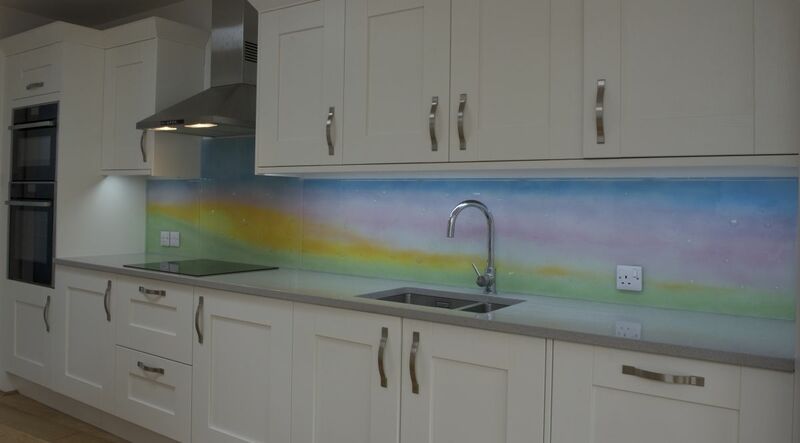 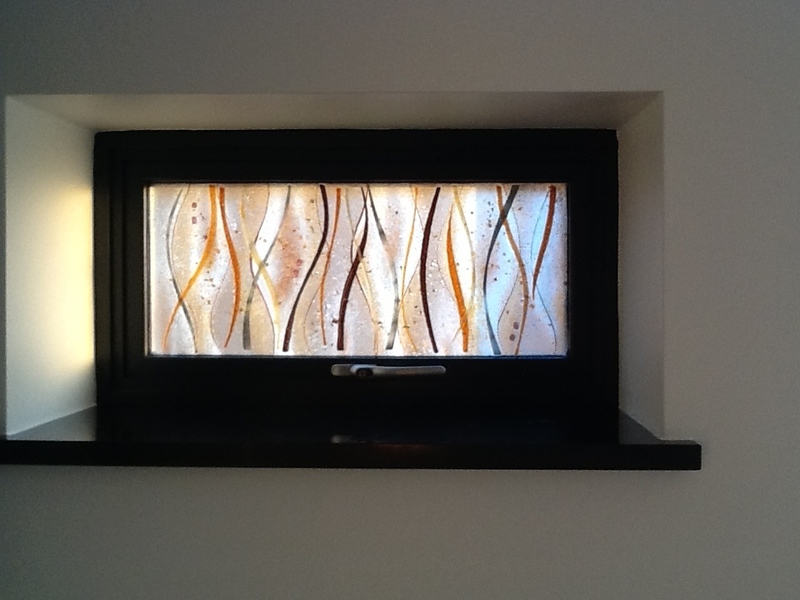 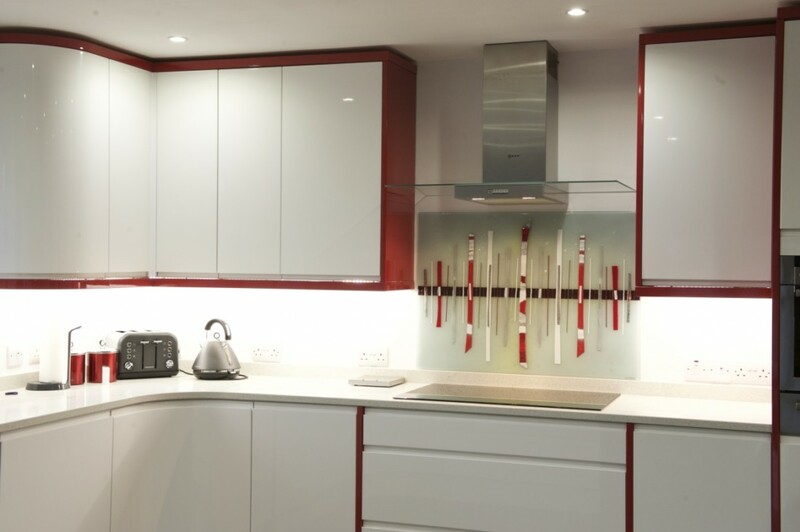 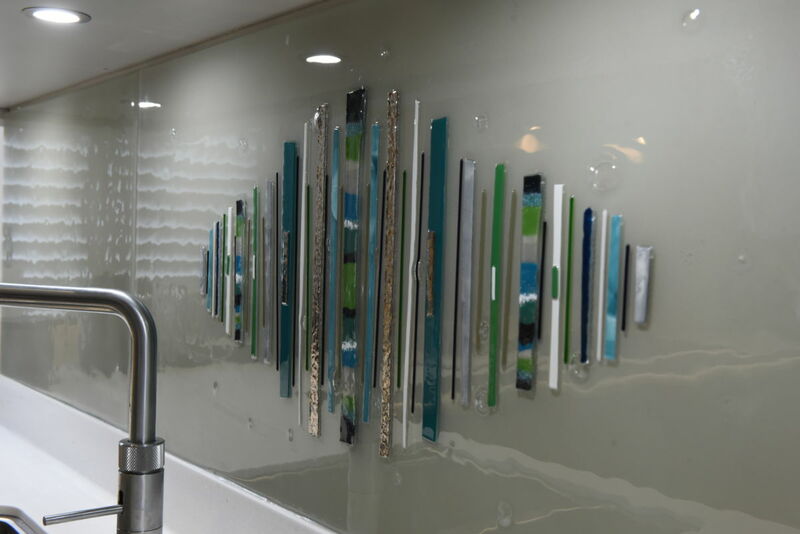 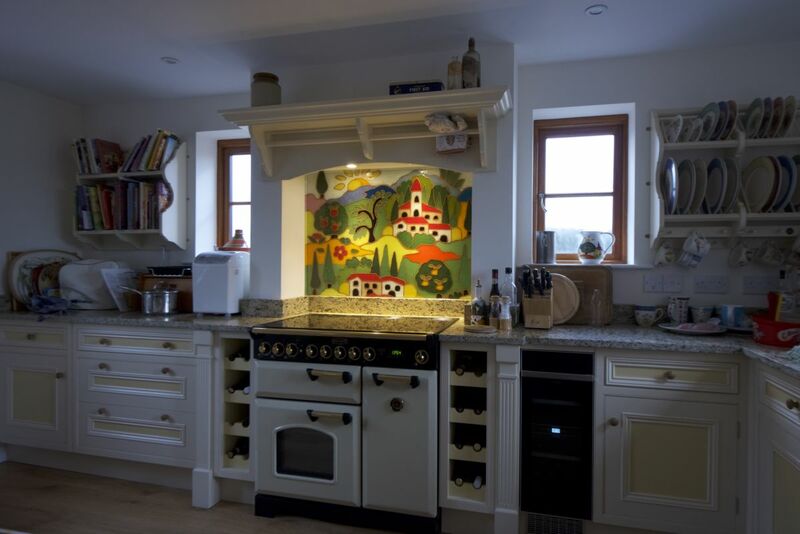 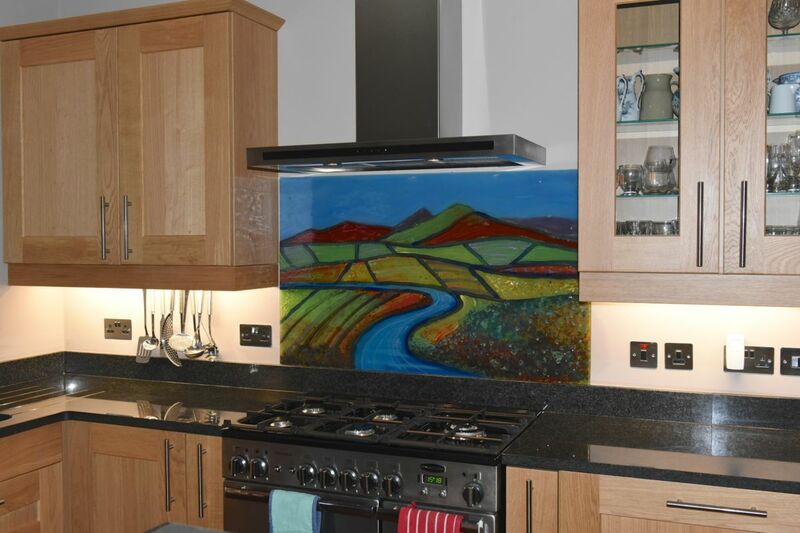 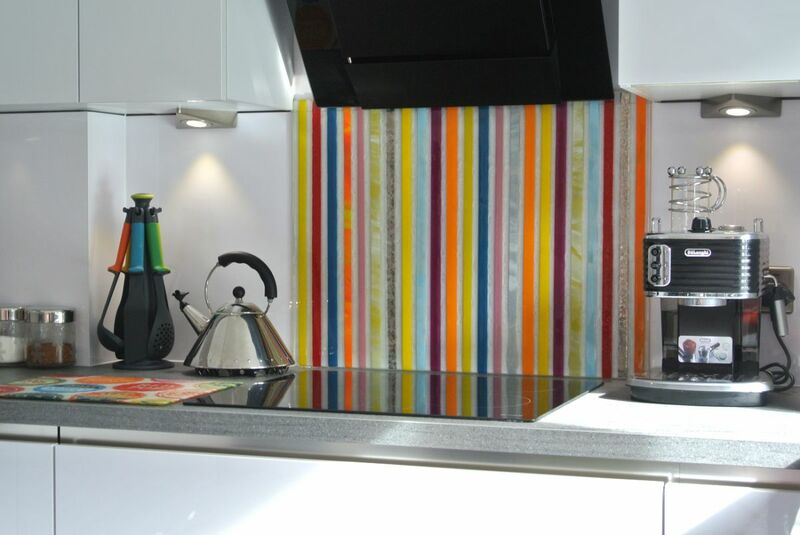 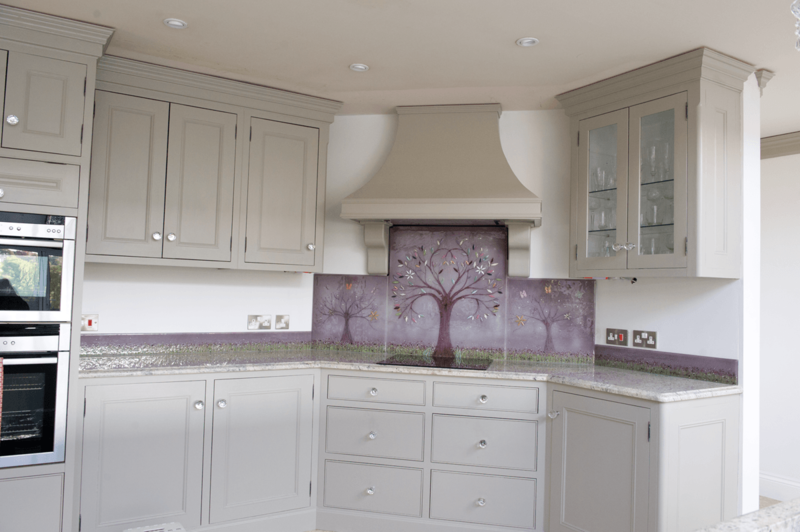 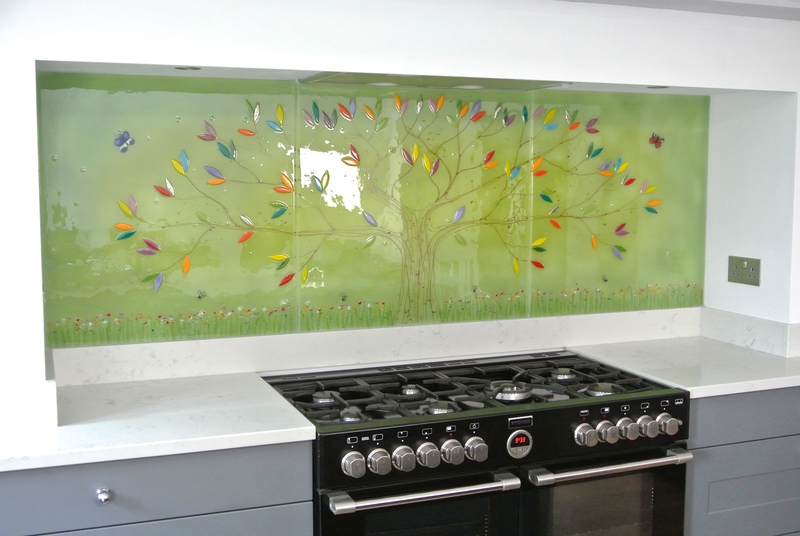 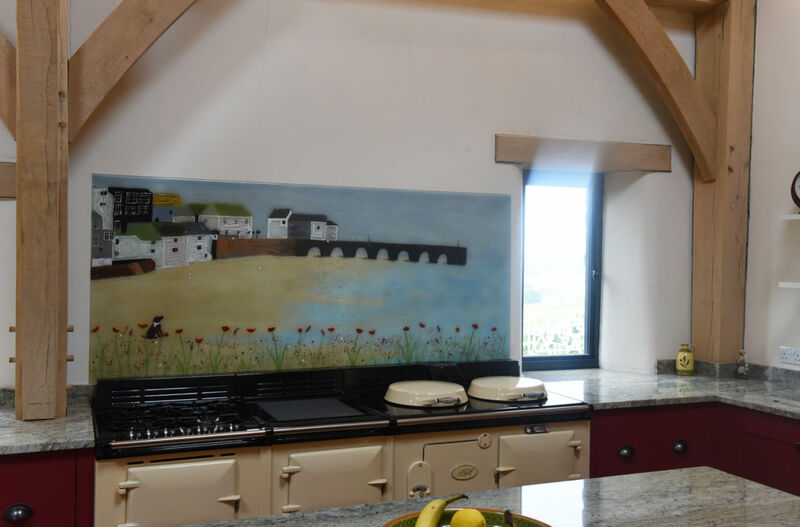 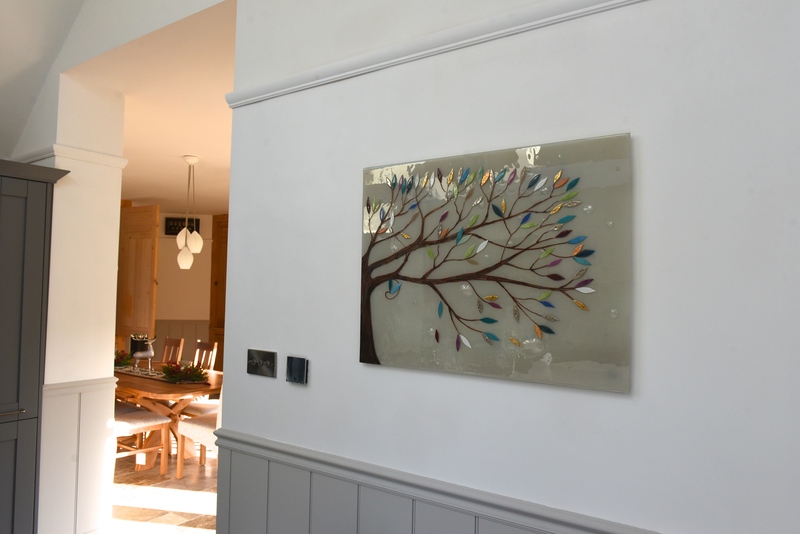 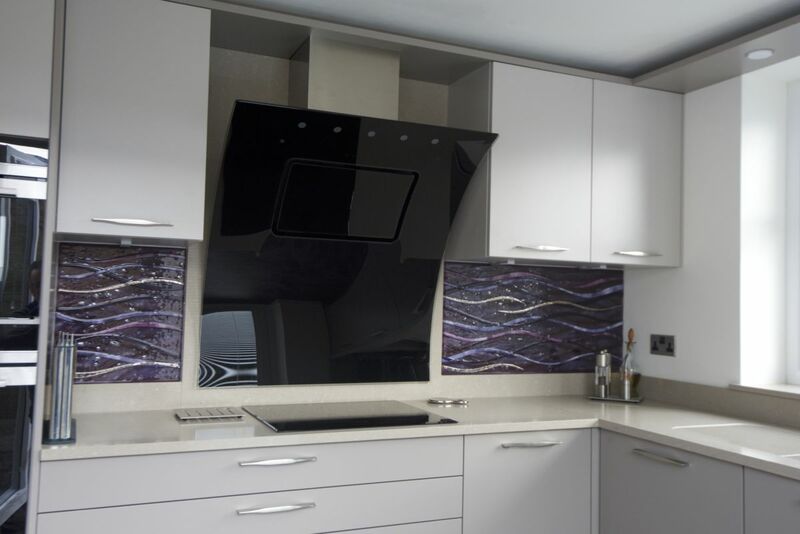 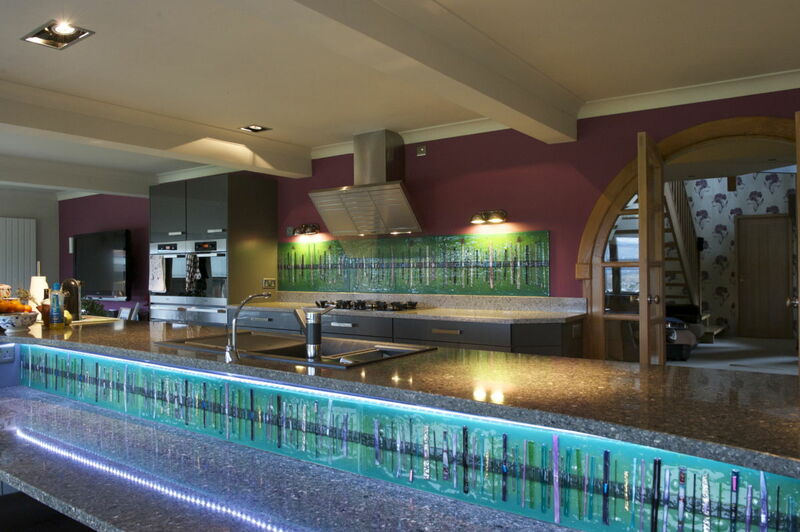 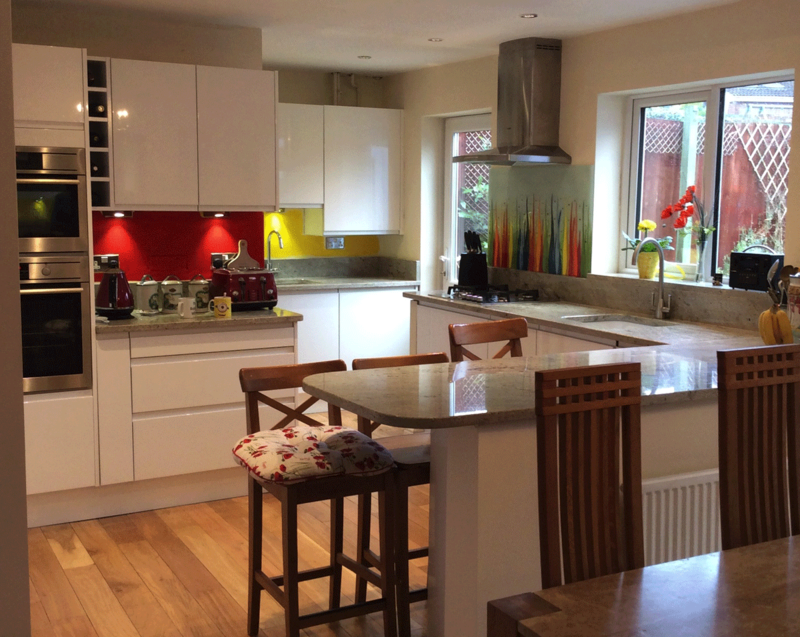 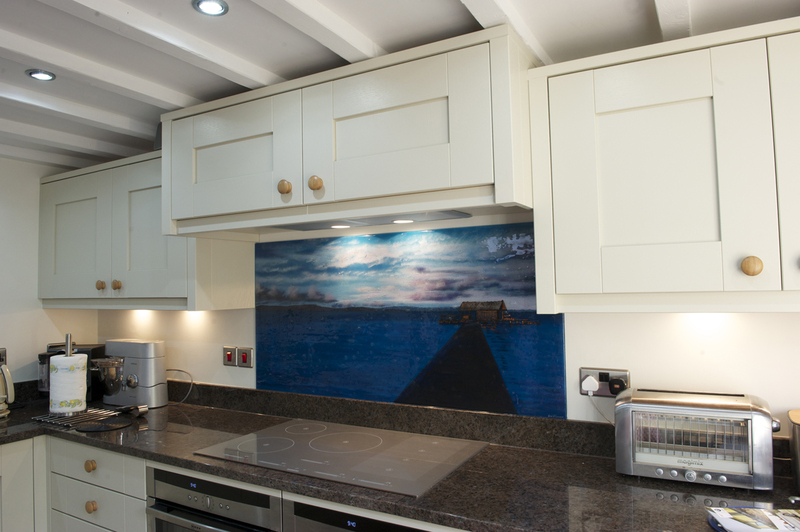 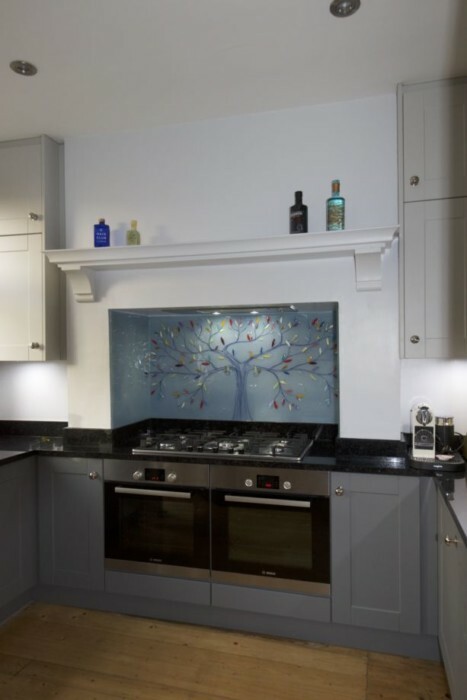 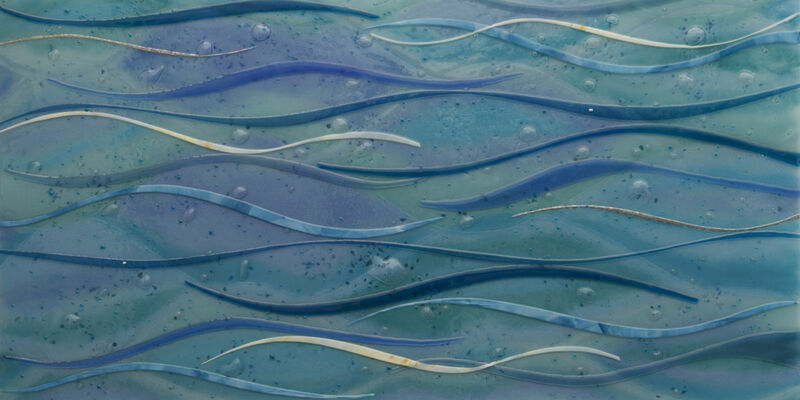 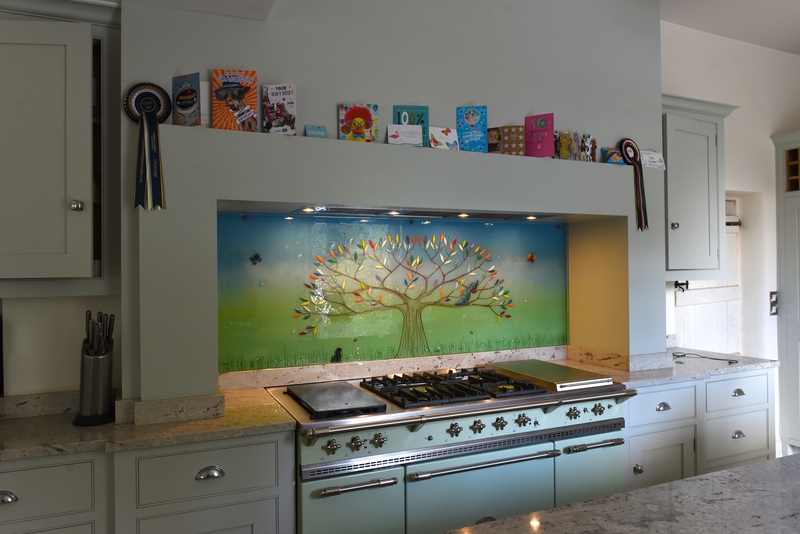 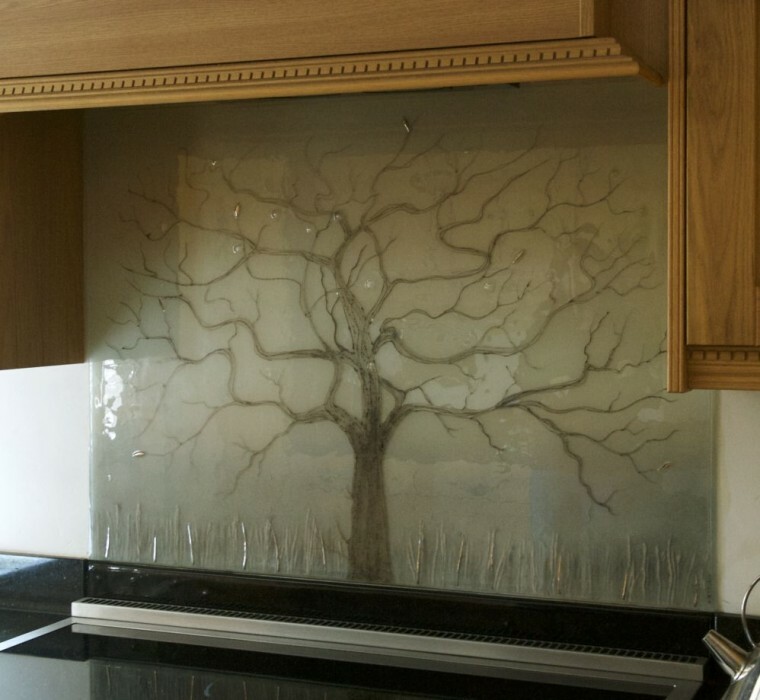 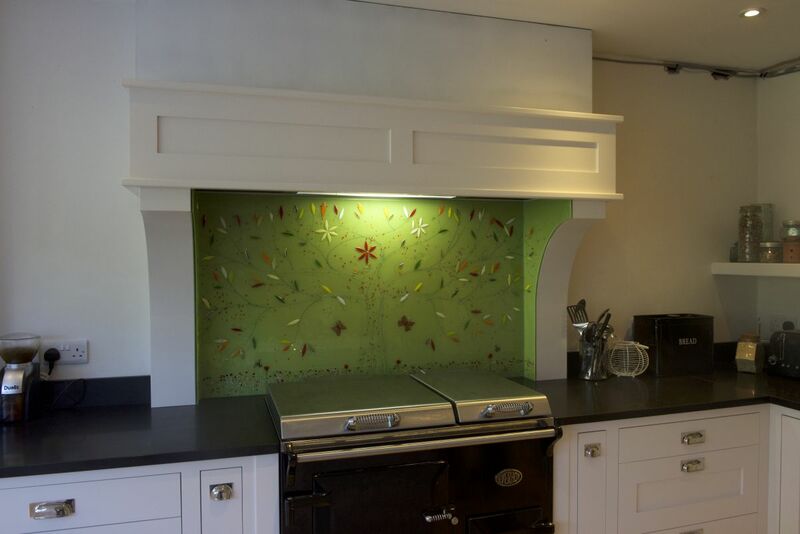 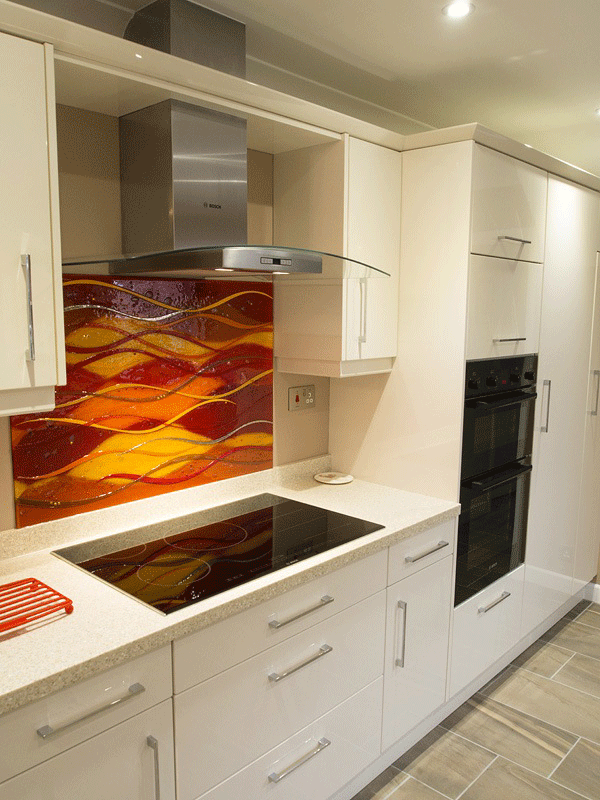 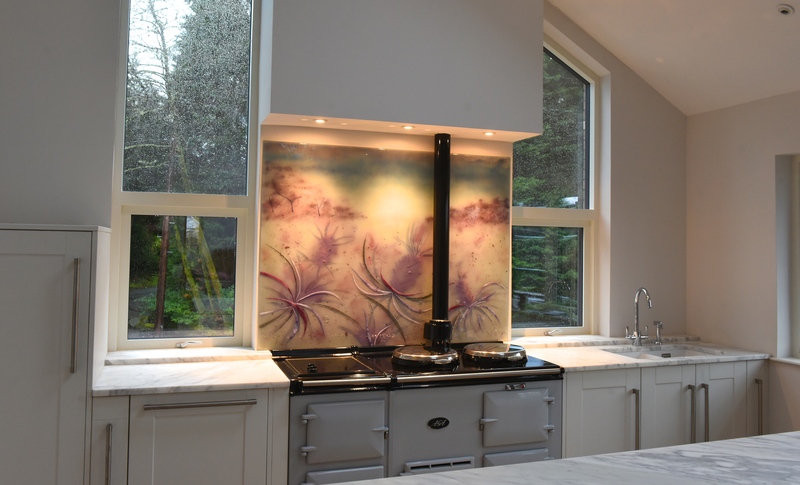 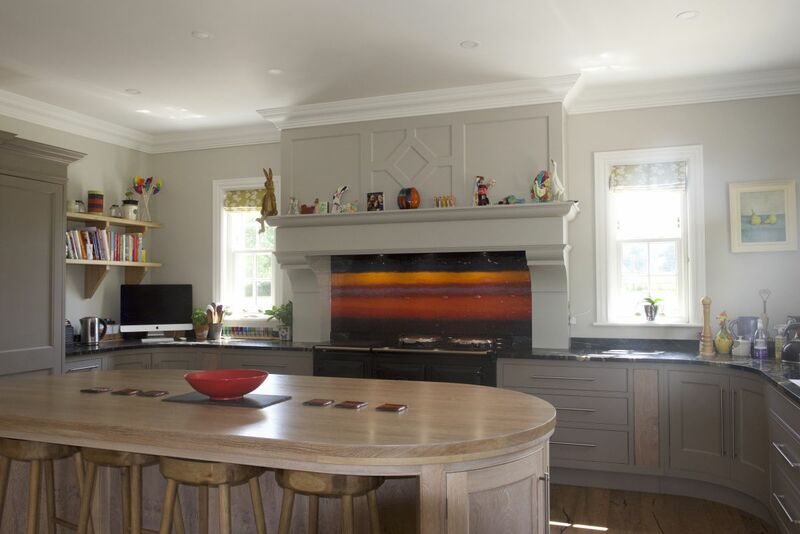 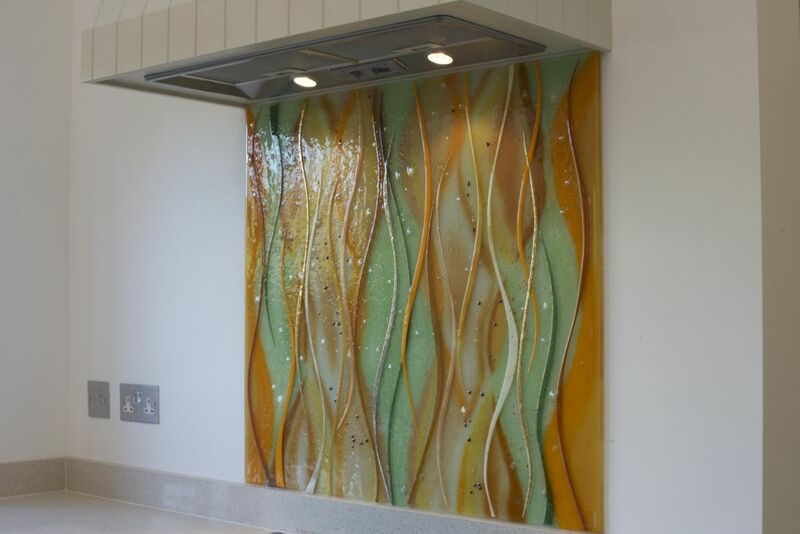 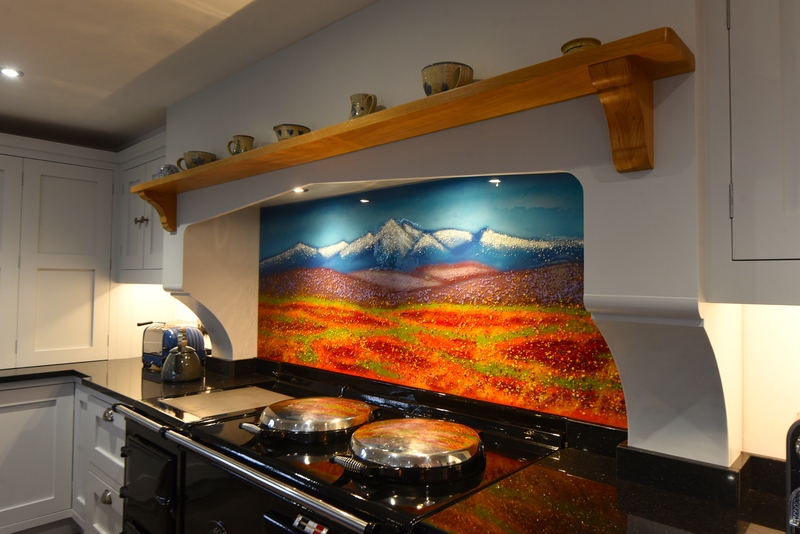 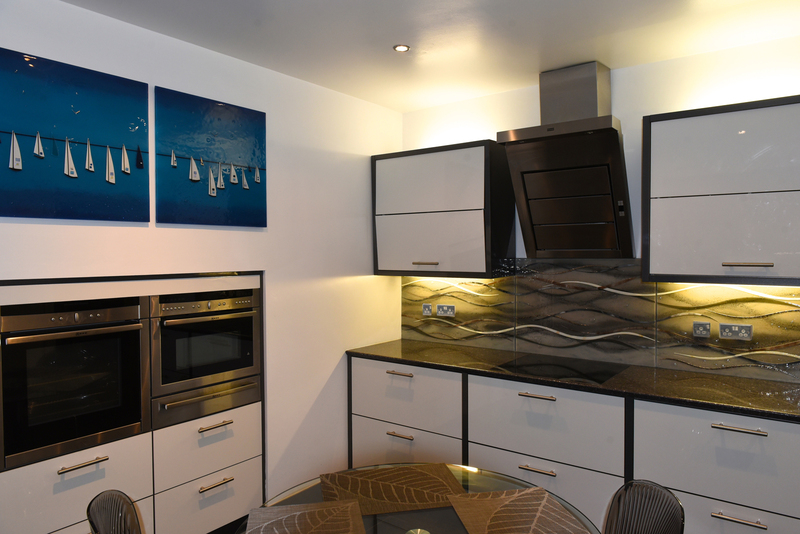 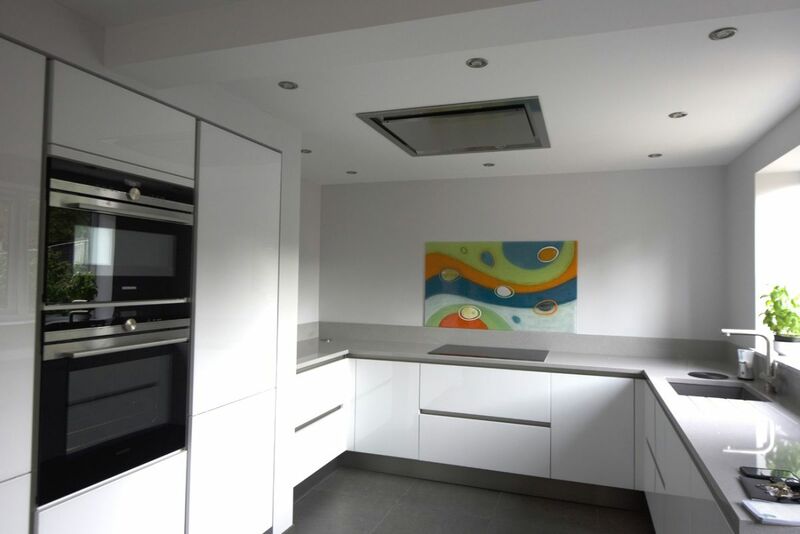 Here’s one of our glass splashbacks Hampshire-wide, created from the ground up to be something special. 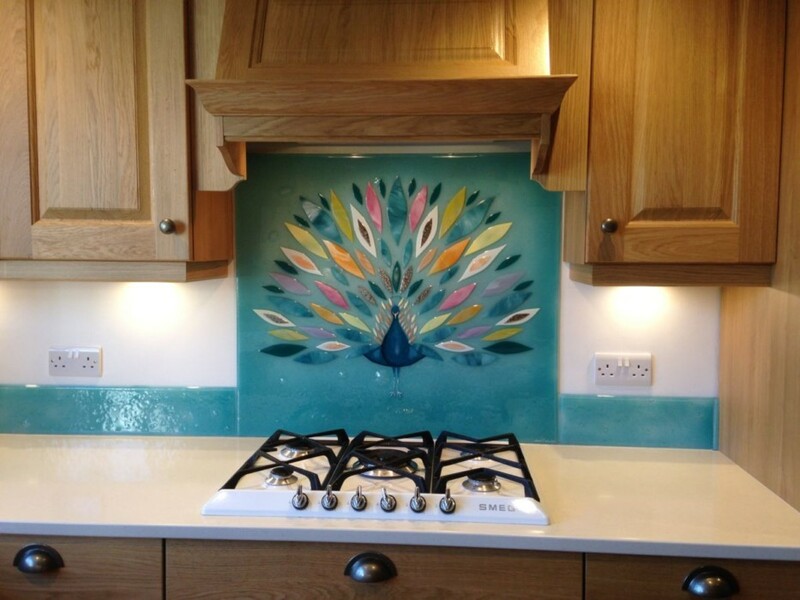 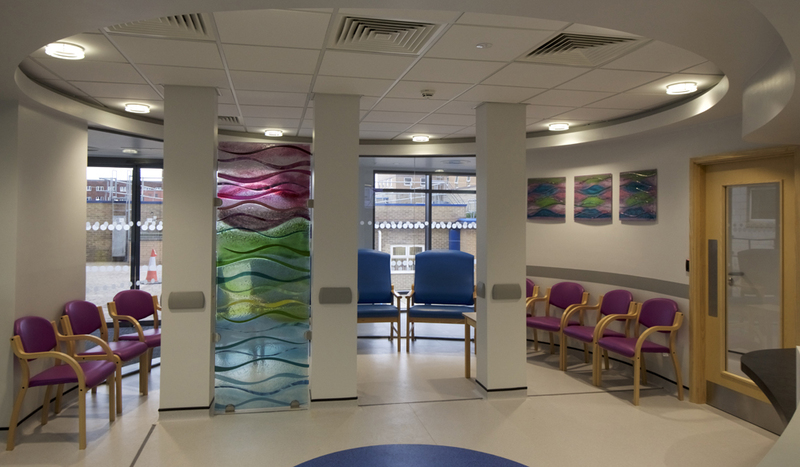 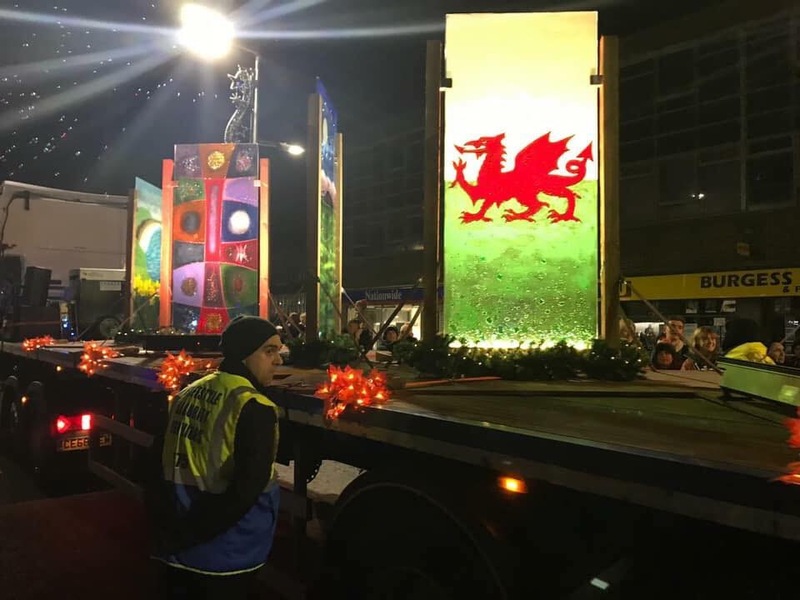 The design is centred around the stylised depiction of a peacock, complete with a very colourful plume of feathers on display. 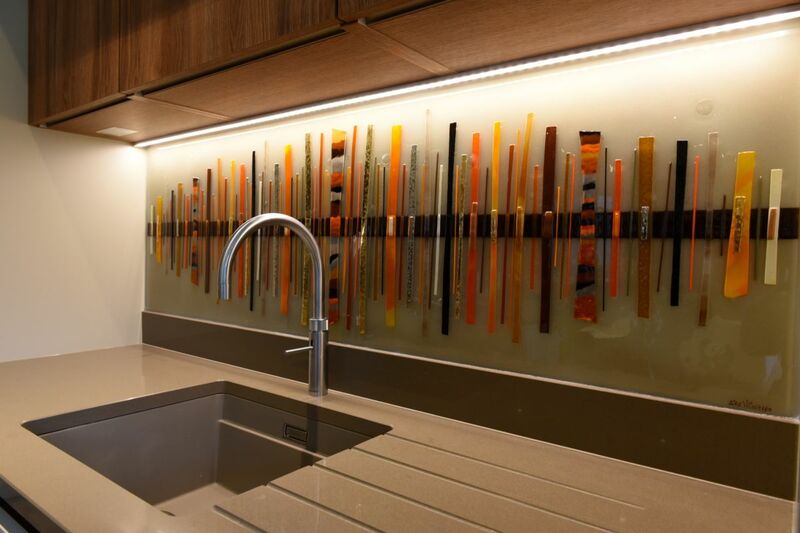 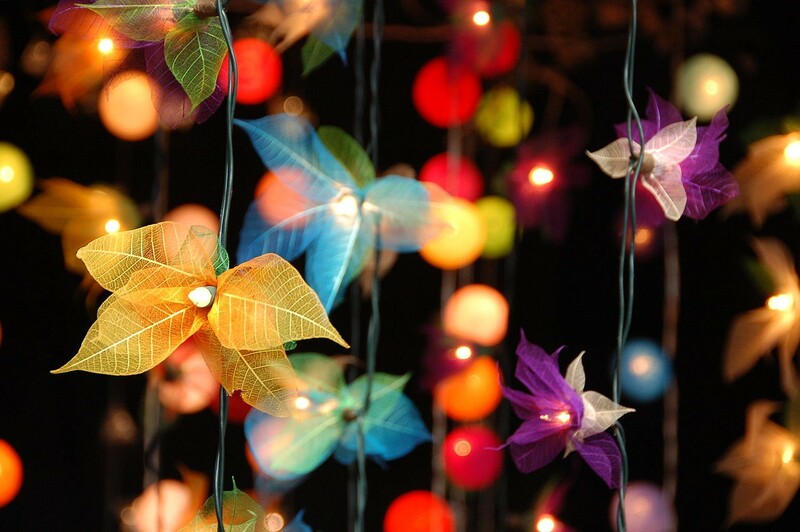 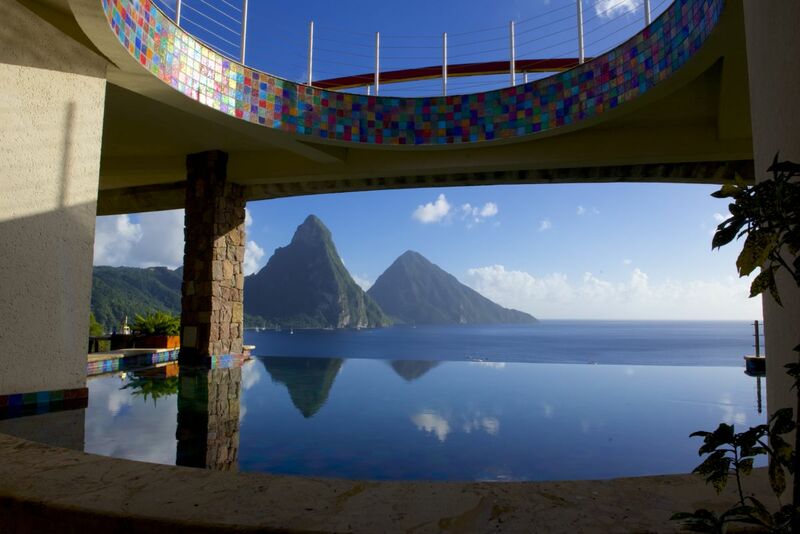 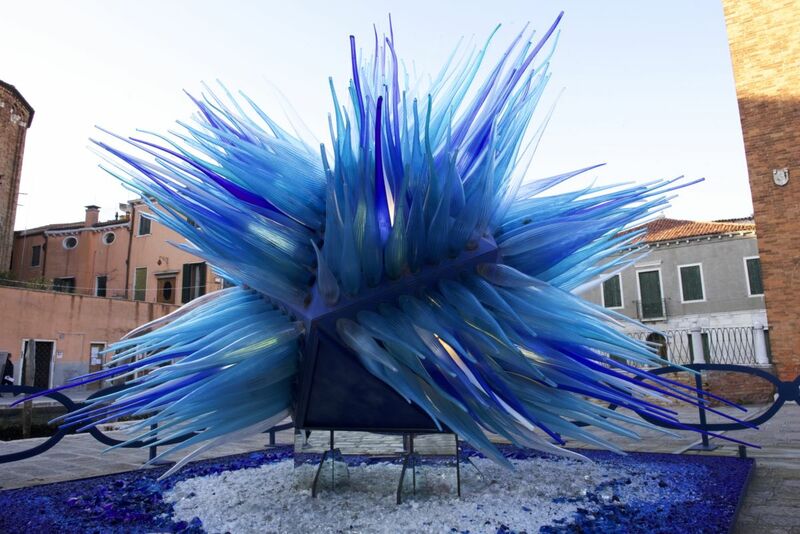 That array of hues makes the glass a truly unmissable sight. 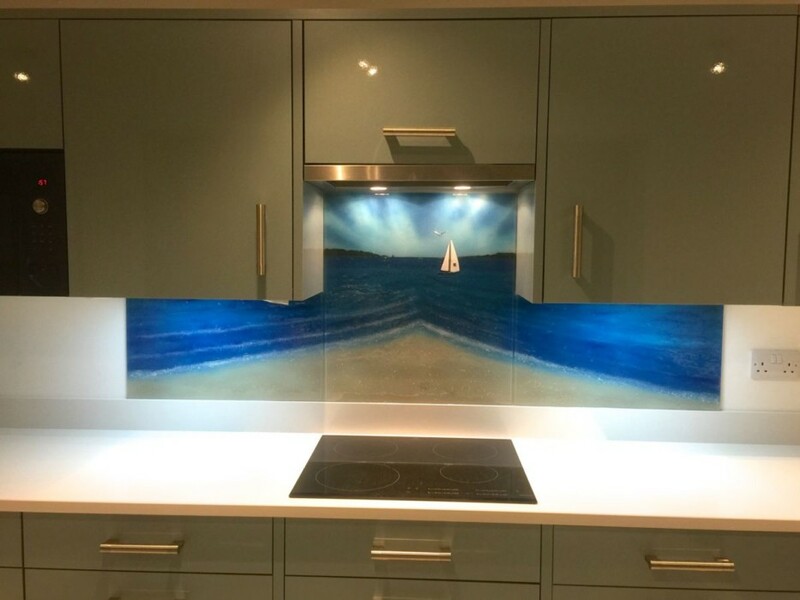 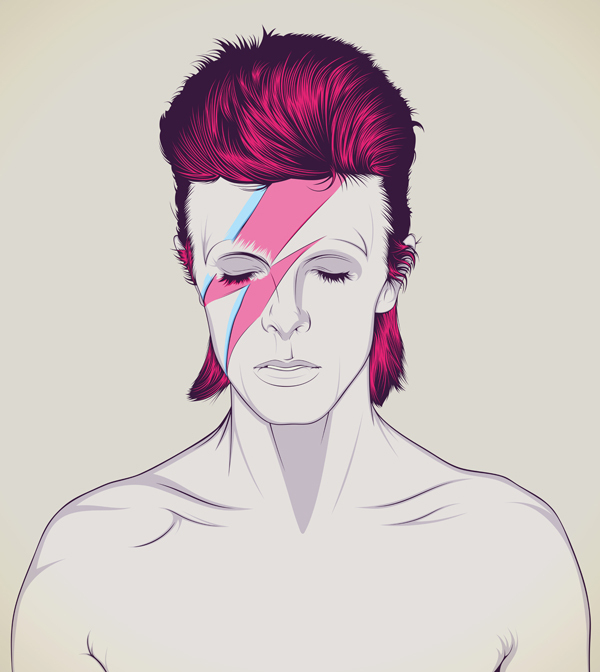 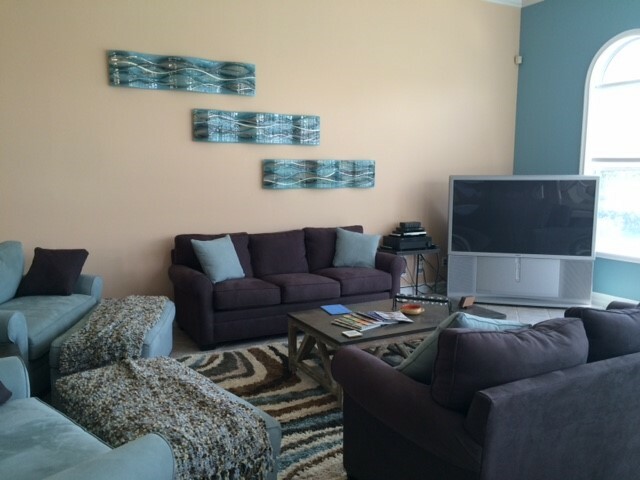 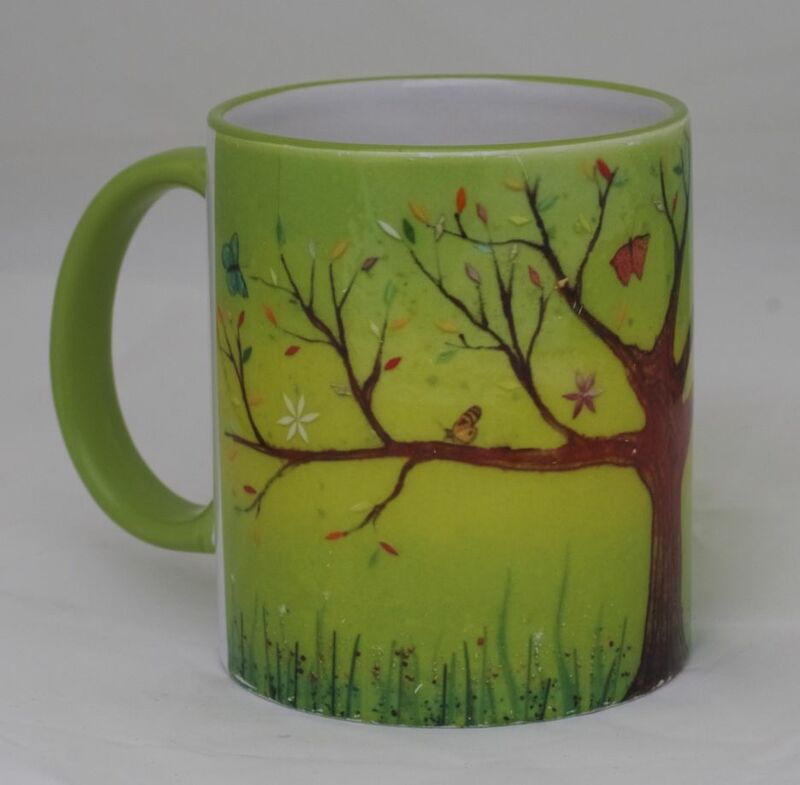 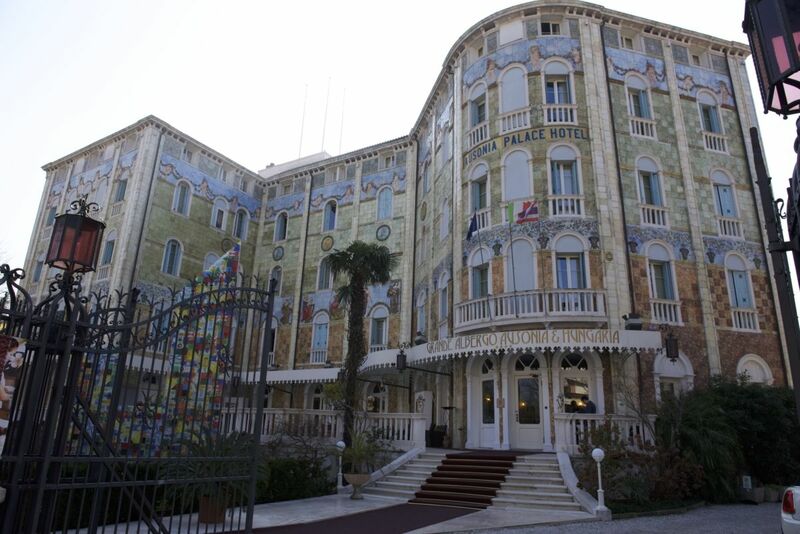 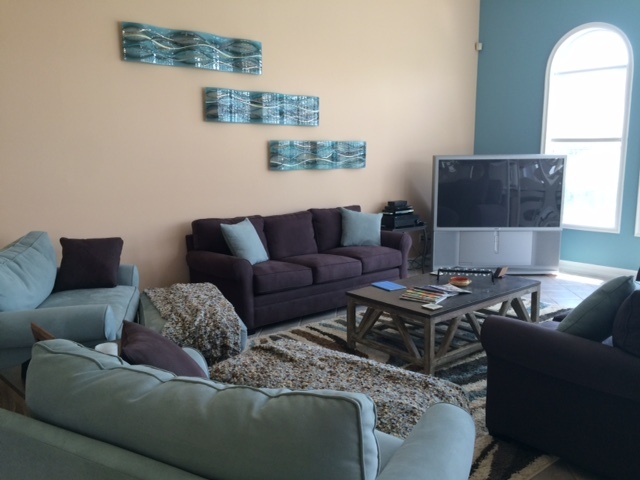 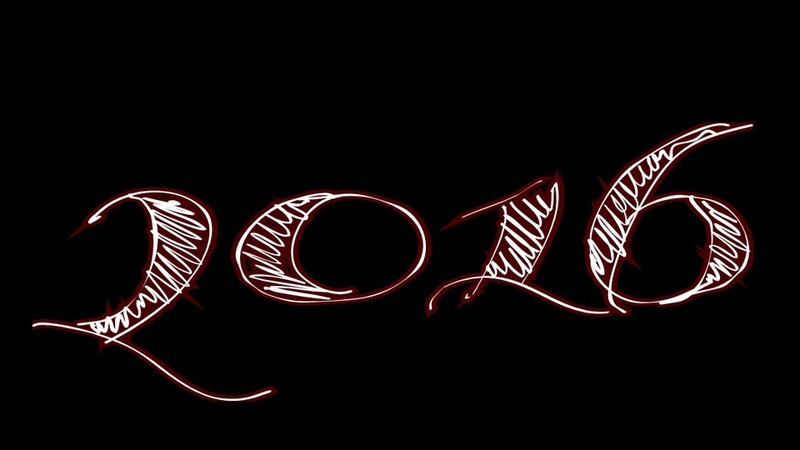 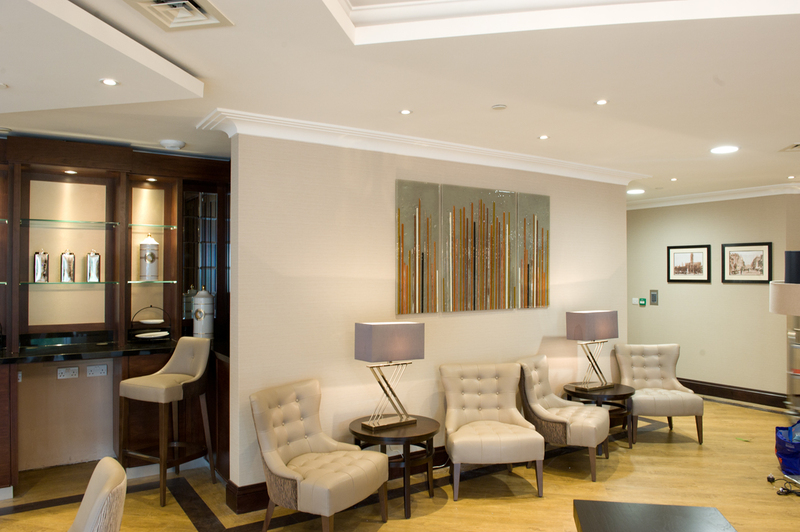 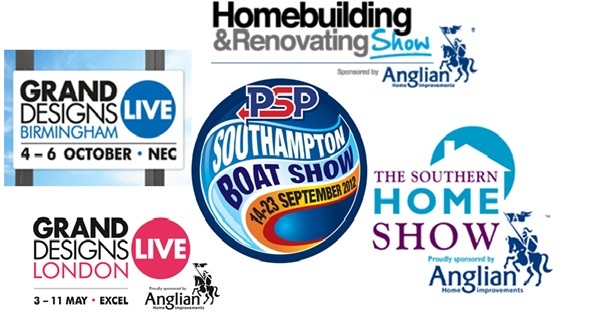 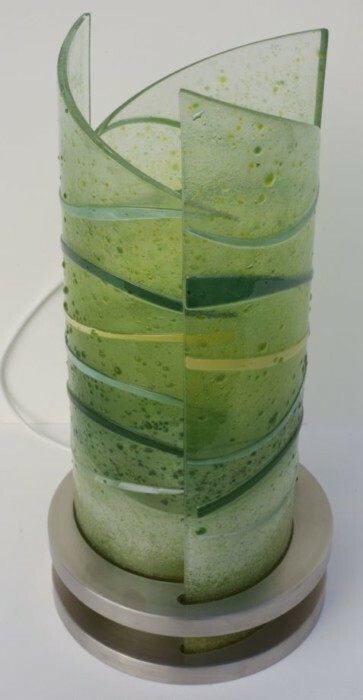 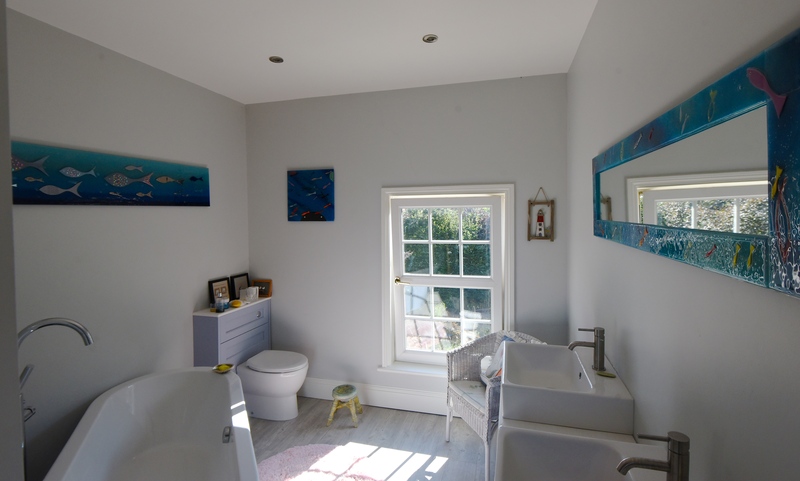 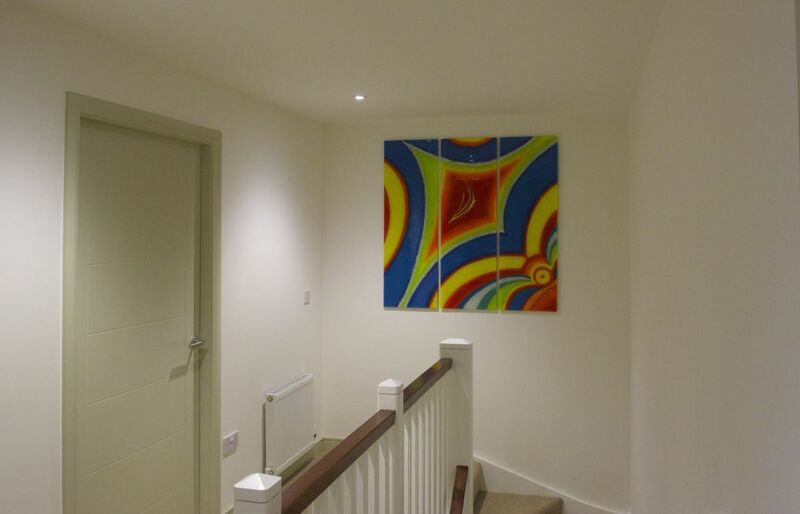 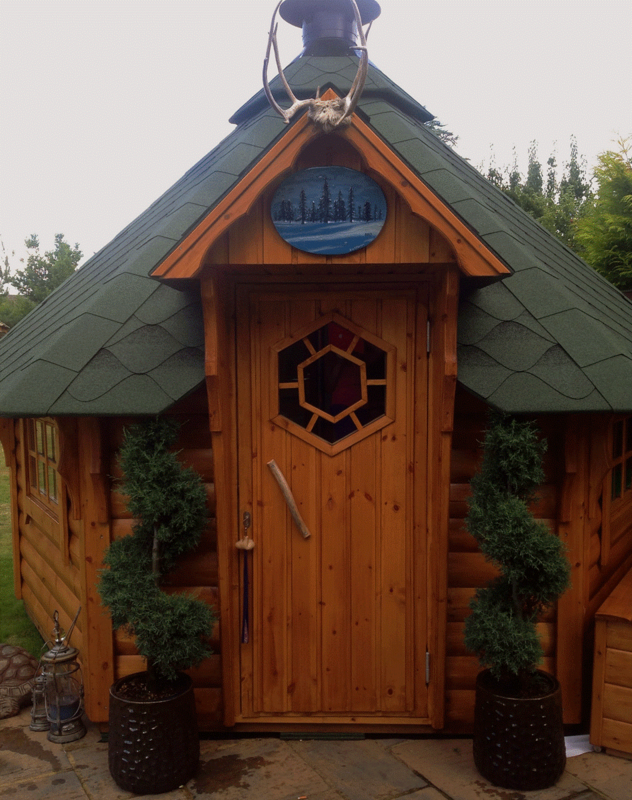 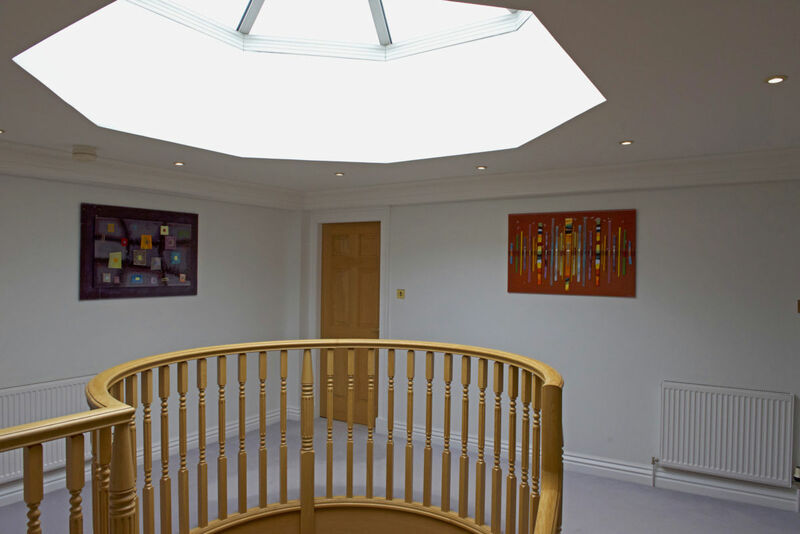 The design was the customer’s idea, of course, and what an idea it turned out to be! 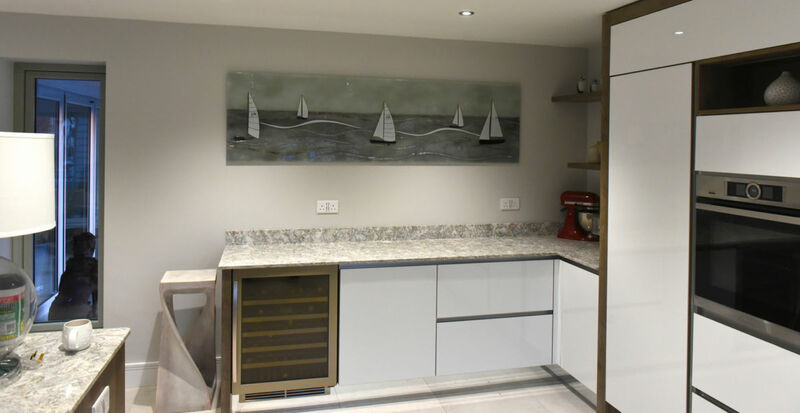 Matching upstands wrap around the kitchen to add those all-important finishing touches to the kitchen, and you only have to take one glance at the piece to see how well the end result looks after being put in place. 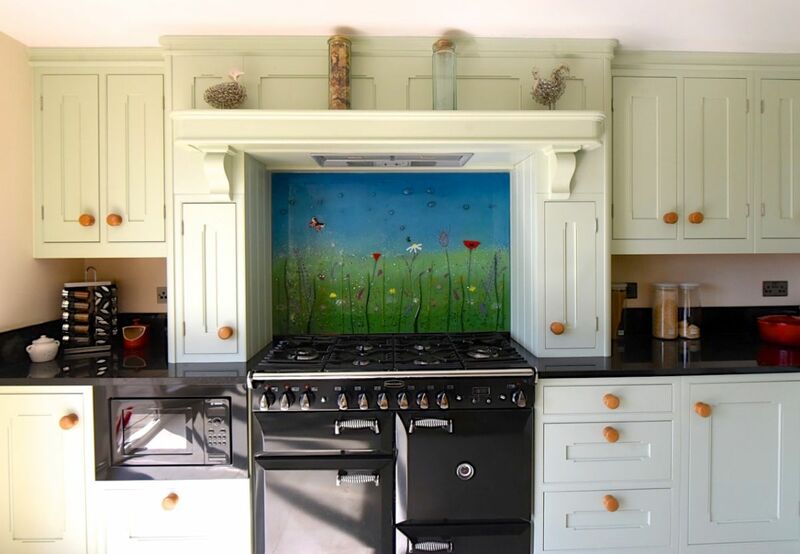 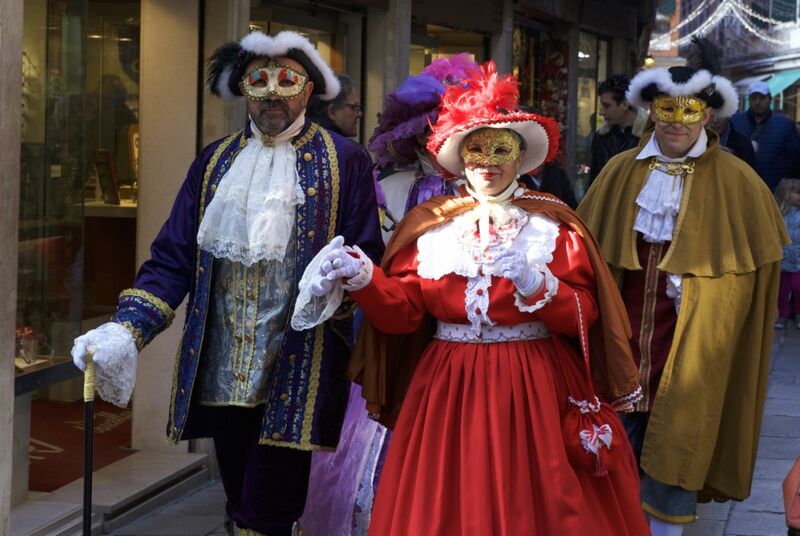 We adore it too, of course, so we’re counting this one as a big win in our books! 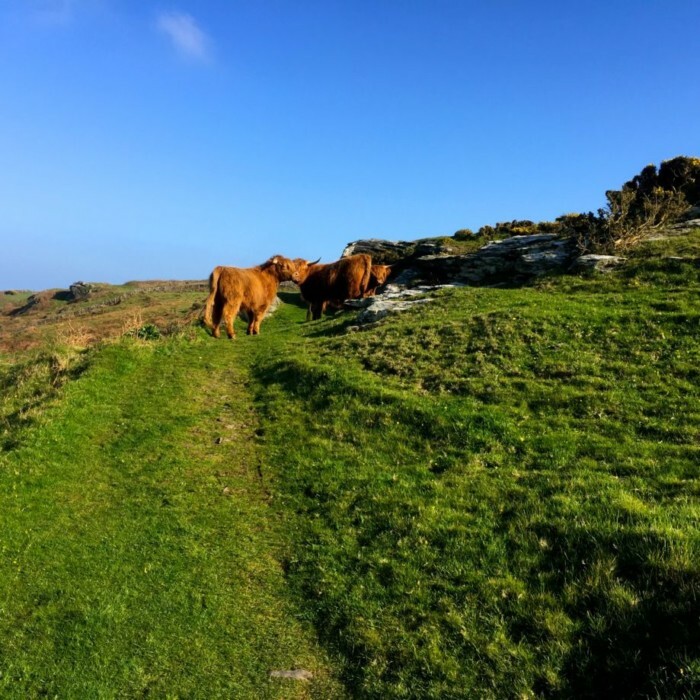 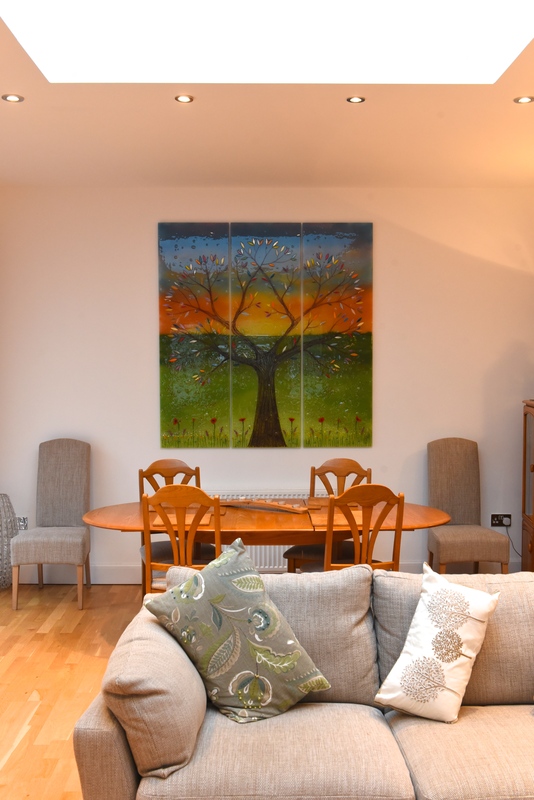 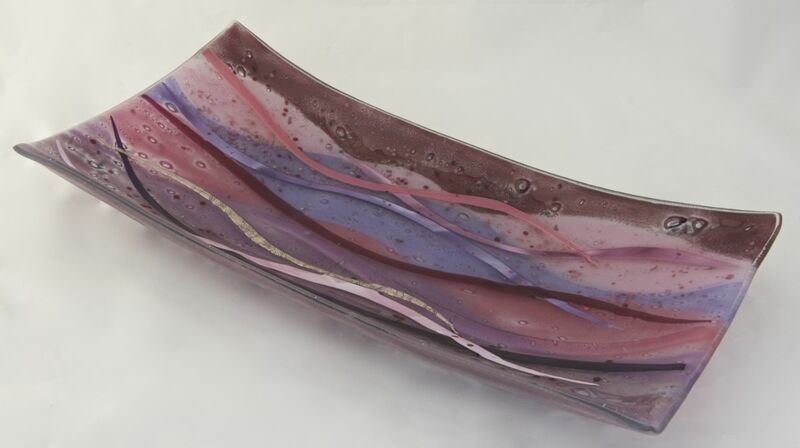 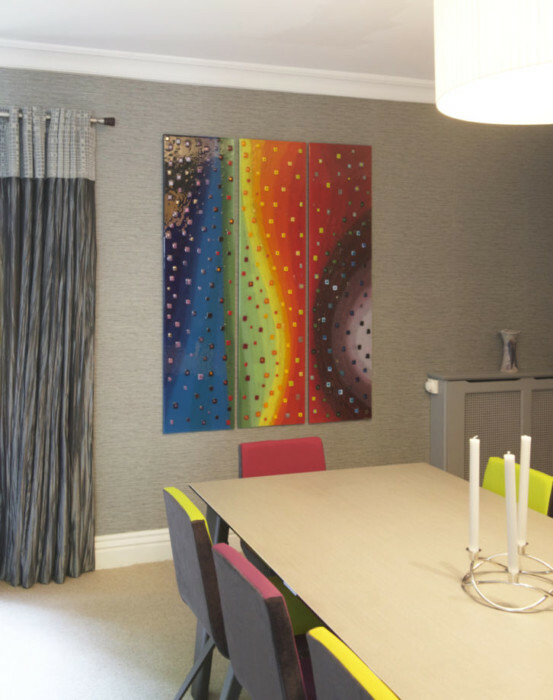 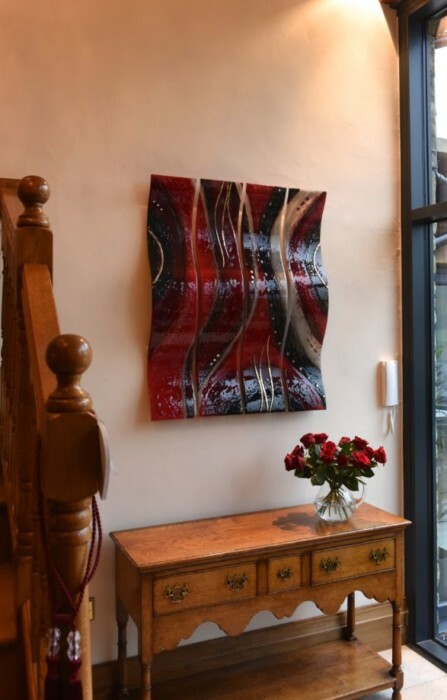 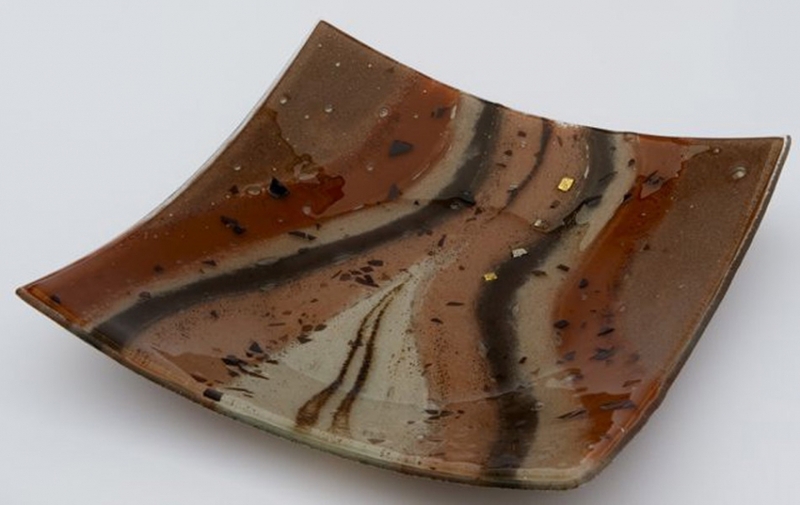 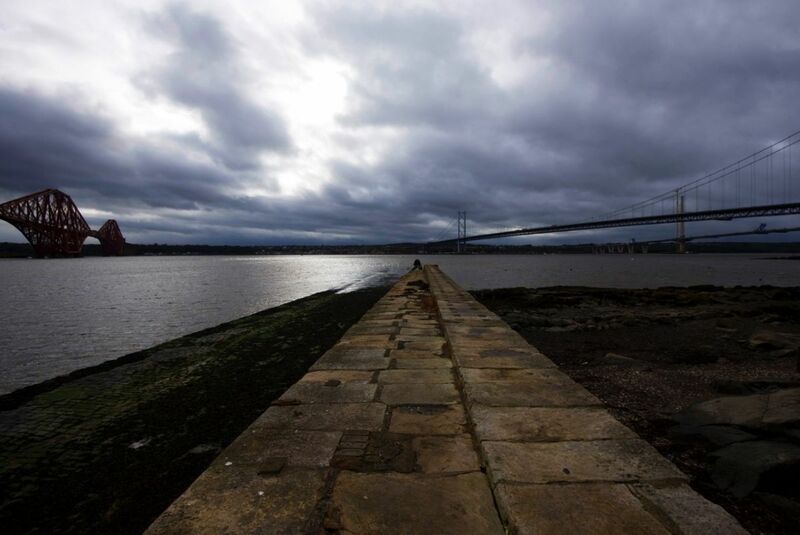 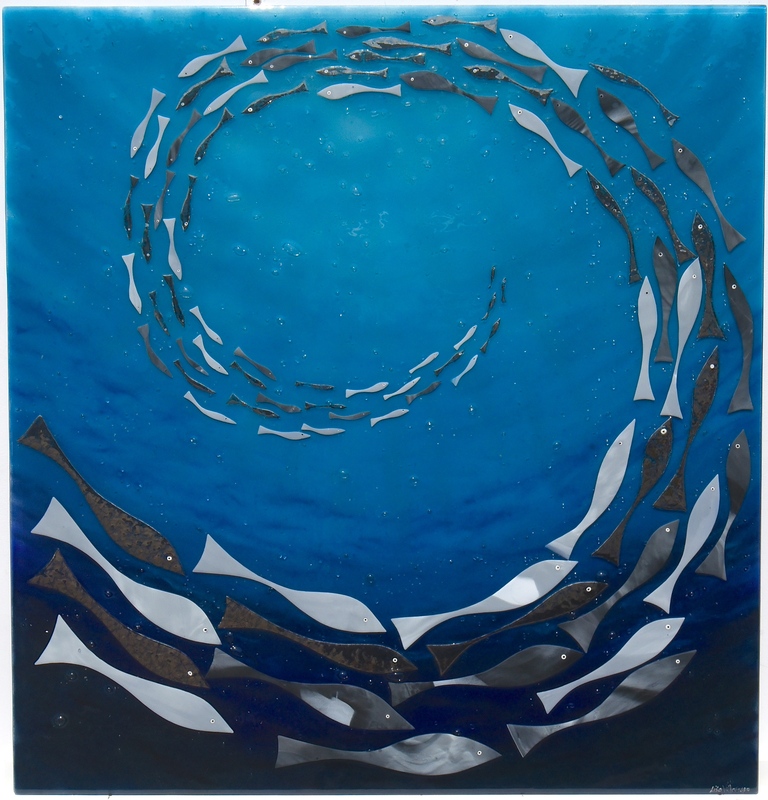 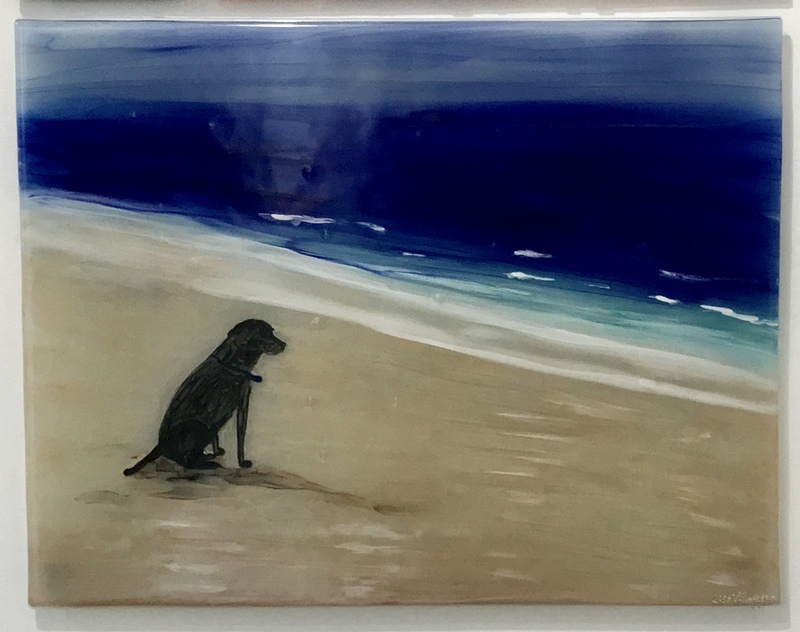 If you’d love a piece just like this one, something inspired by a recent work in our portfolio, or even if you’d like to go completely in the opposite direction with a wholly new idea of your own, why not take the first step today? 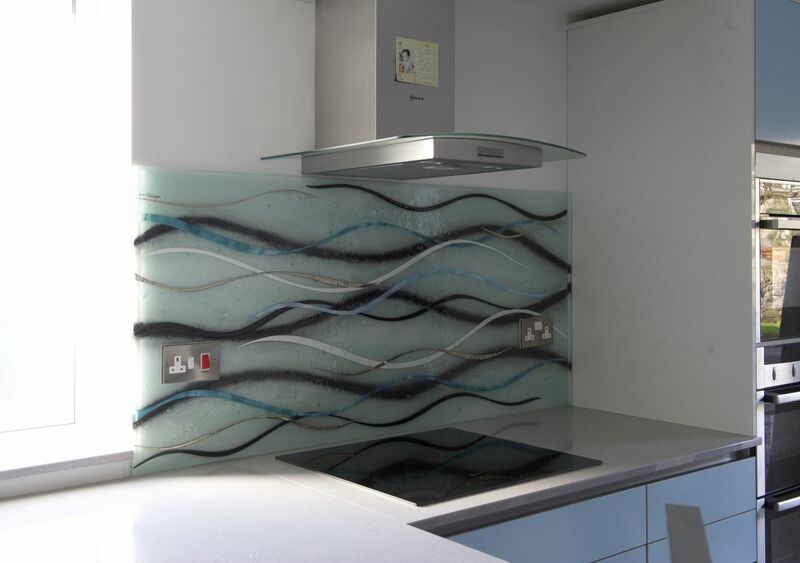 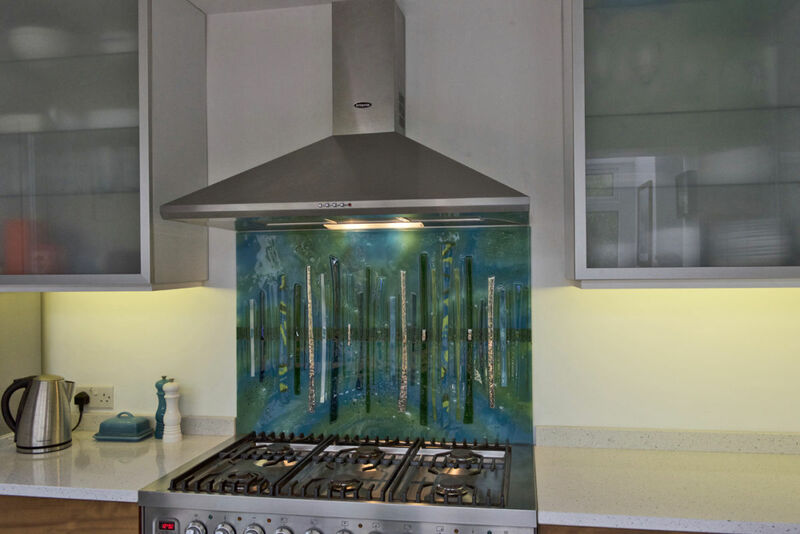 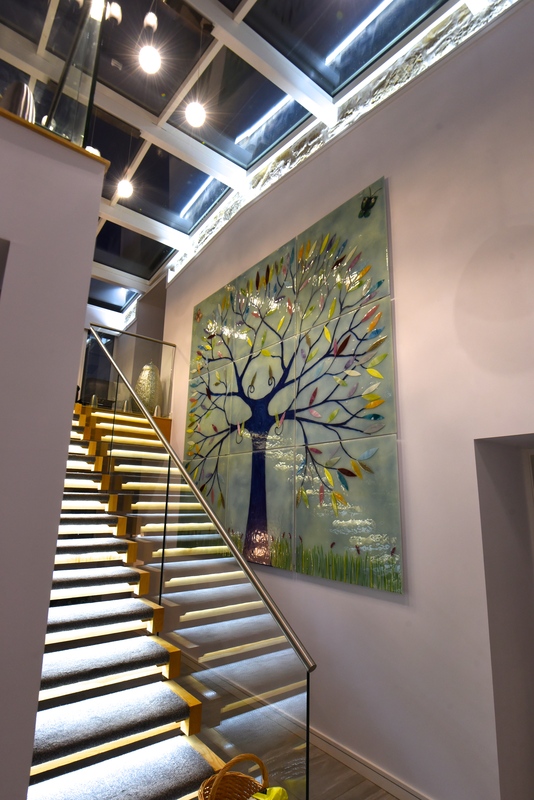 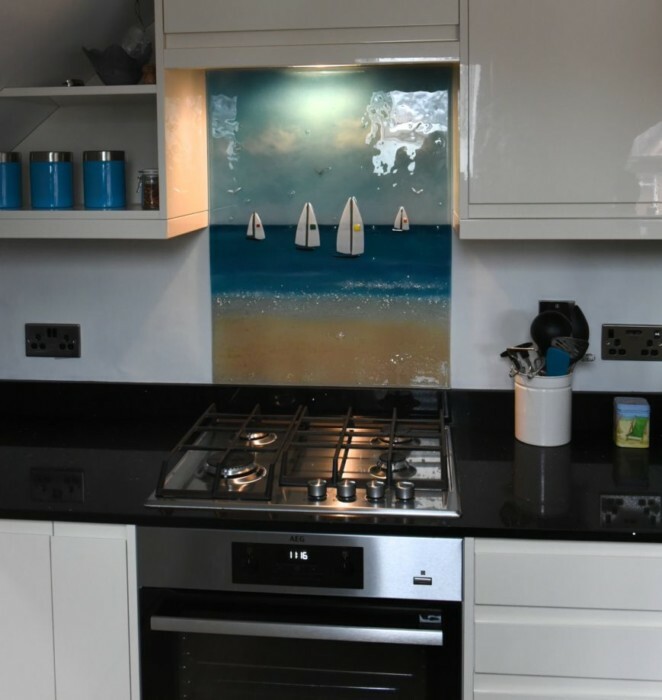 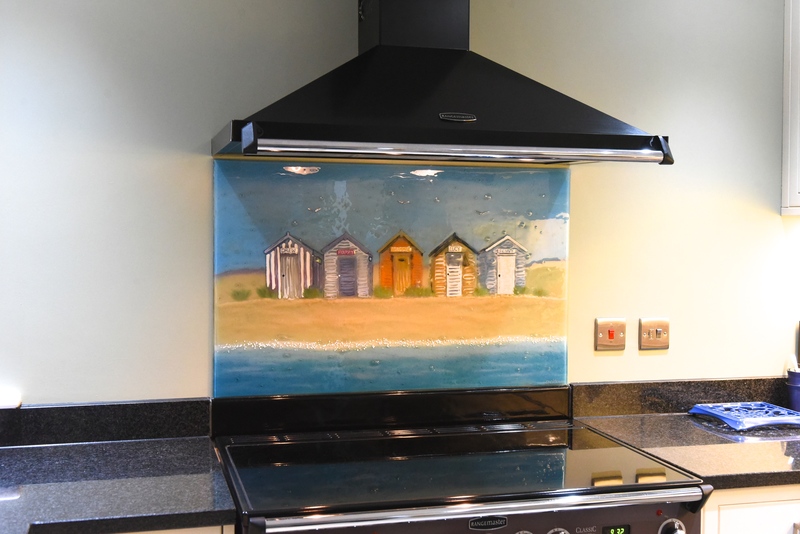 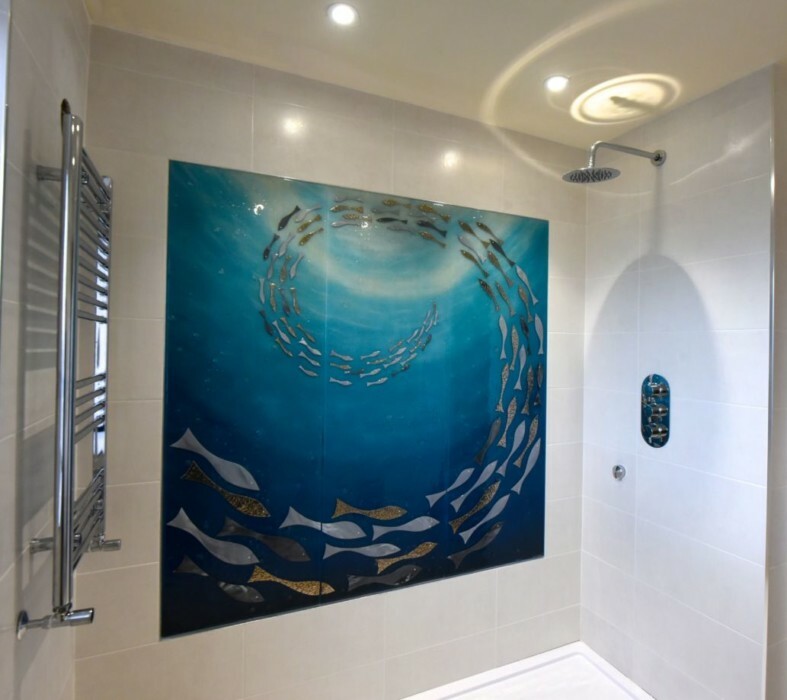 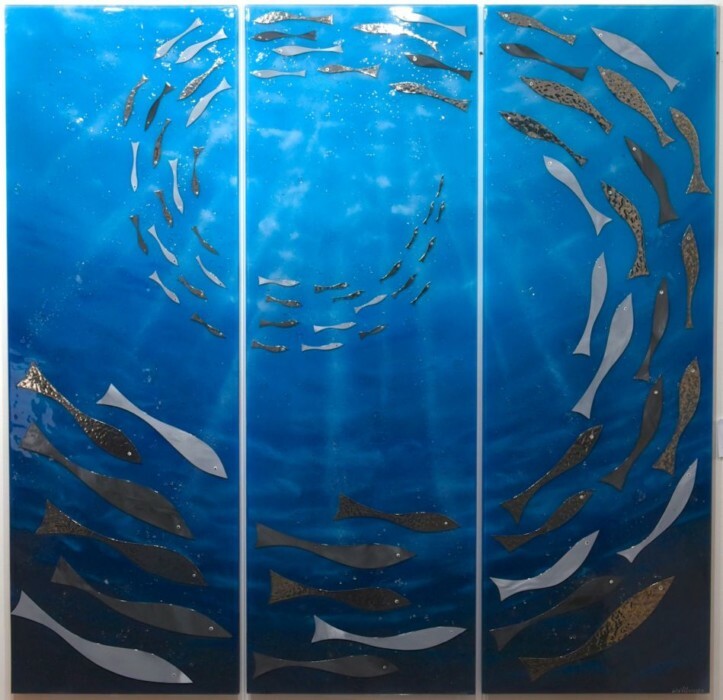 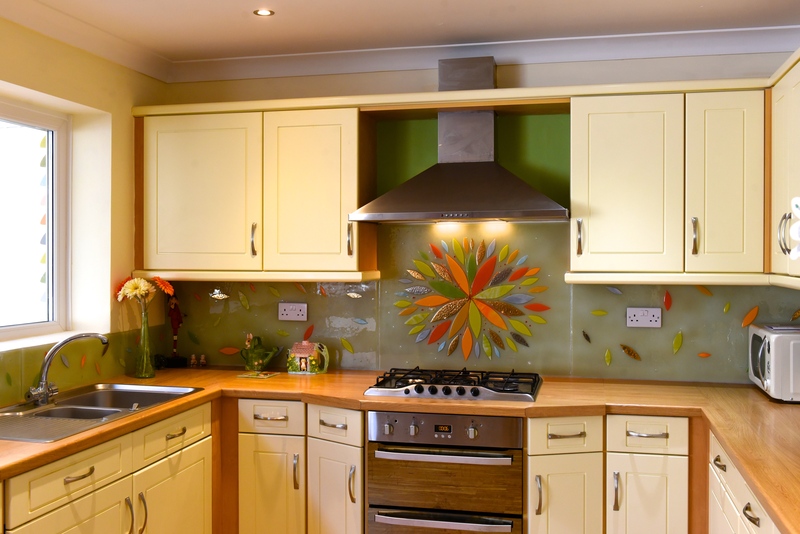 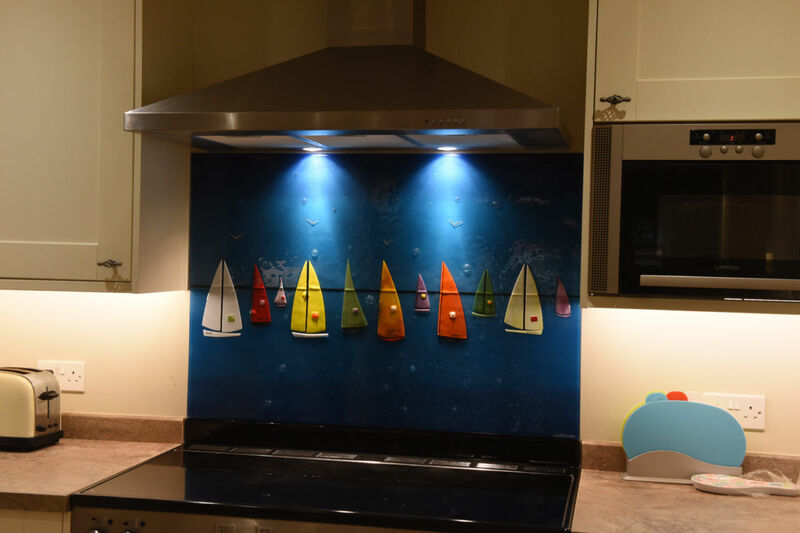 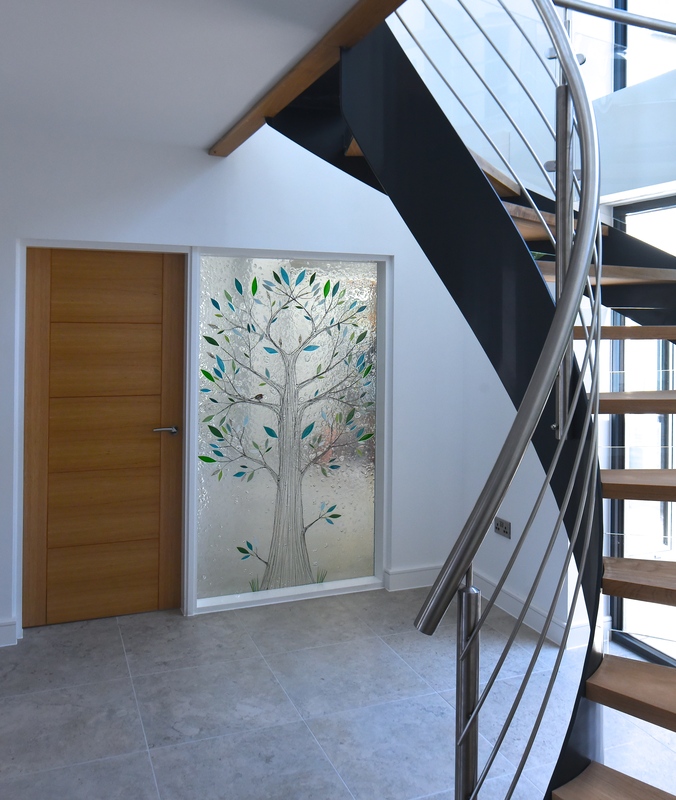 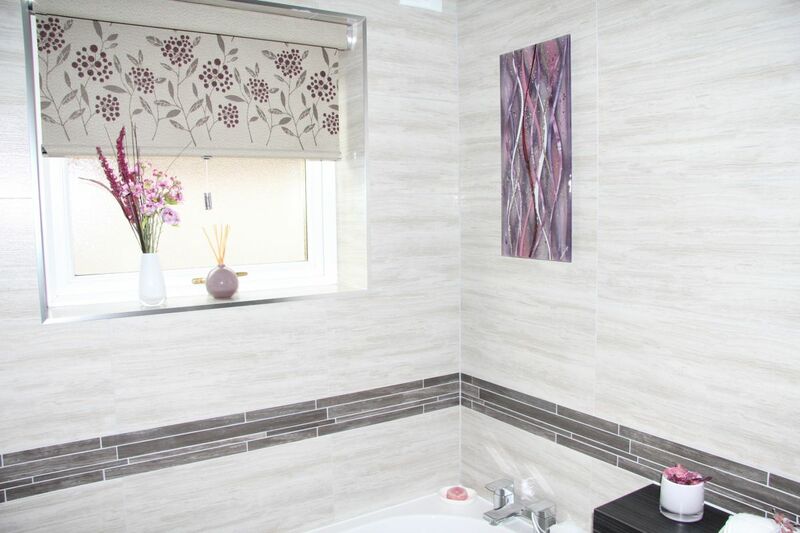 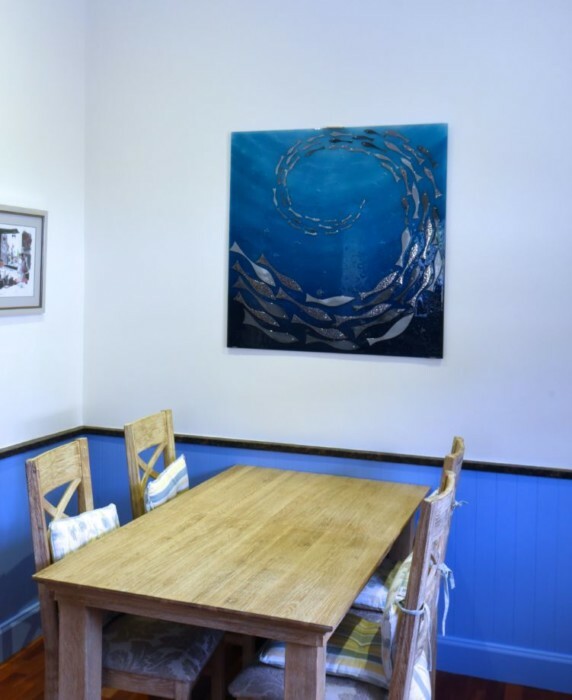 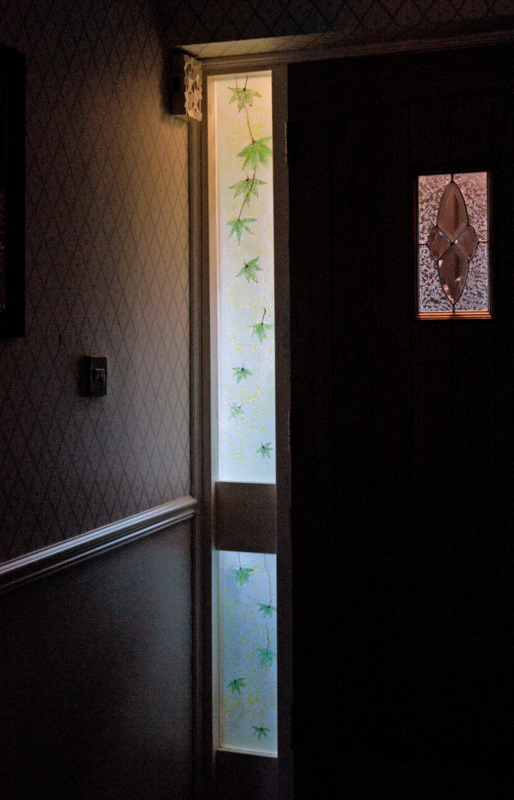 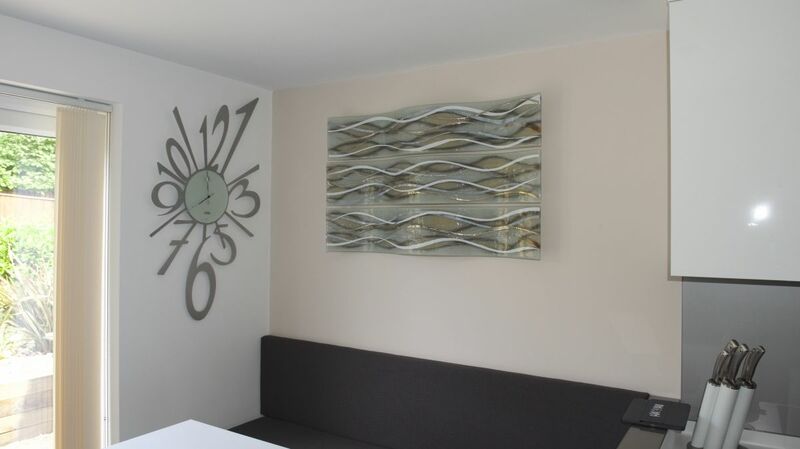 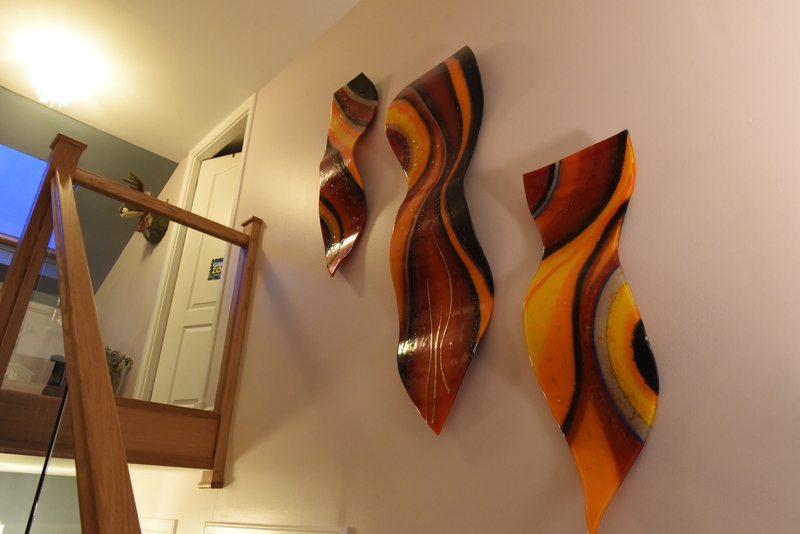 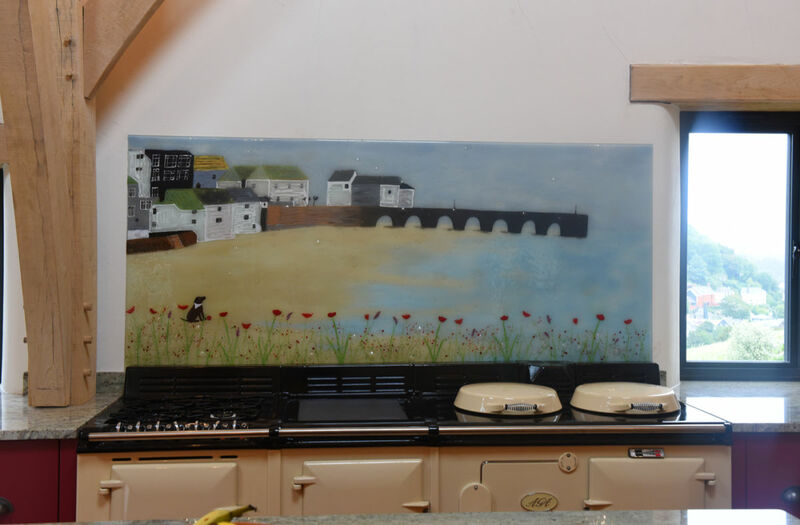 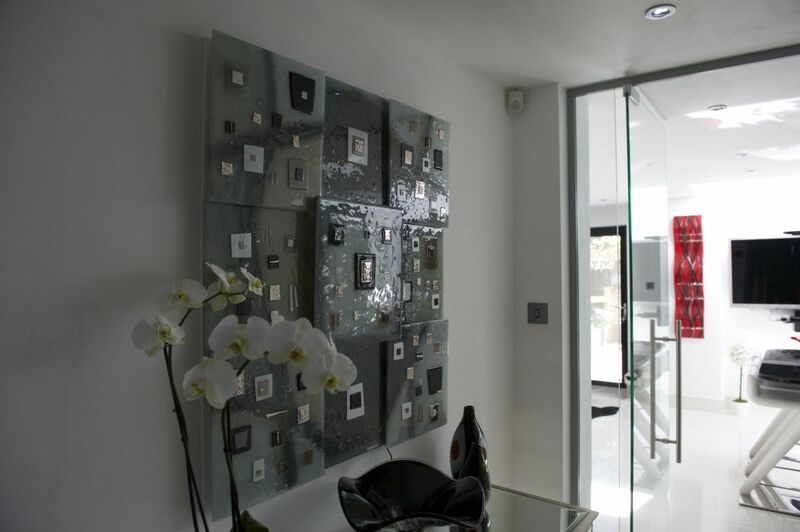 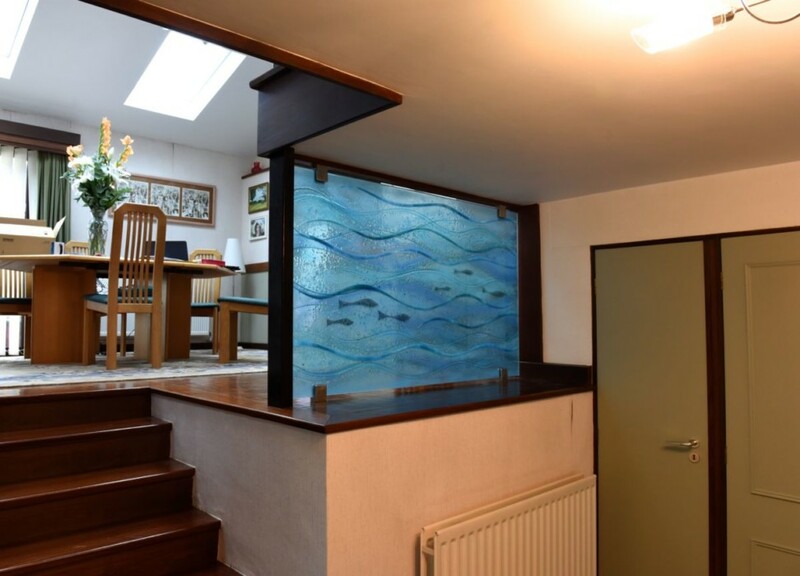 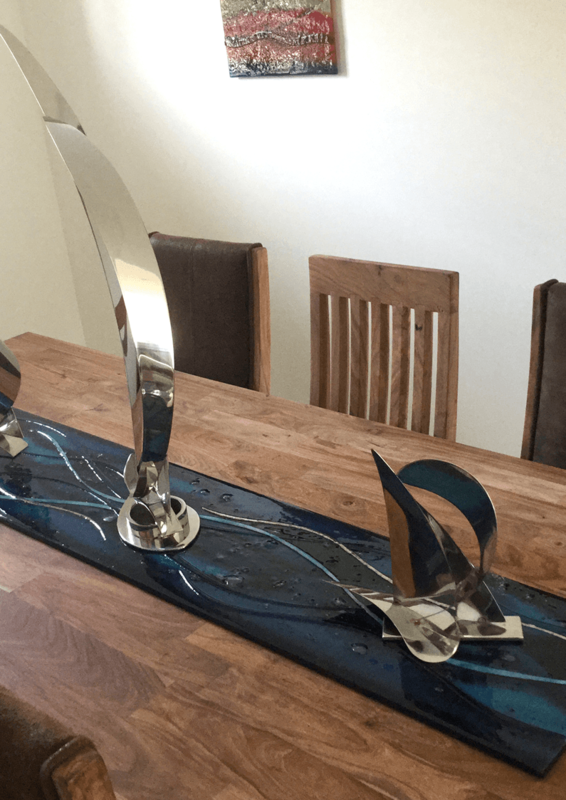 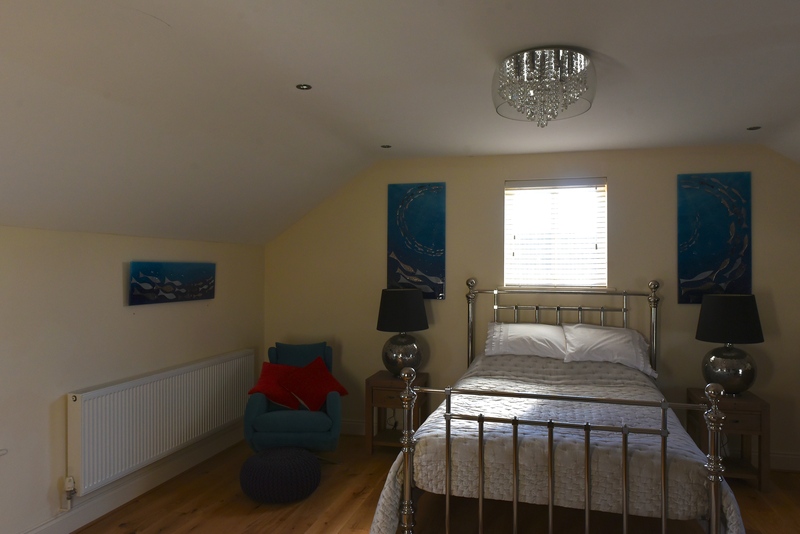 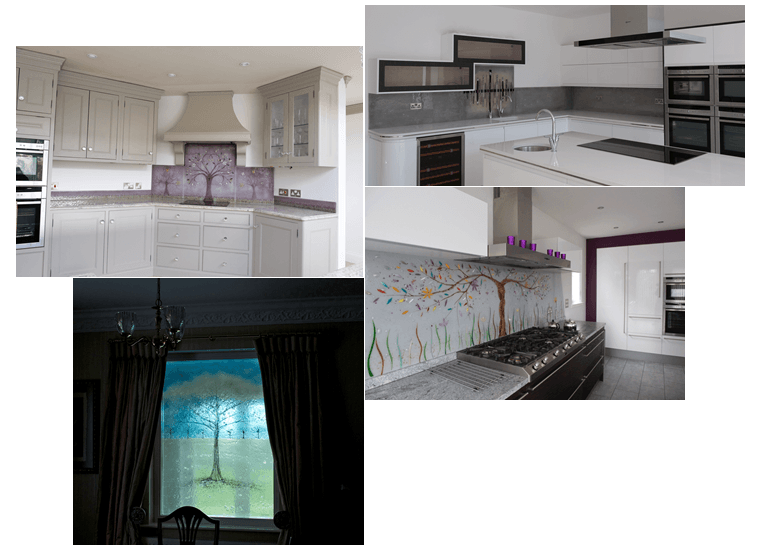 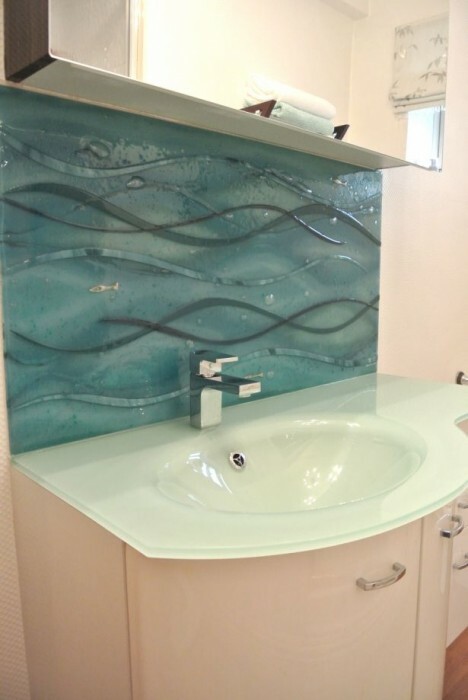 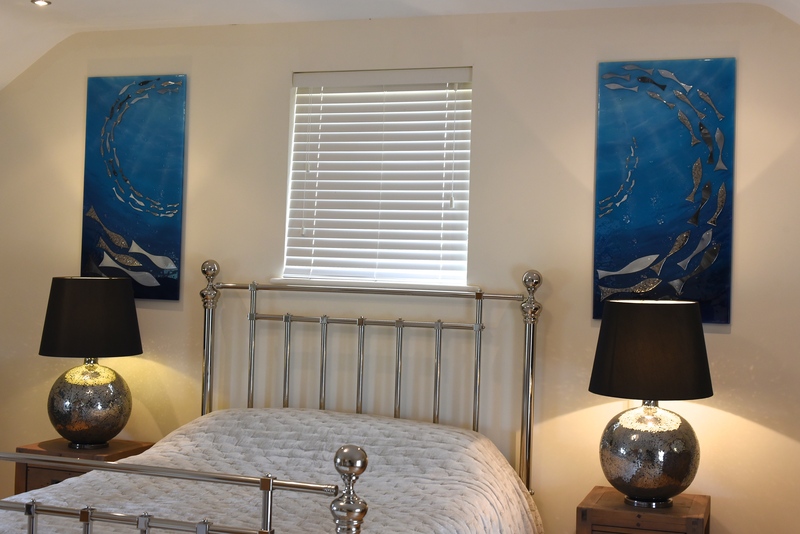 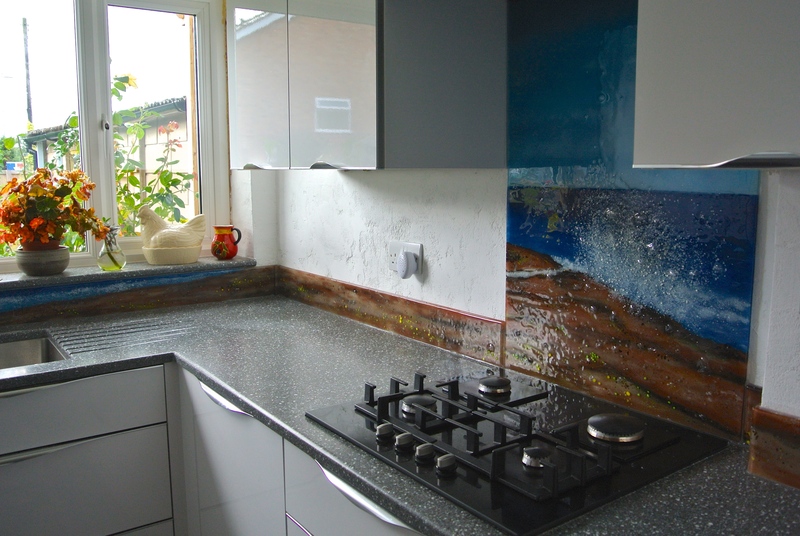 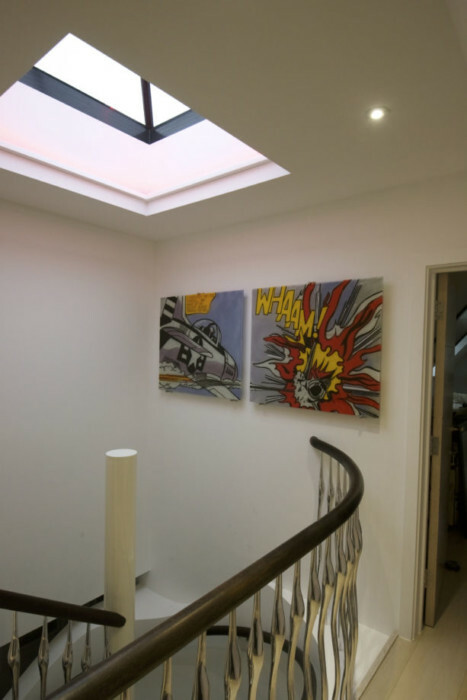 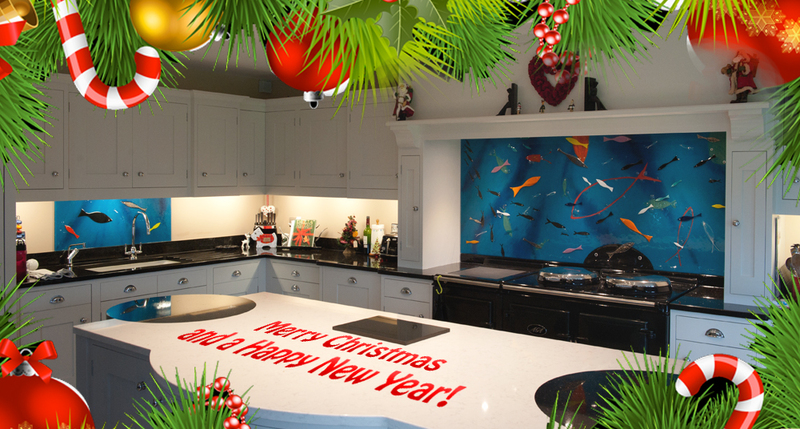 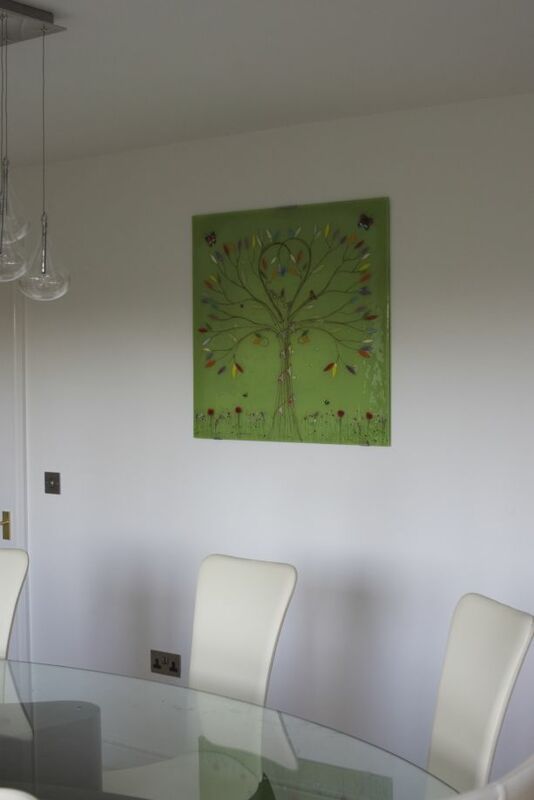 From glass splashbacks Hampshire-wide to grand wall murals and compact coasters, we here at The House of Ugly Fish are always busy creating gorgeous and unique decorations. 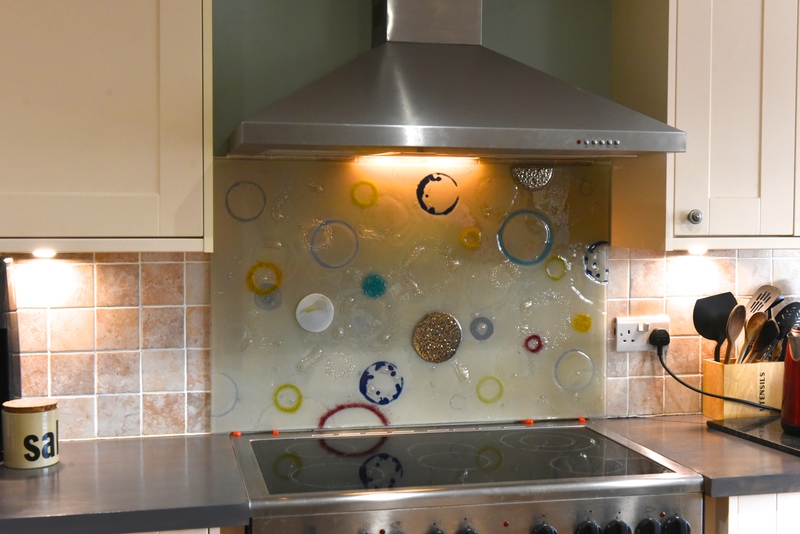 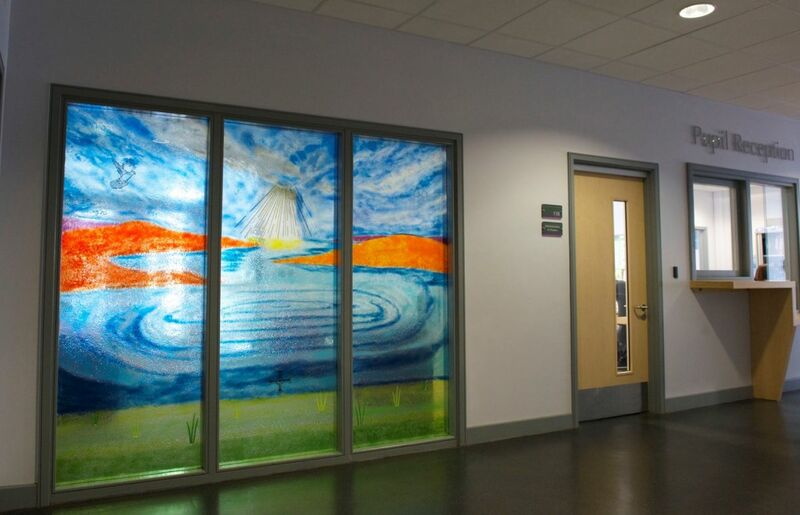 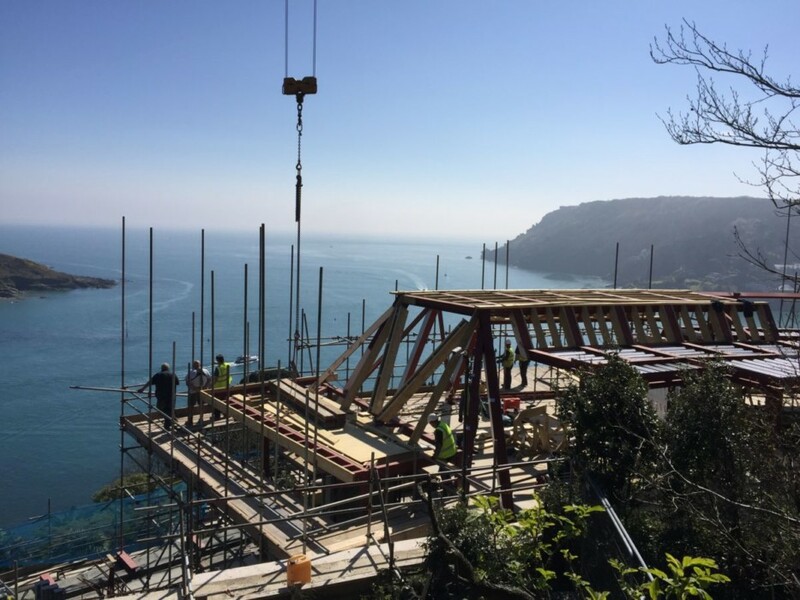 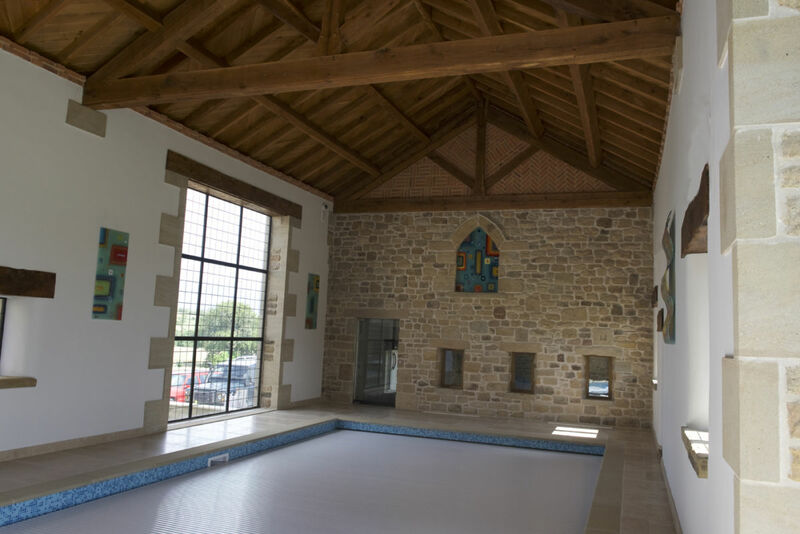 We’re ready and waiting to create your perfect piece of glass, and there’s never been a better time to get in touch than now. 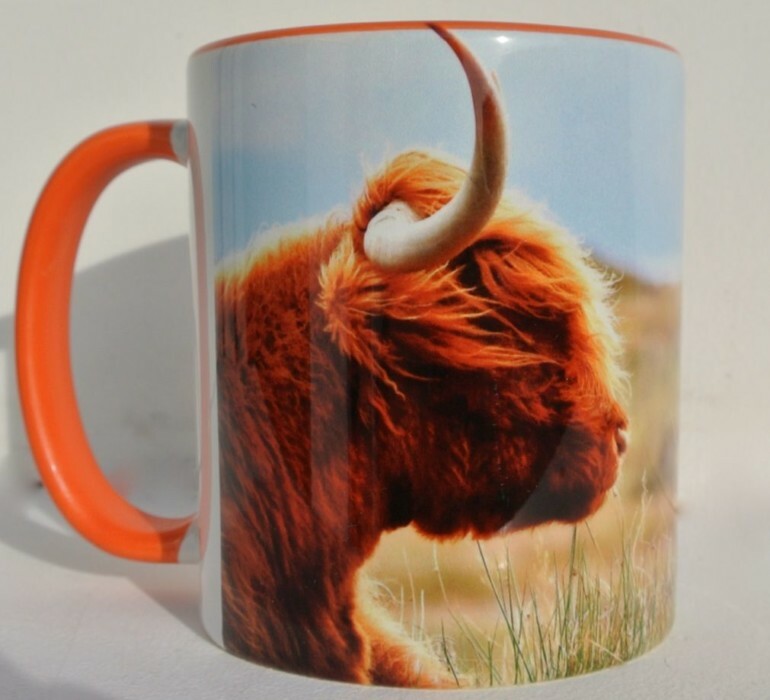 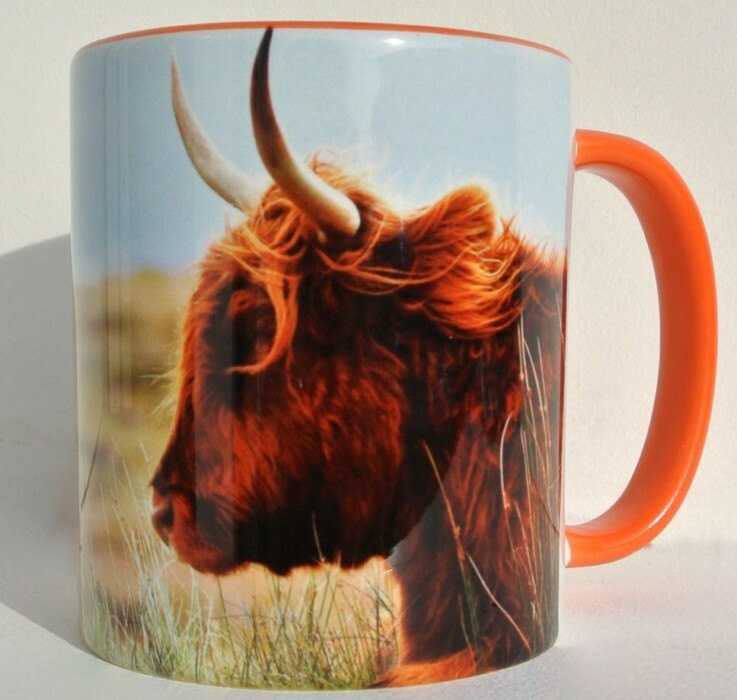 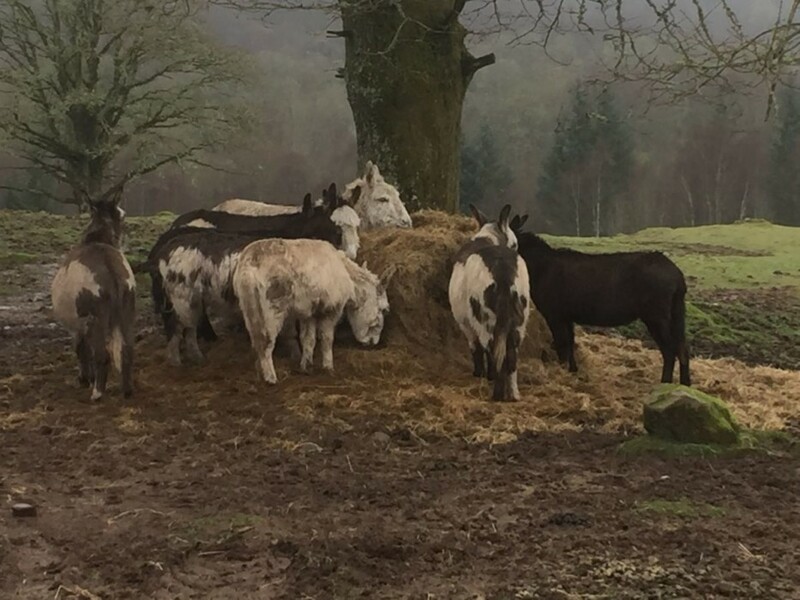 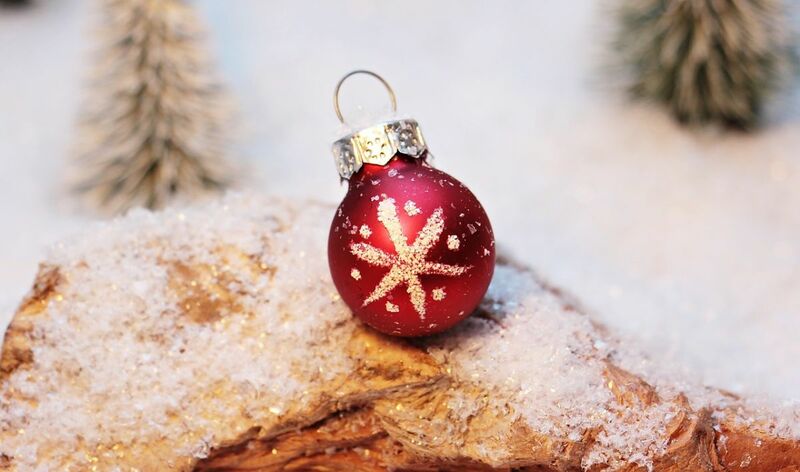 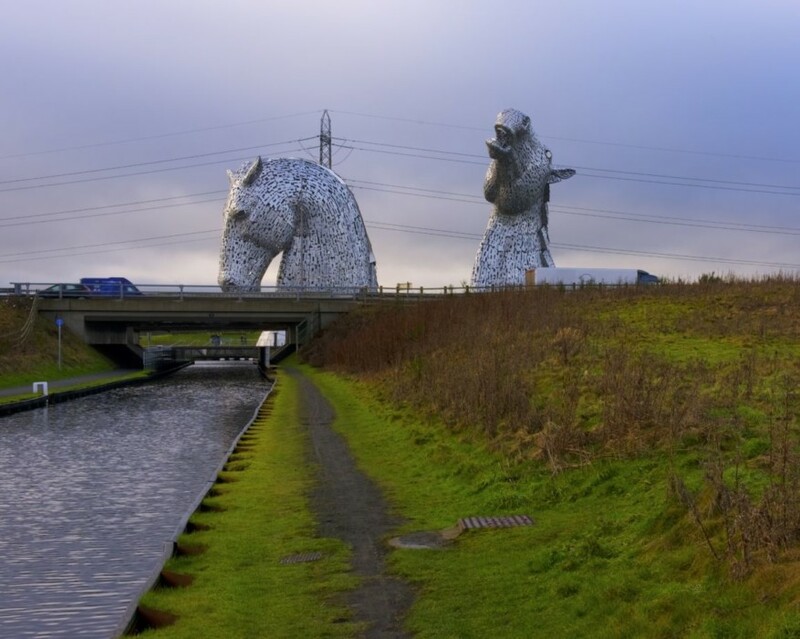 After all, what better gift to give to a loved one than something that no-one else has? 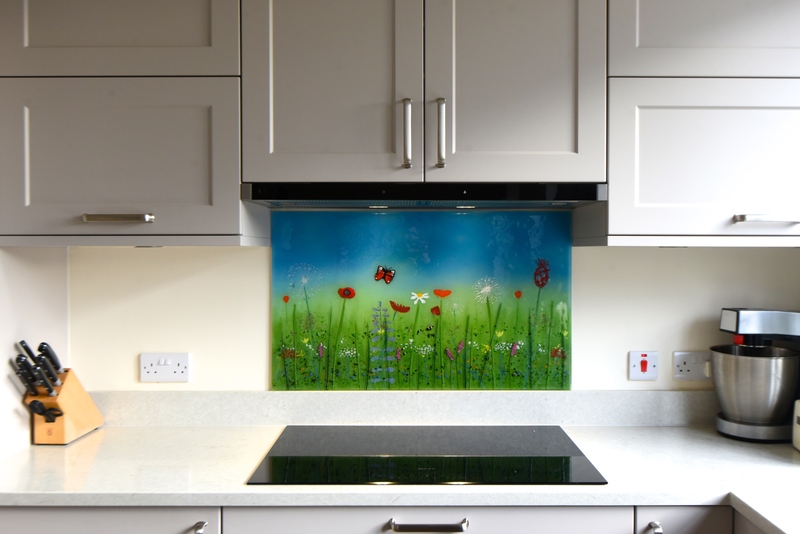 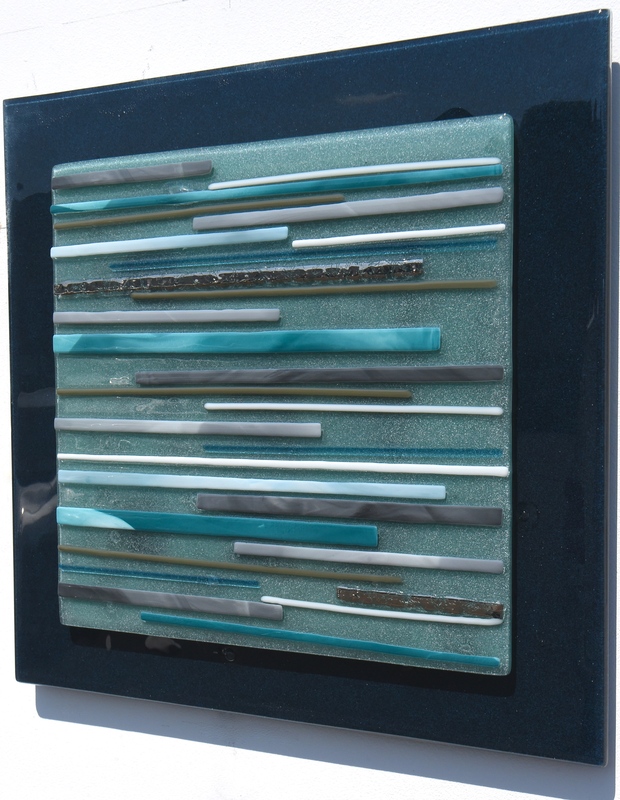 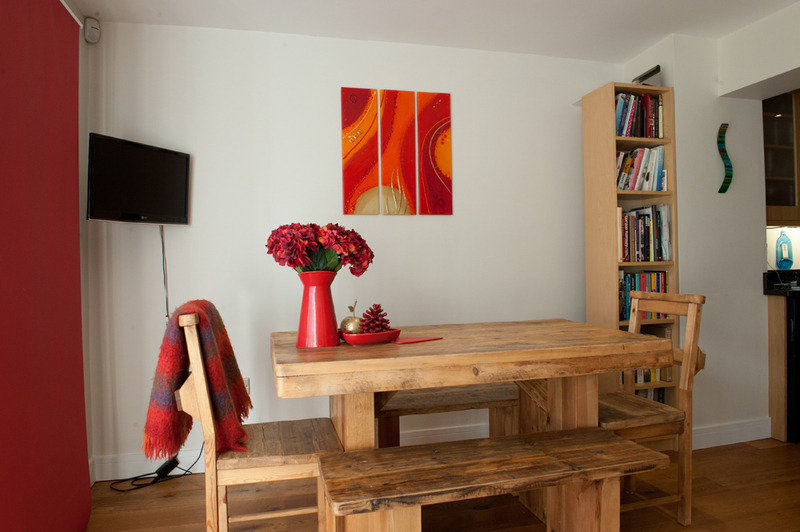 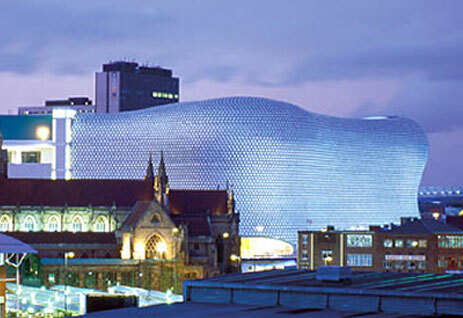 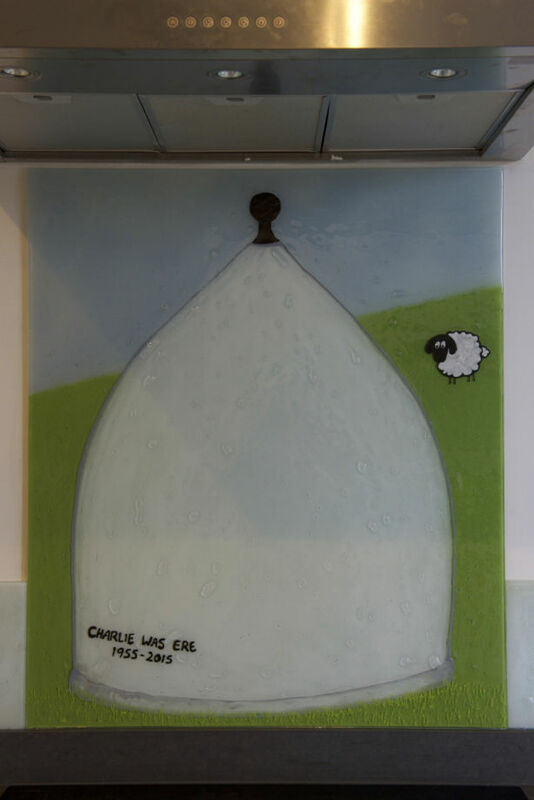 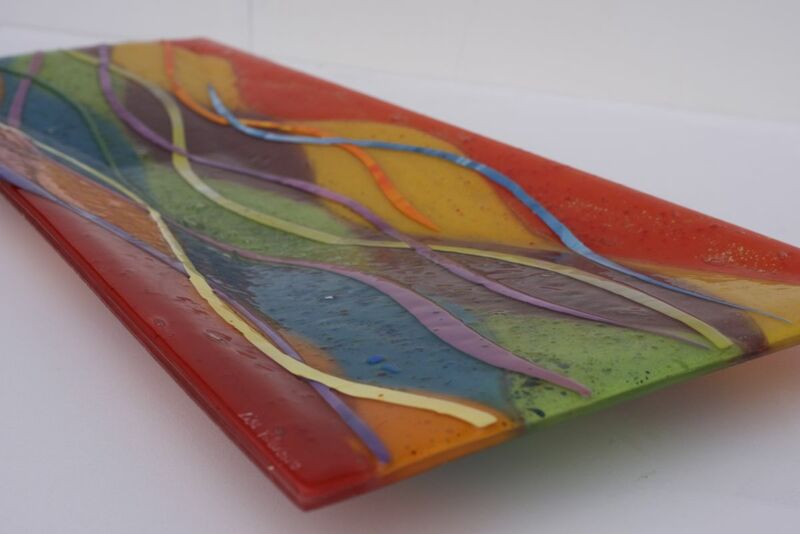 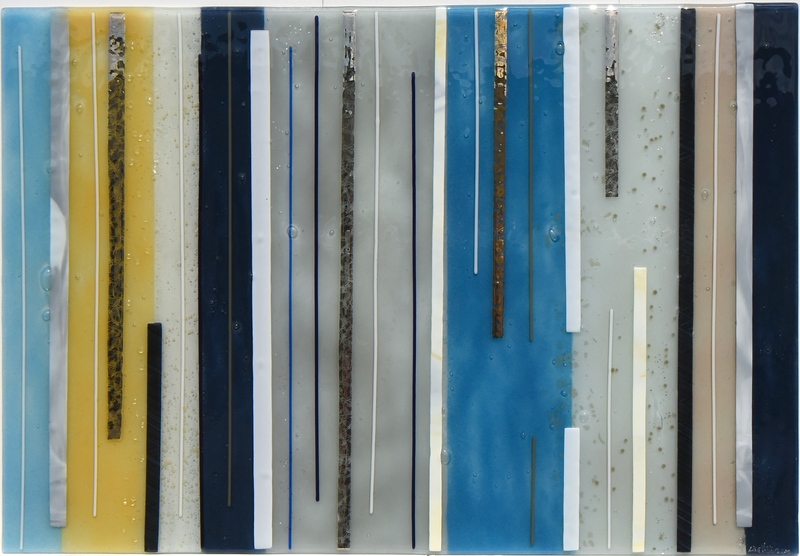 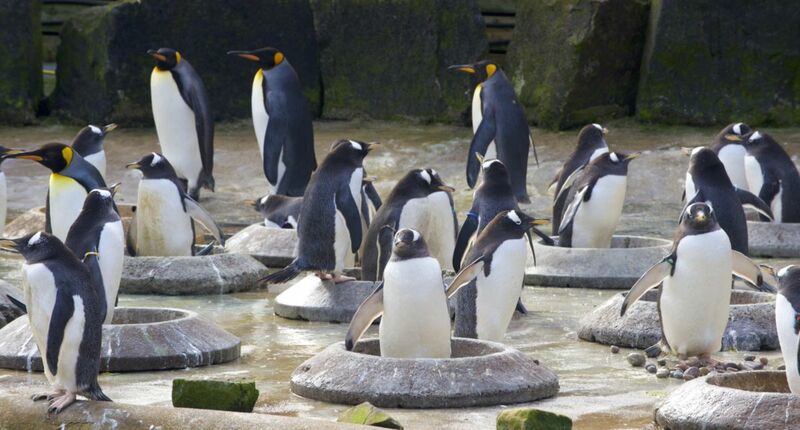 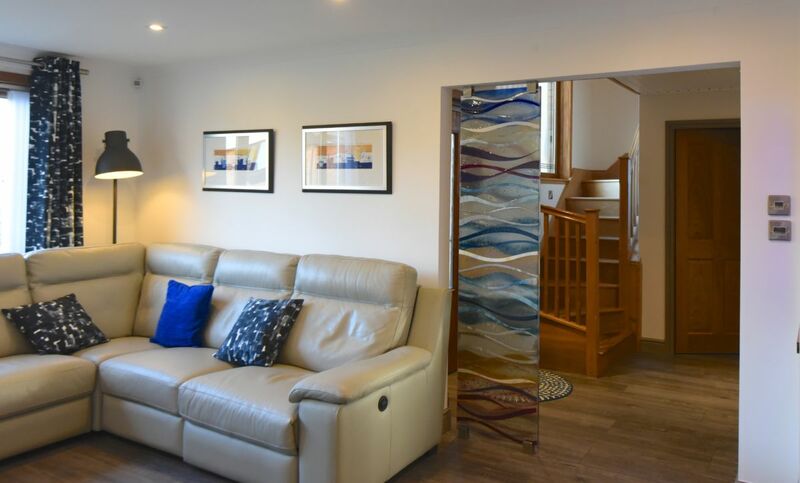 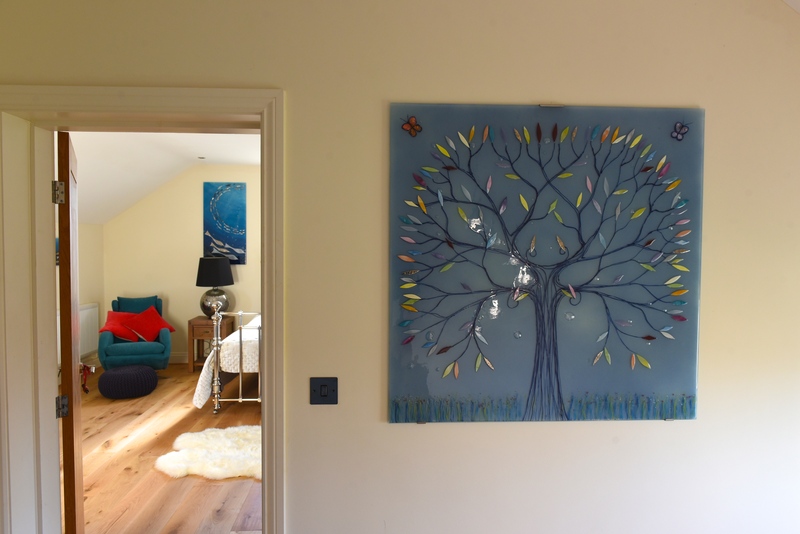 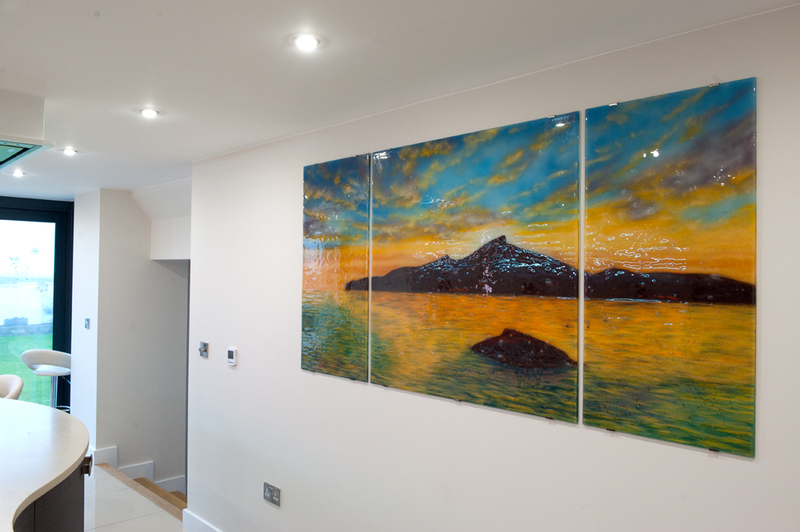 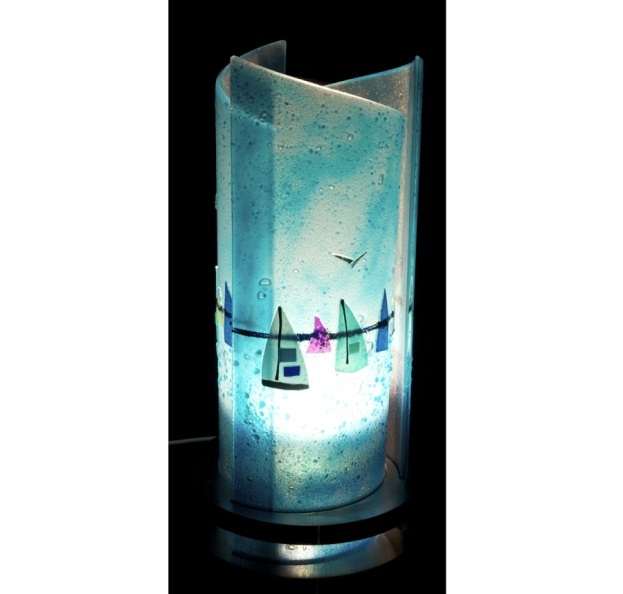 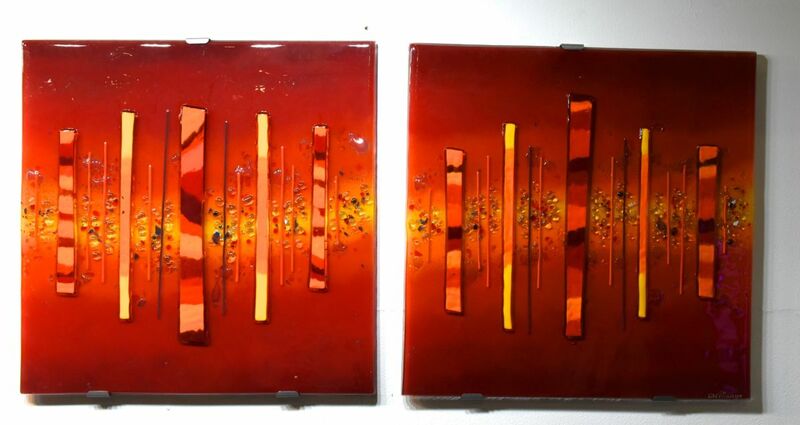 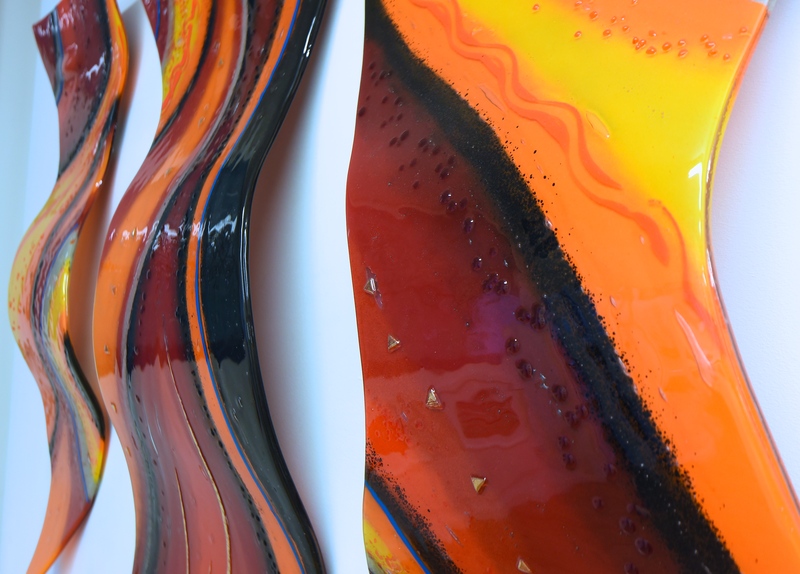 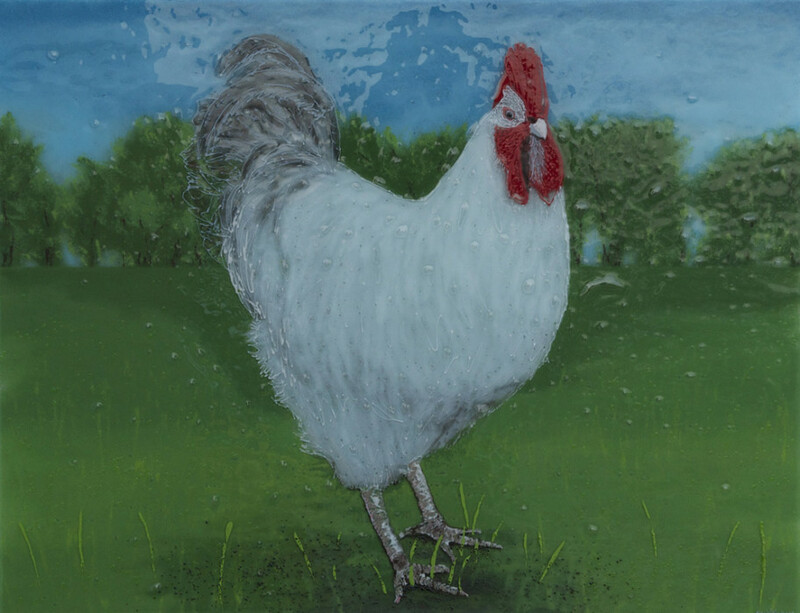 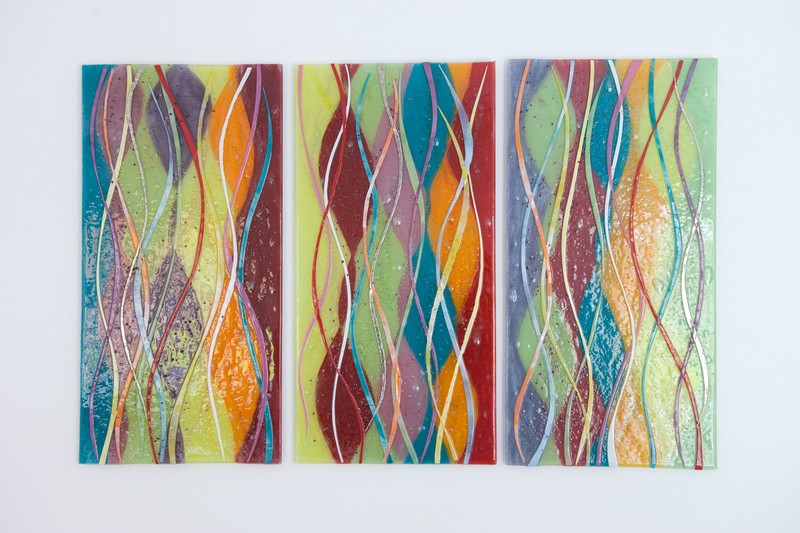 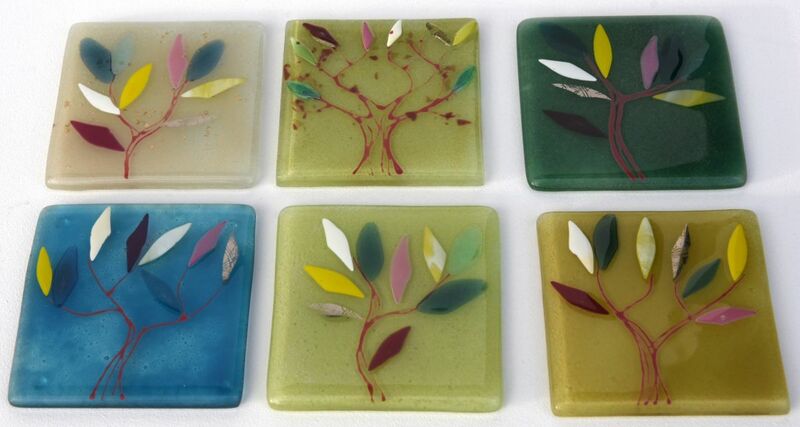 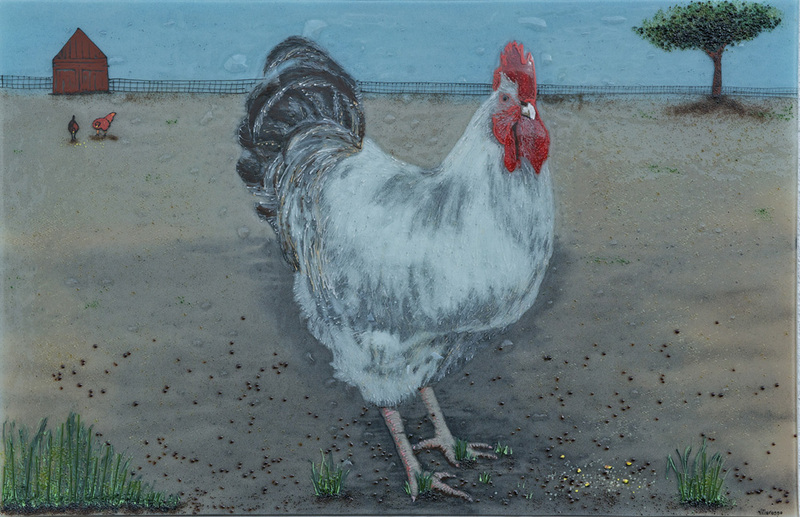 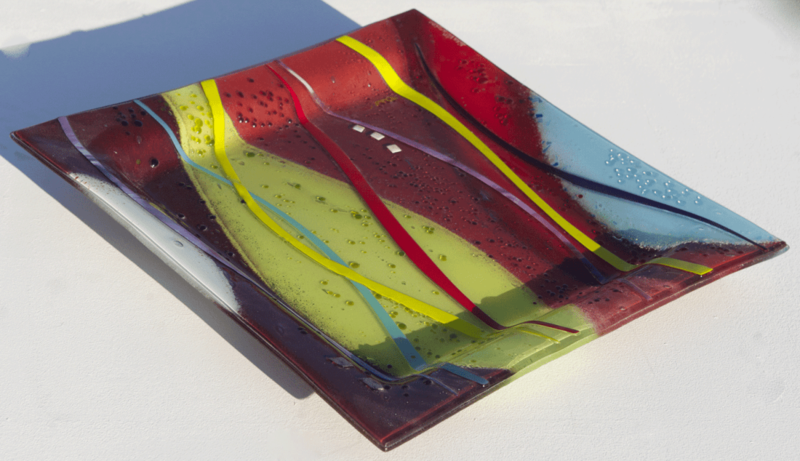 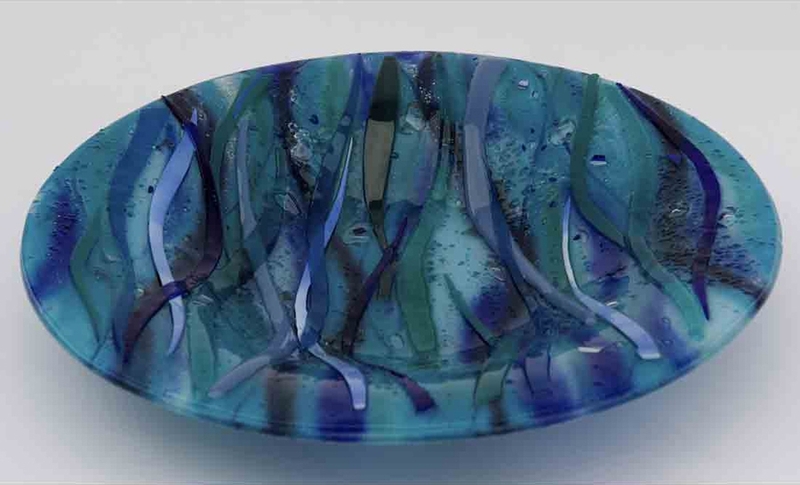 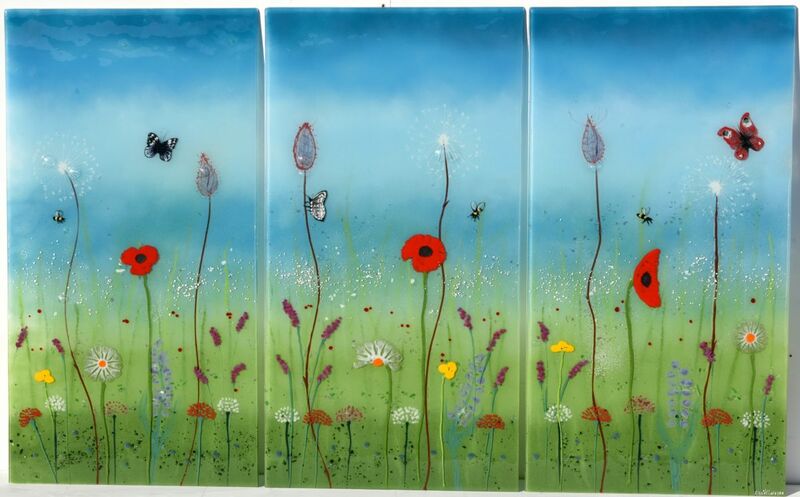 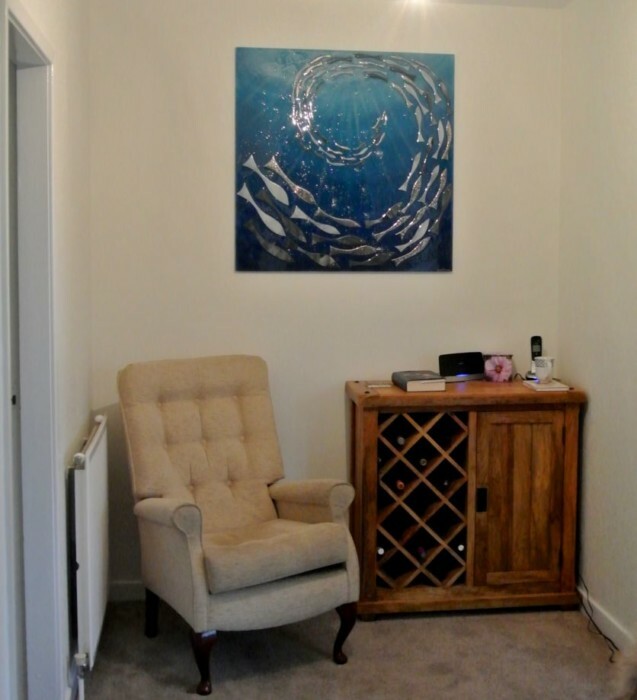 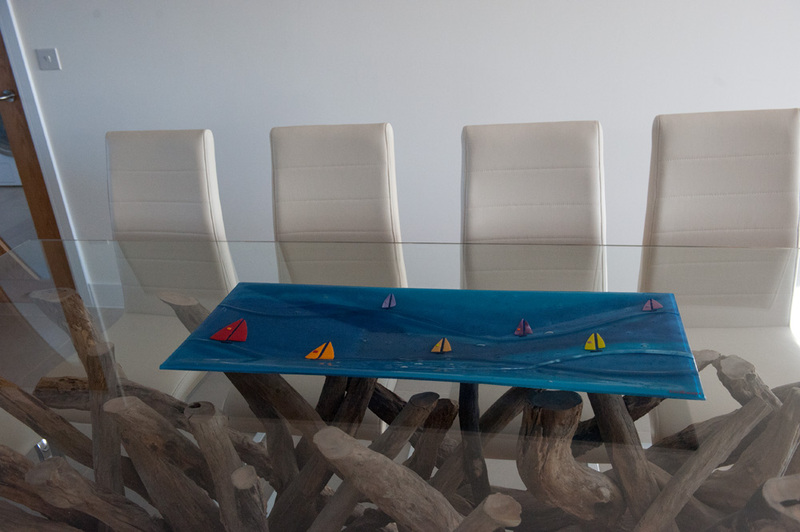 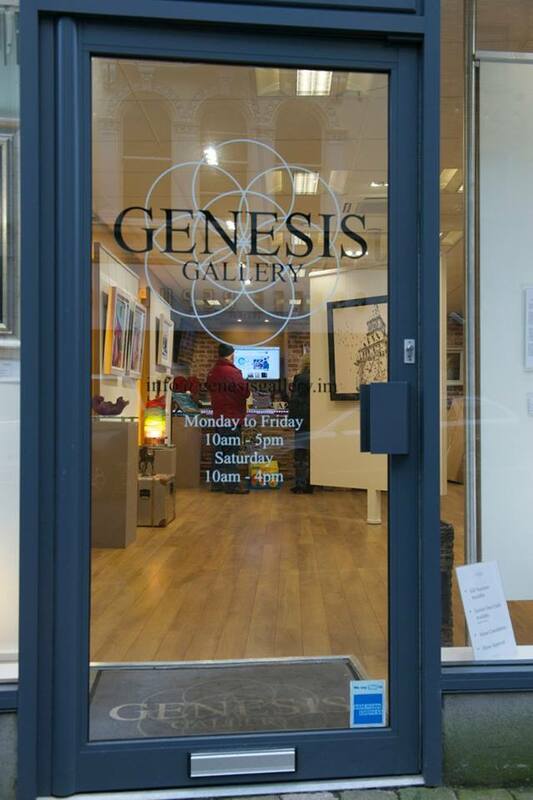 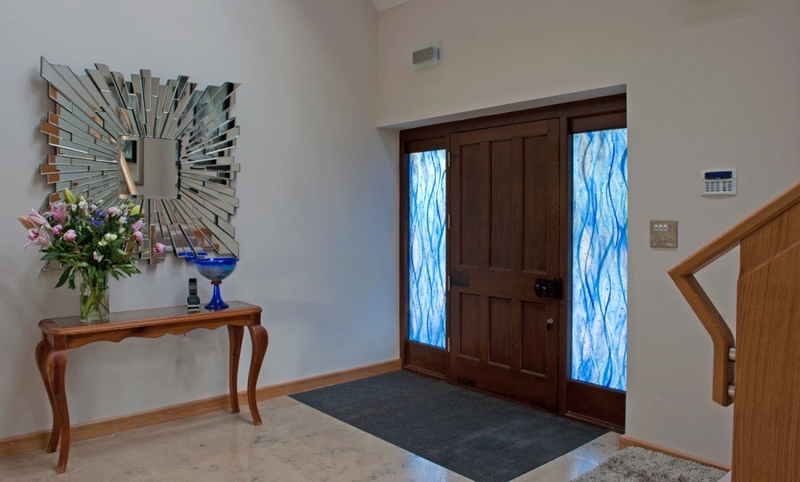 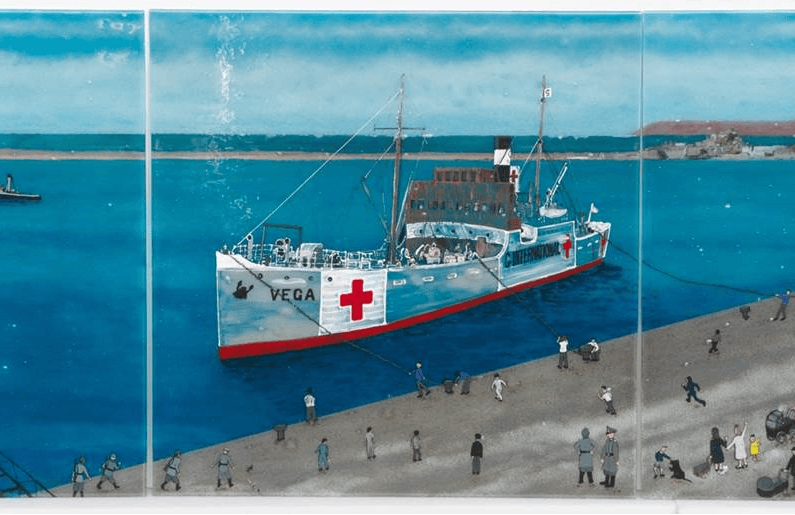 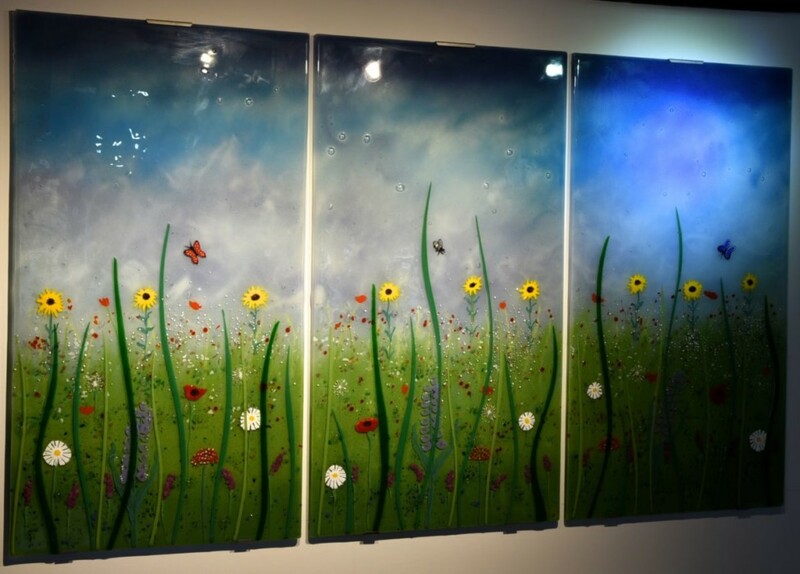 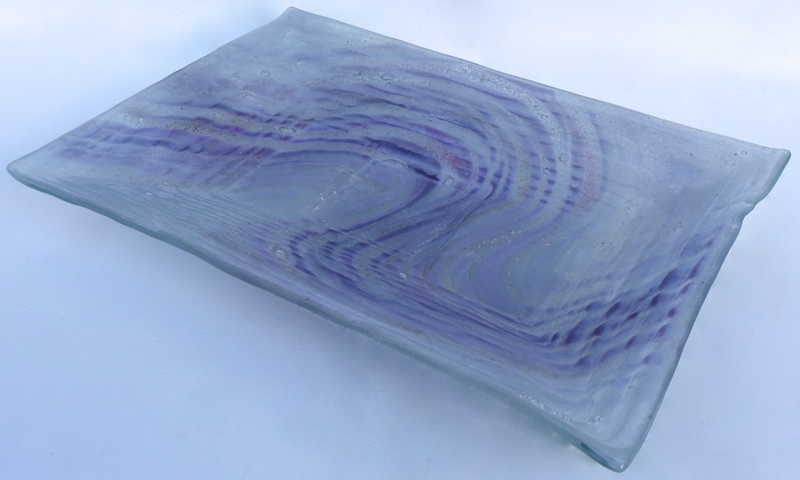 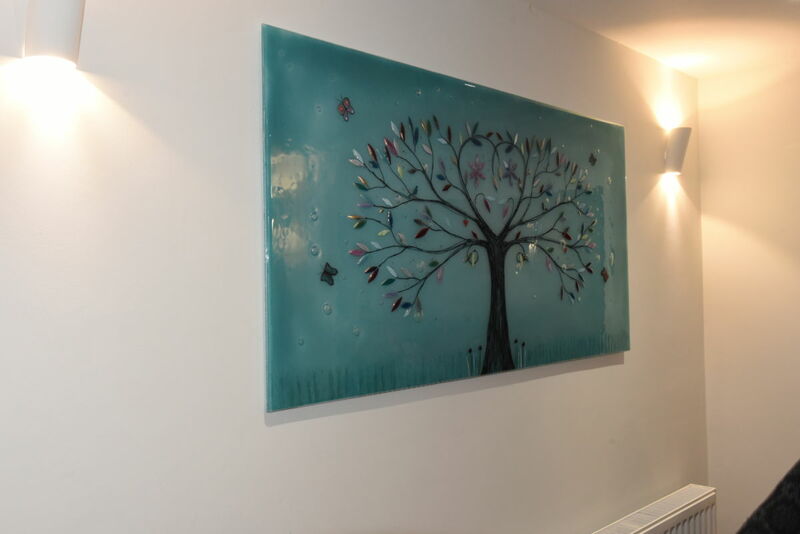 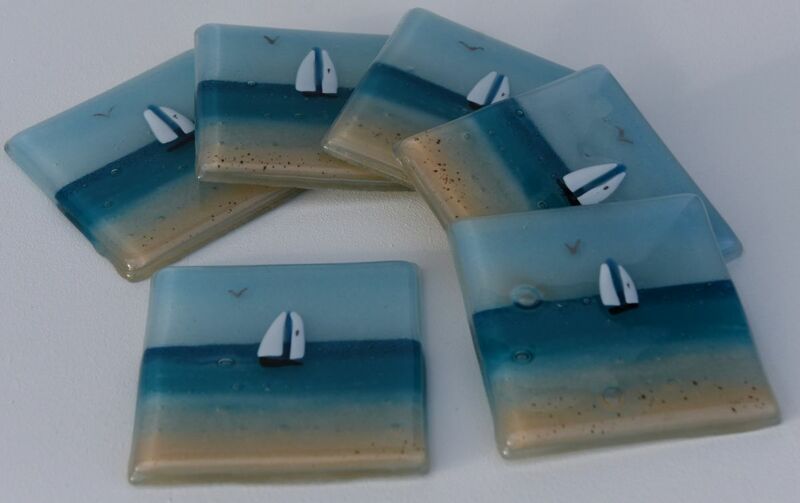 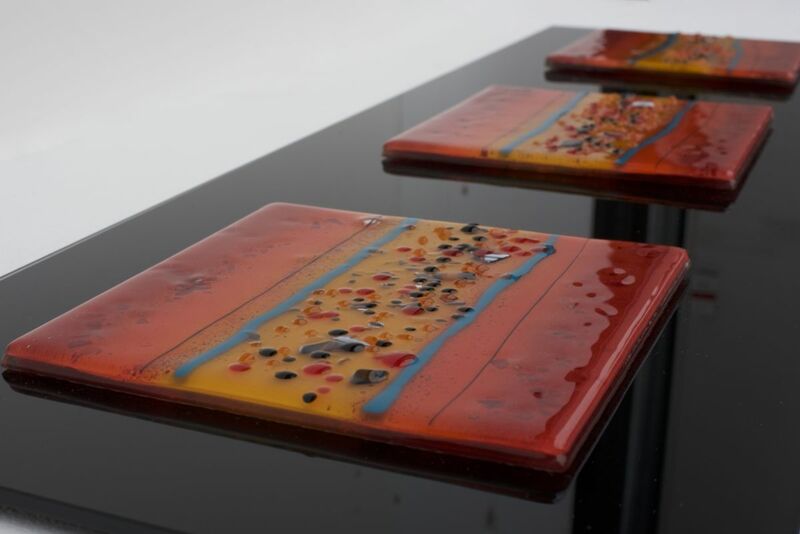 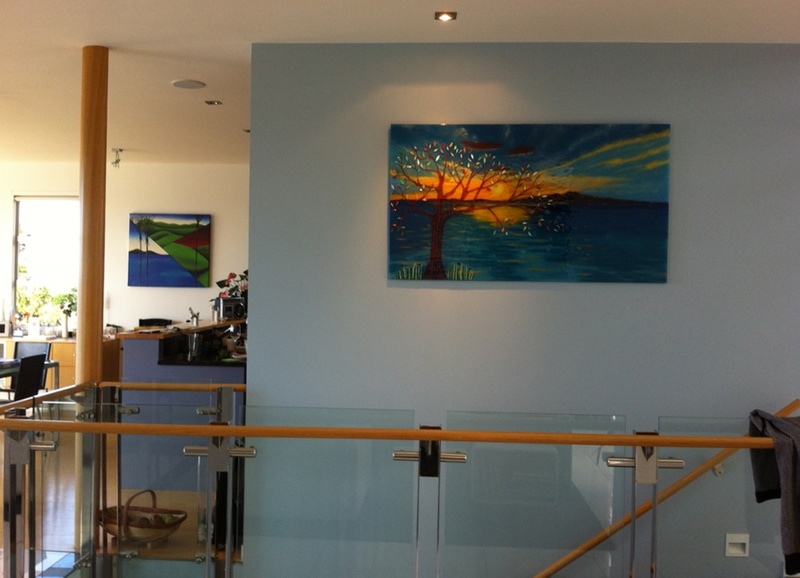 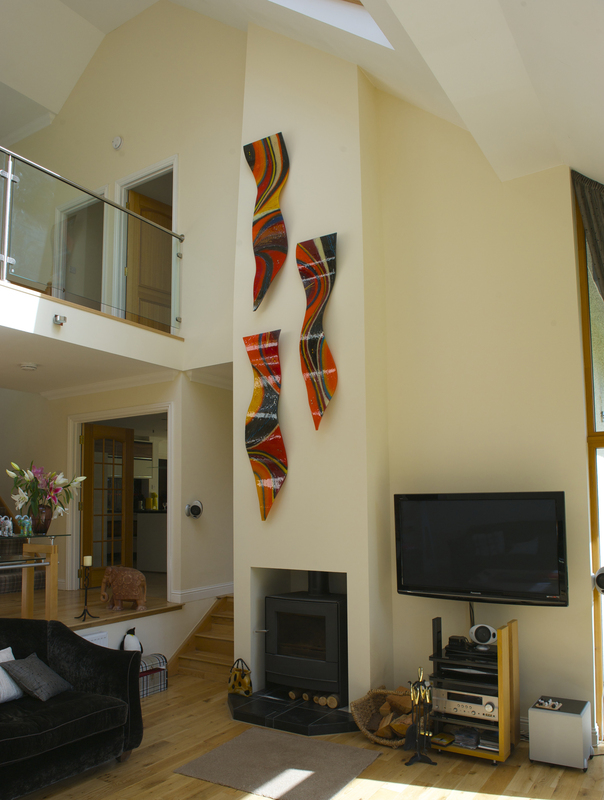 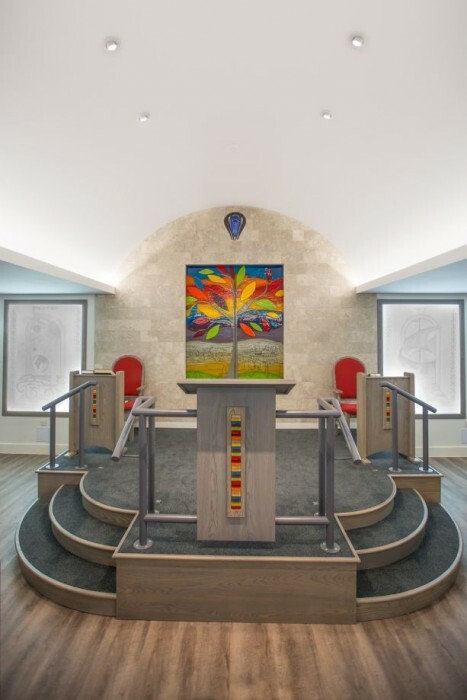 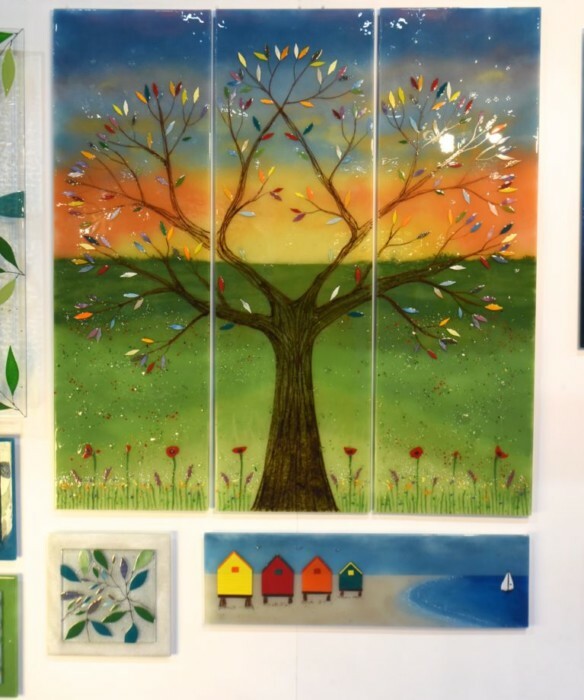 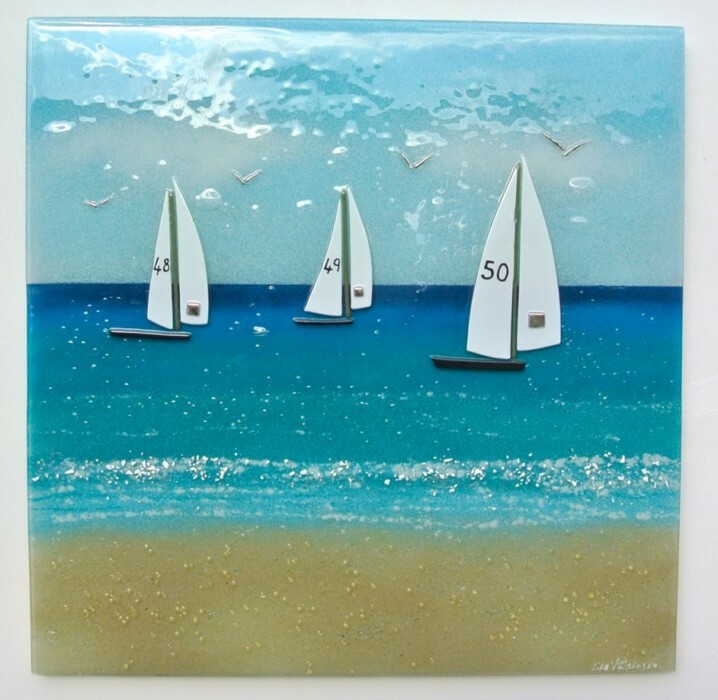 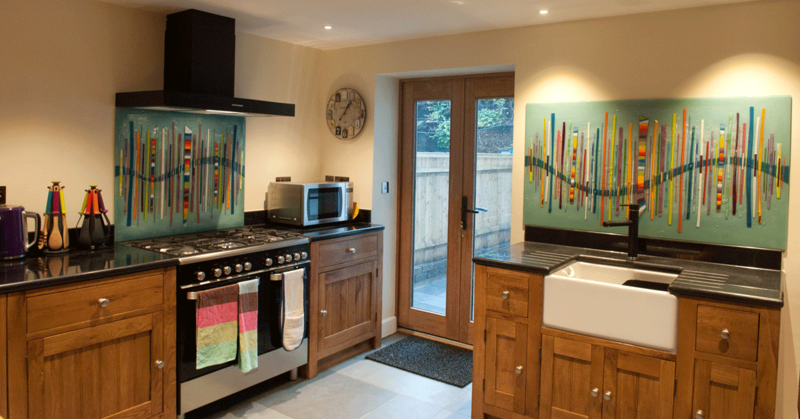 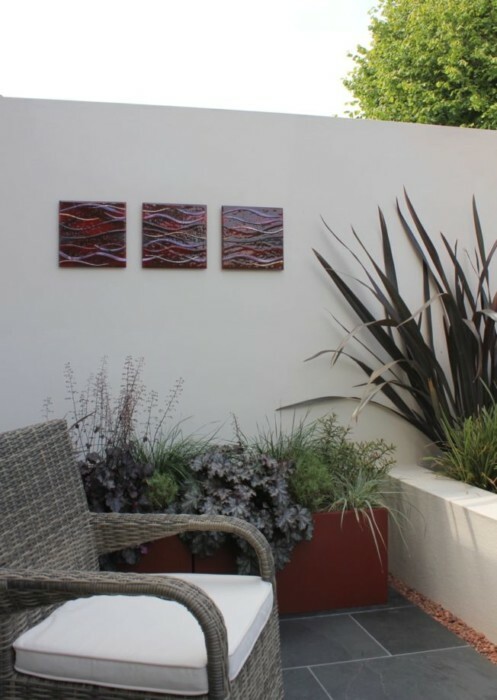 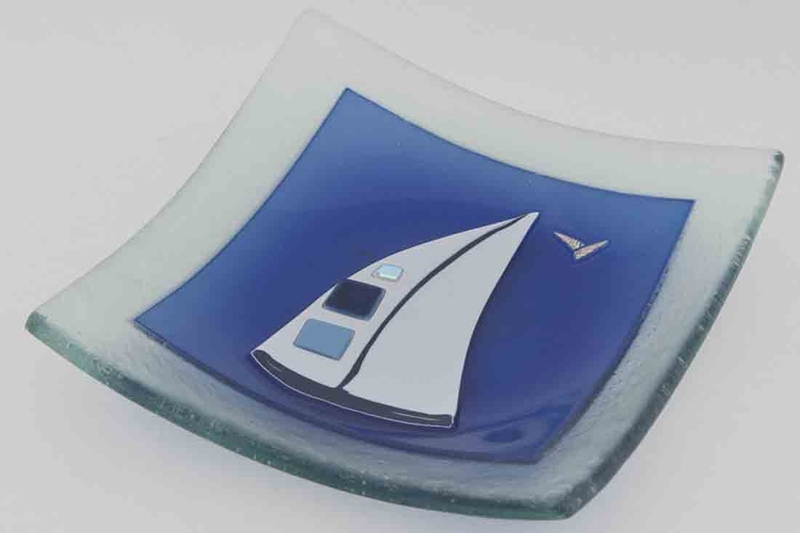 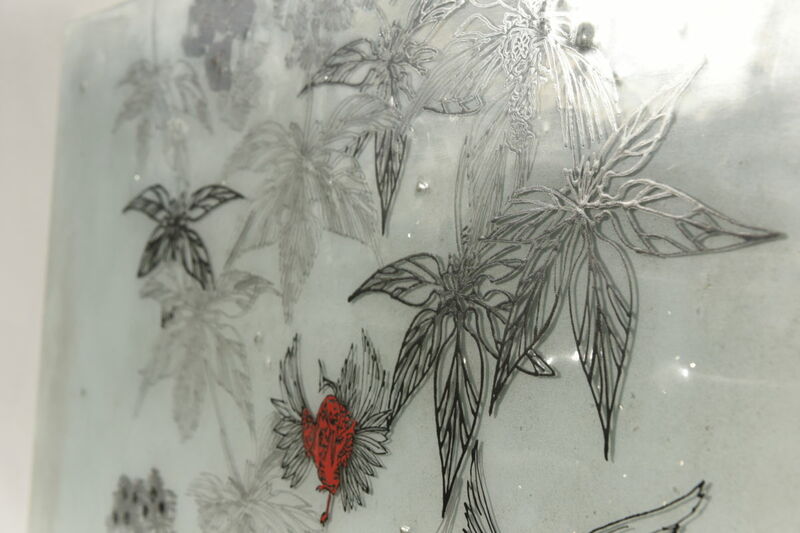 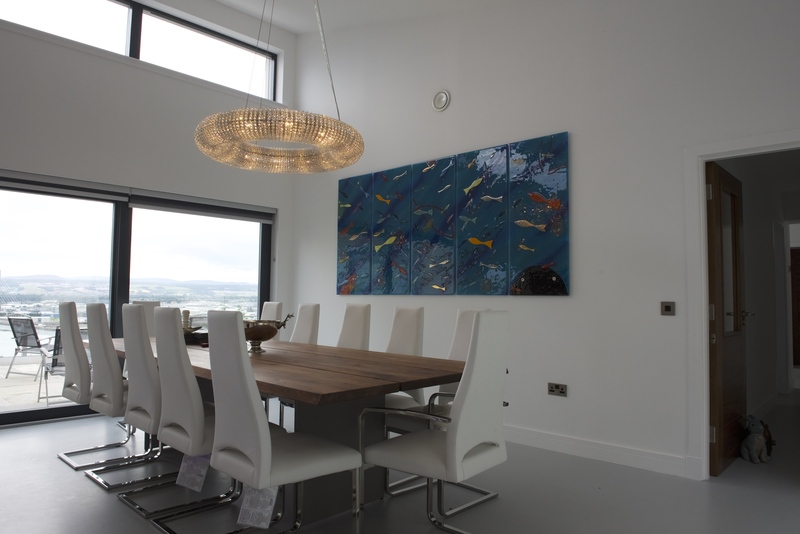 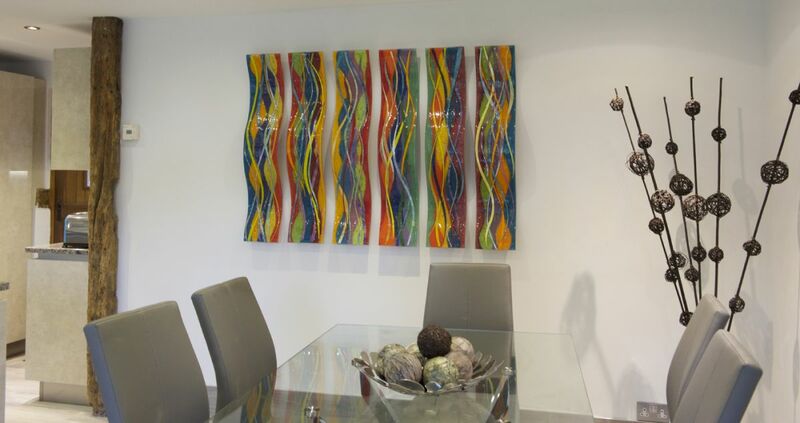 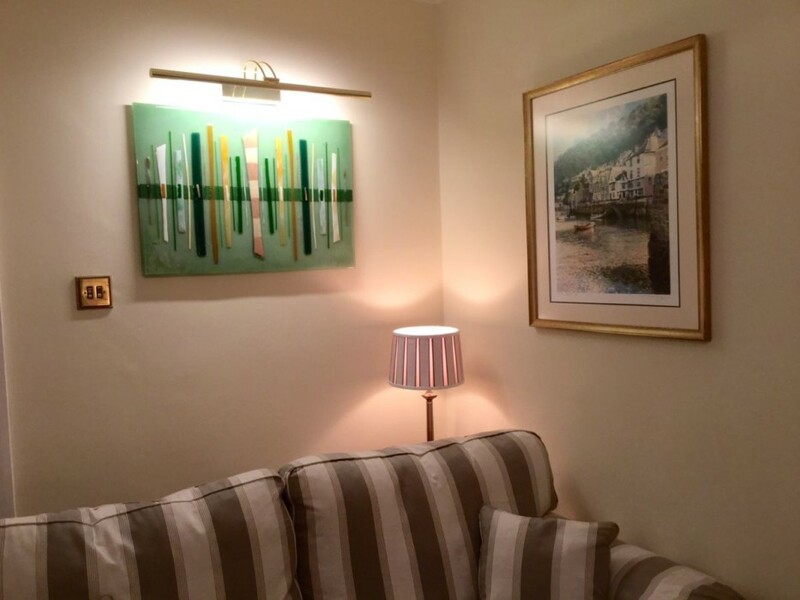 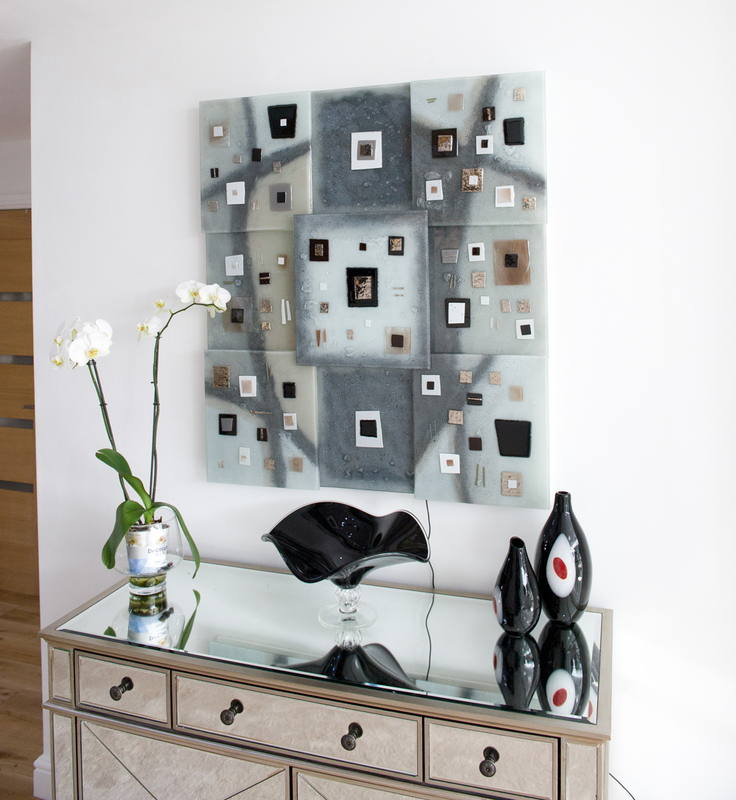 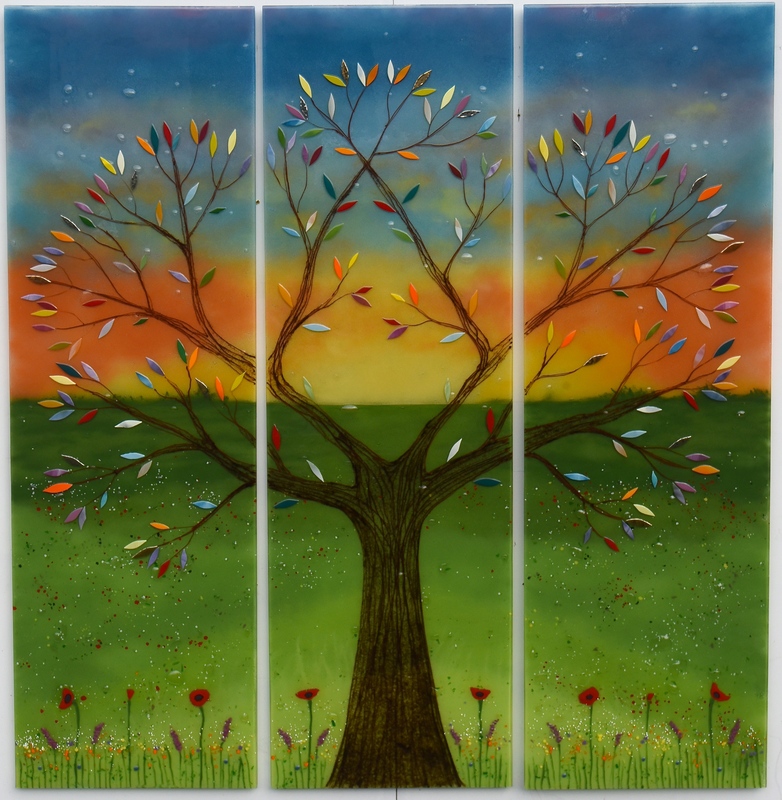 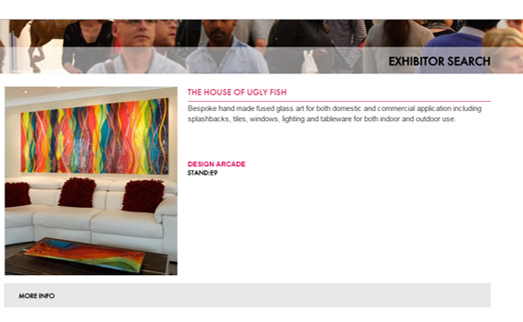 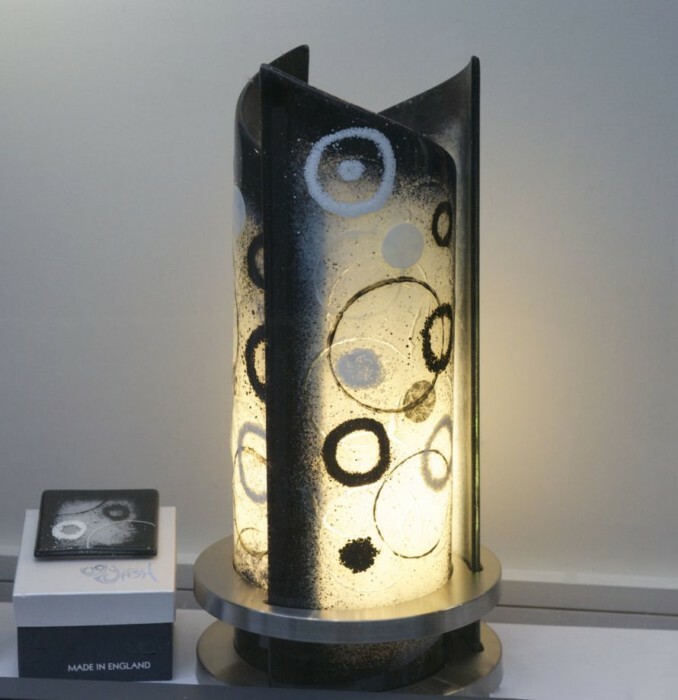 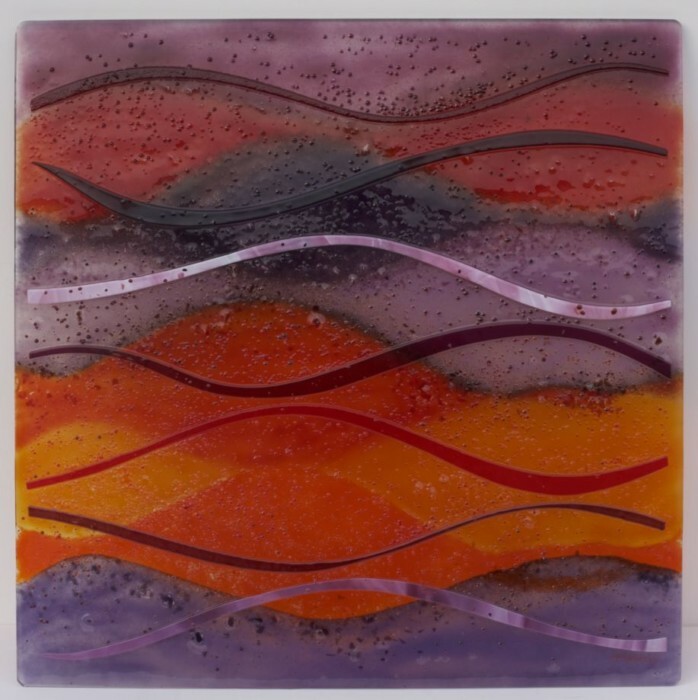 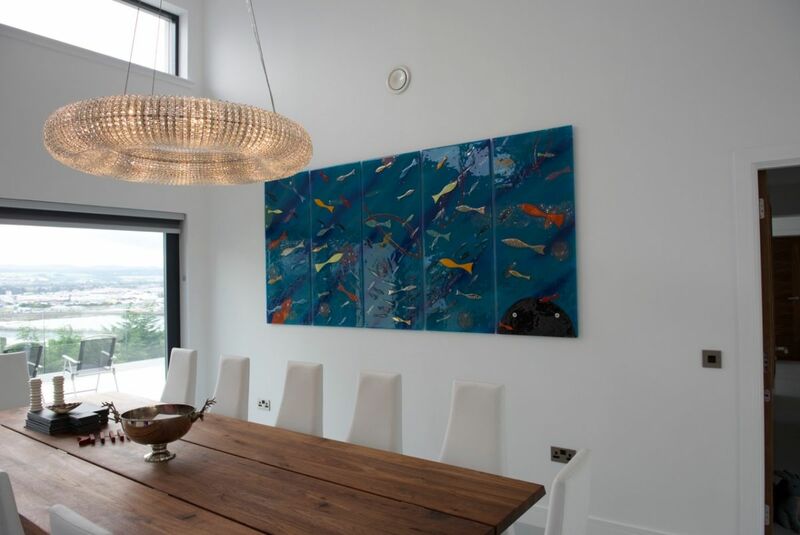 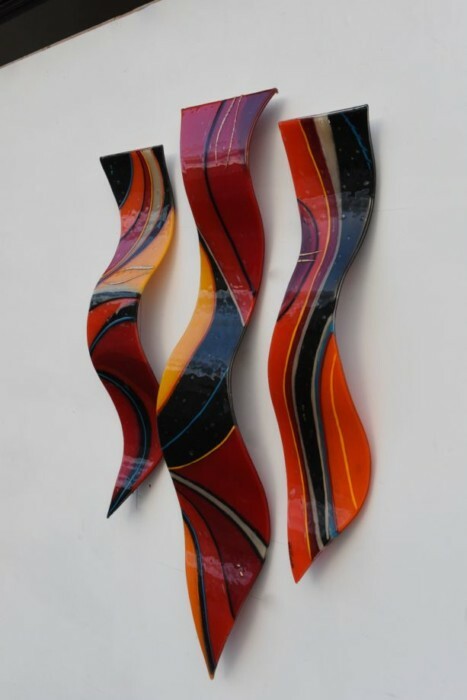 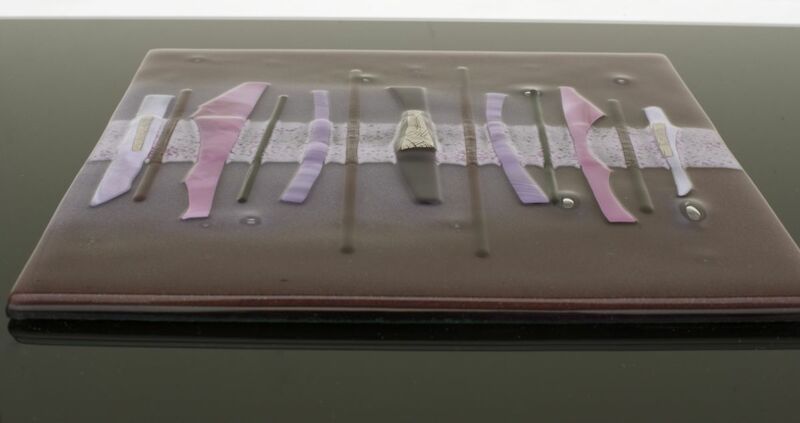 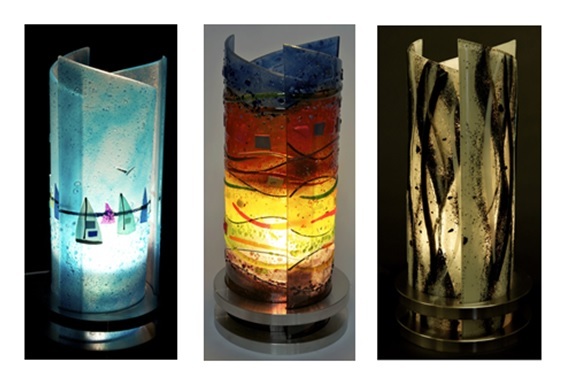 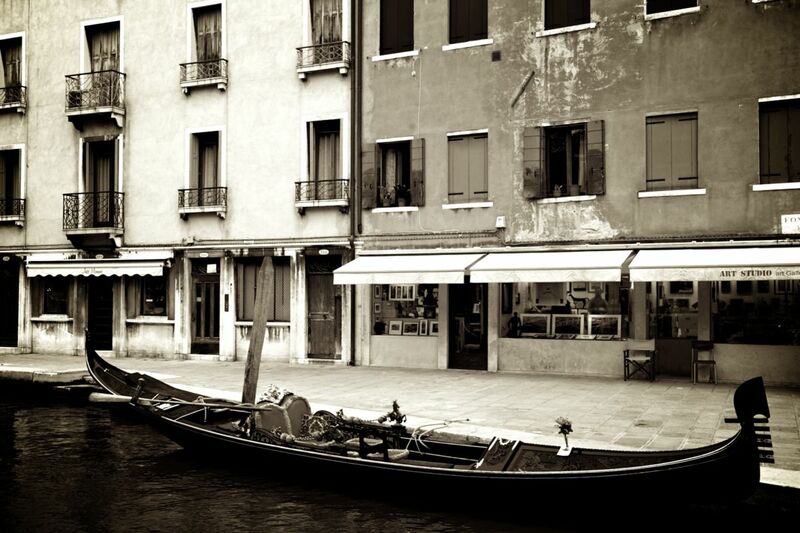 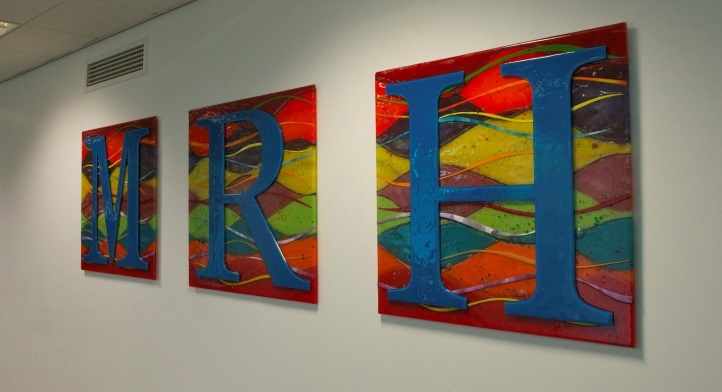 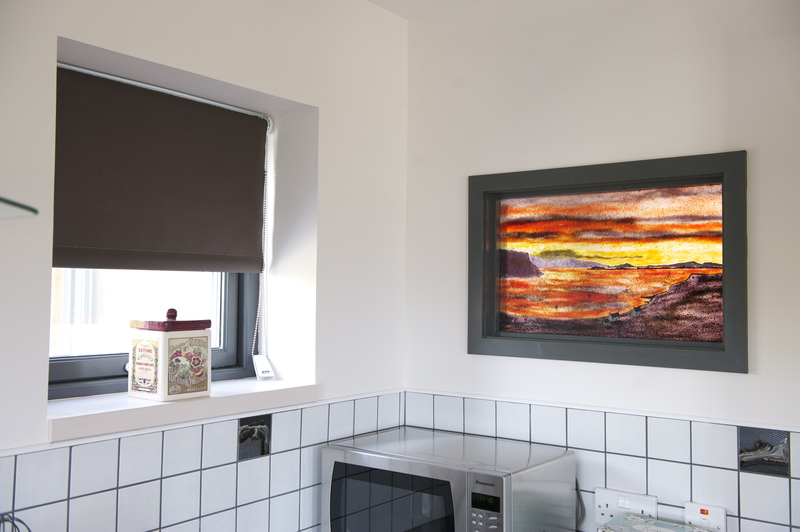 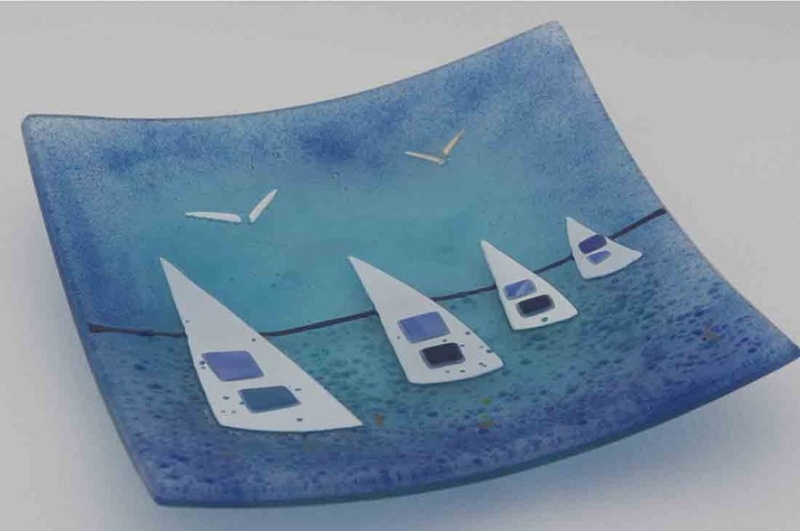 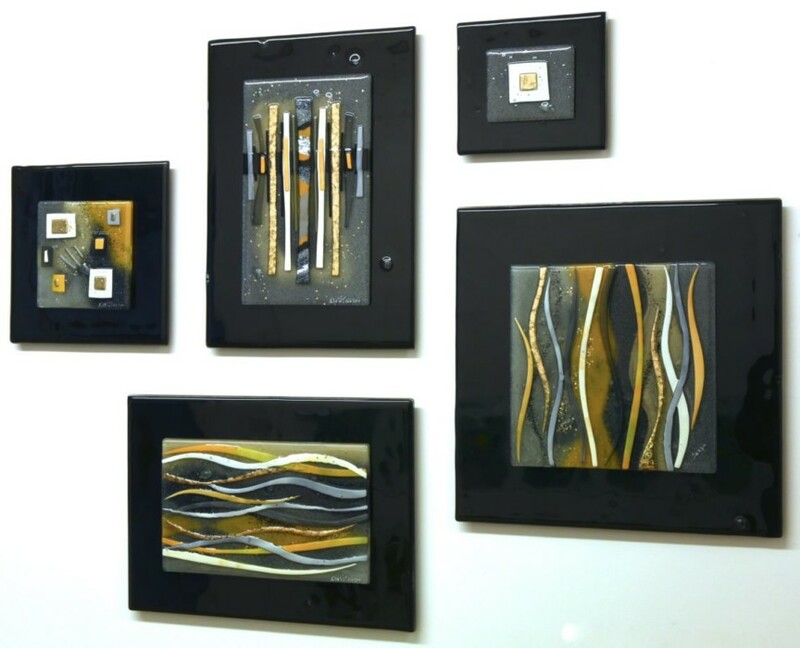 Pick up the phone and let us know what your ideal piece of bespoke fused glass art looks like today!